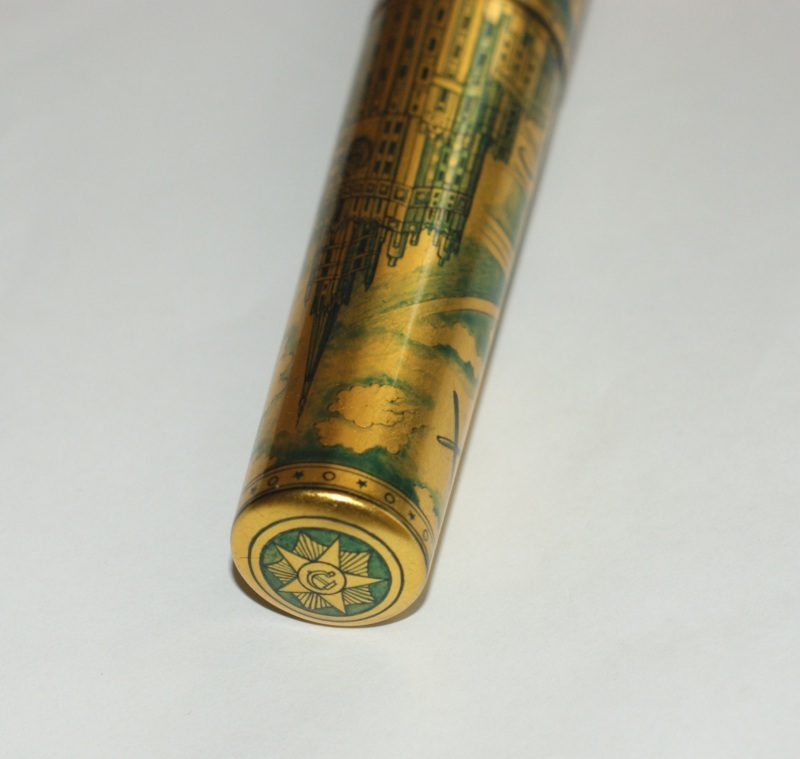 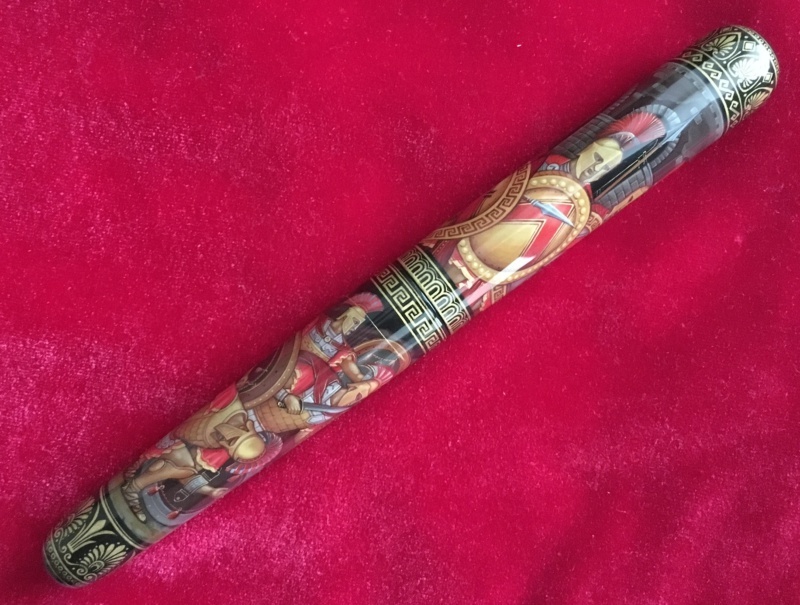 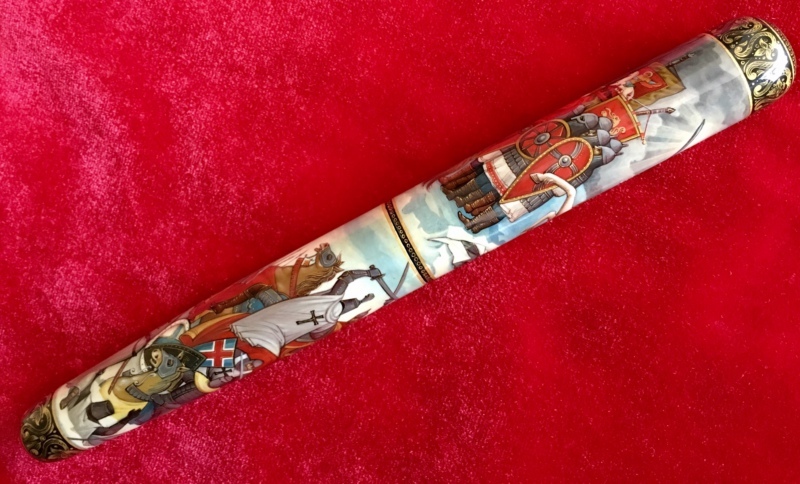 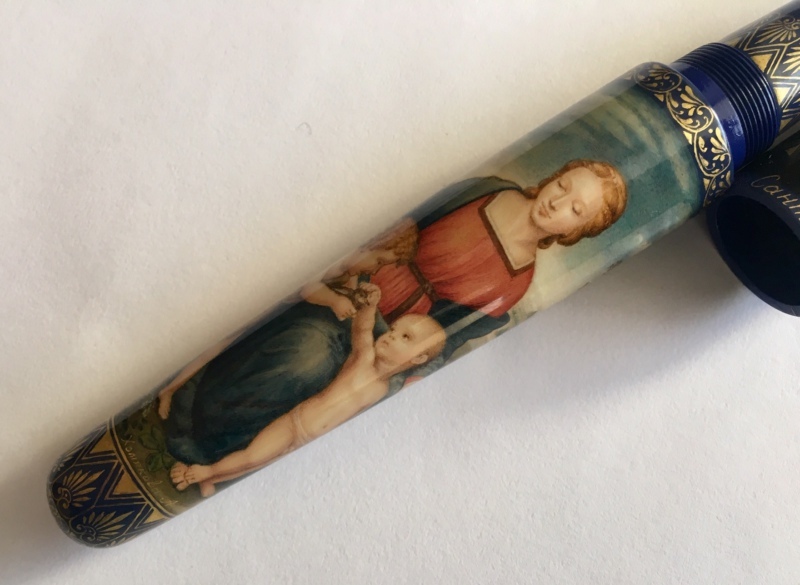 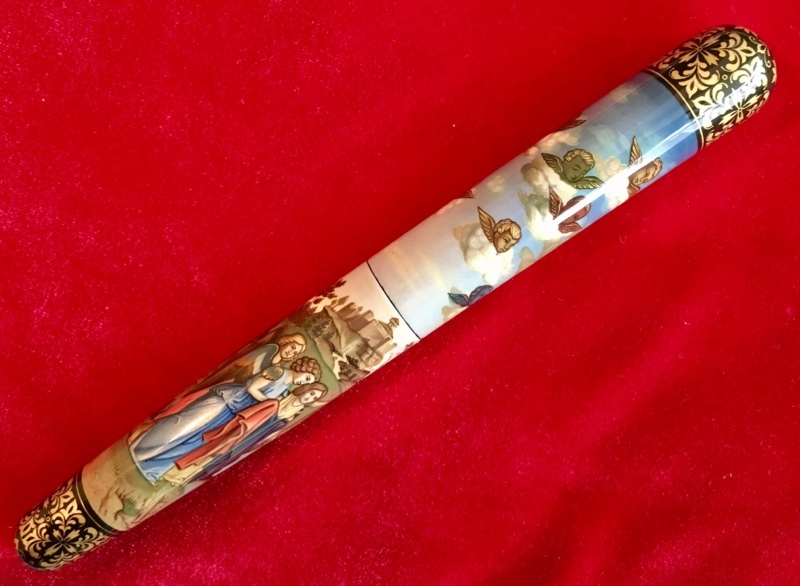 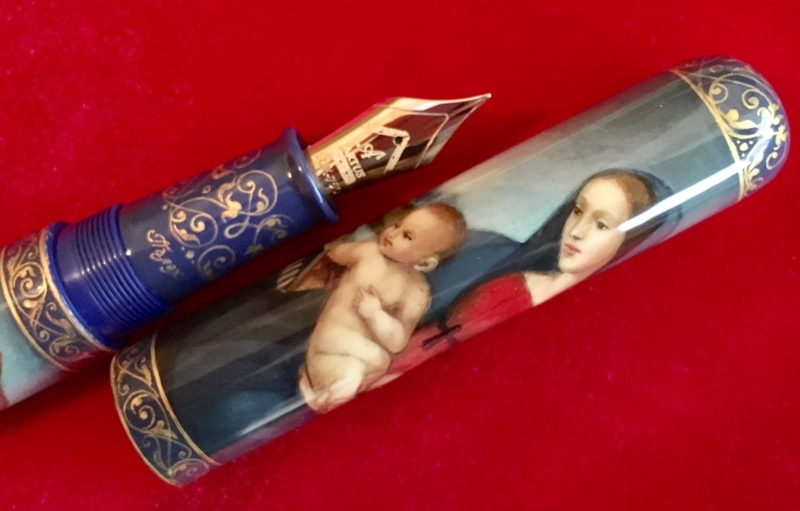 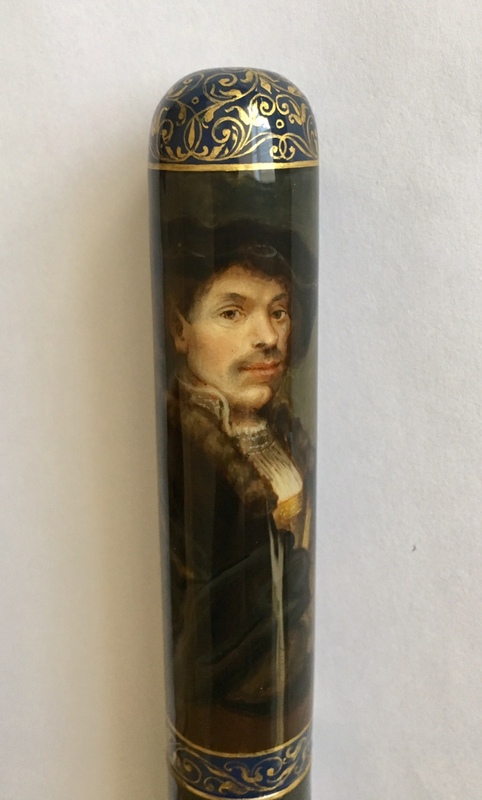 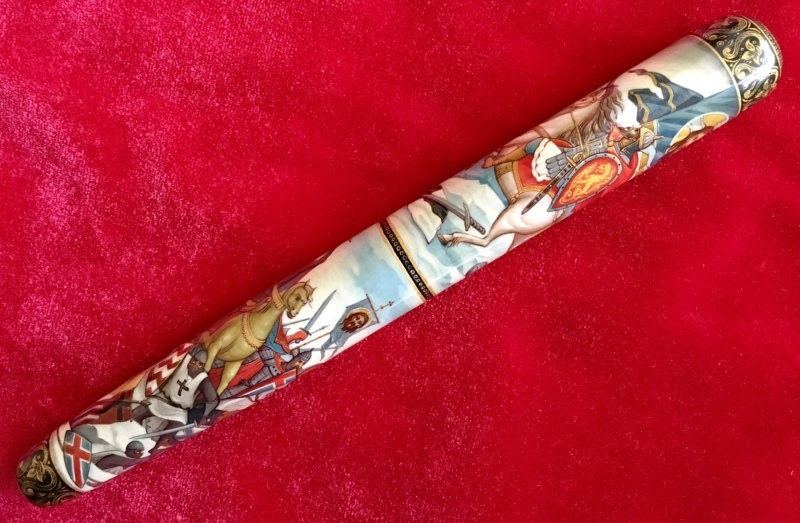 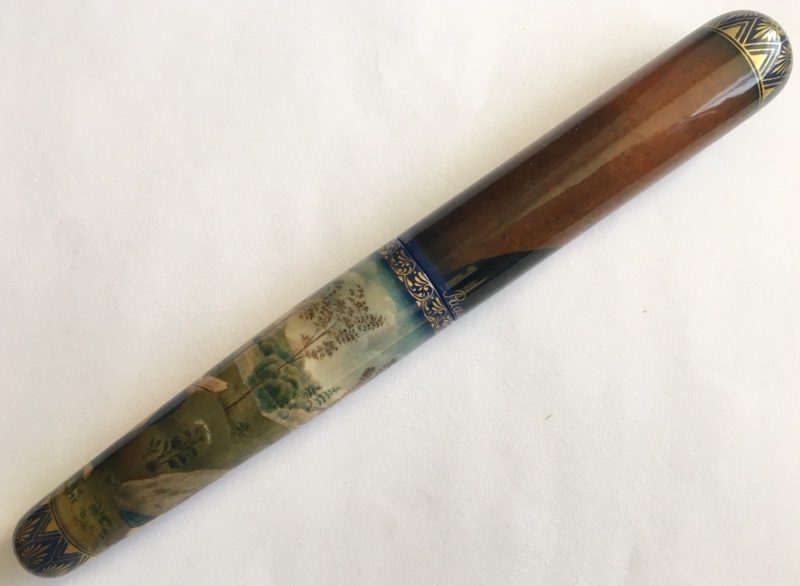 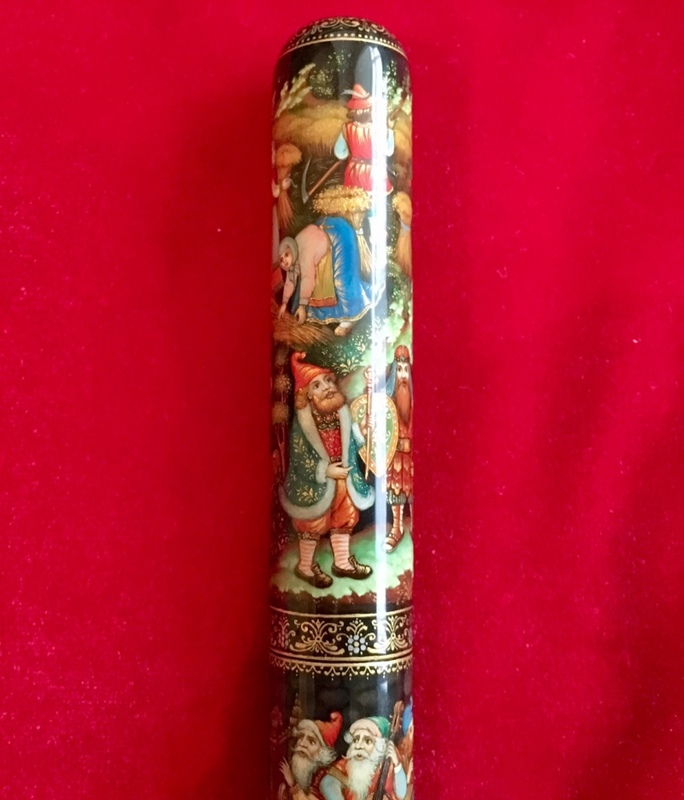 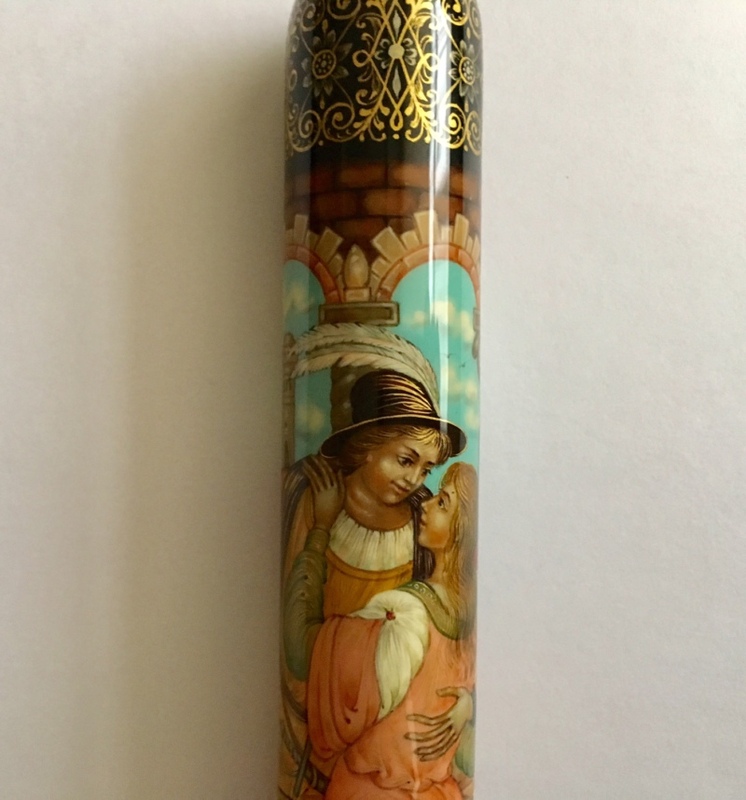 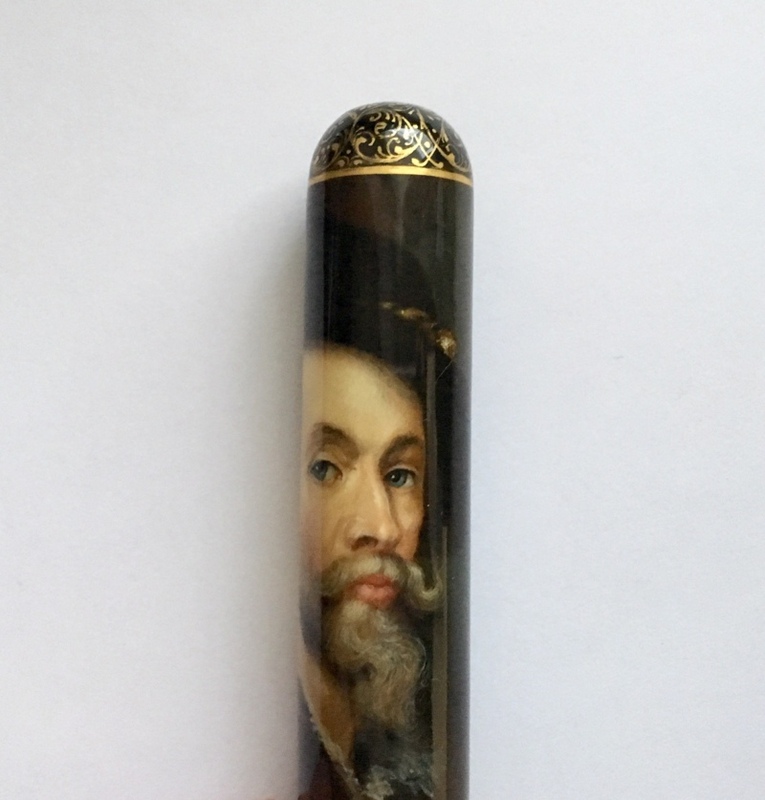 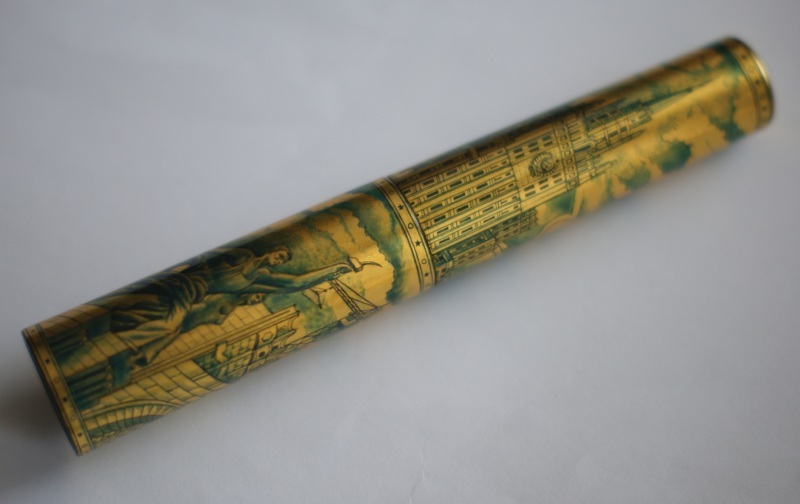 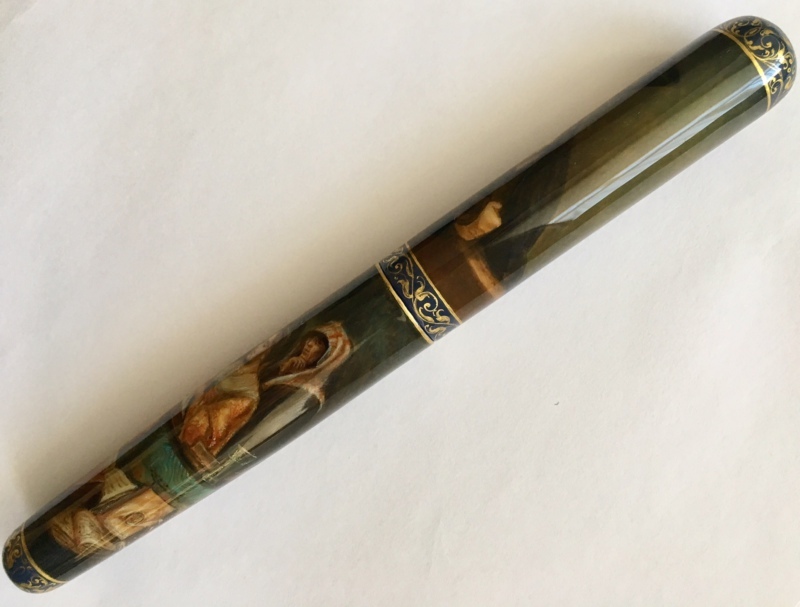 one of a kind unique authors fountain pen of Magnum Emperor size, cigar shaped. 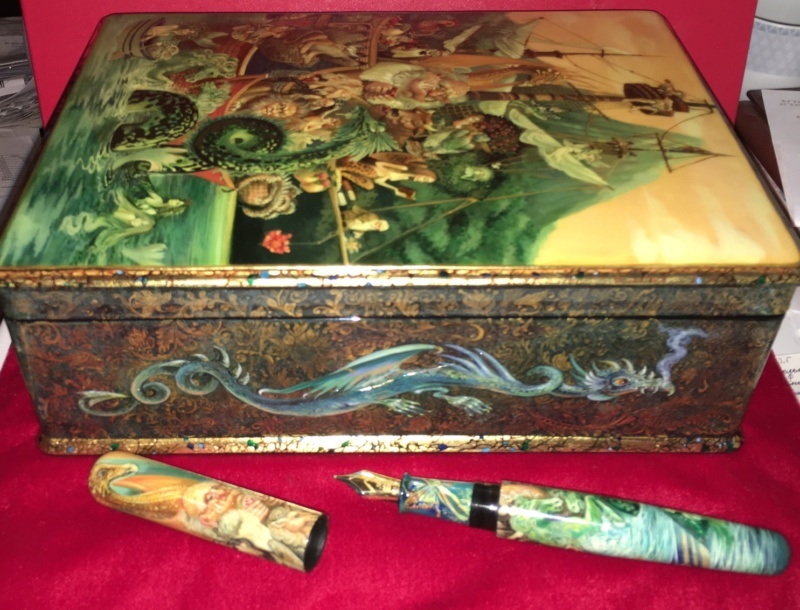 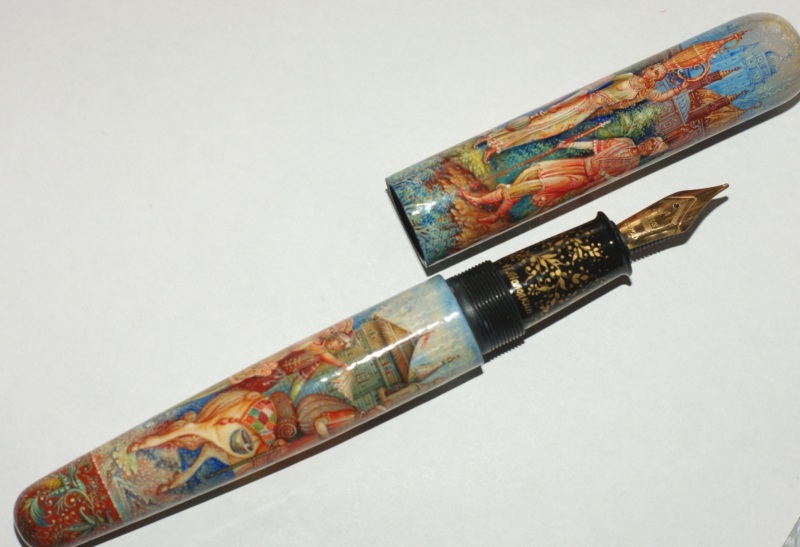 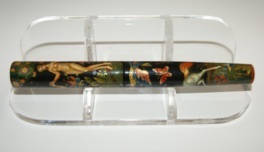 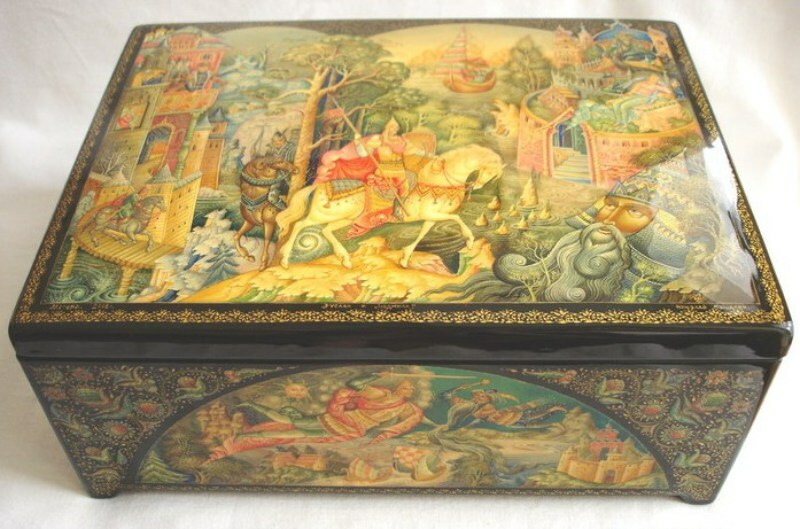 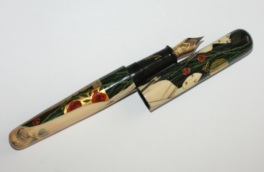 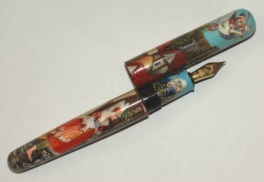 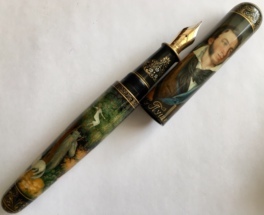 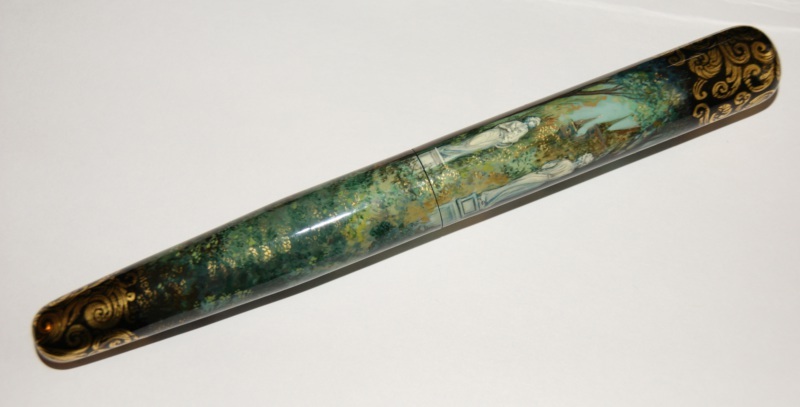 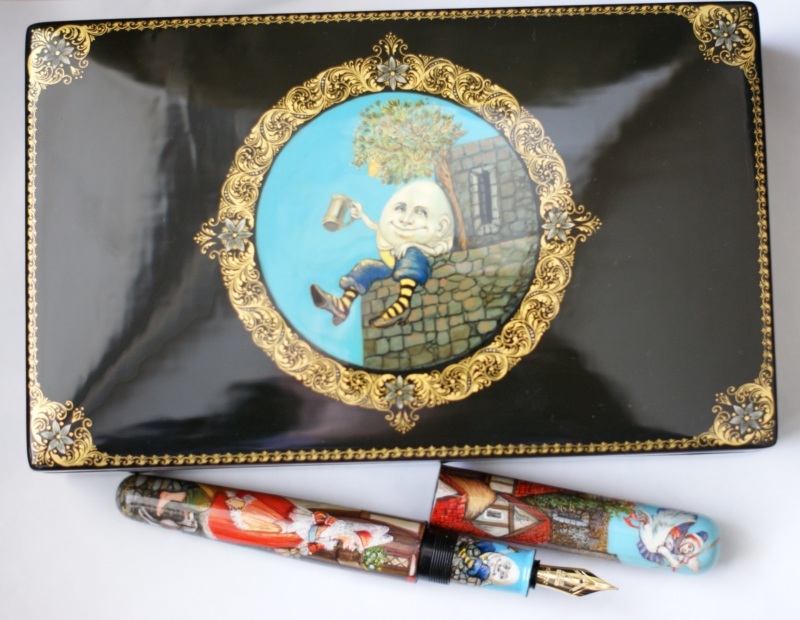 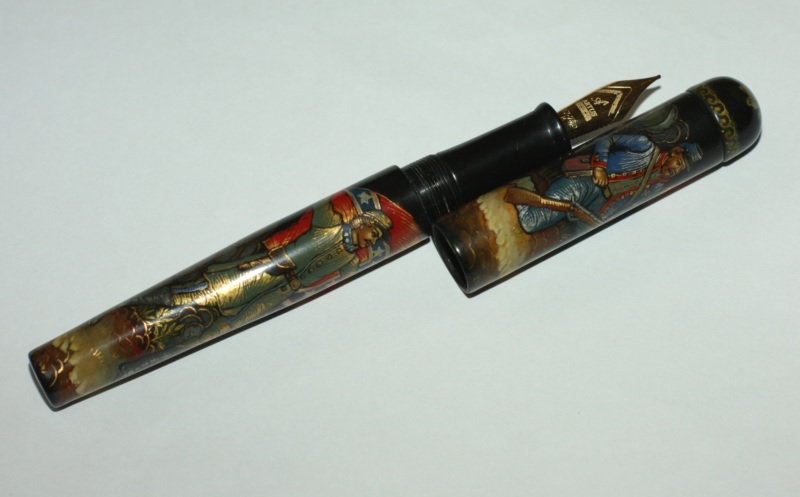 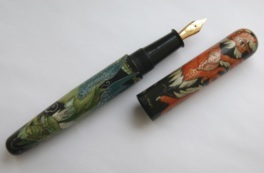 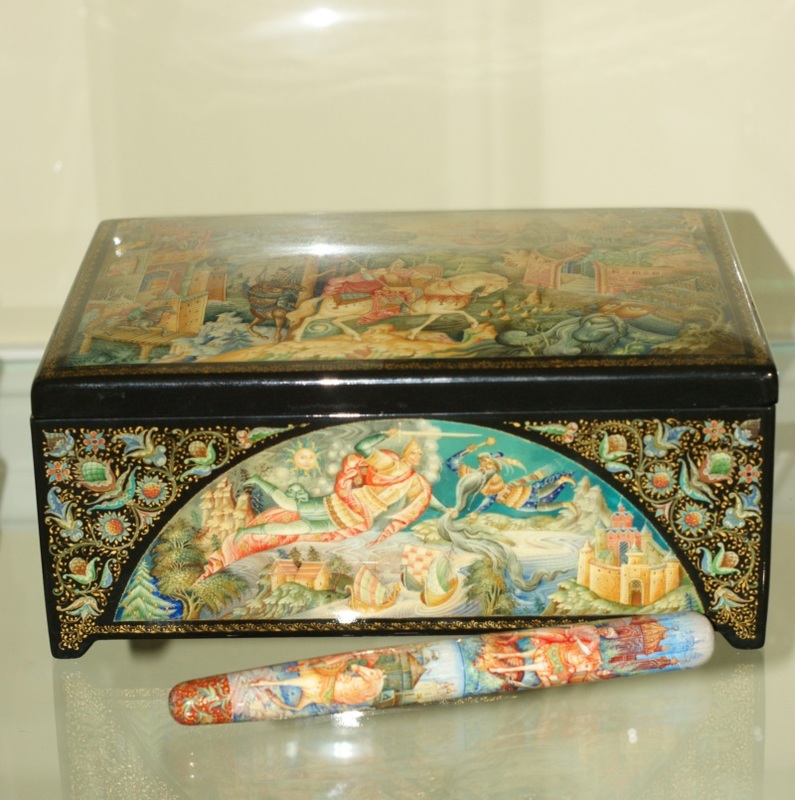 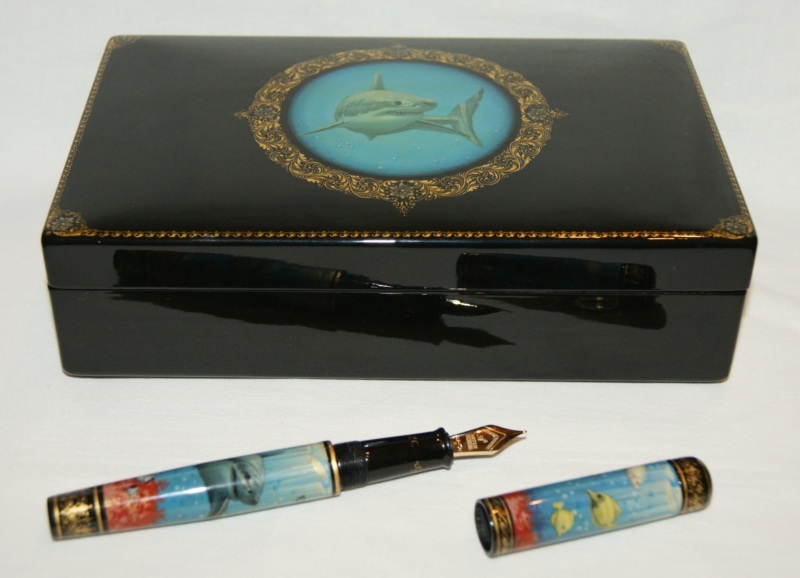 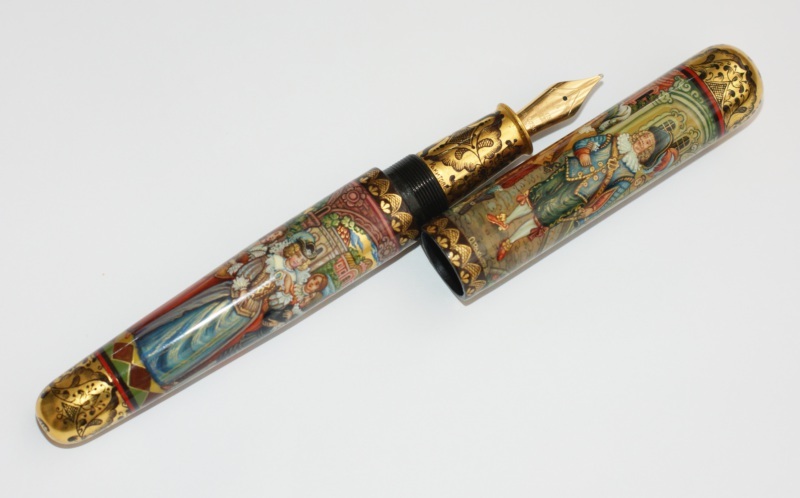 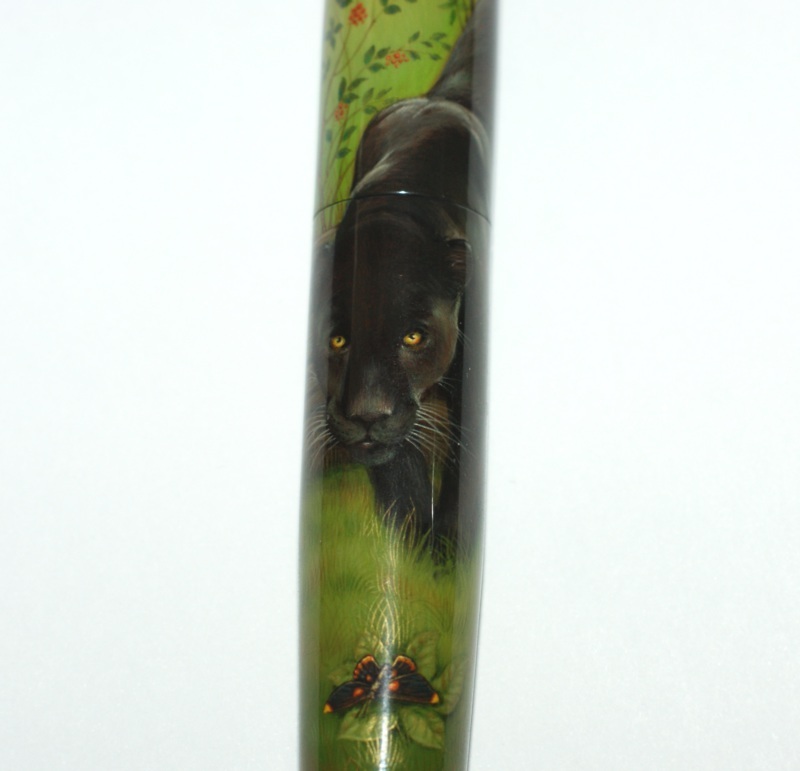 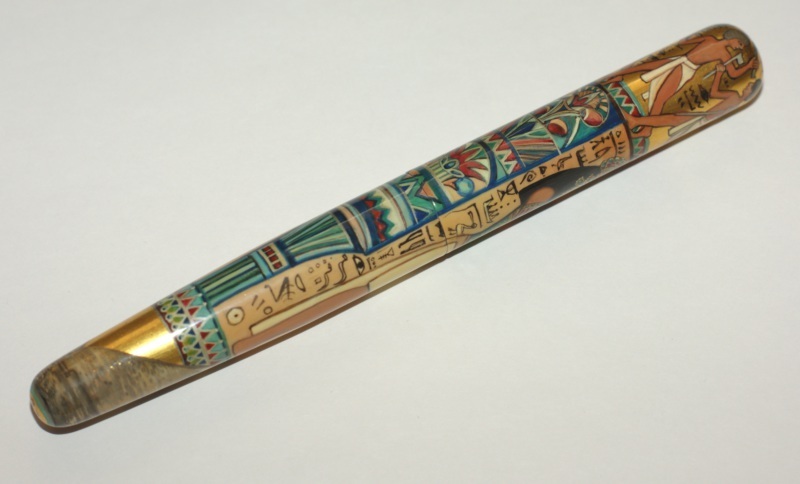 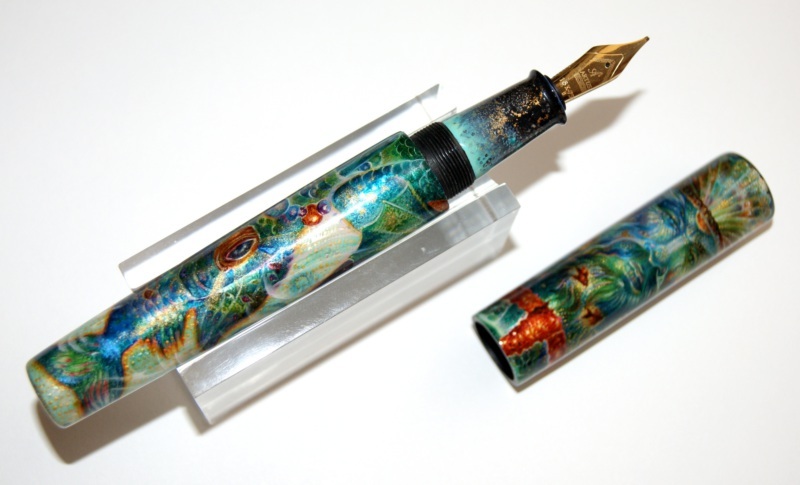 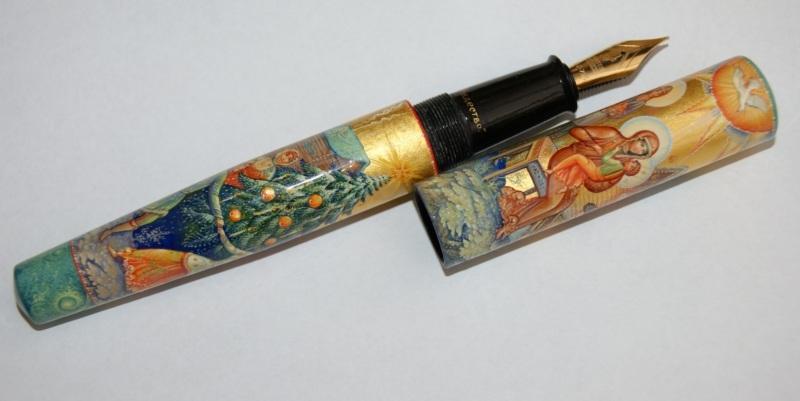 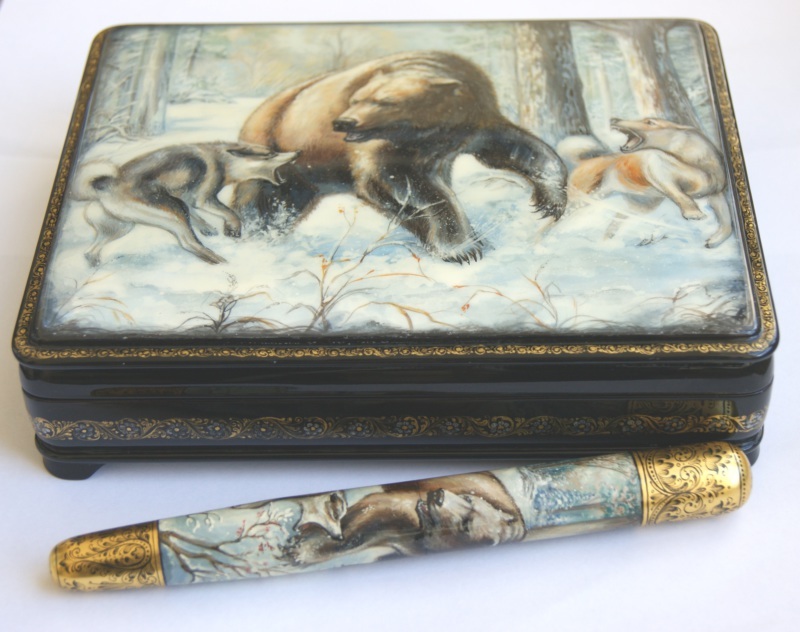 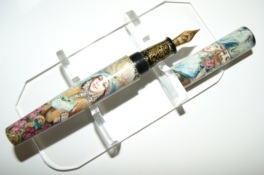 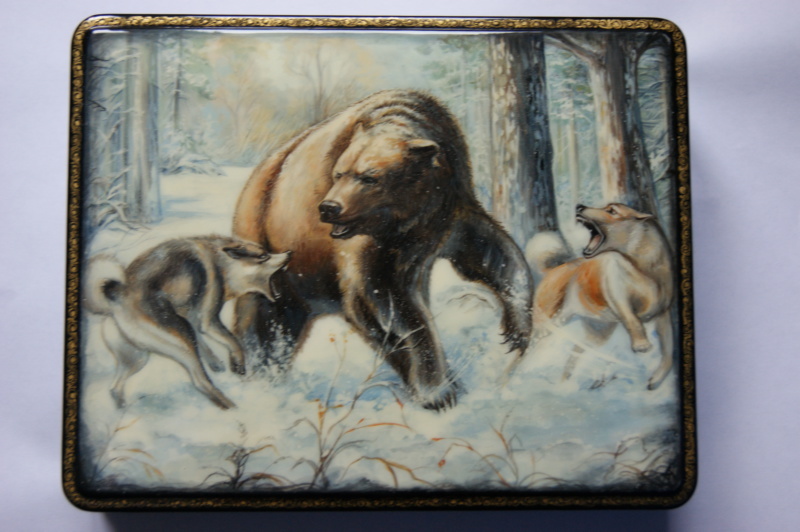 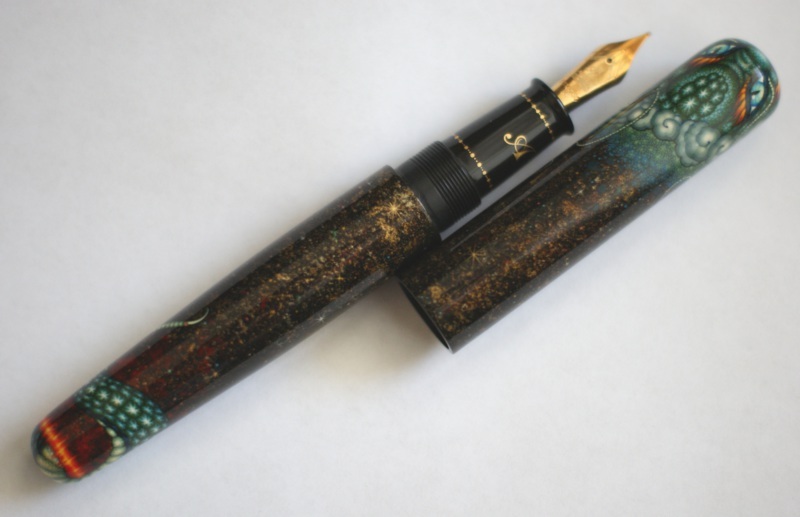 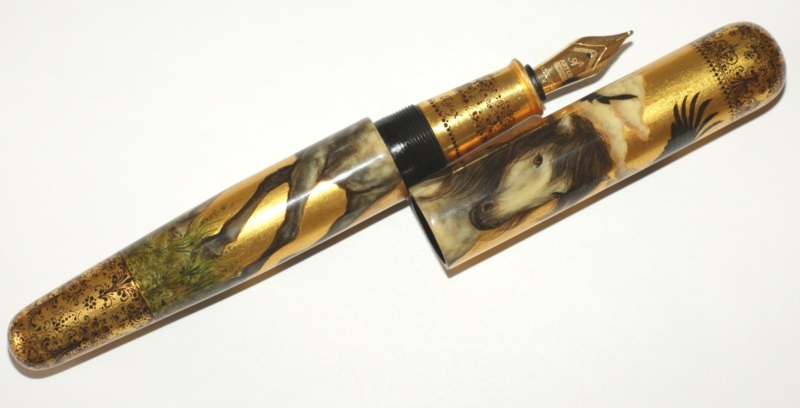 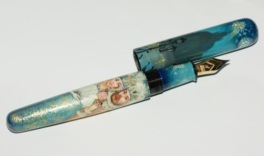 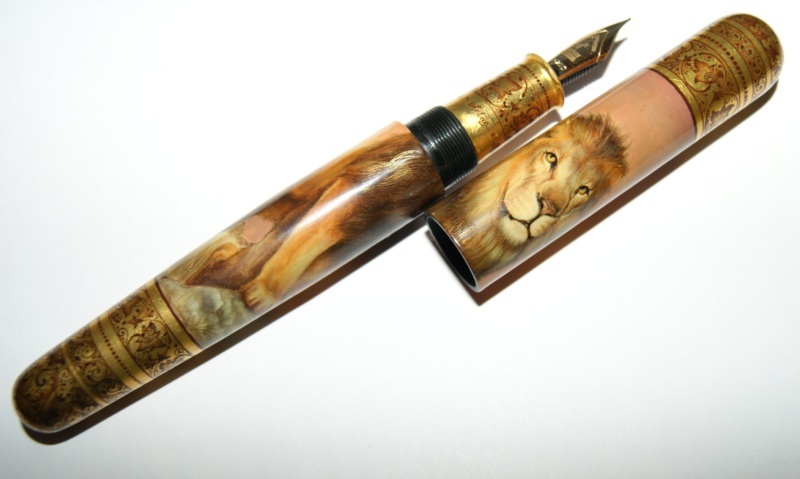 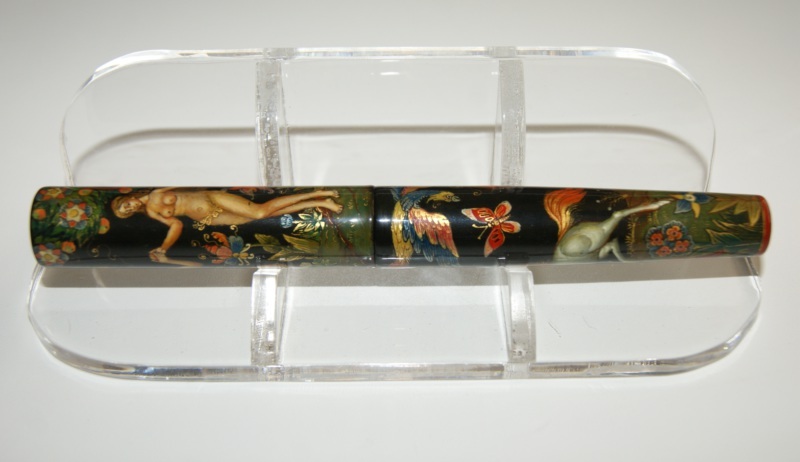 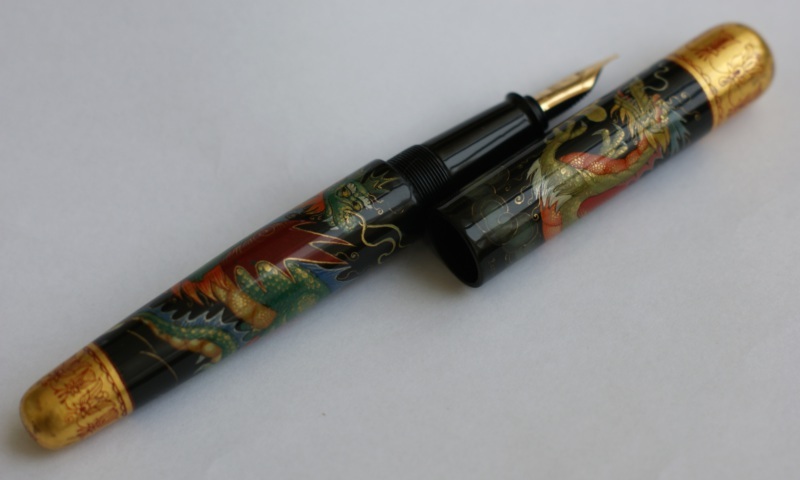 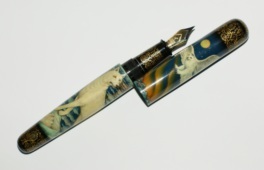 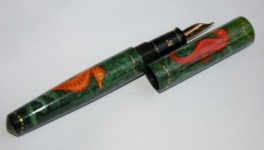 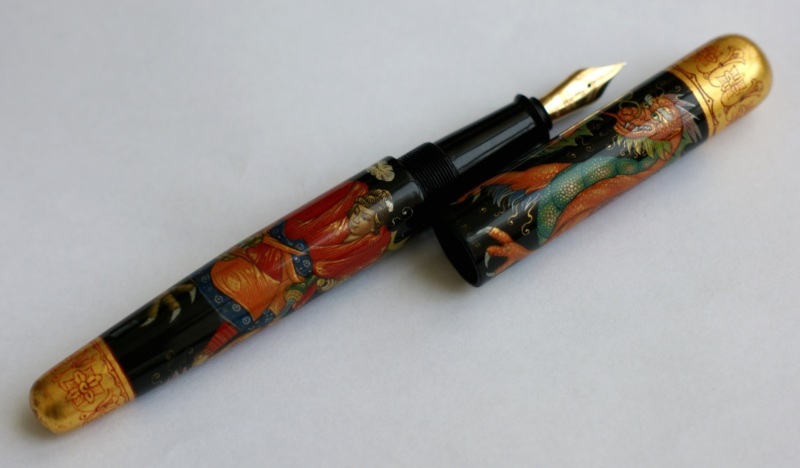 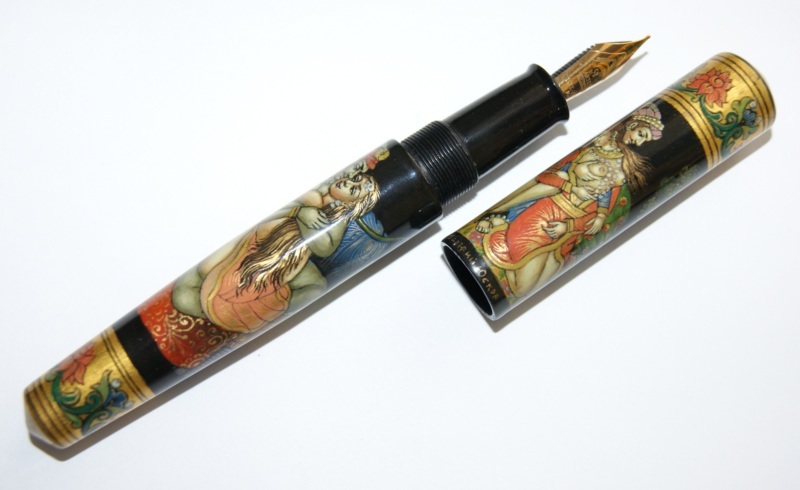 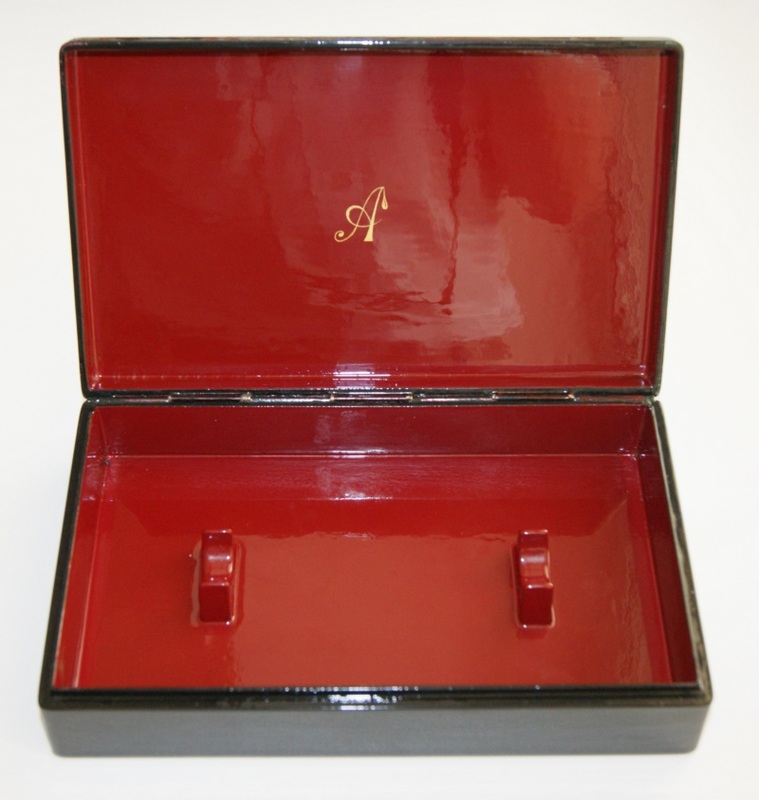 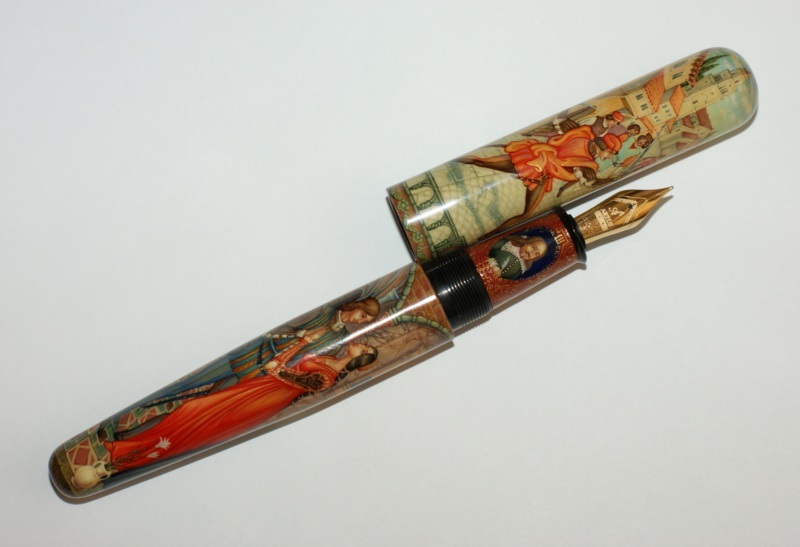 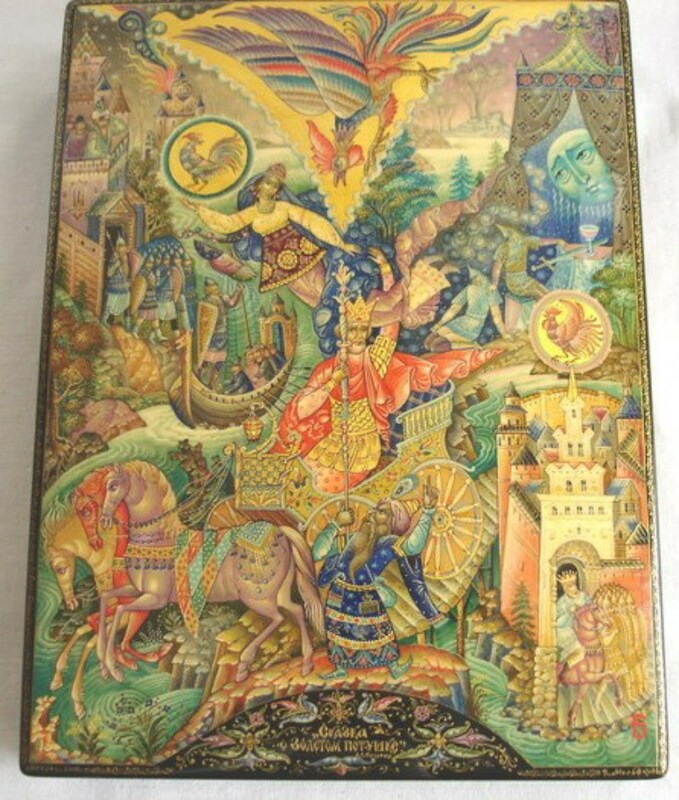 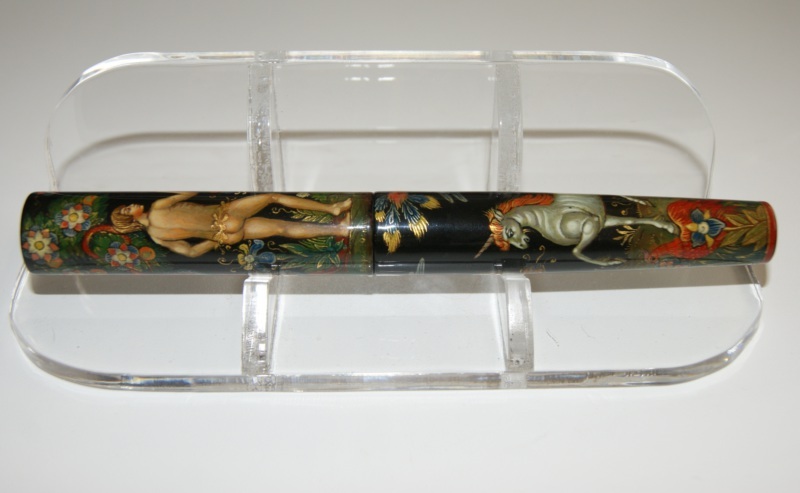 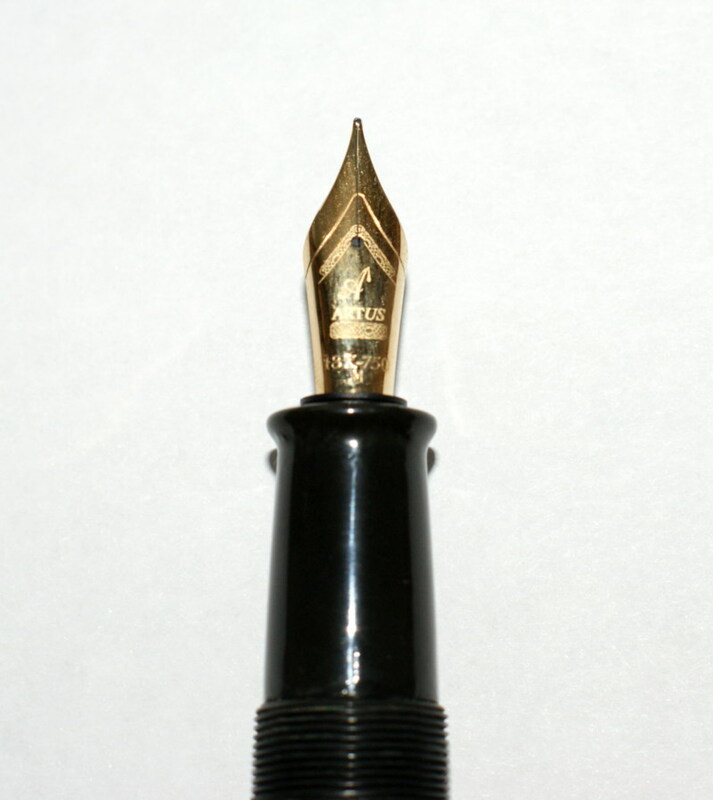 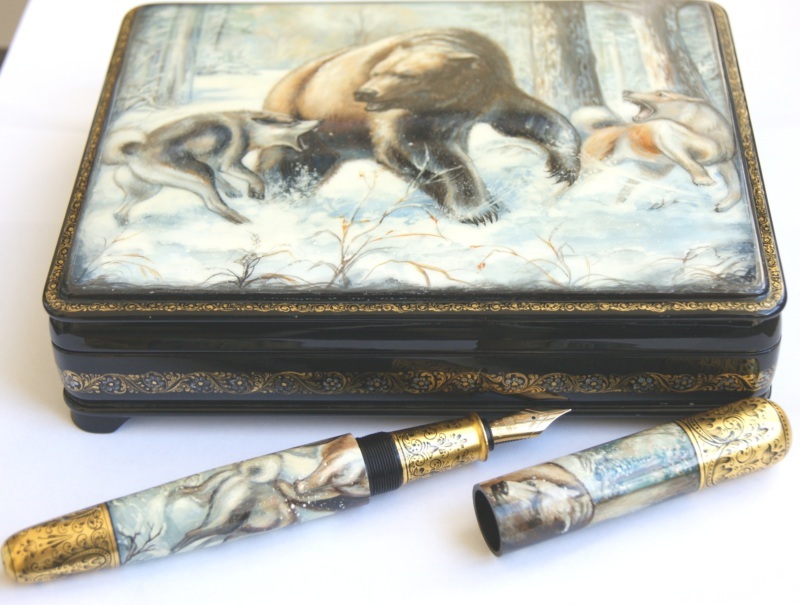 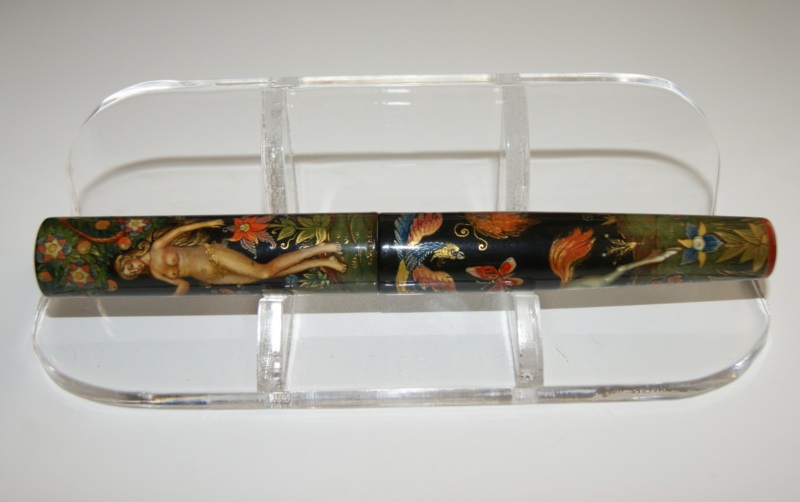 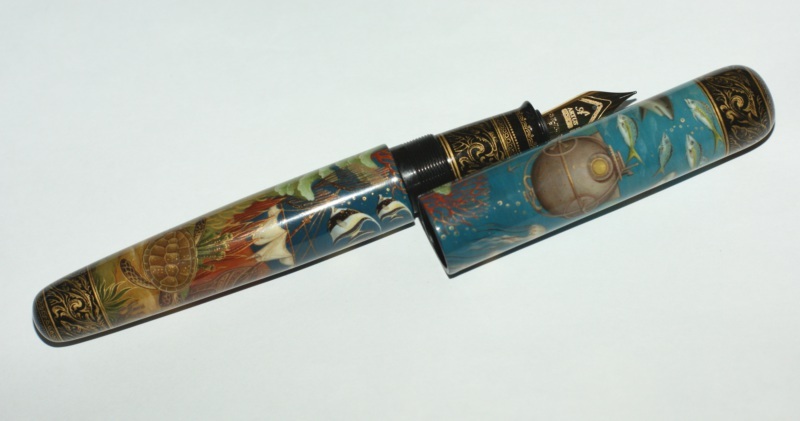 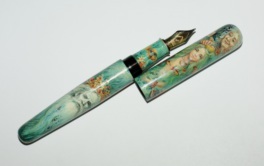 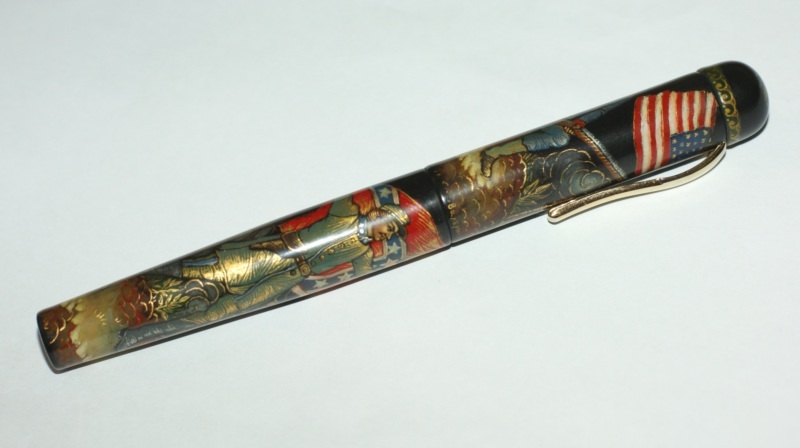 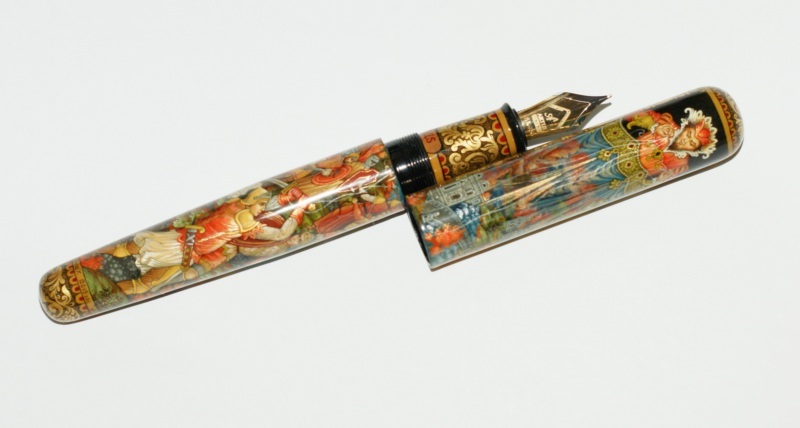 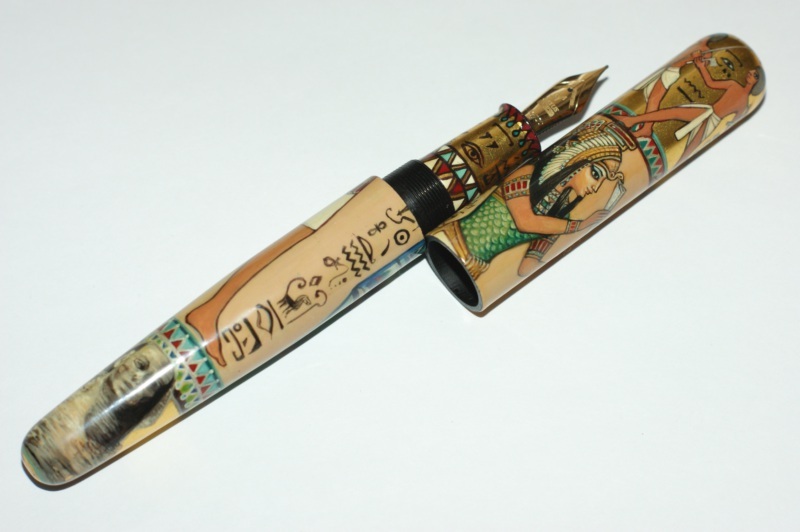 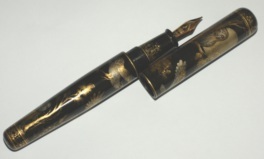 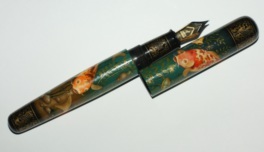 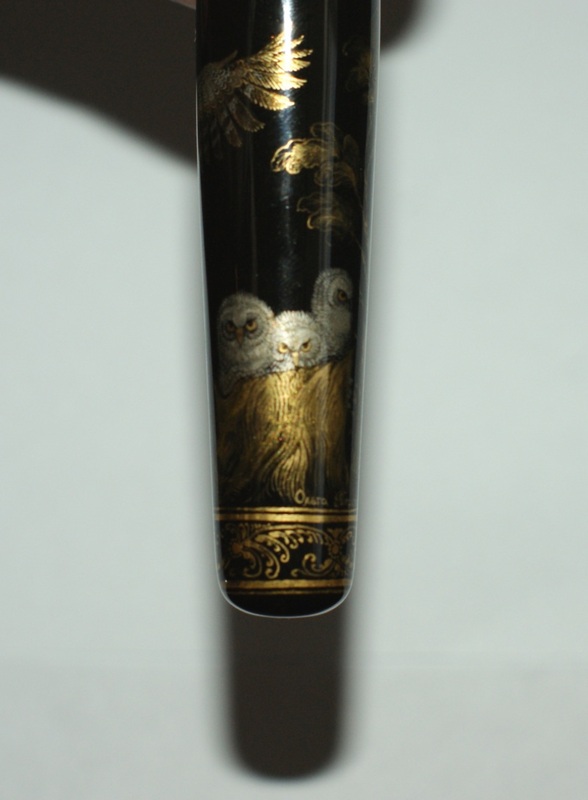 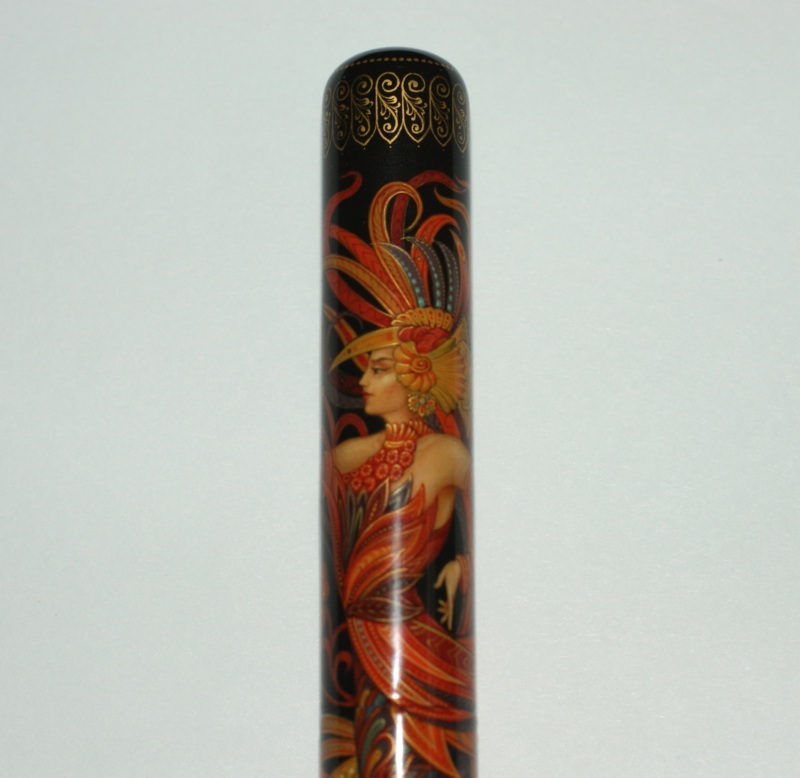 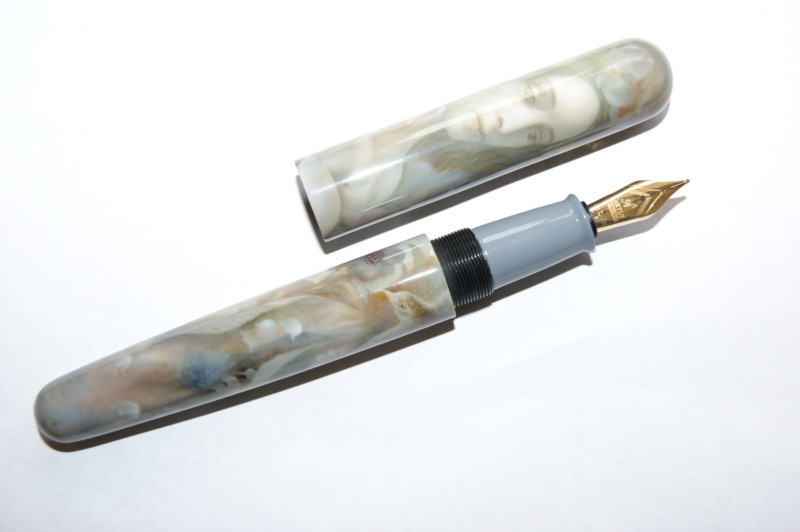 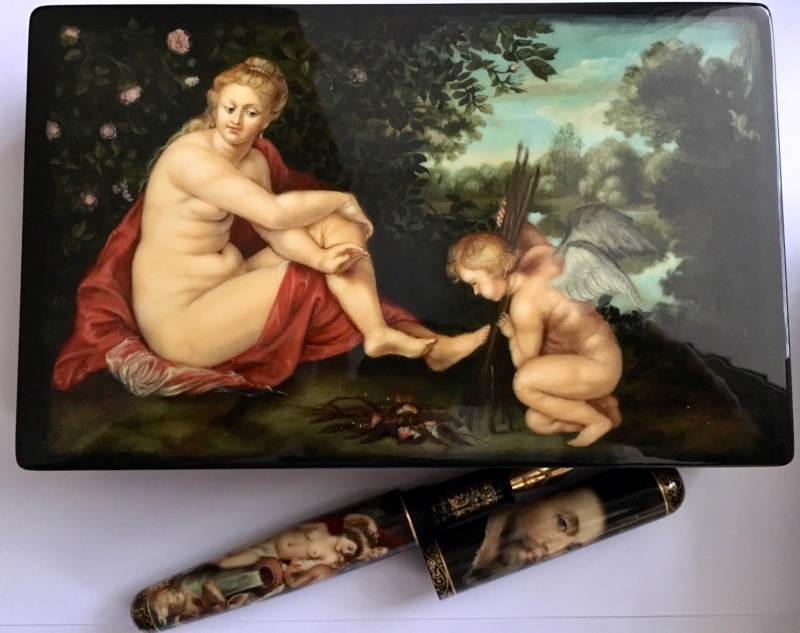 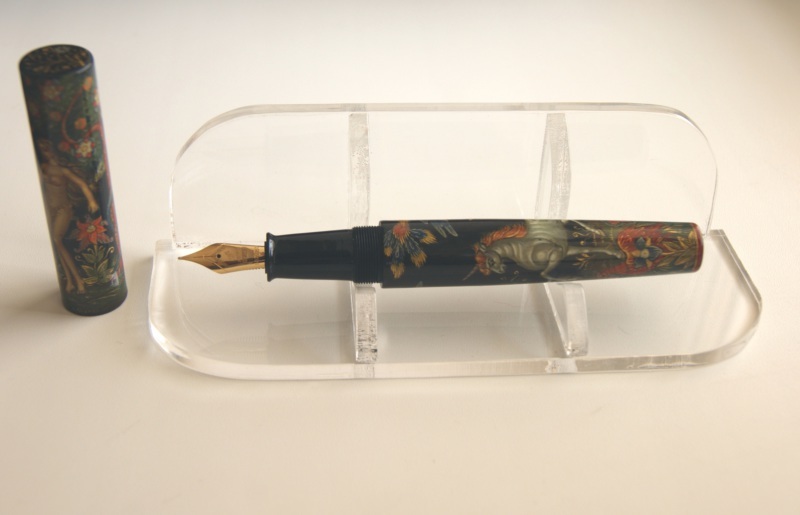 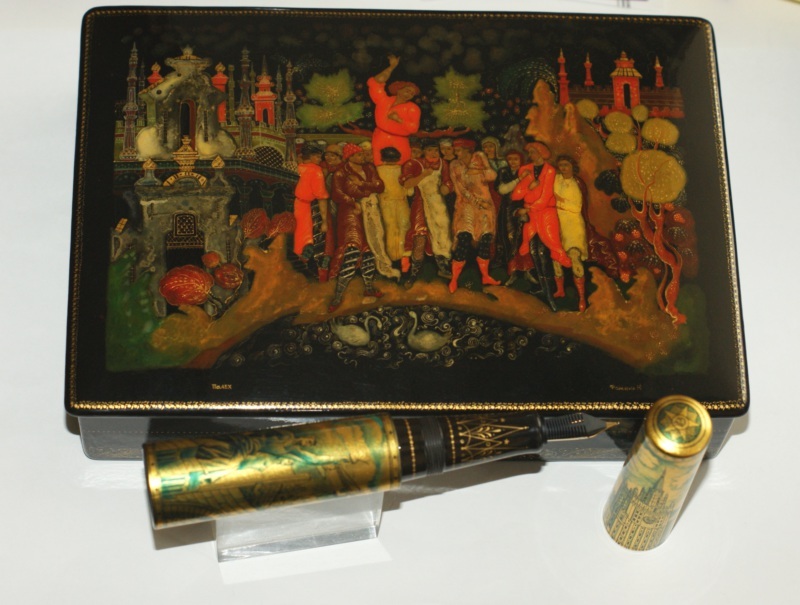 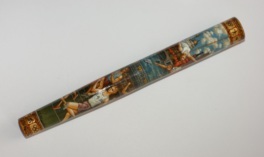 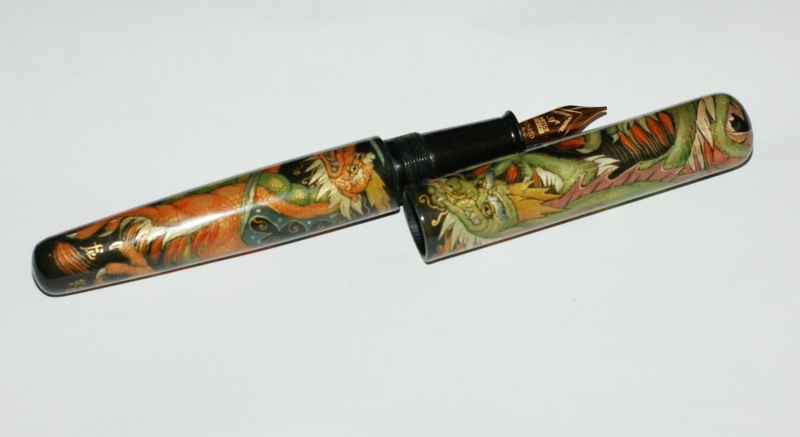 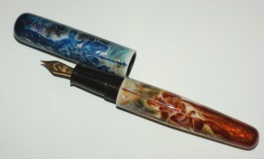 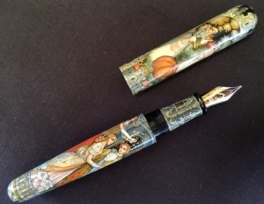 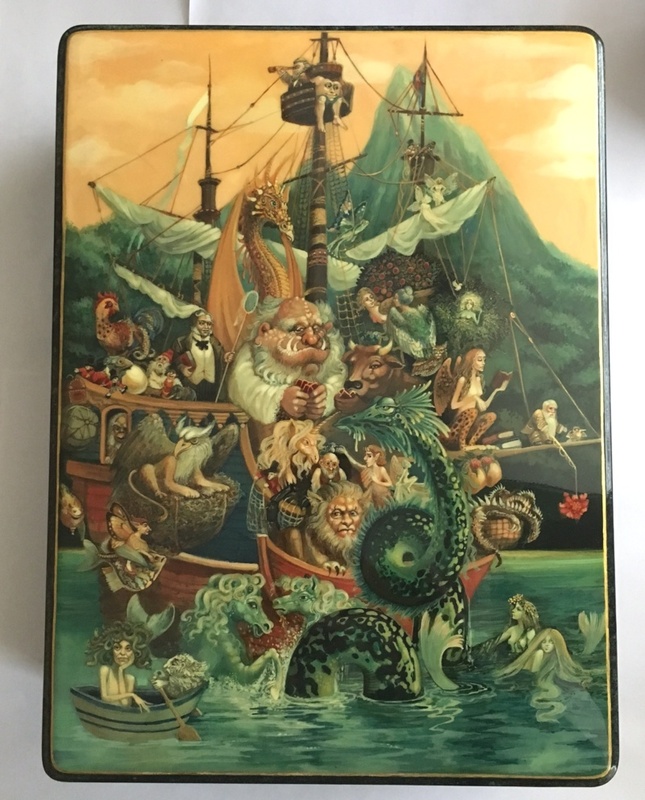 Artistic rating 10 (1-10), nib size 8, ebonite feeder, with matching painted pencase "Athenian School"
Oscar Wilde. 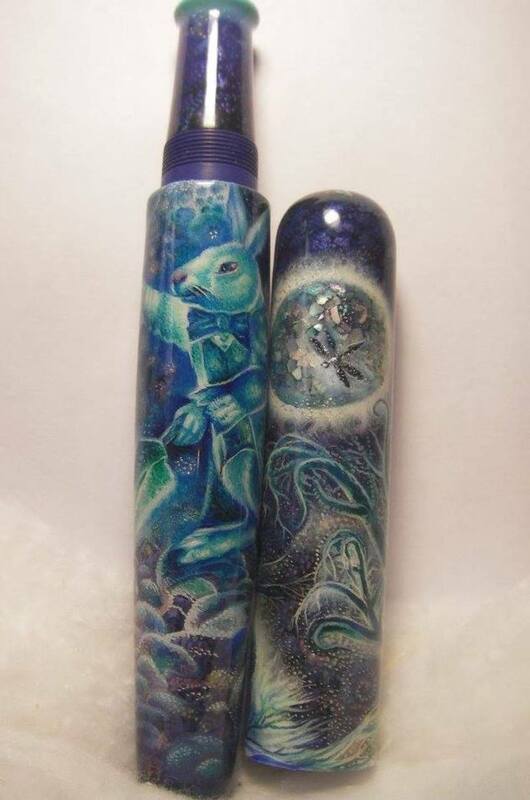 The Fisherman and The Mermaid. 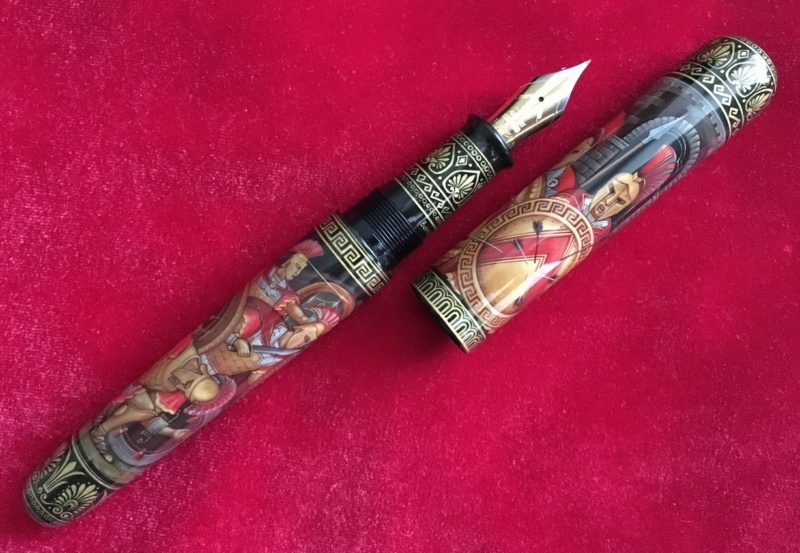 one of a kind unique authors fountain pen of Magnum Emperor size, cigar shaped. 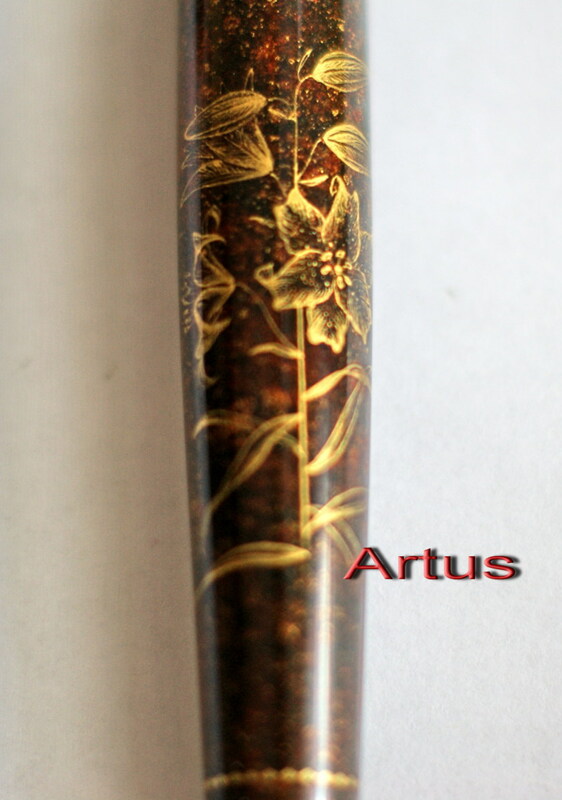 Artistic rating 9.5 (1-10), chinkin style. 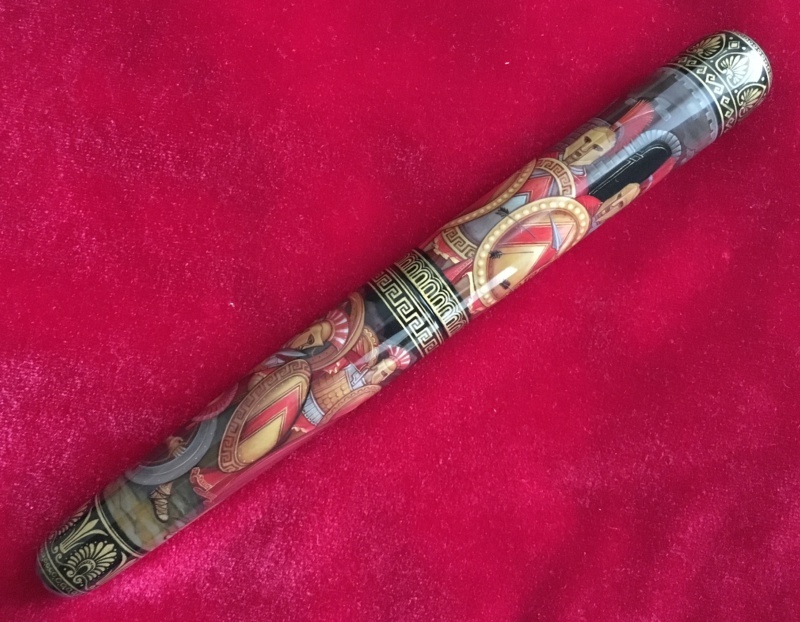 one of a kind unique authors fountain pen of Magnum Emperor size, cigar shaped. 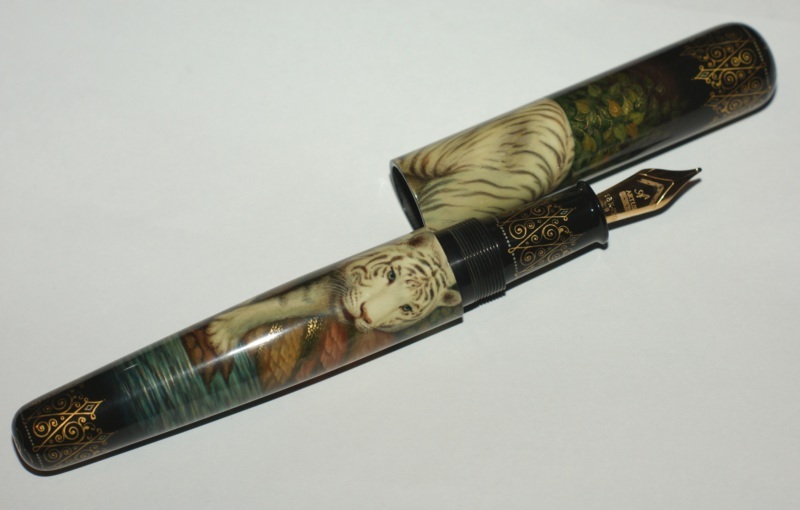 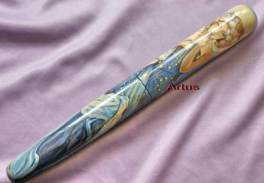 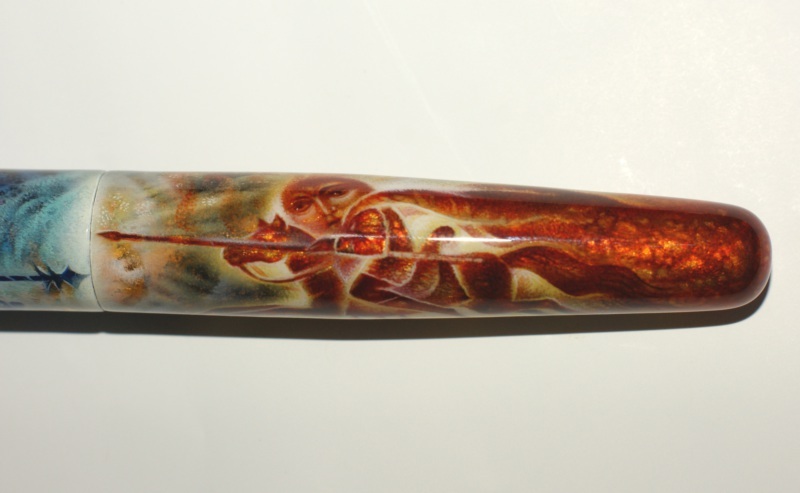 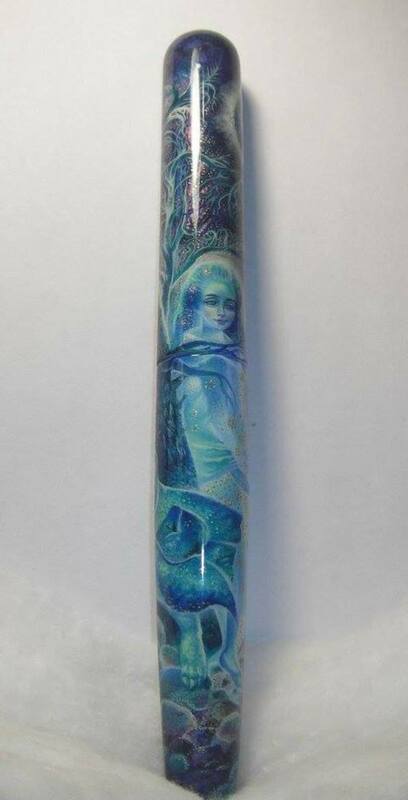 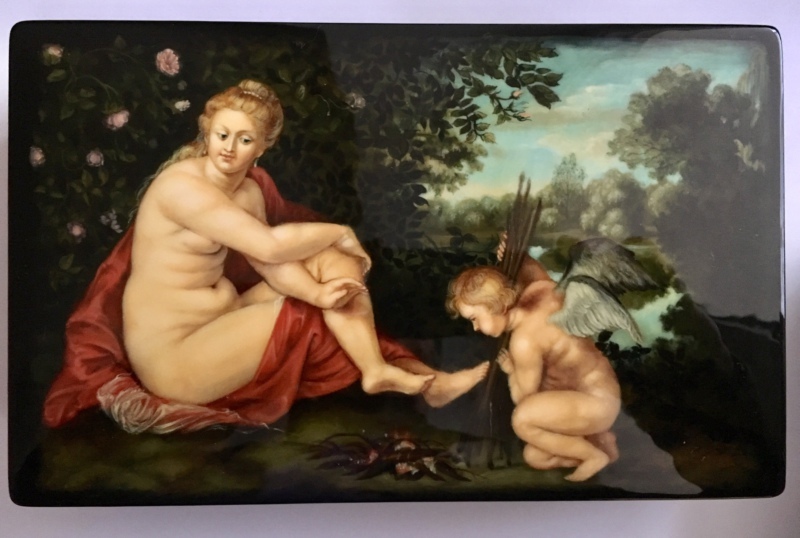 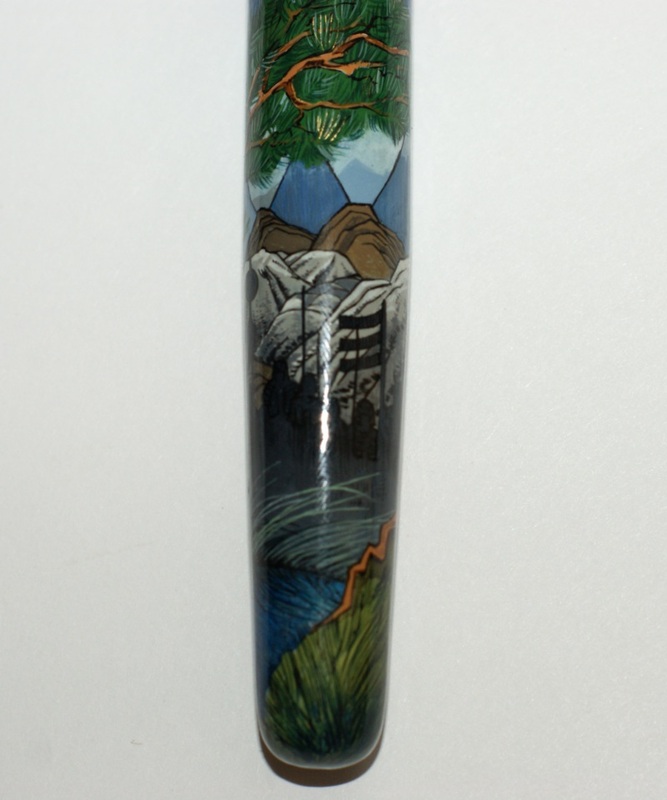 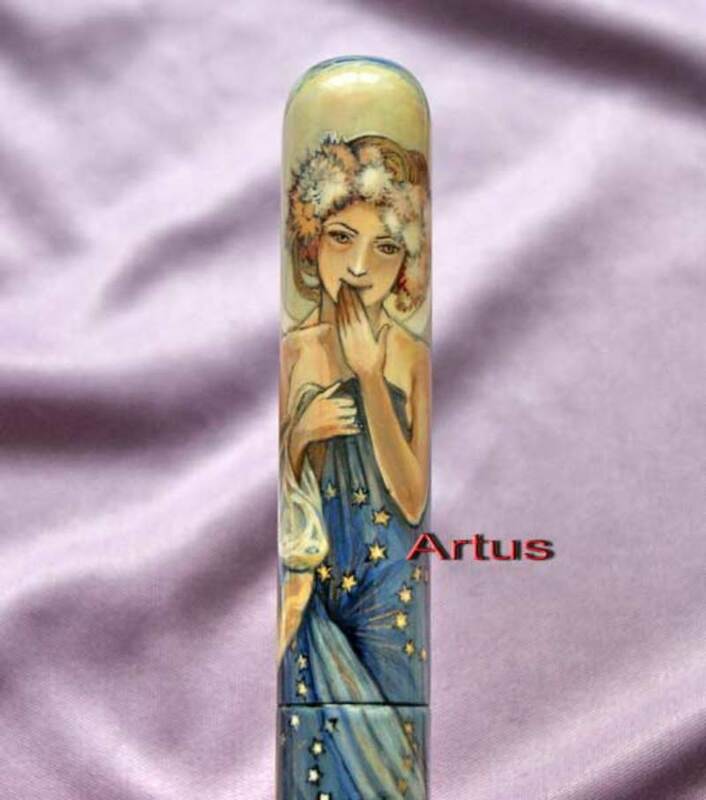 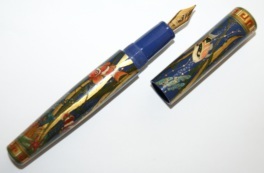 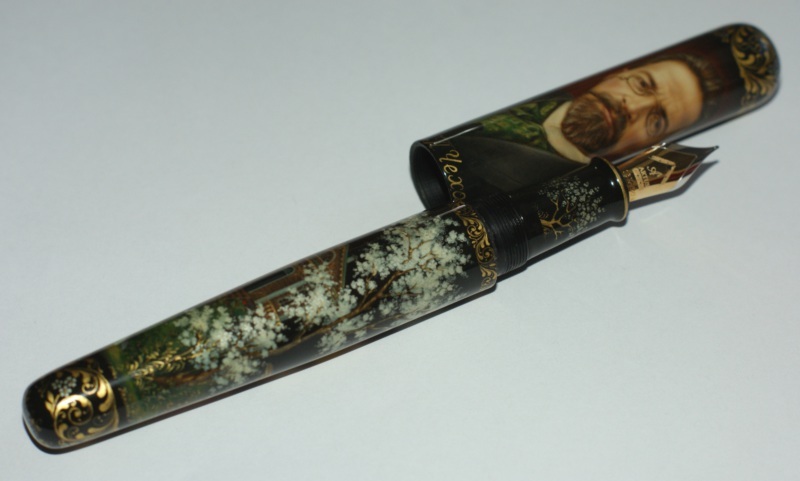 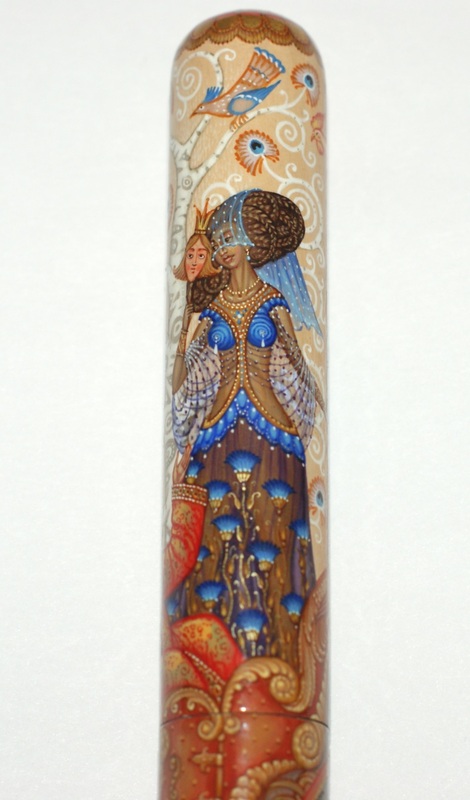 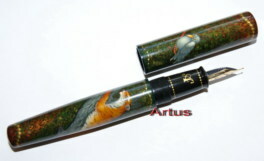 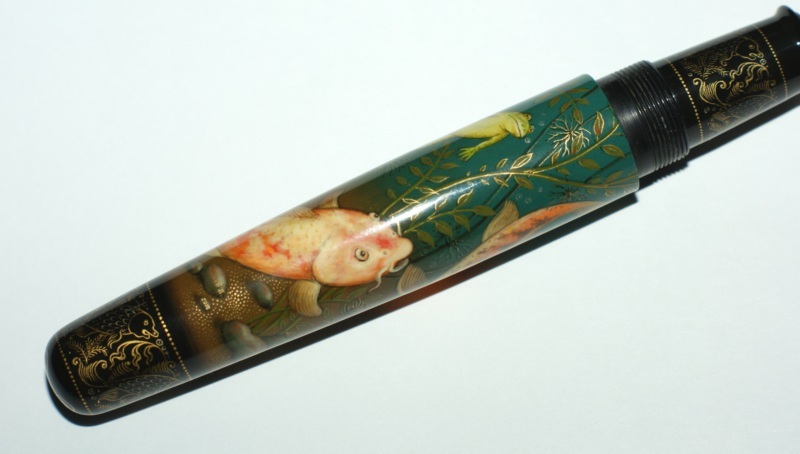 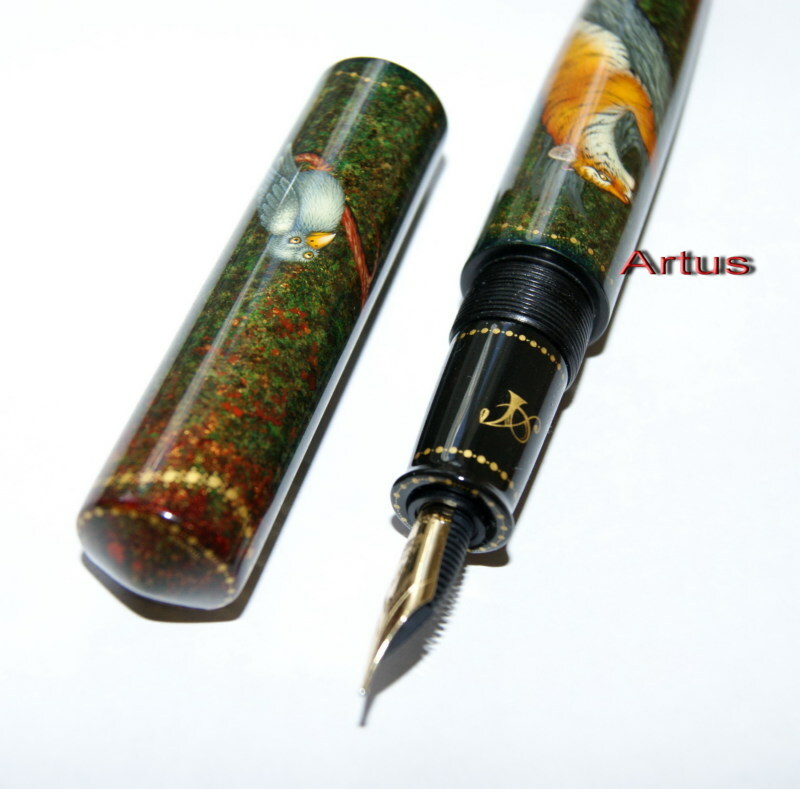 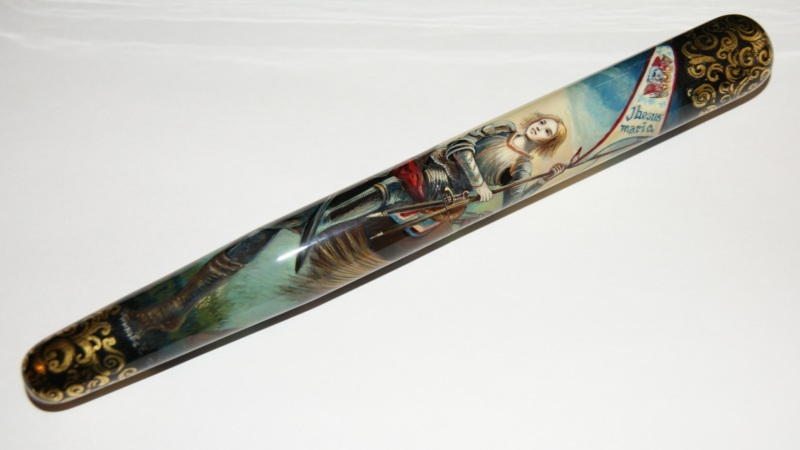 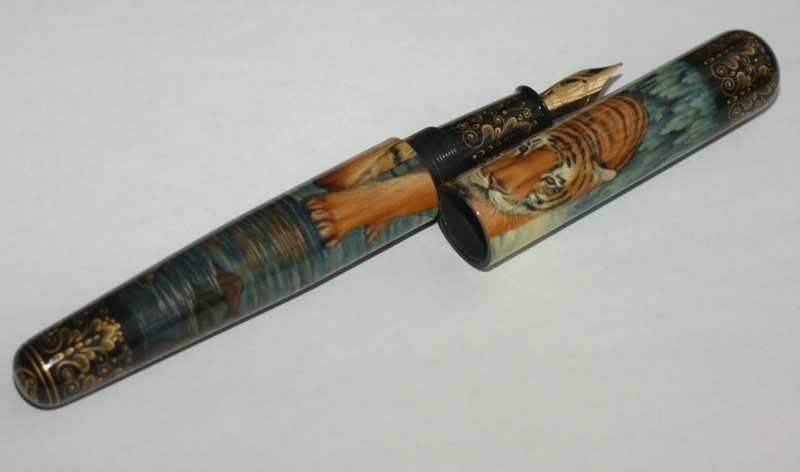 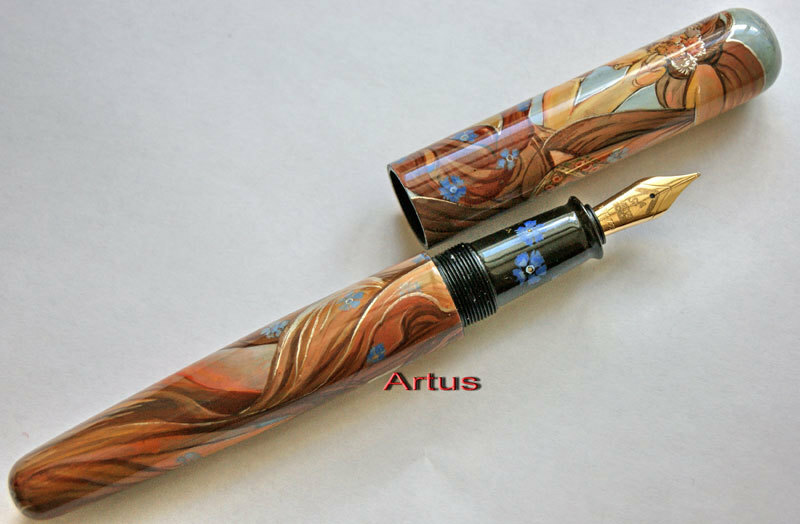 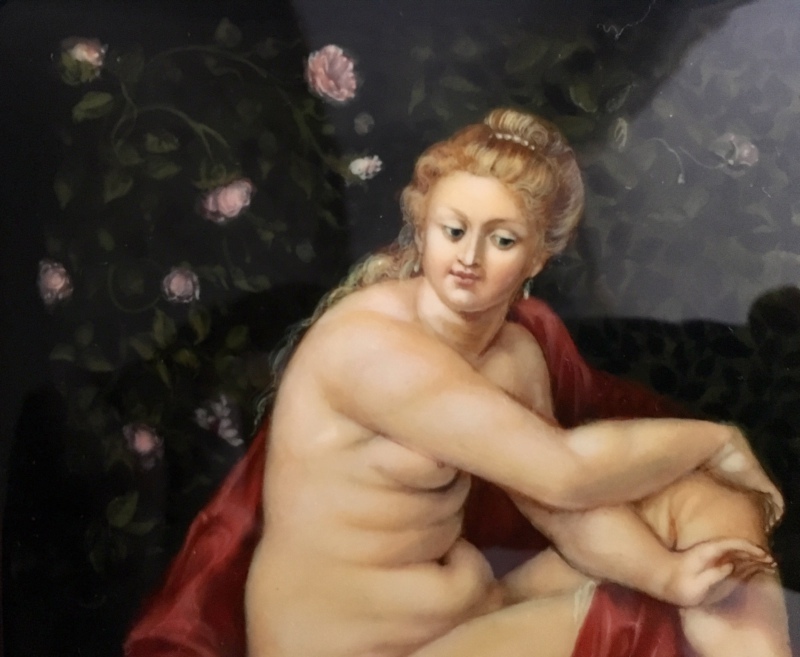 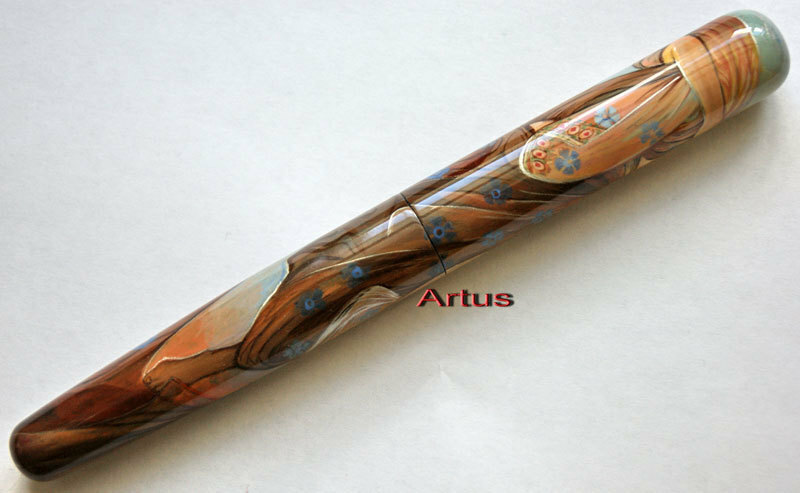 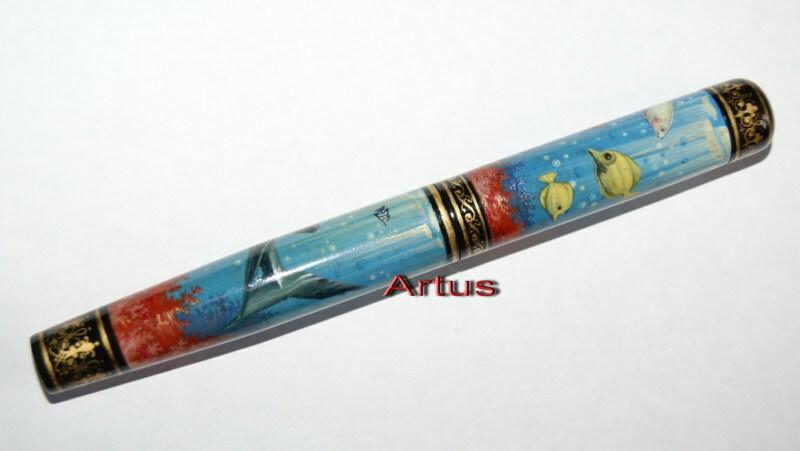 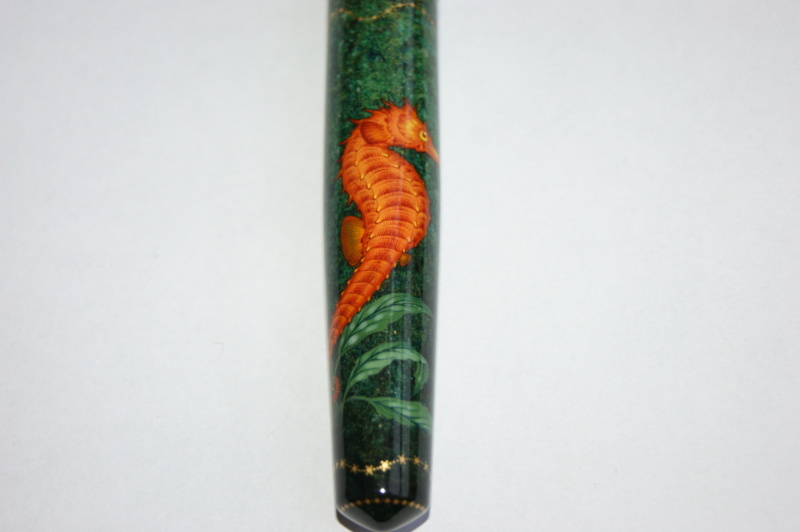 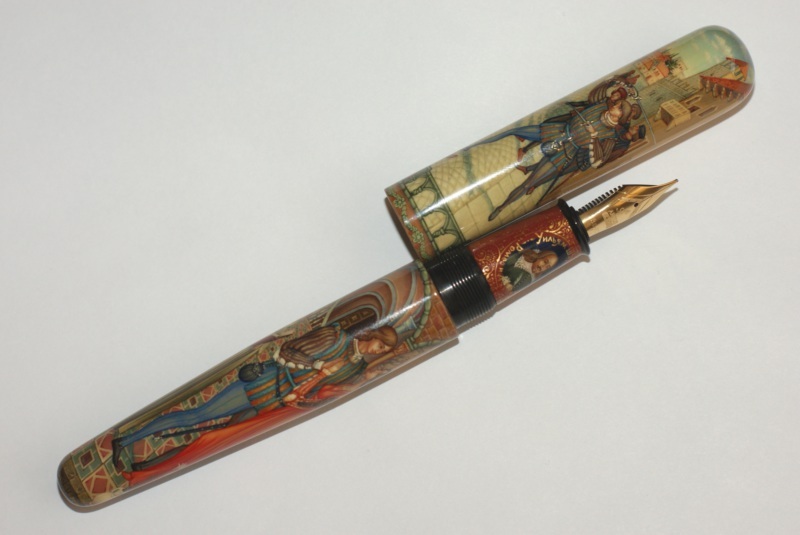 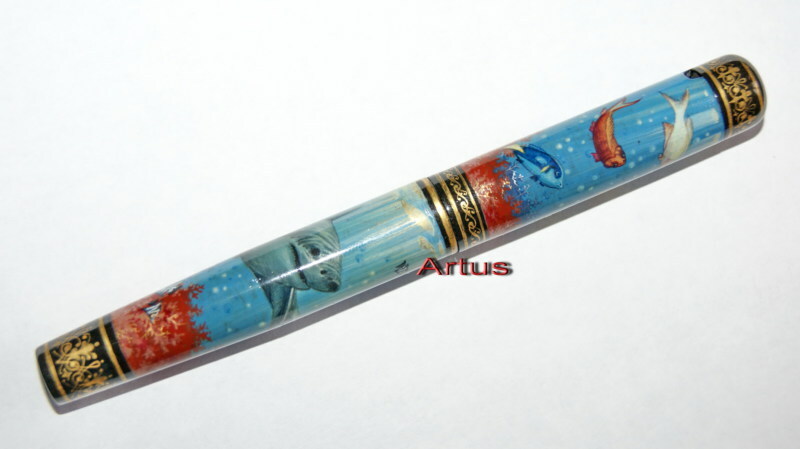 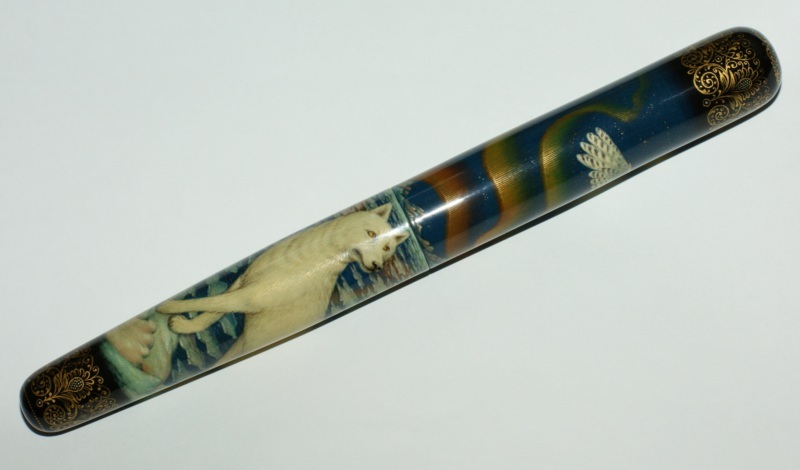 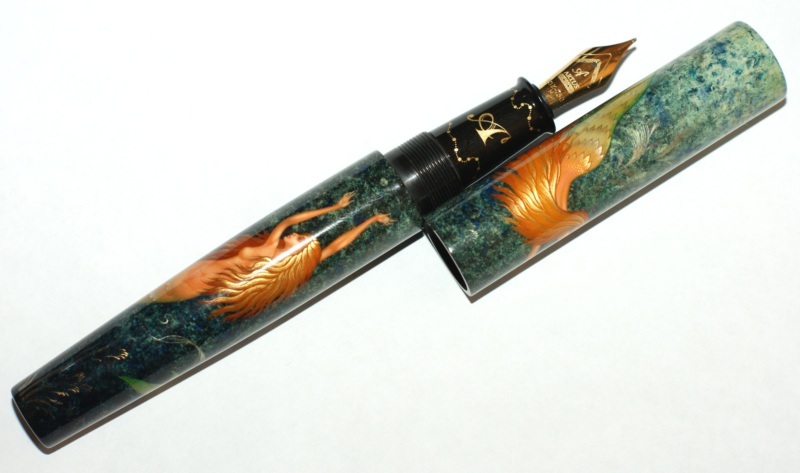 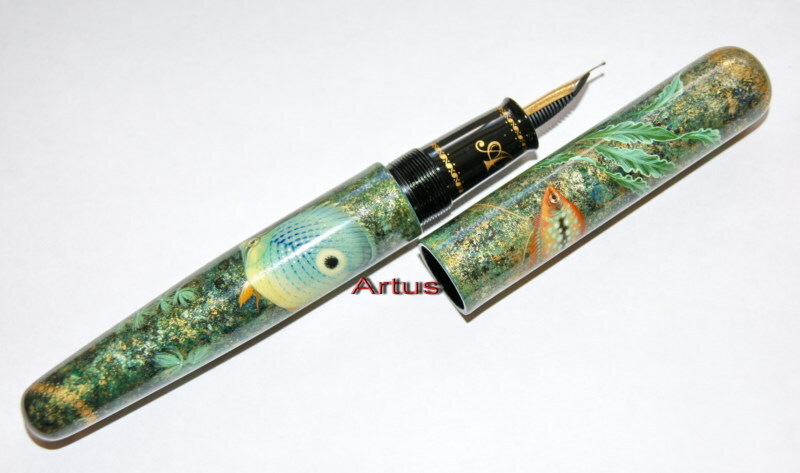 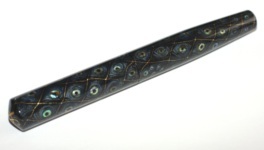 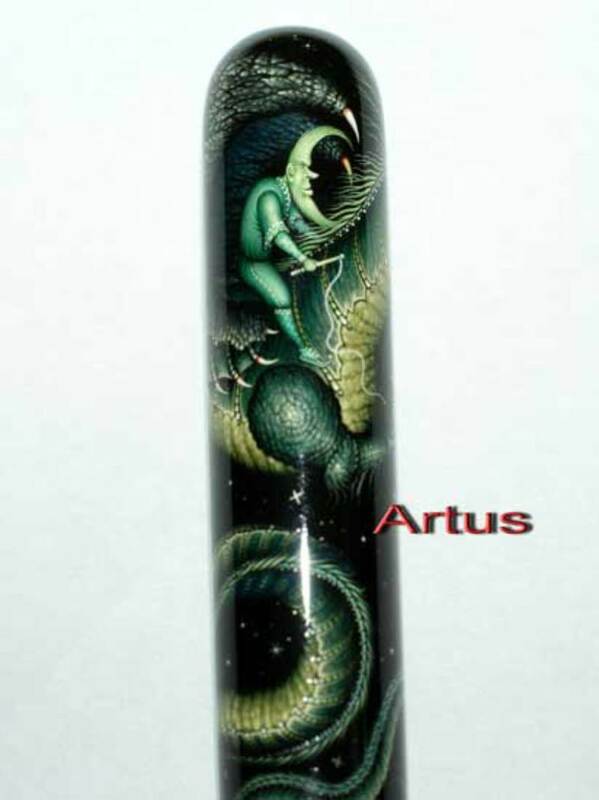 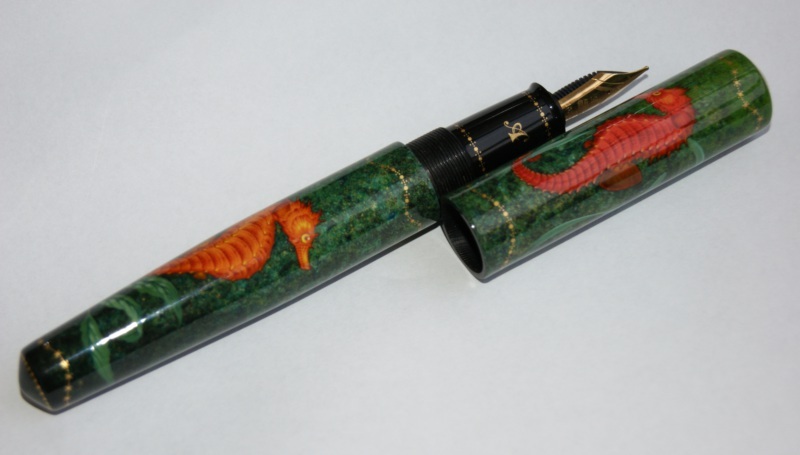 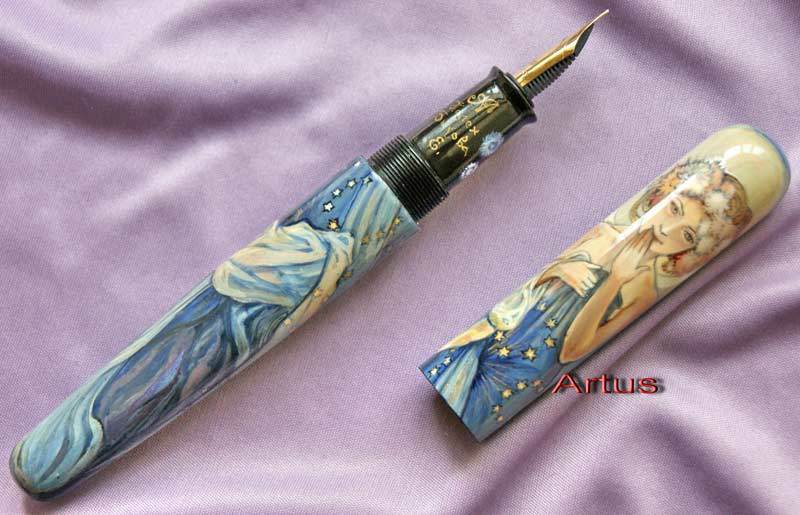 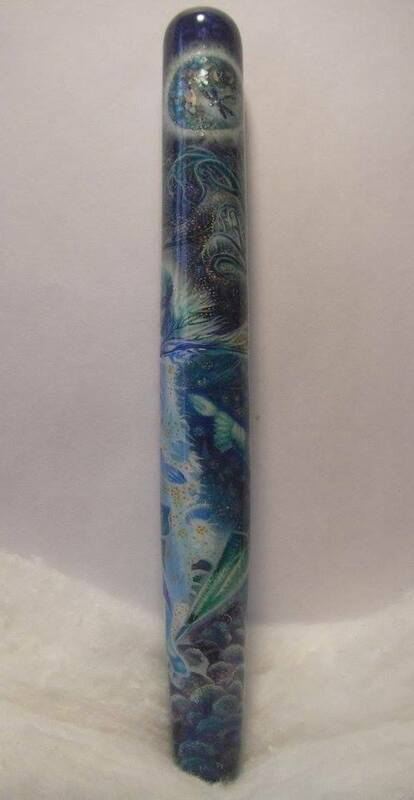 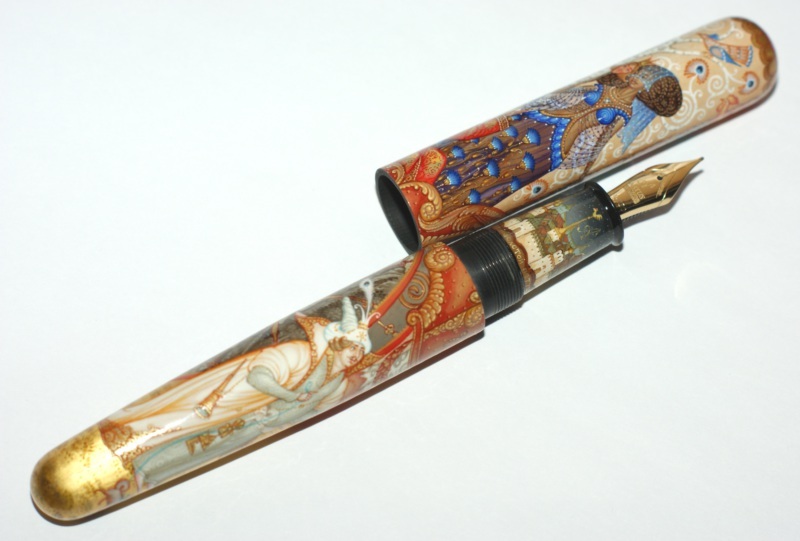 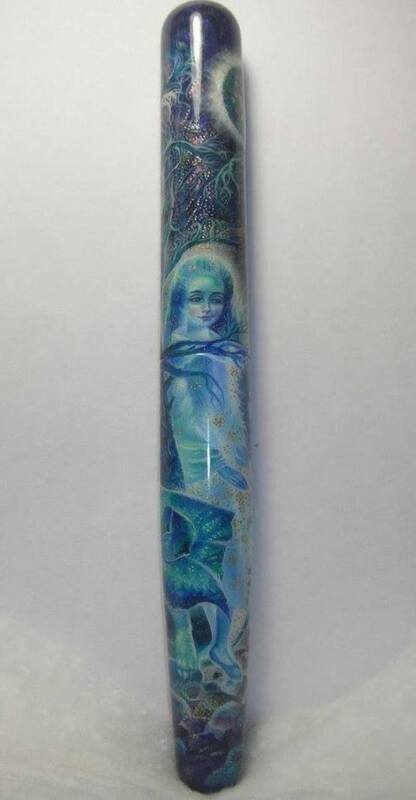 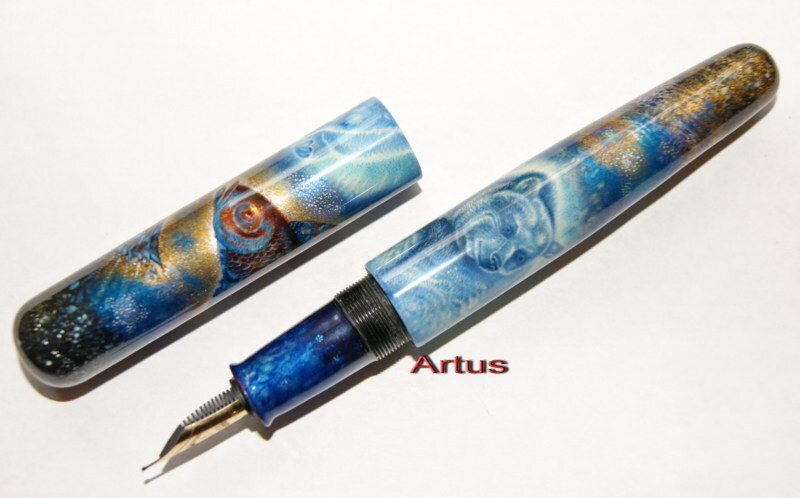 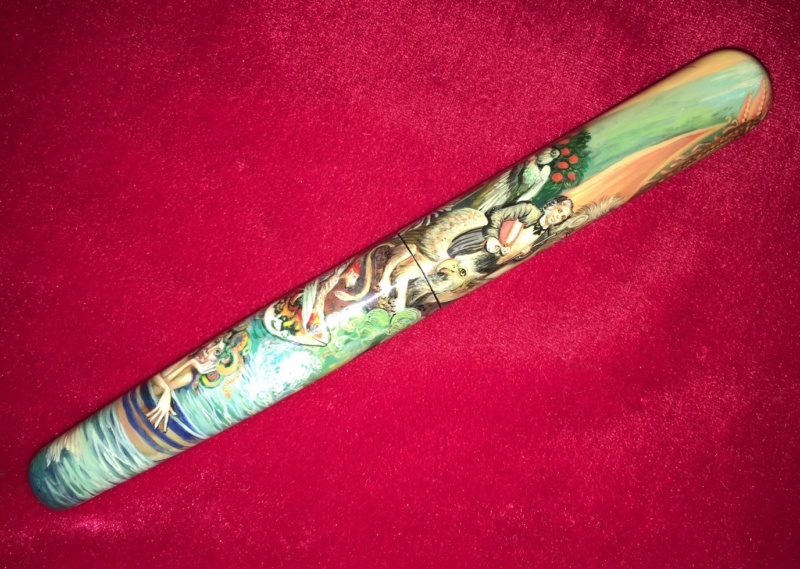 Artistic rating 9.5 (1-10), nib size 8, ebonite feeder, motherofpearl inlay, oil tempera. 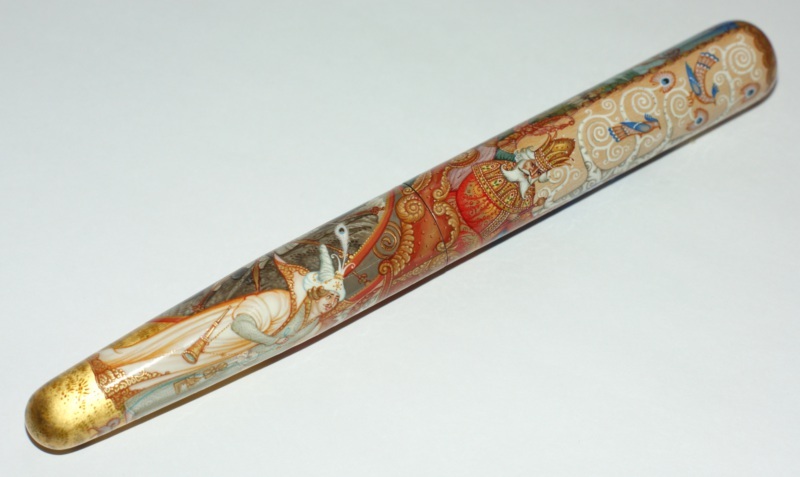 The History of Aircraft. 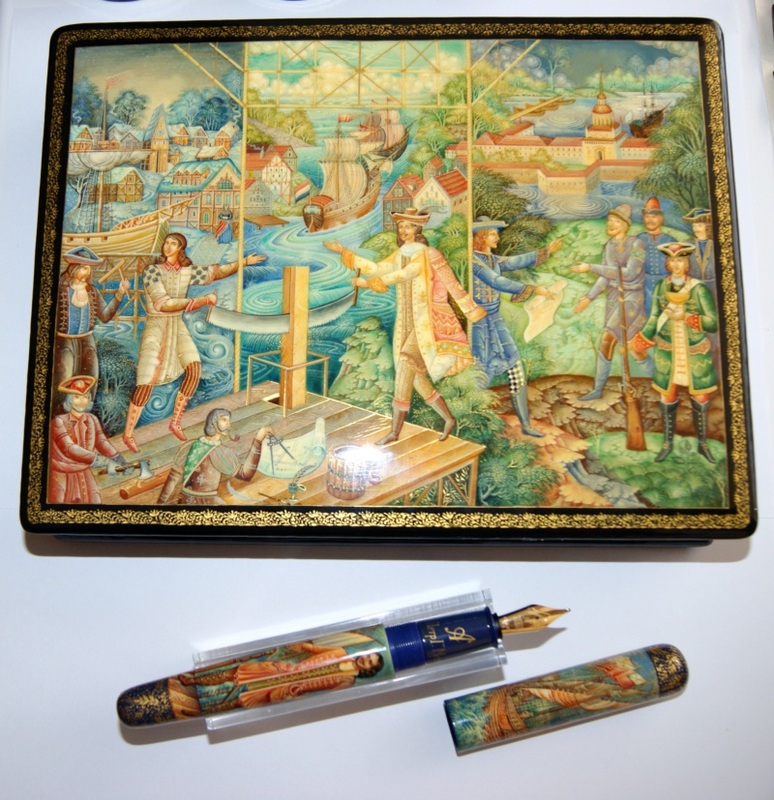 Wright Brothers. 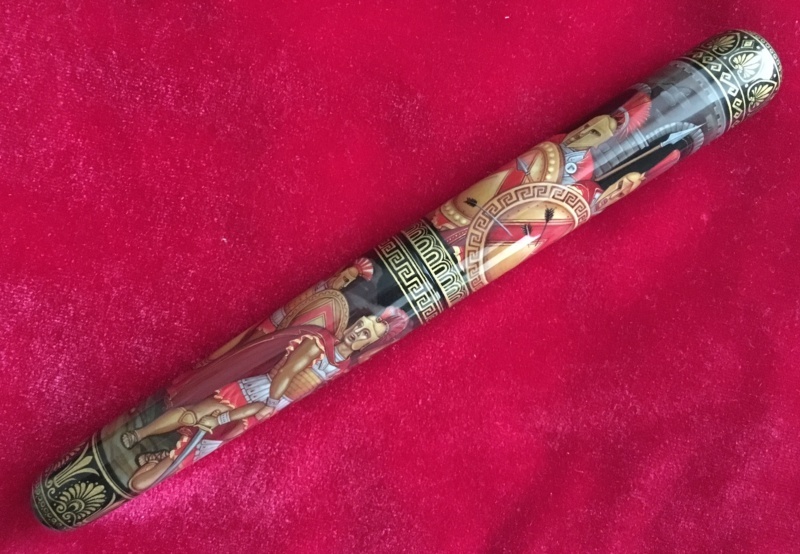 one of a kind unique authors fountain pen of Magnum Emperor size, cigar shaped. Artistic rating 9.5 (1-10), chinkin technique, nib size N8 with ebonite feeder. 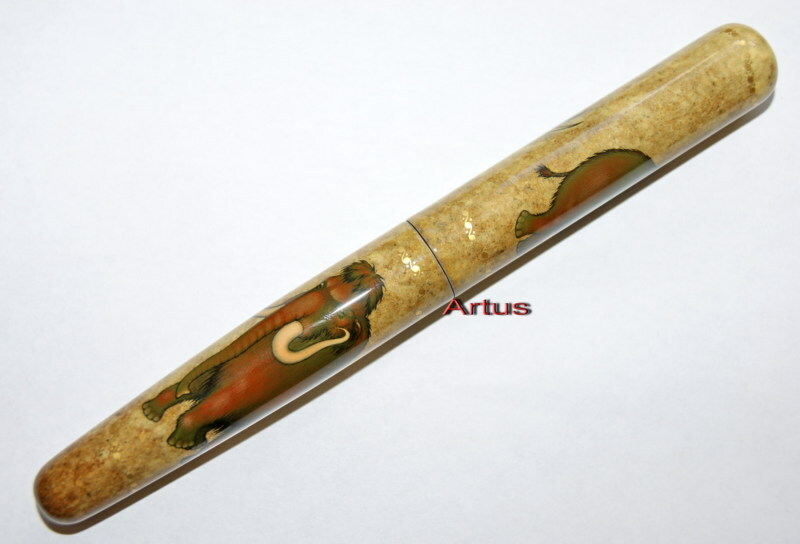 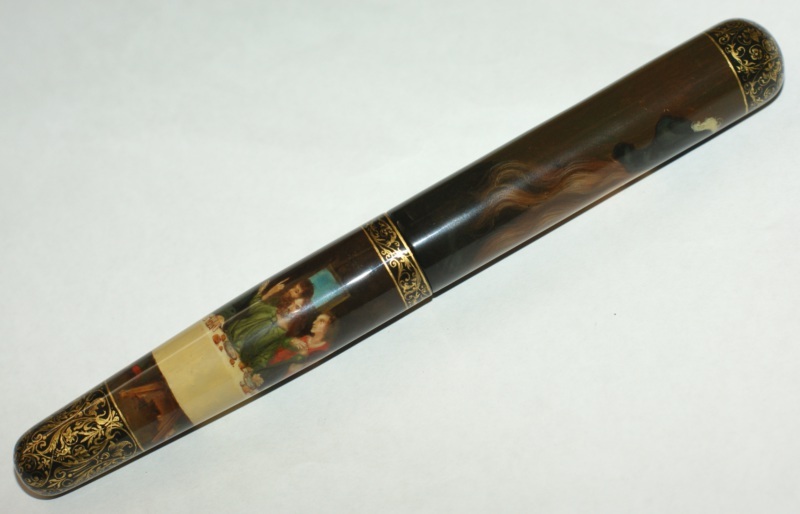 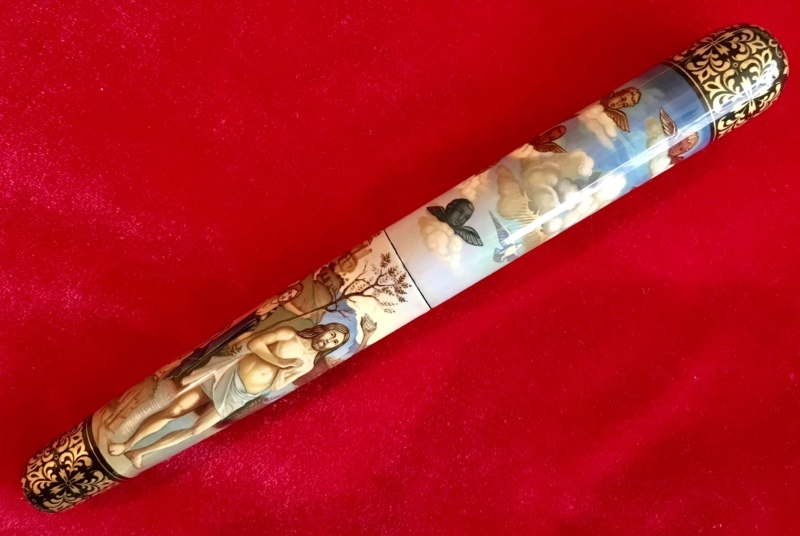 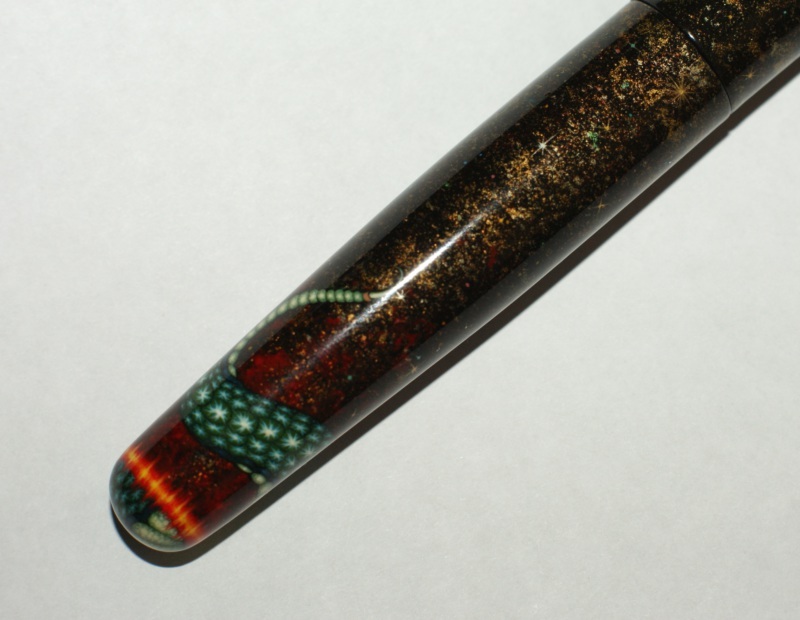 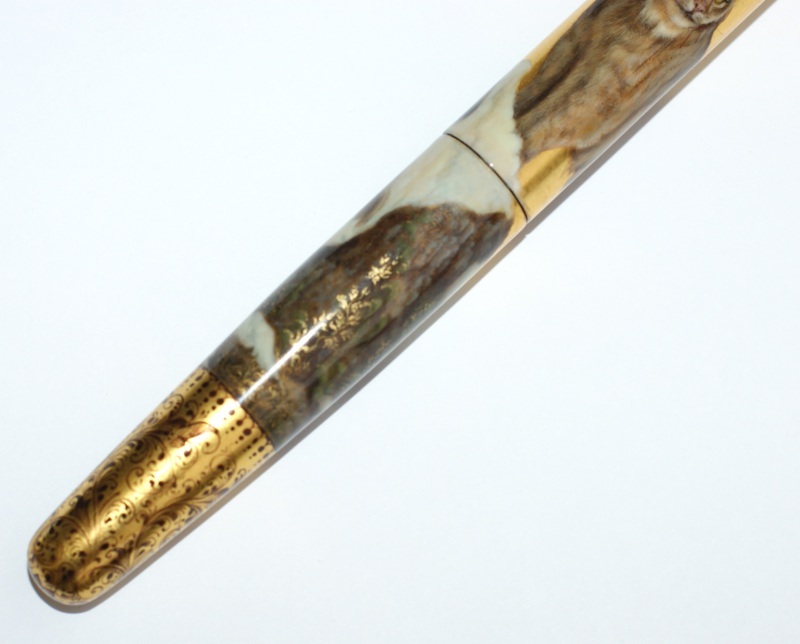 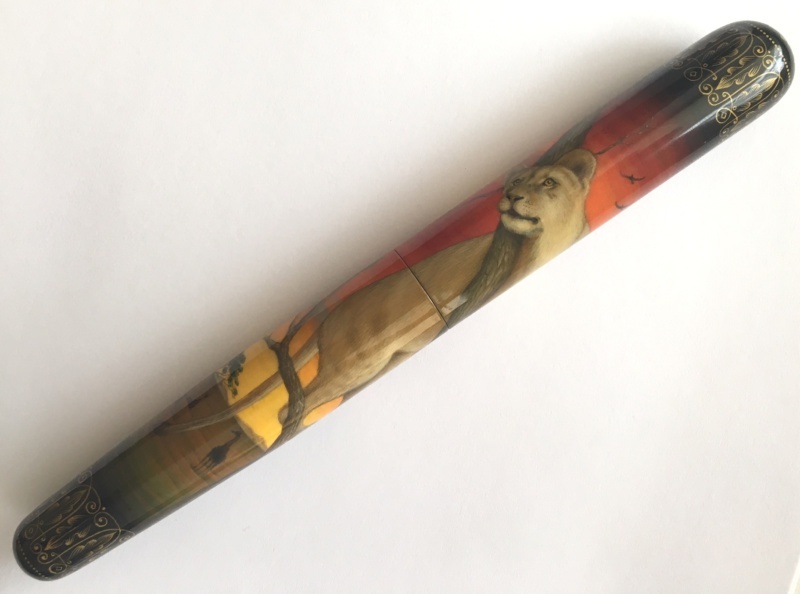 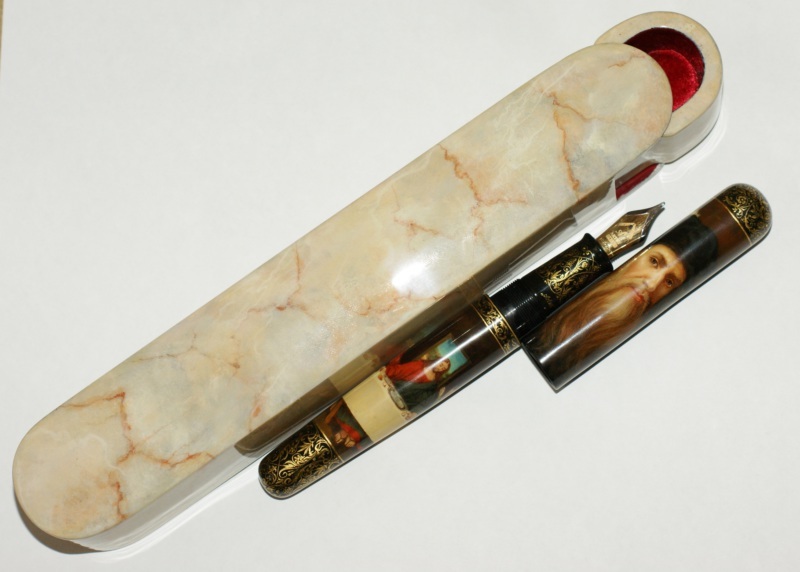 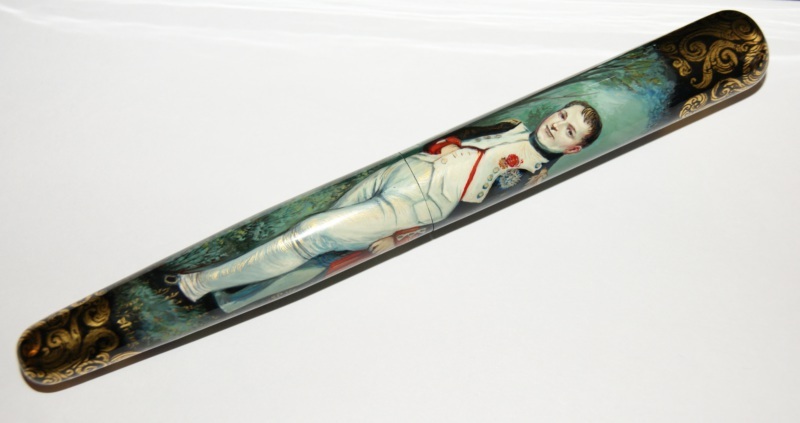 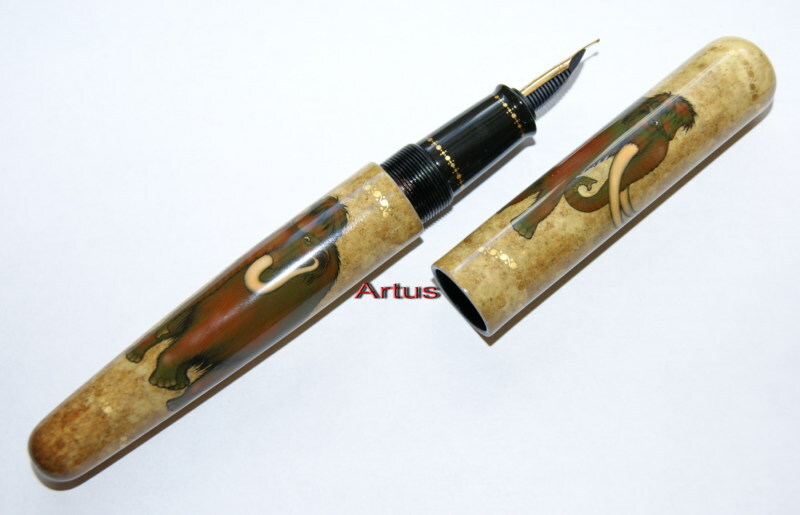 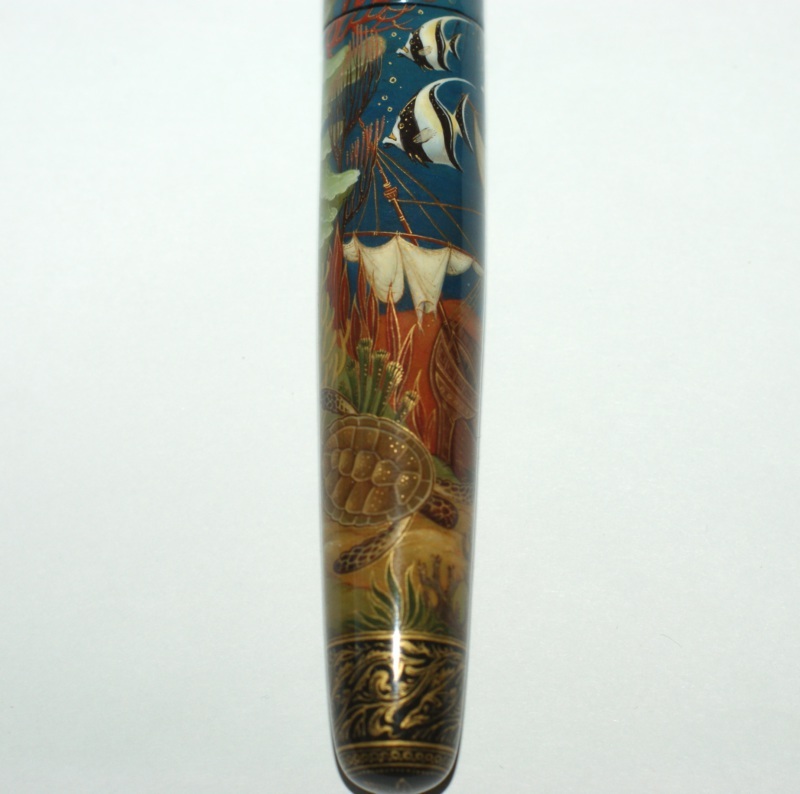 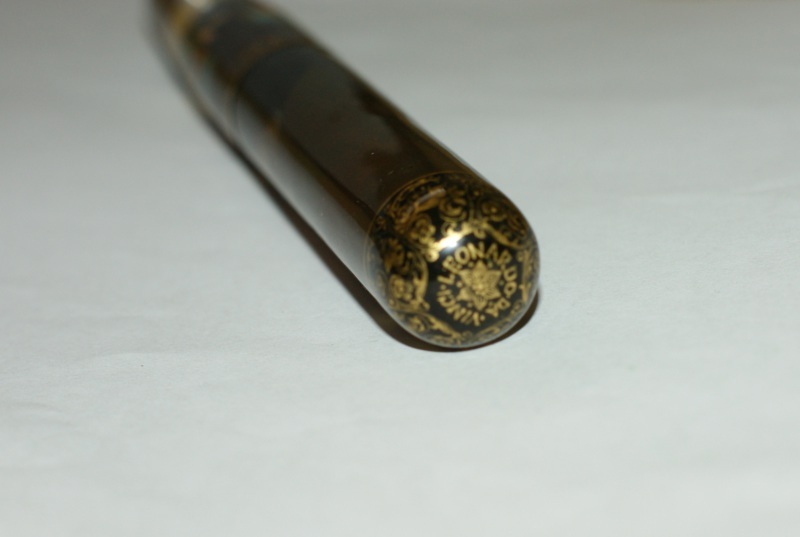 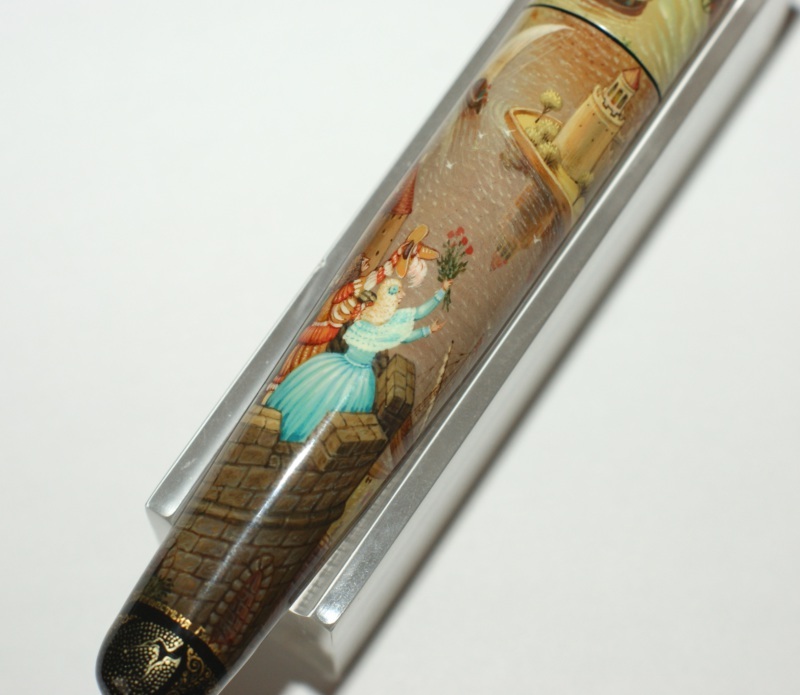 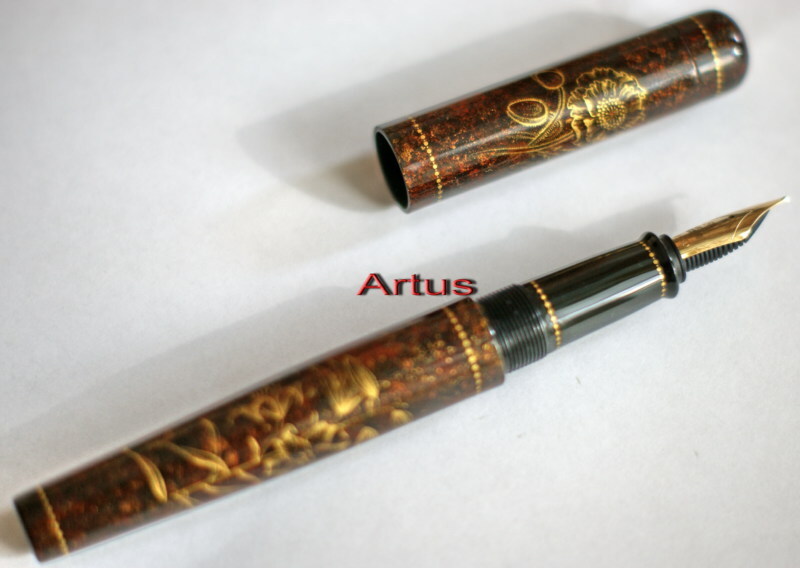 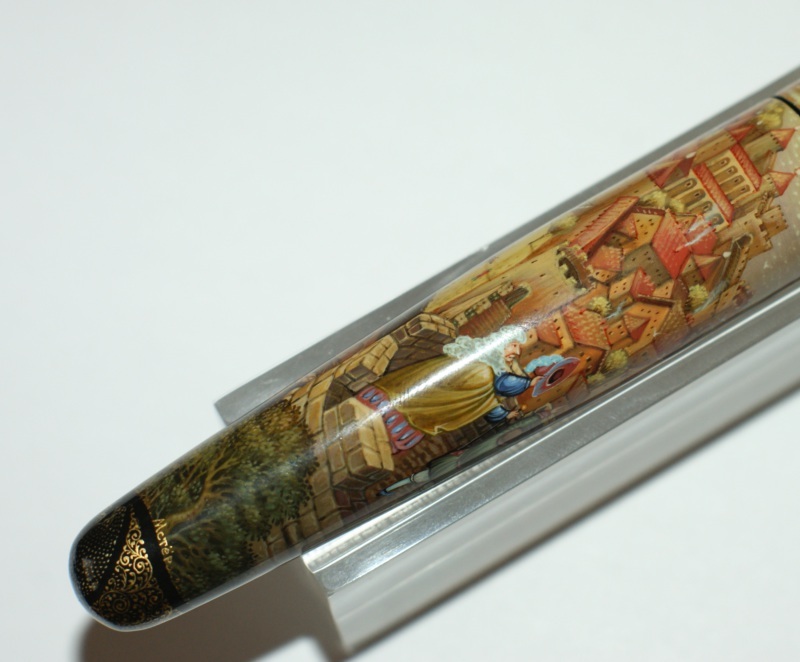 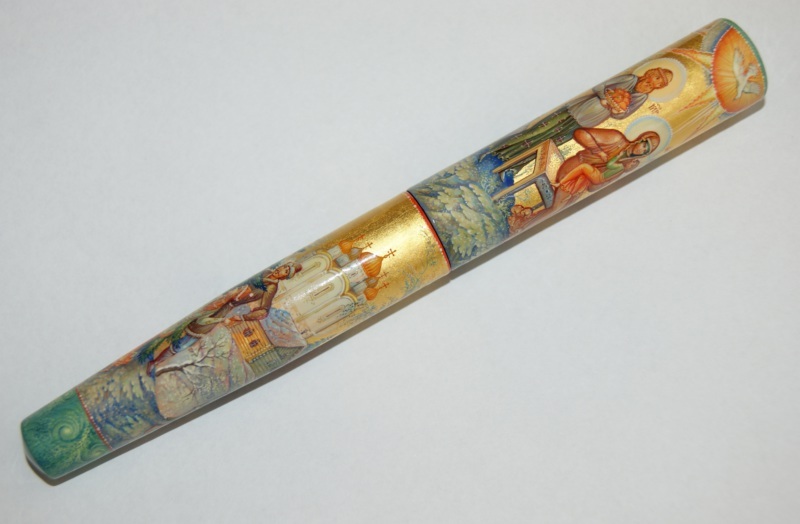 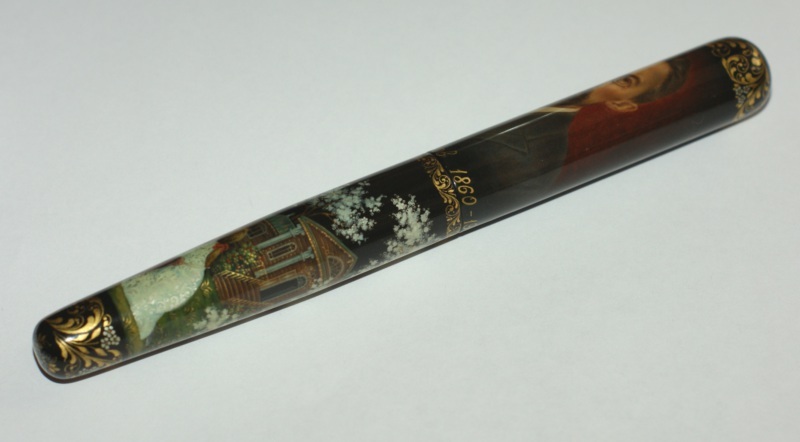 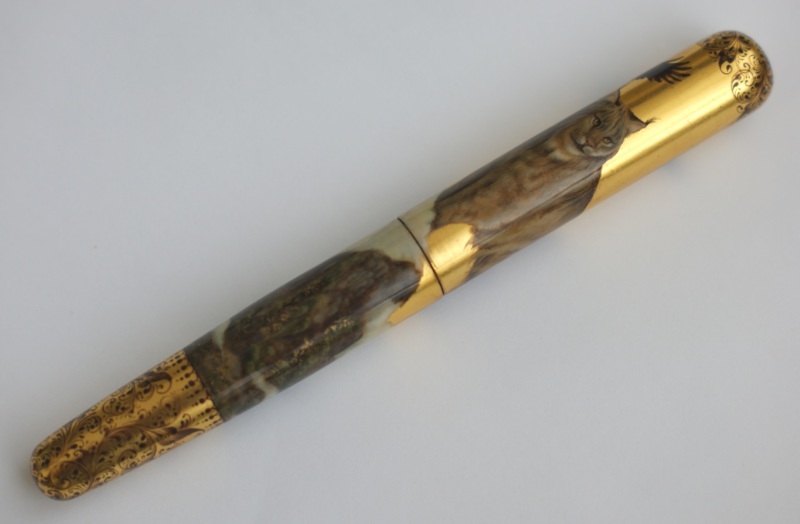 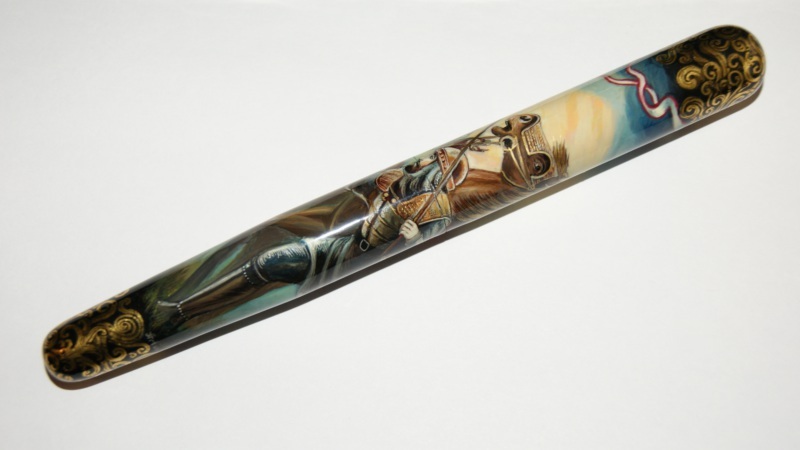 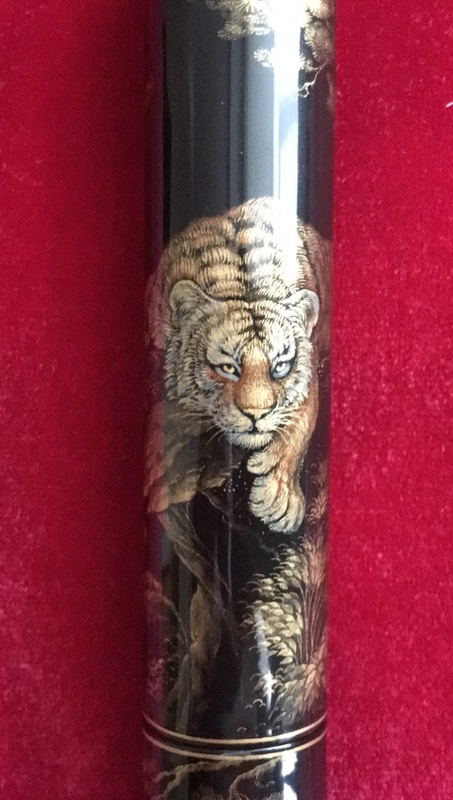 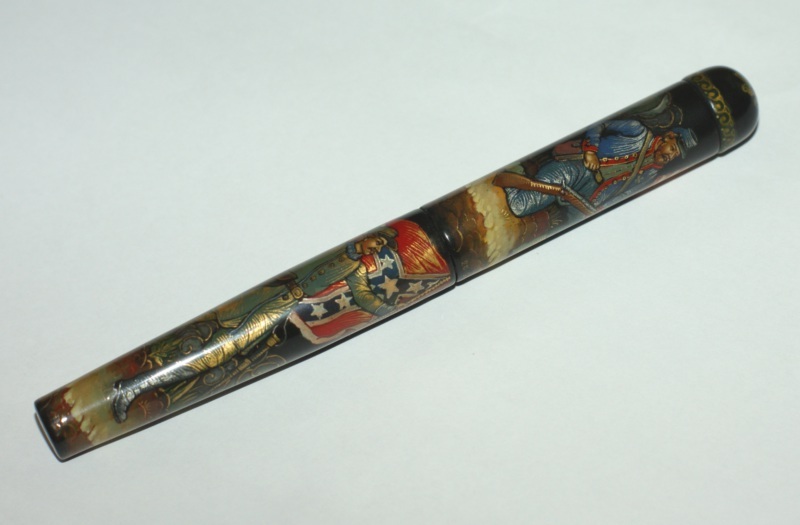 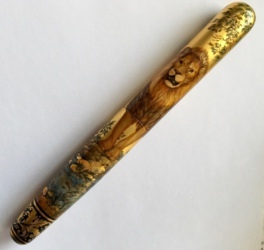 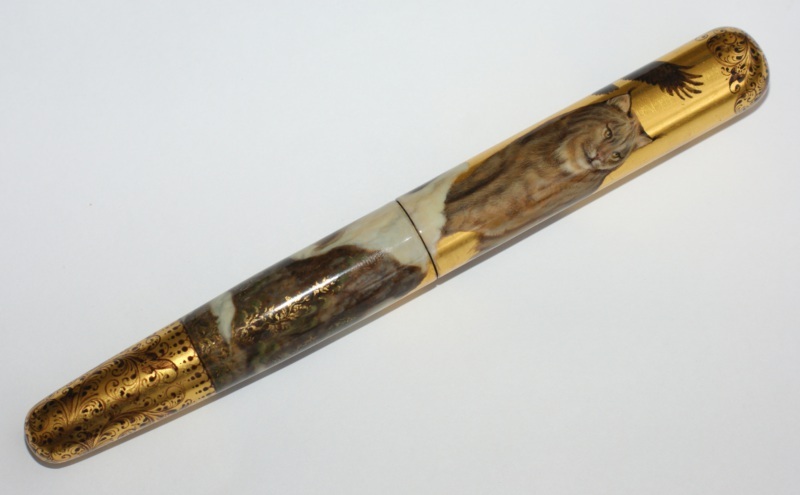 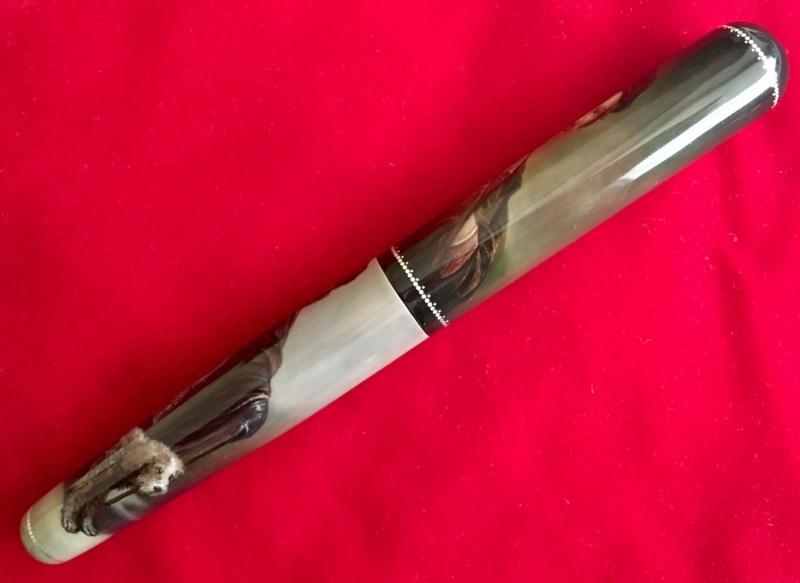 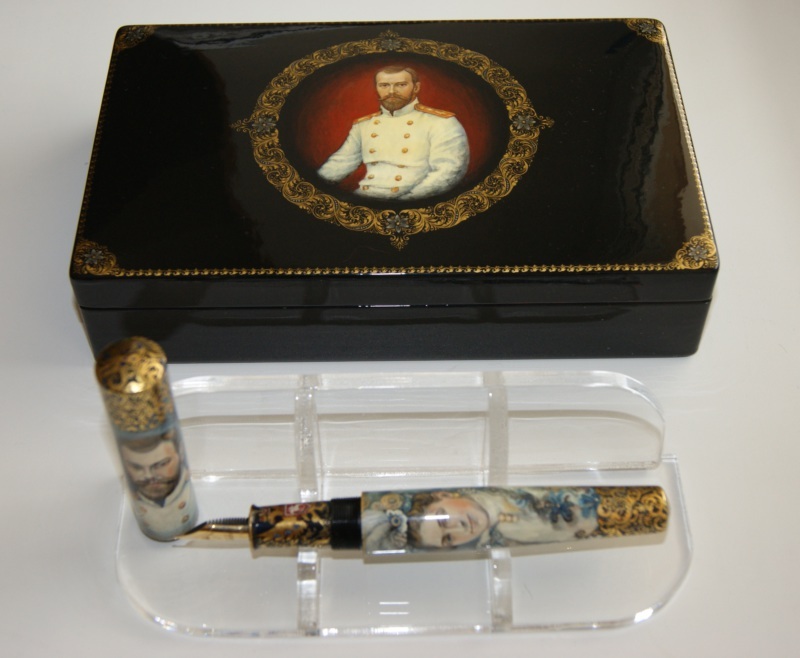 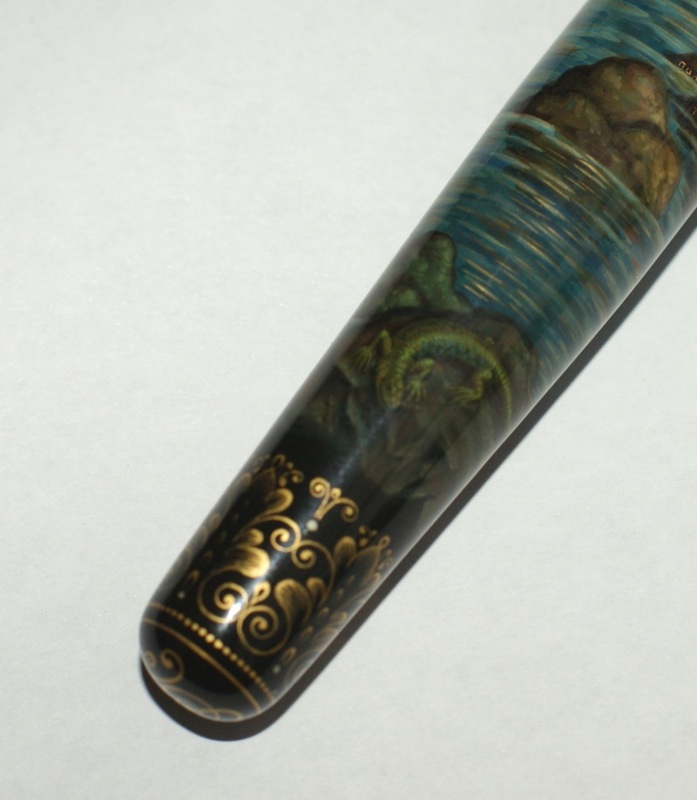 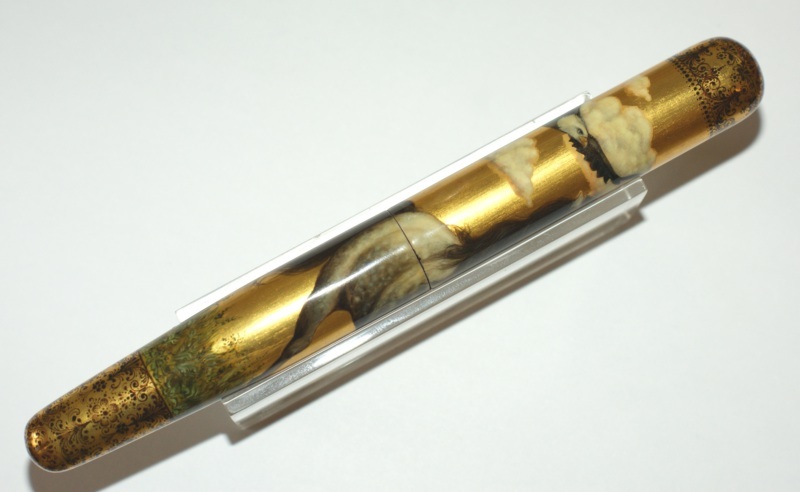 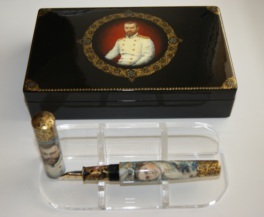 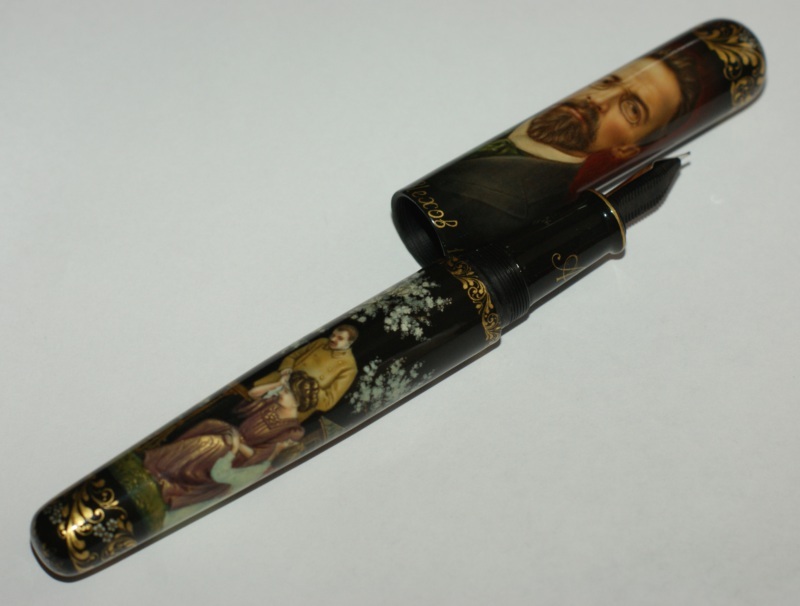 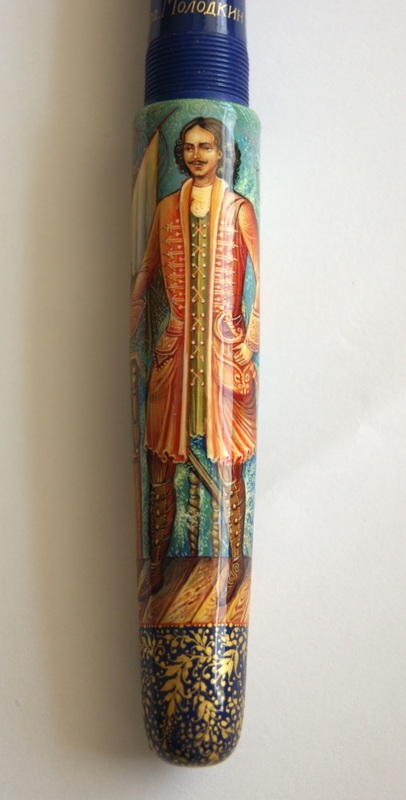 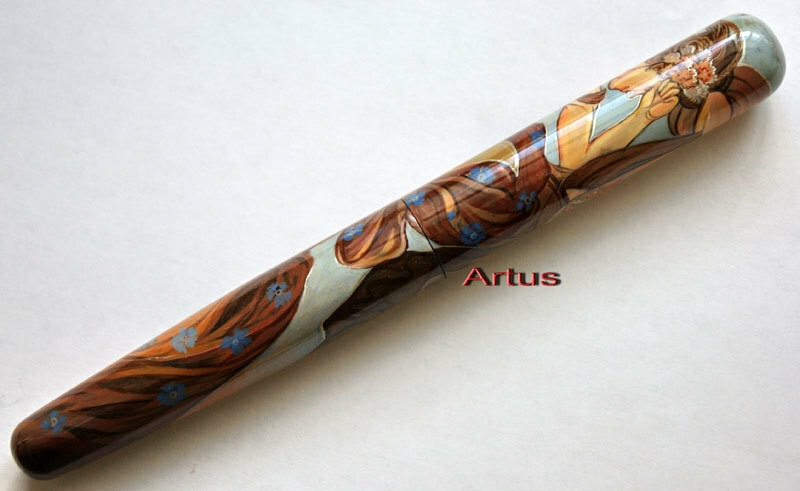 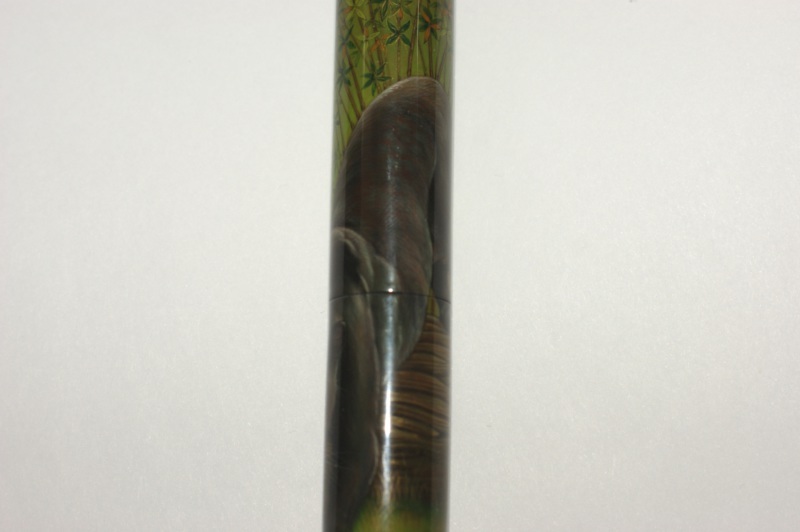 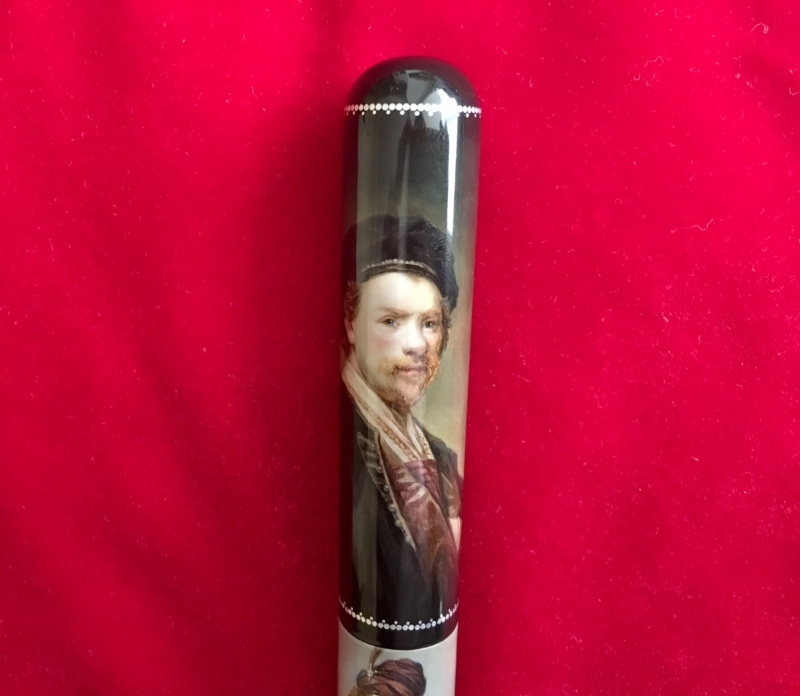 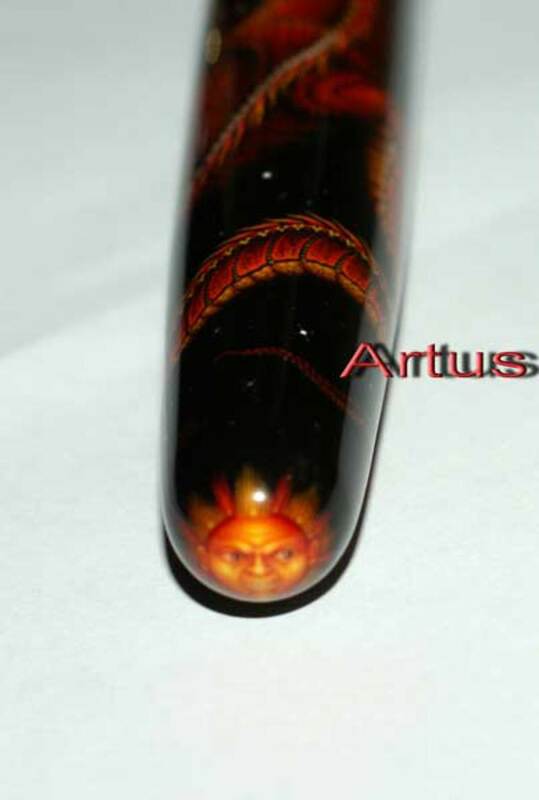 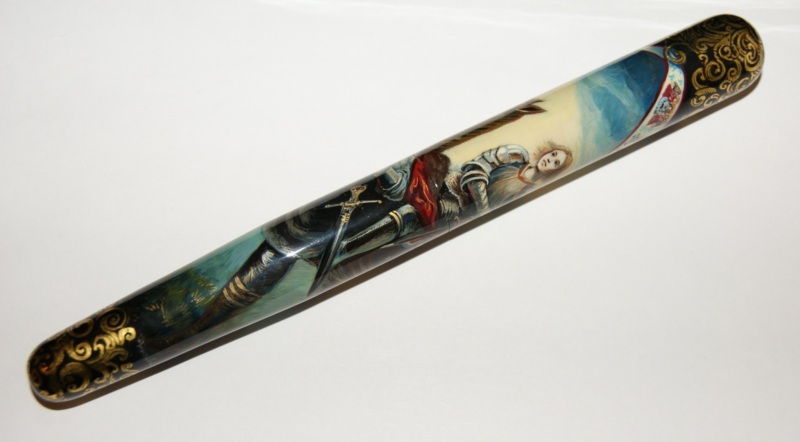 One of a kind pen in Magnum Emperor size, cigar shaped. 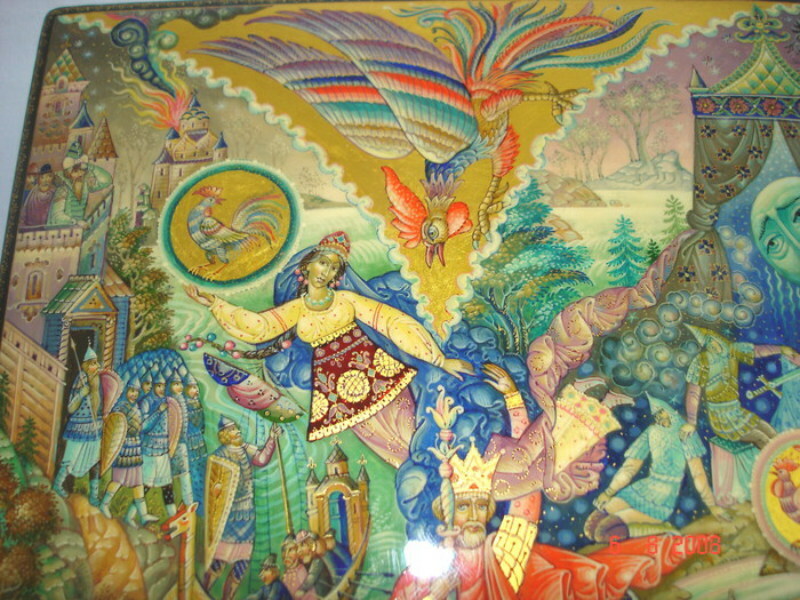 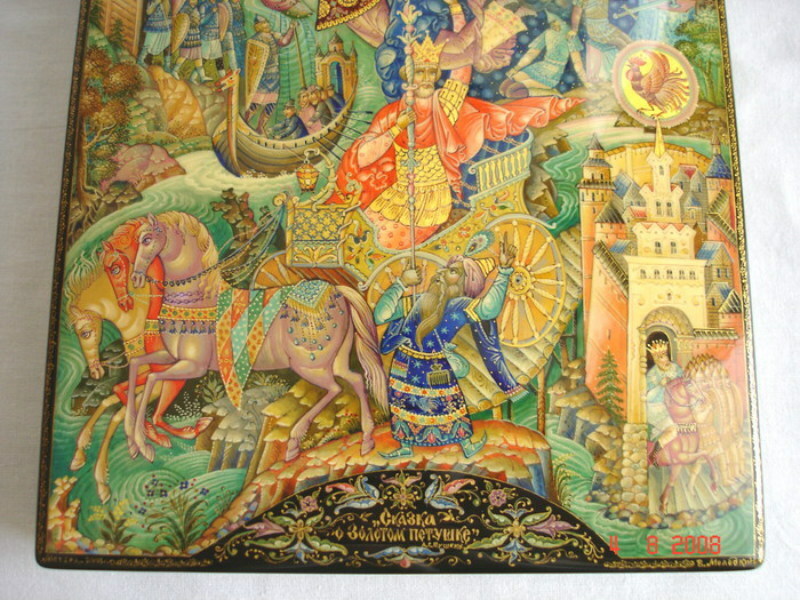 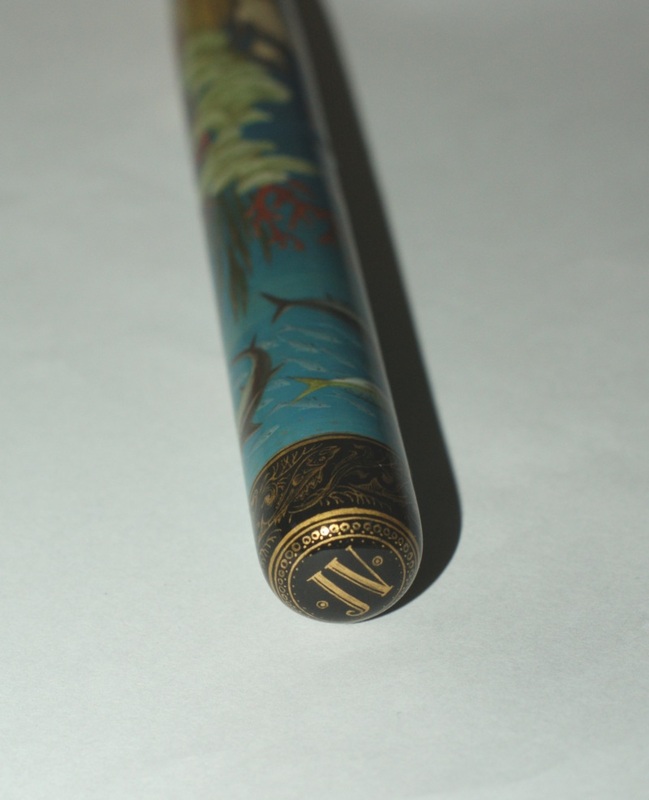 Artistic rating 9 (1-10). 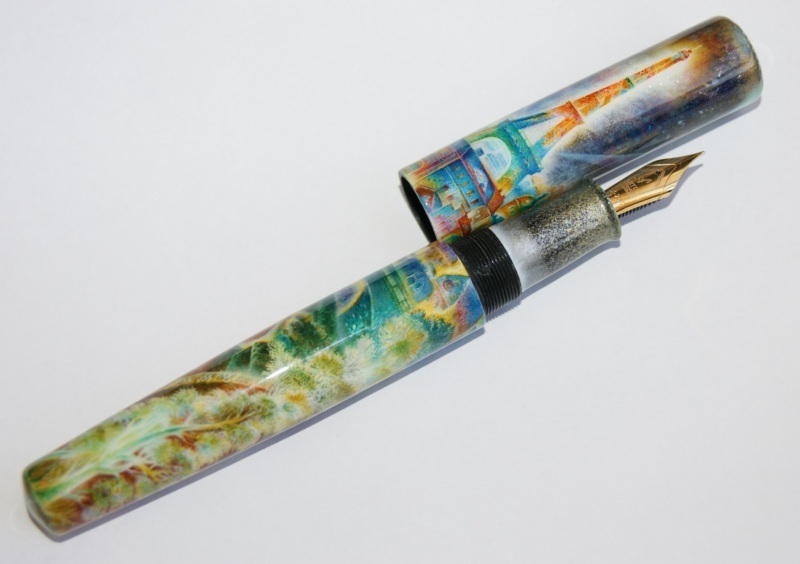 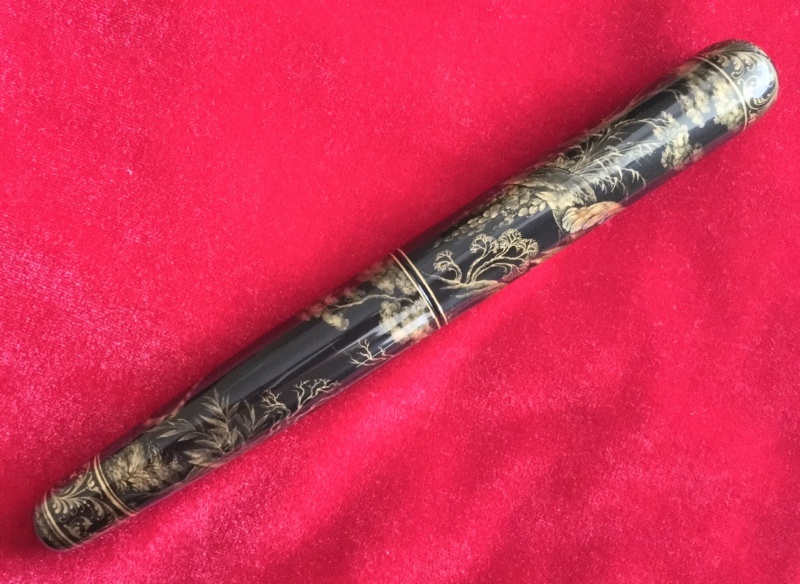 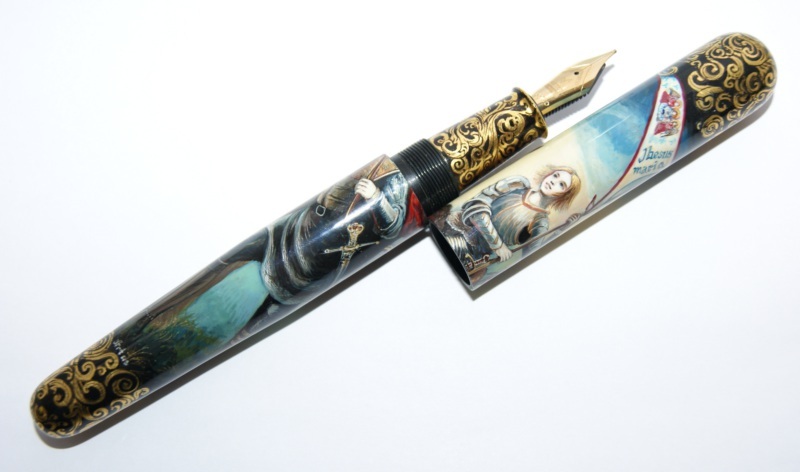 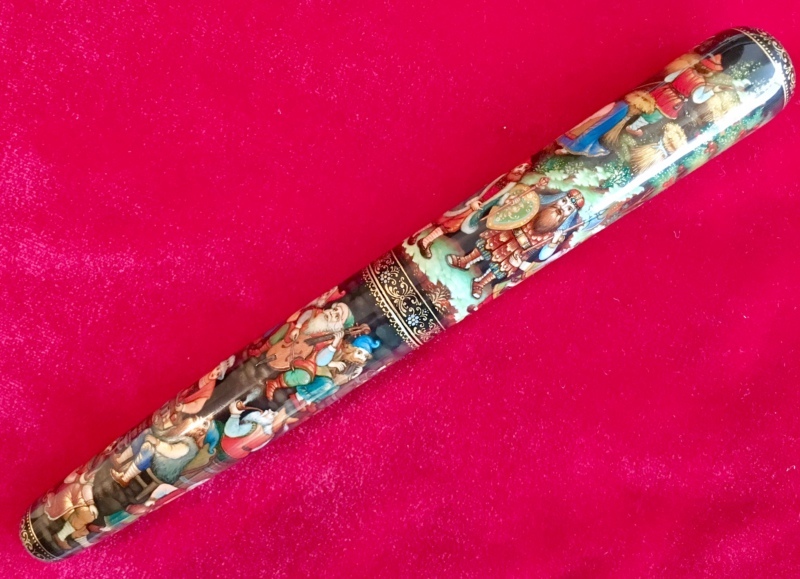 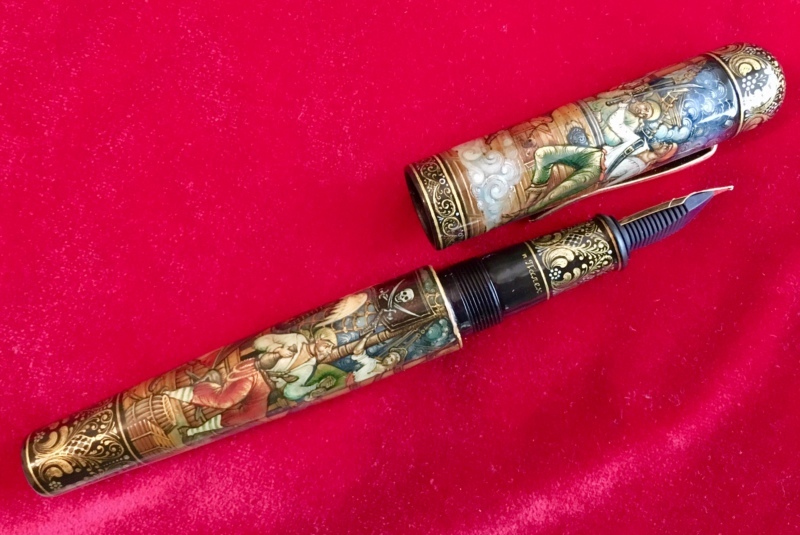 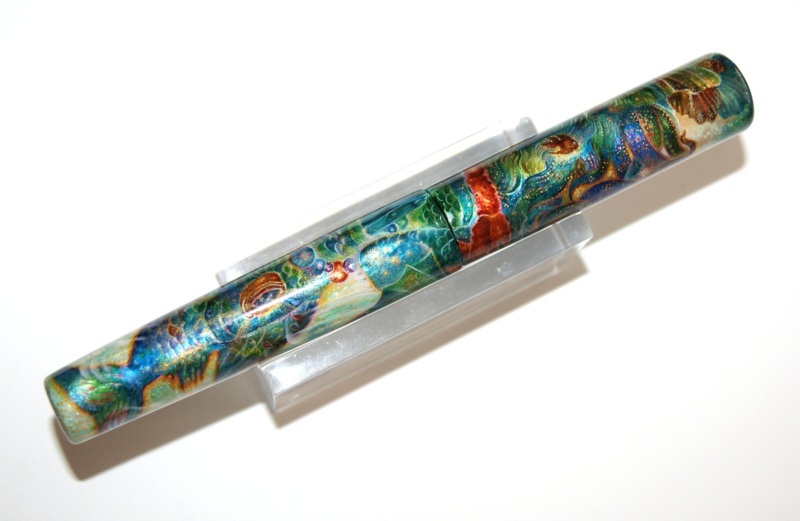 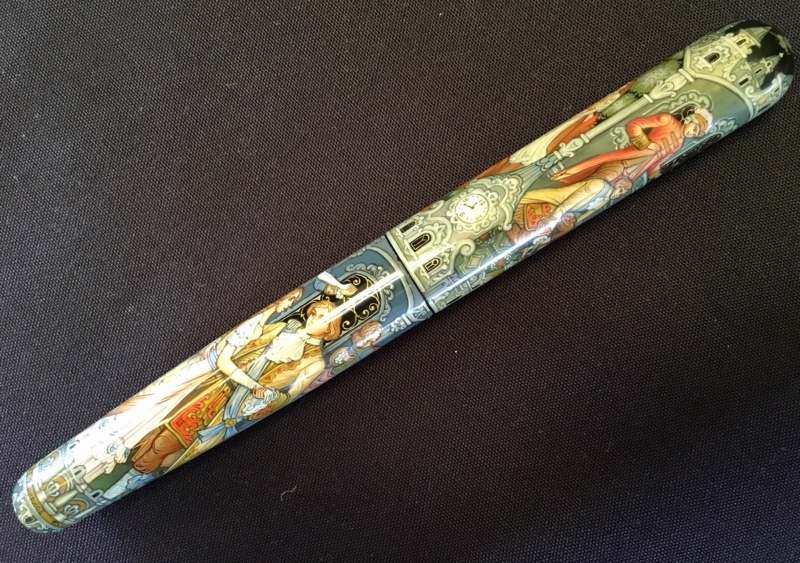 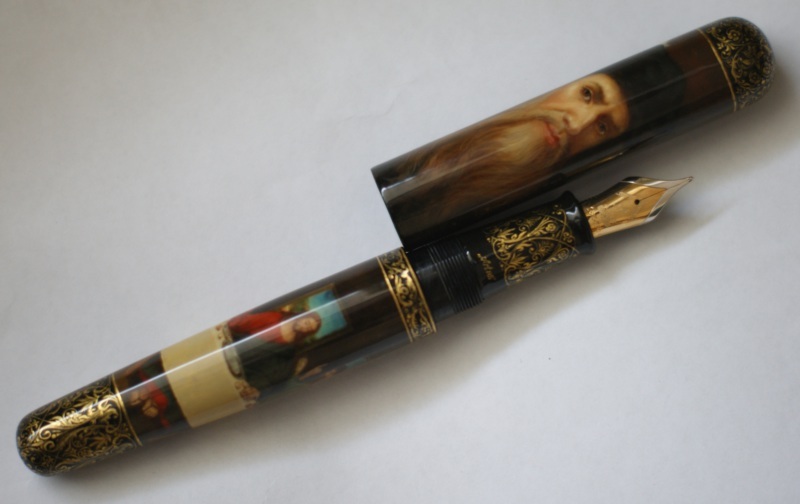 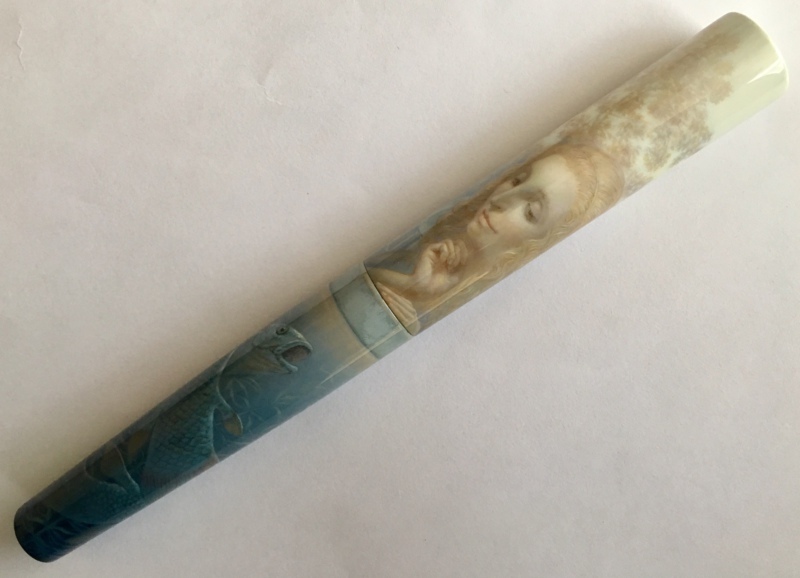 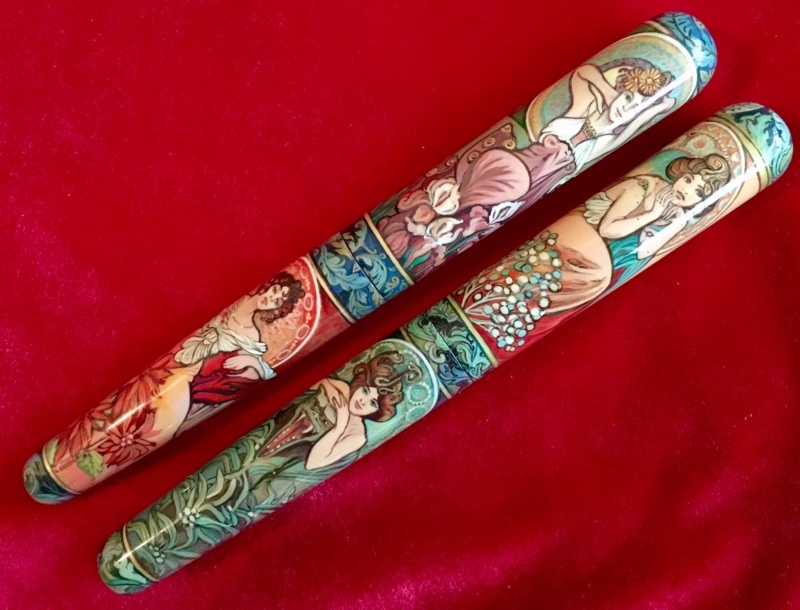 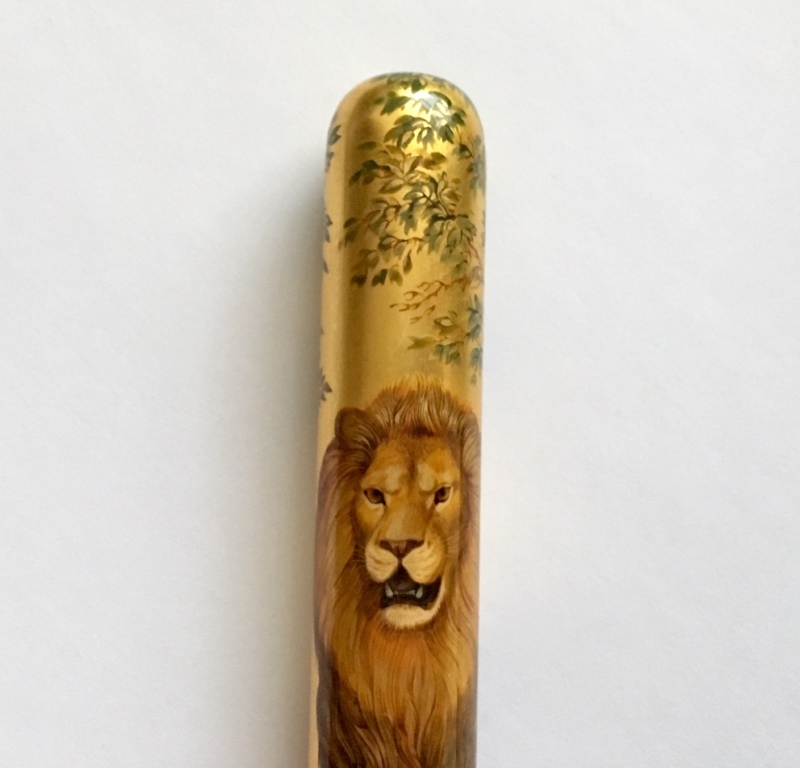 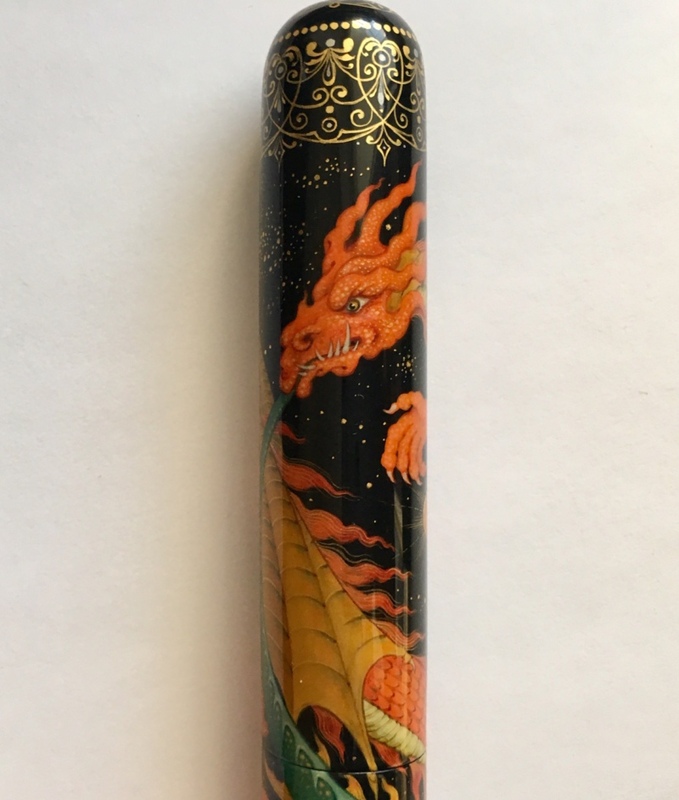 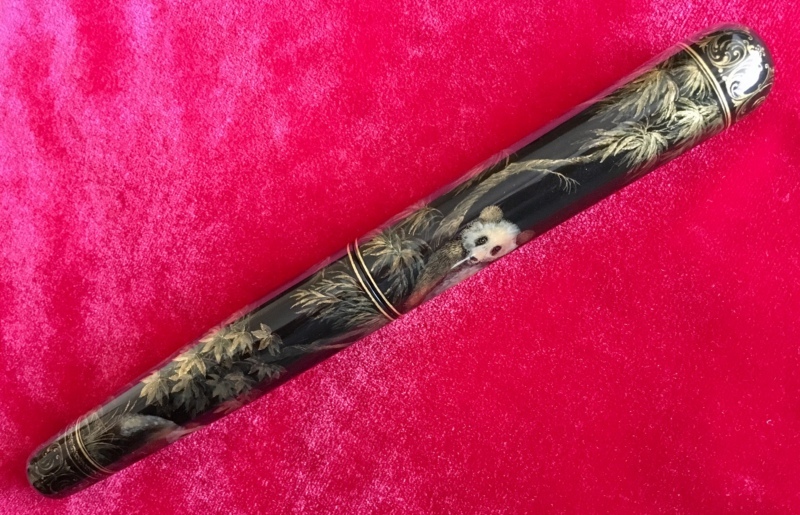 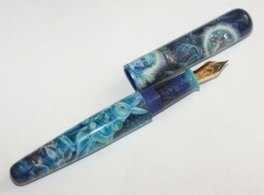 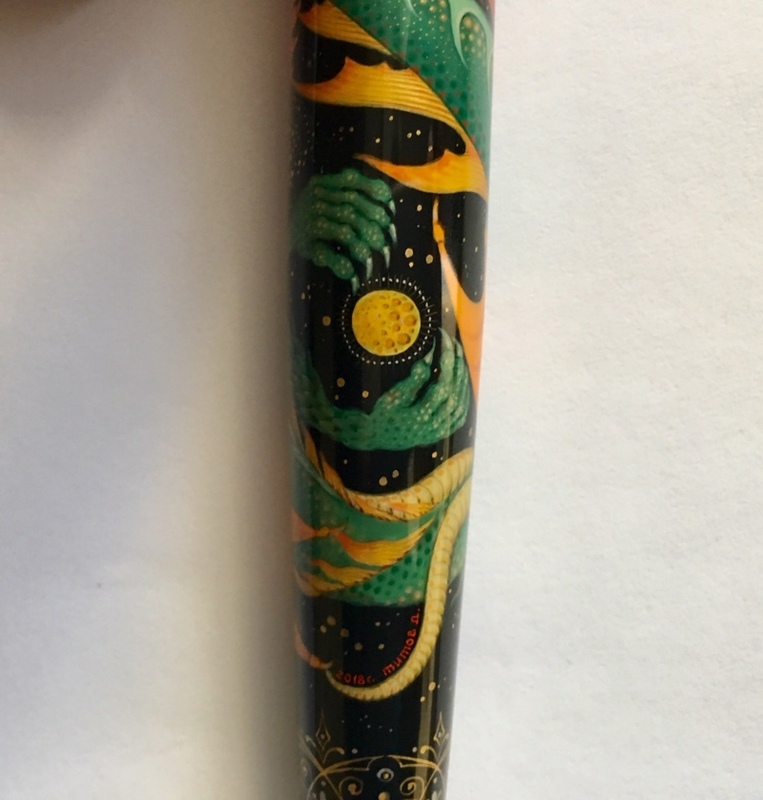 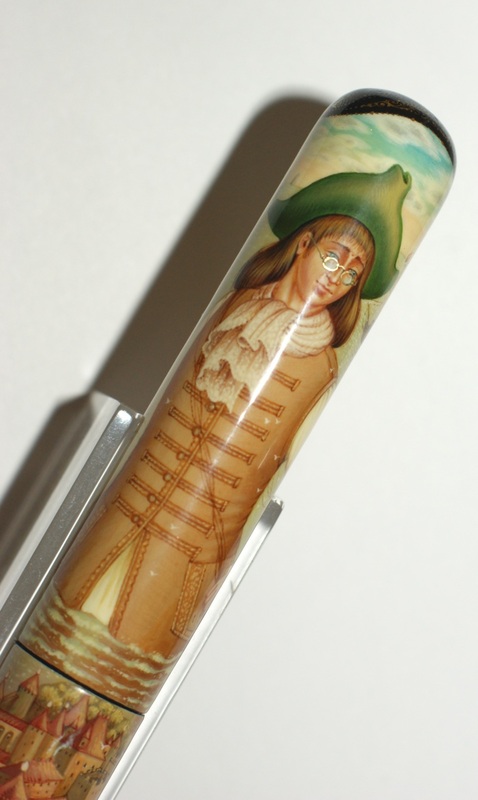 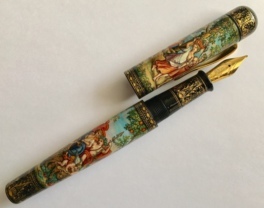 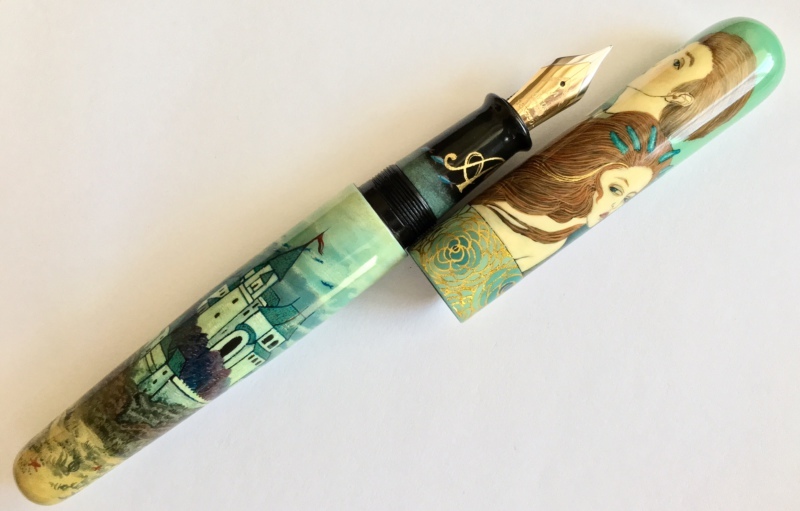 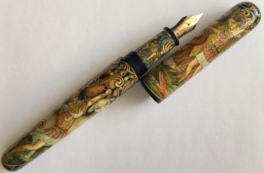 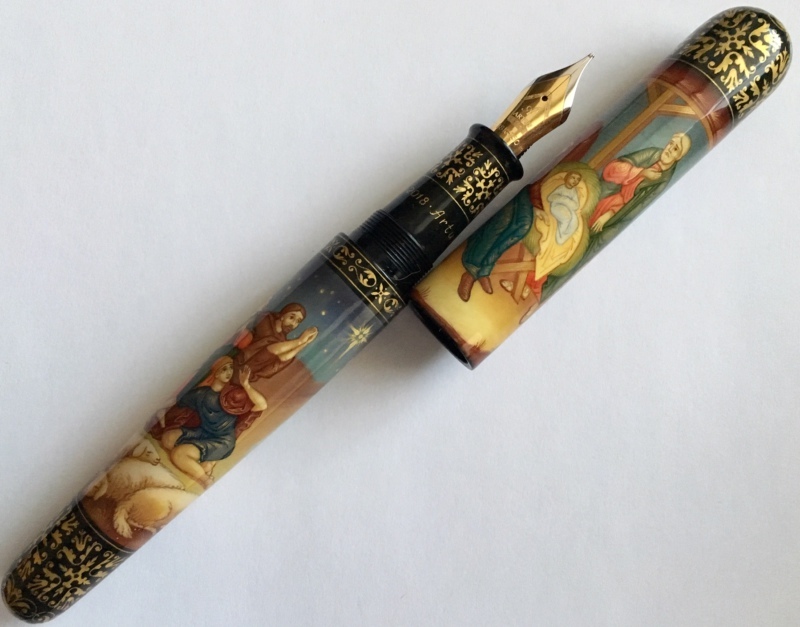 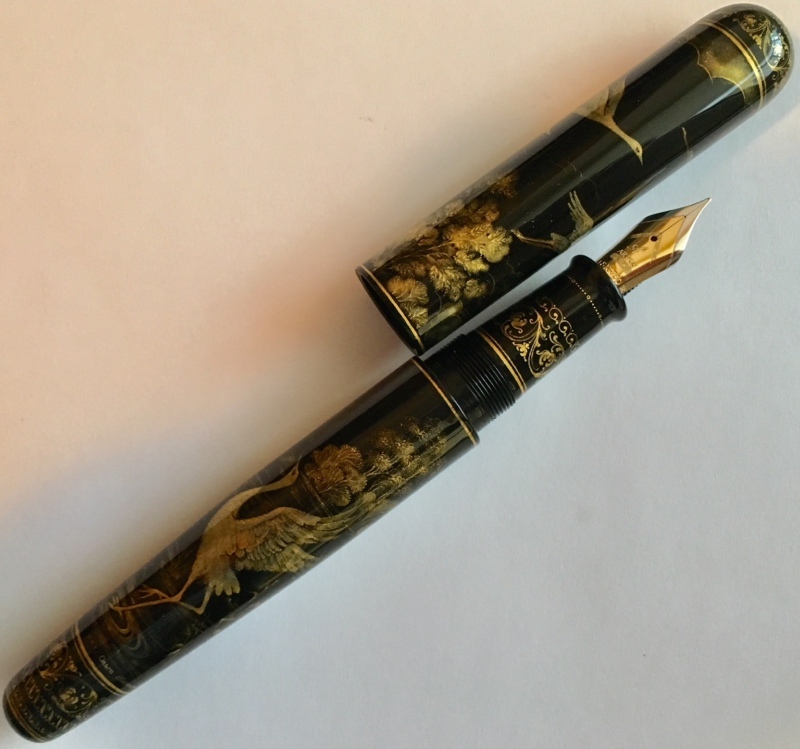 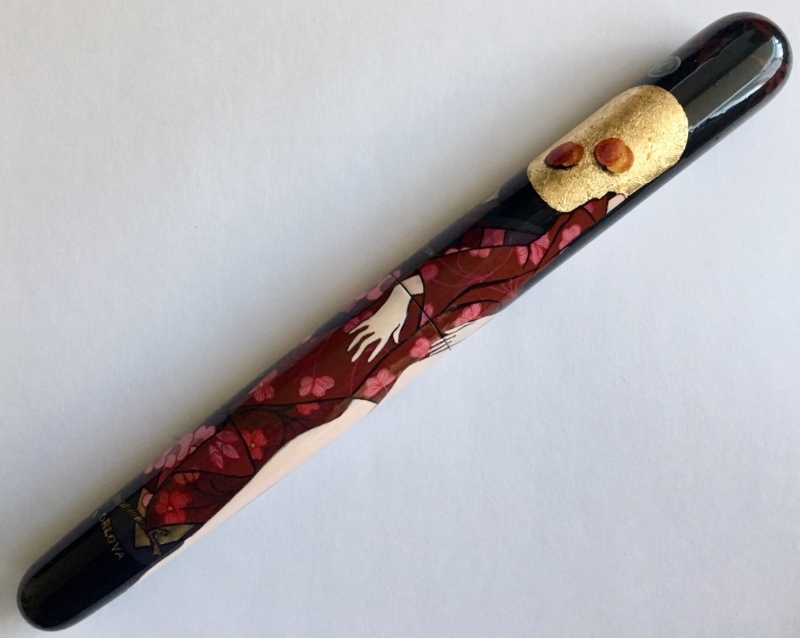 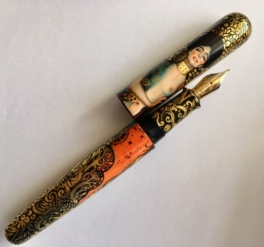 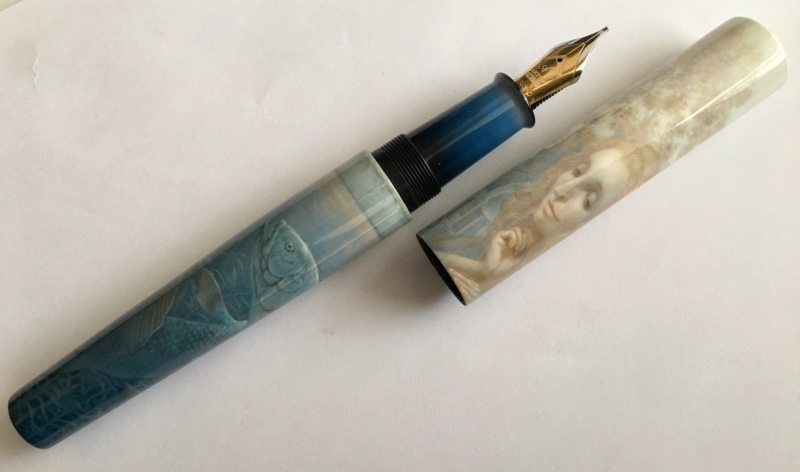 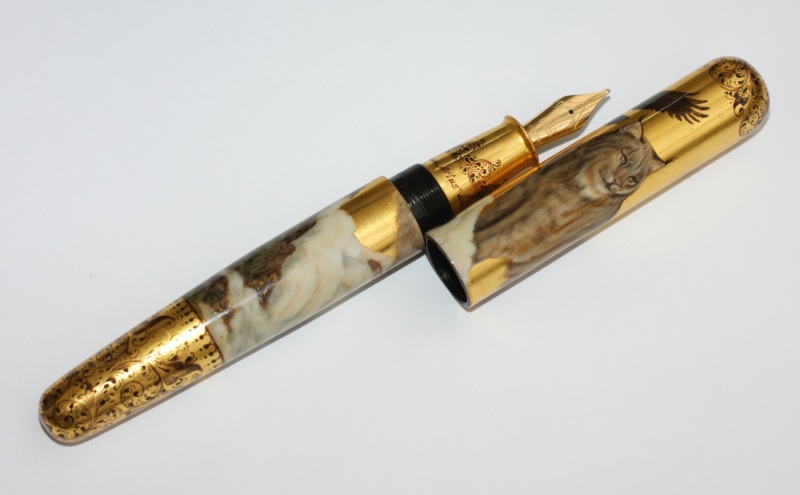 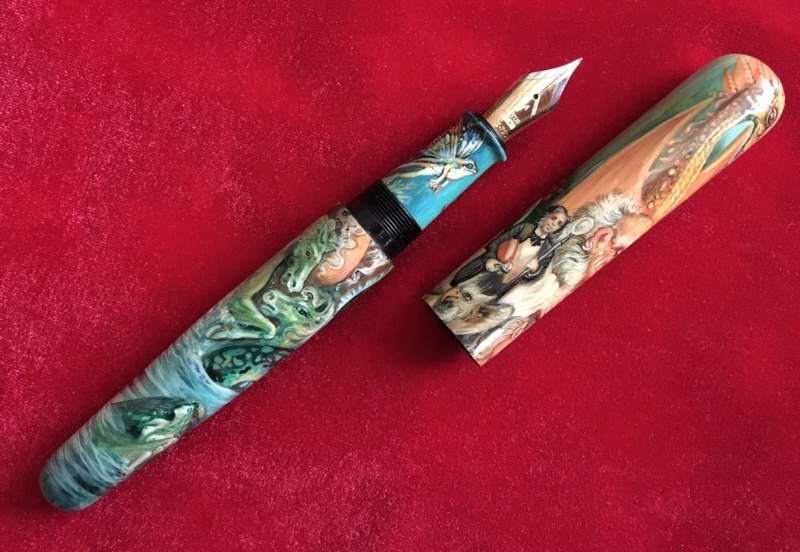 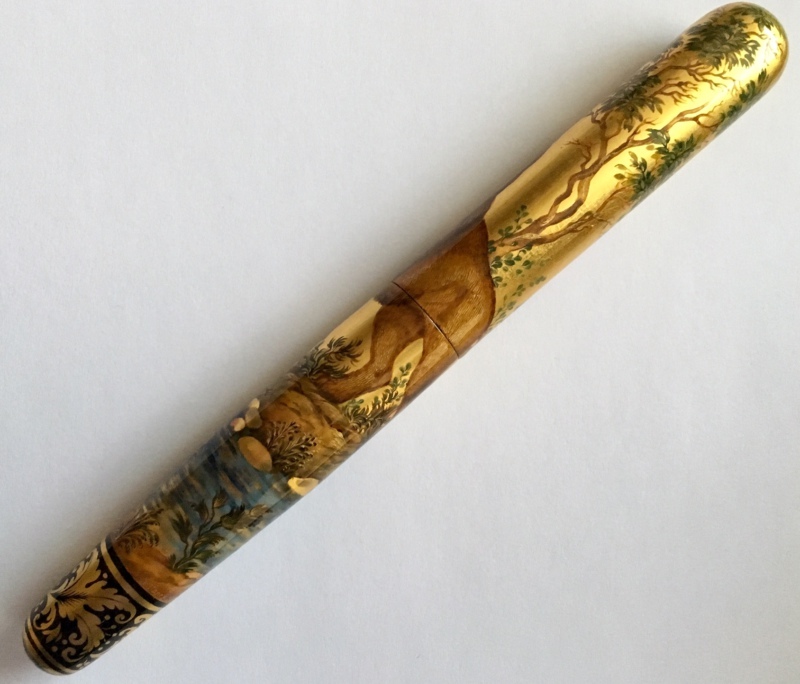 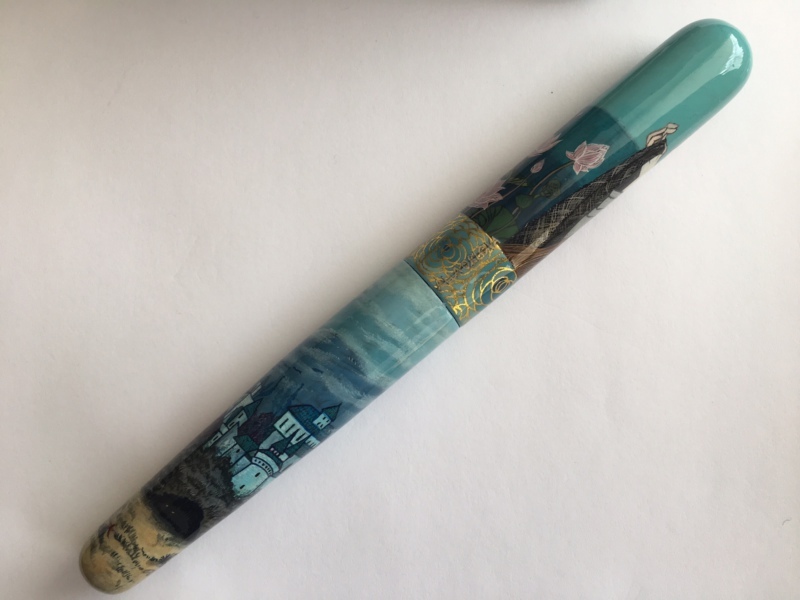 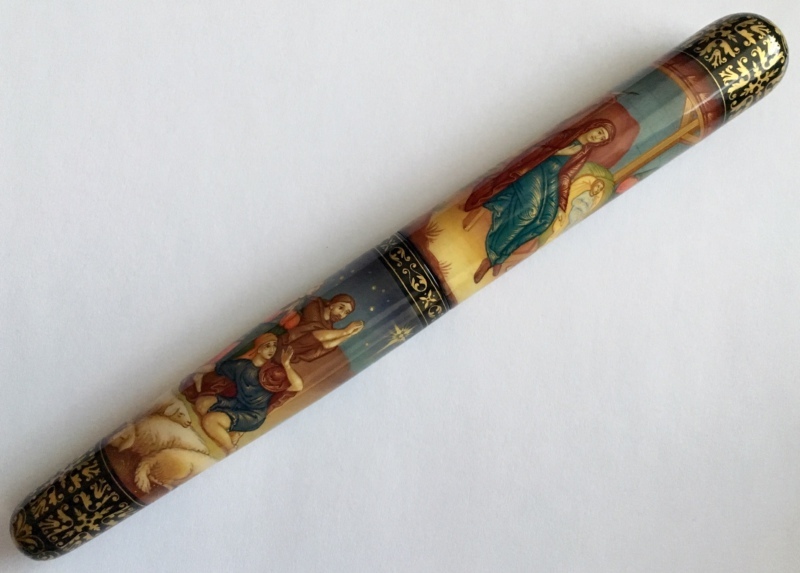 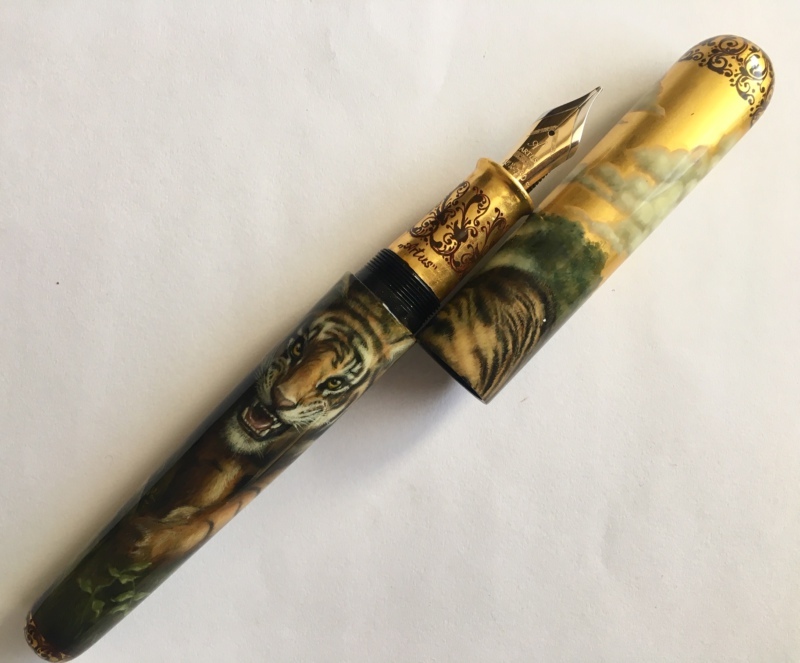 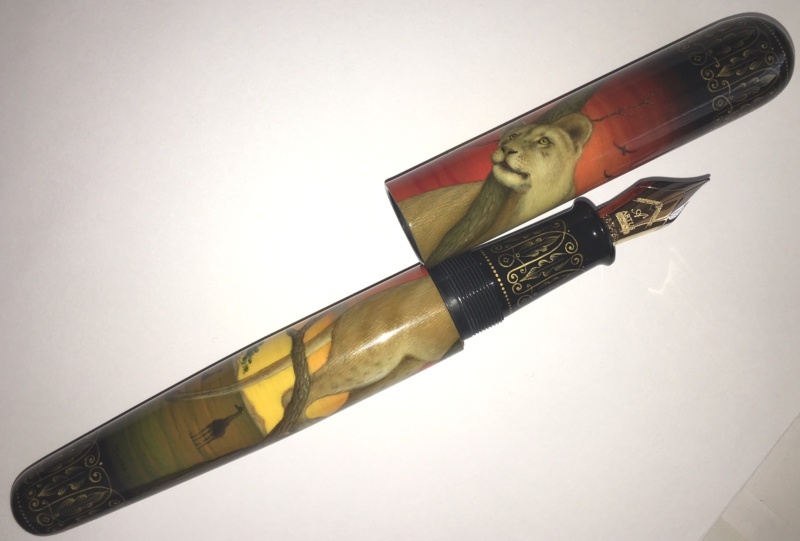 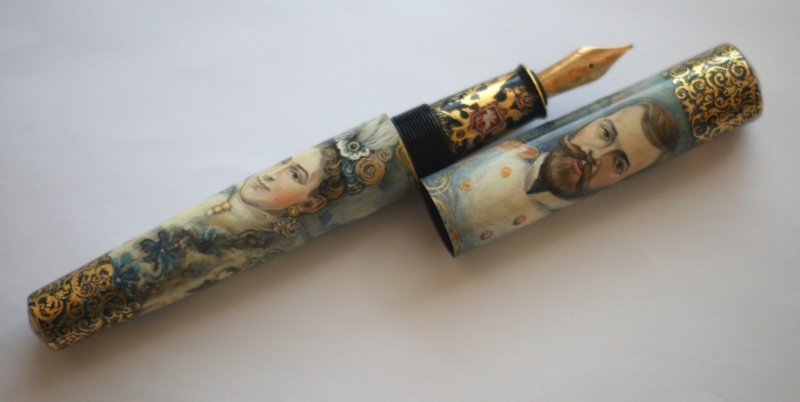 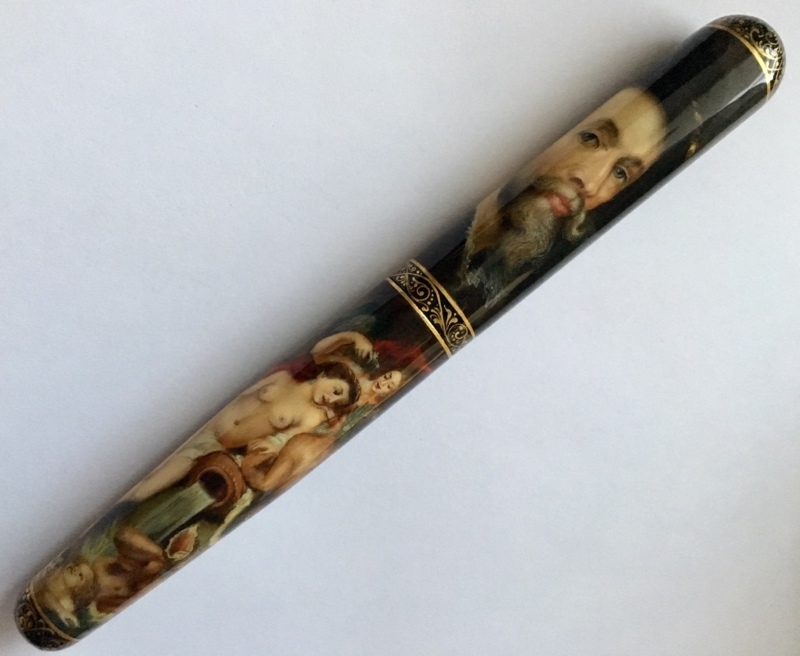 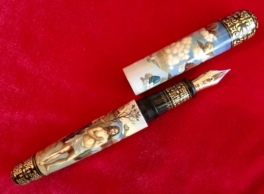 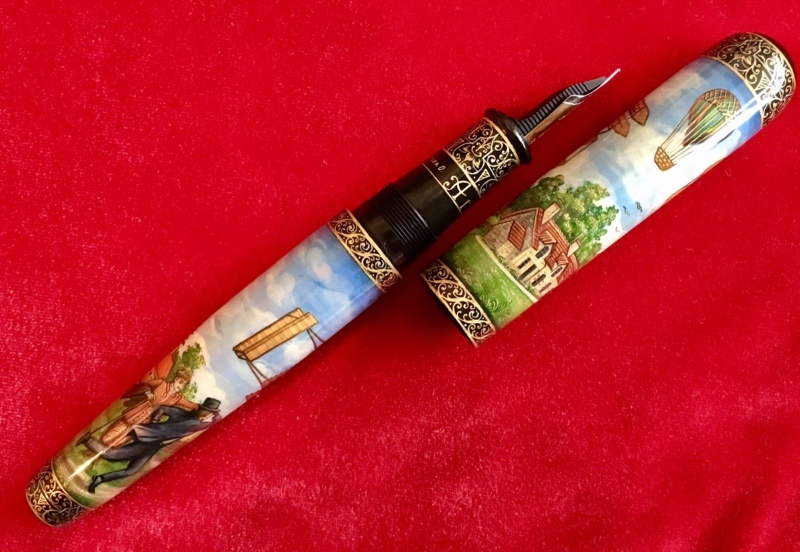 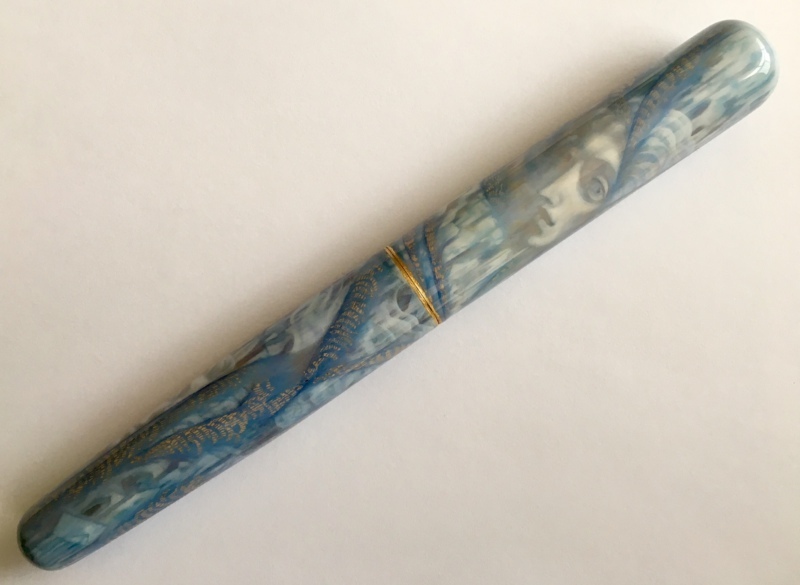 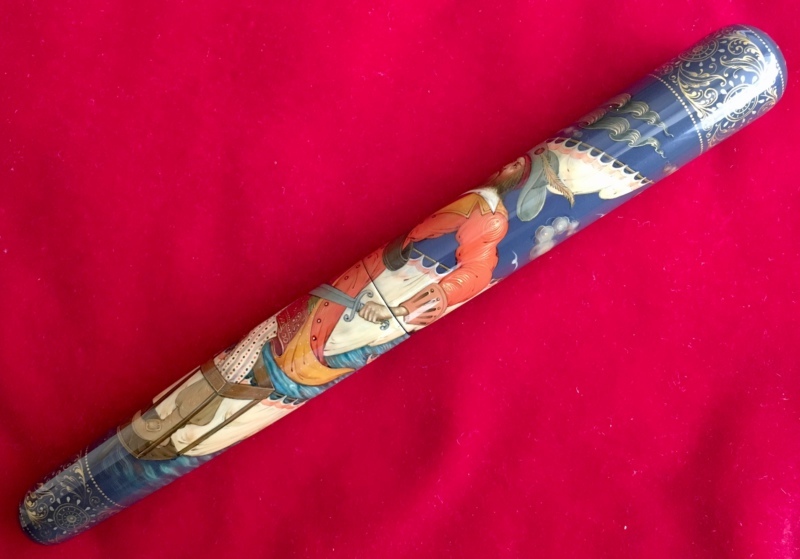 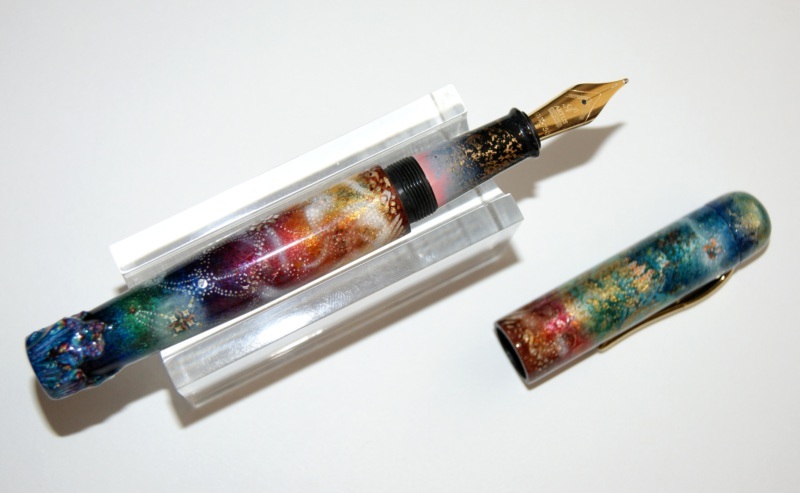 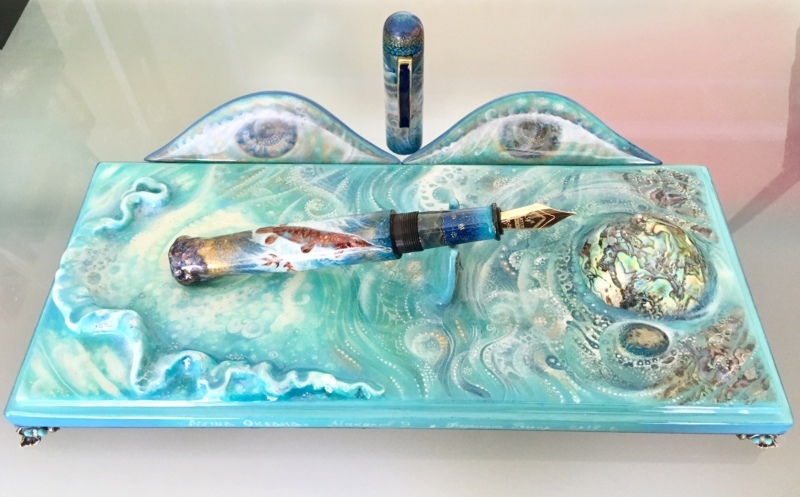 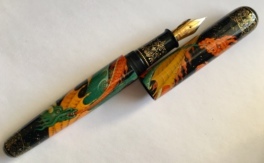 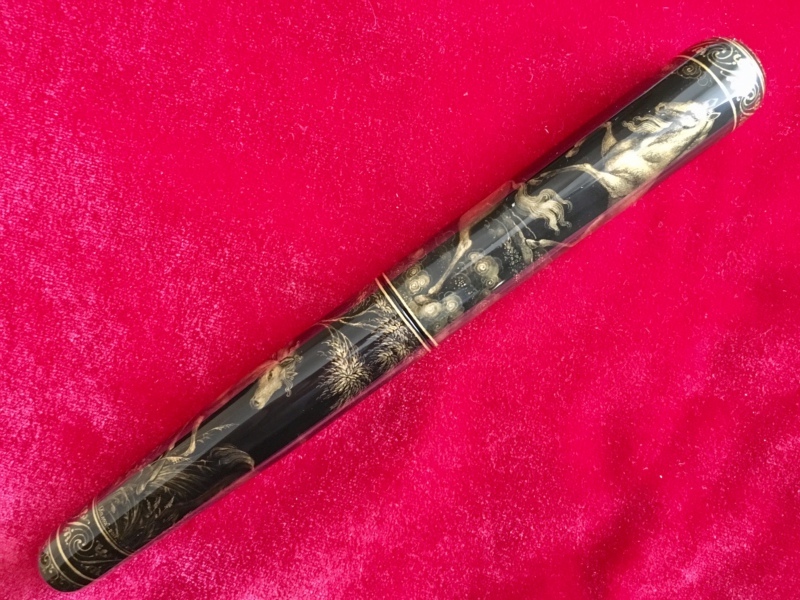 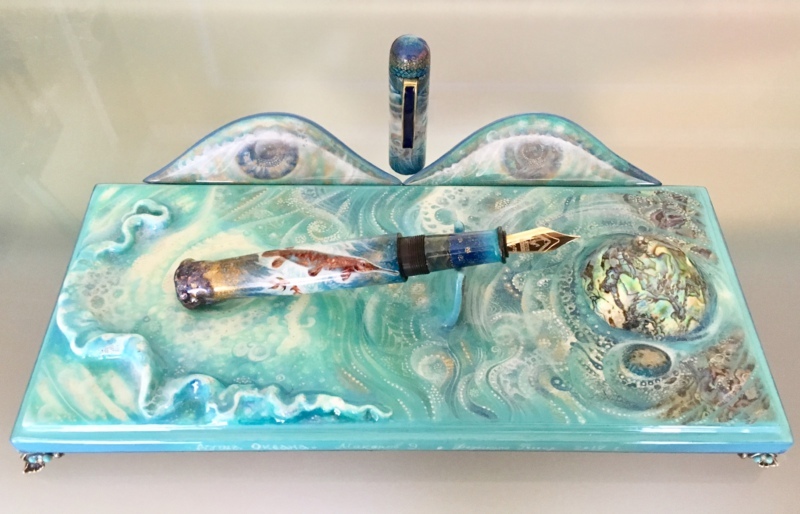 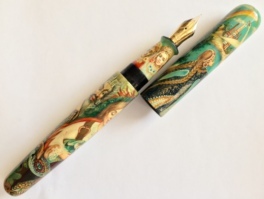 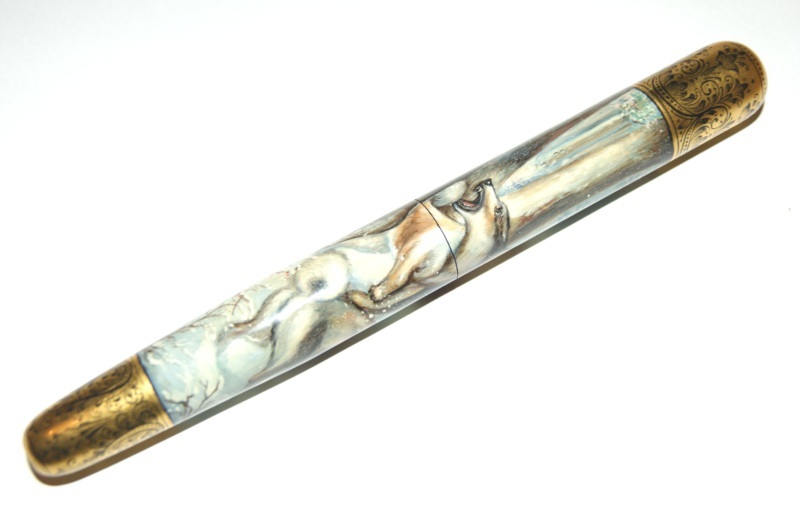 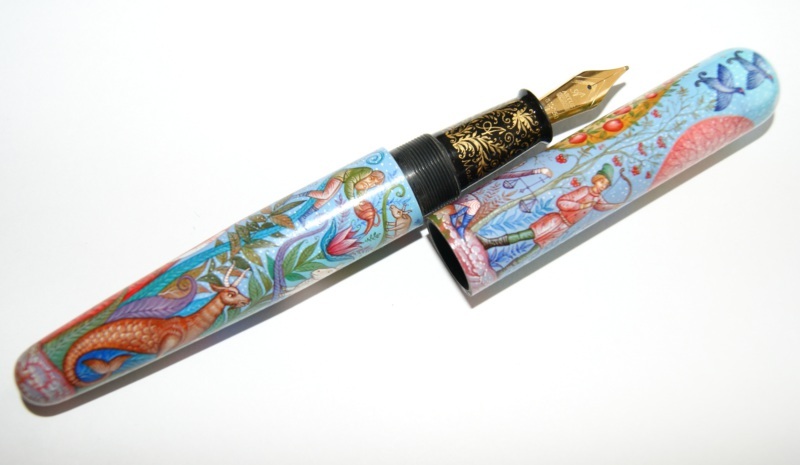 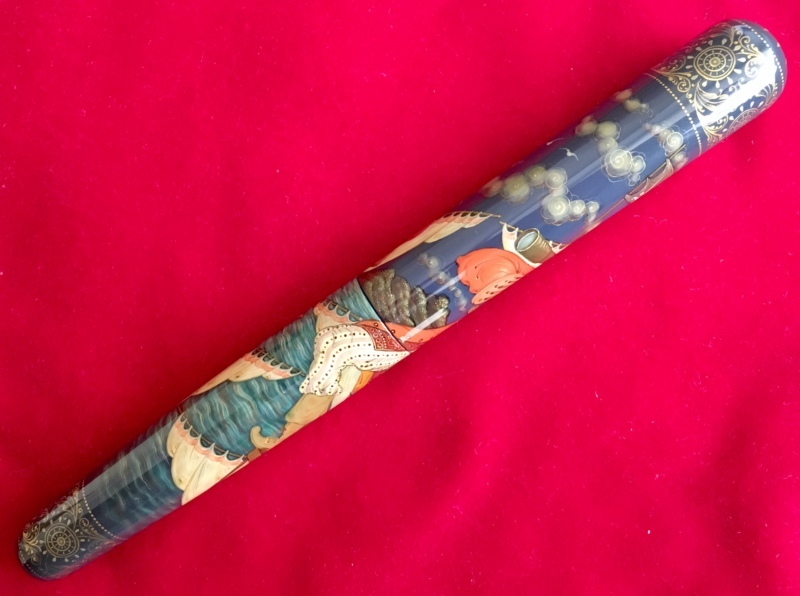 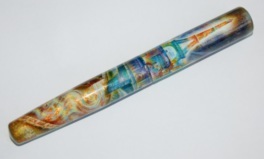 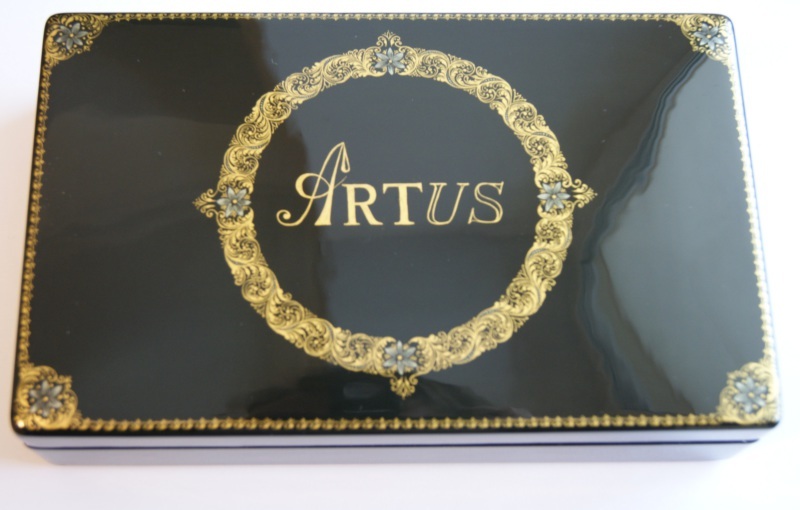 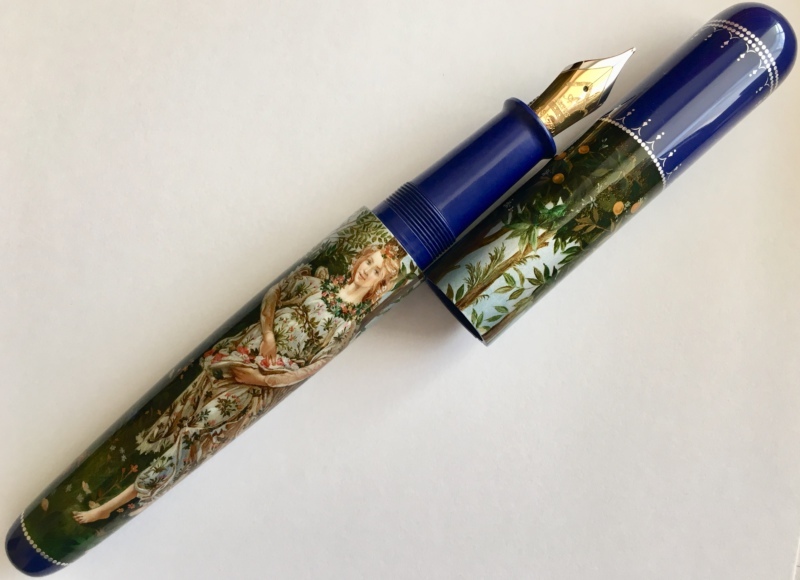 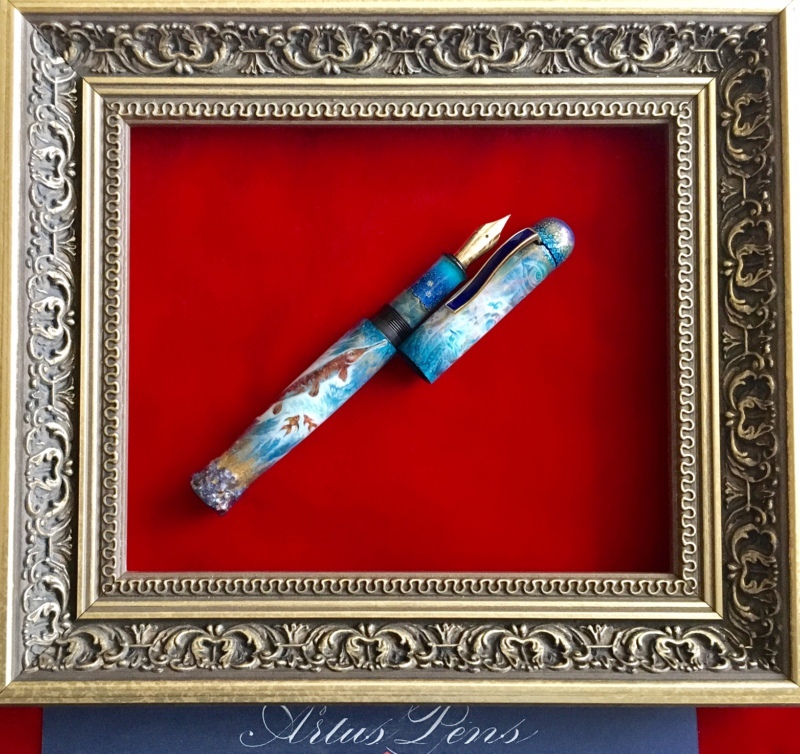 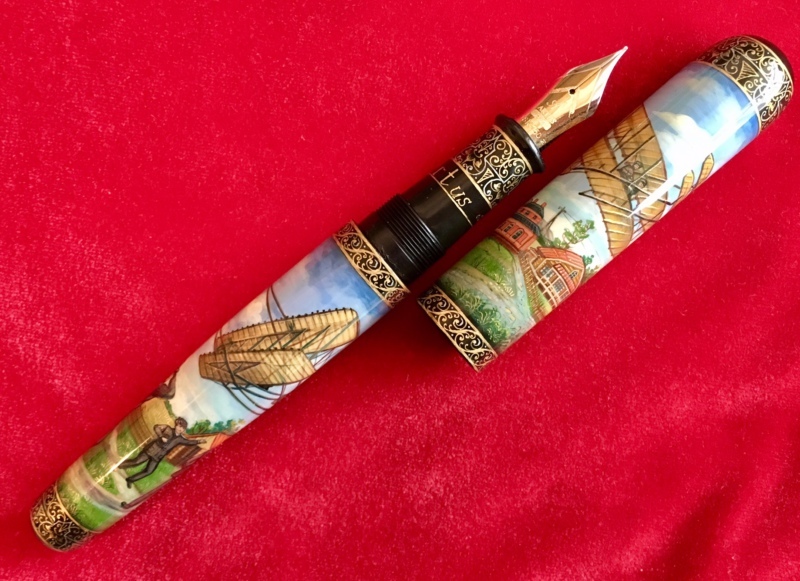 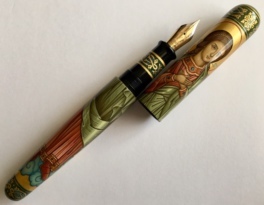 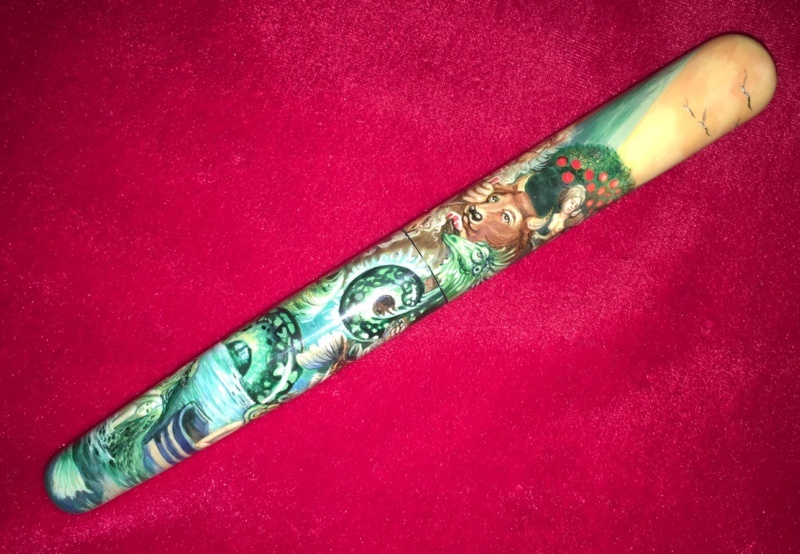 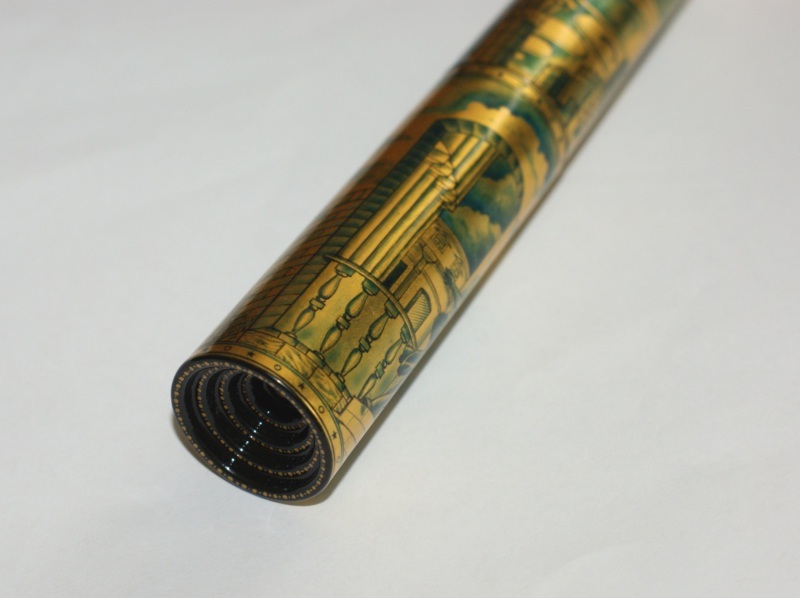 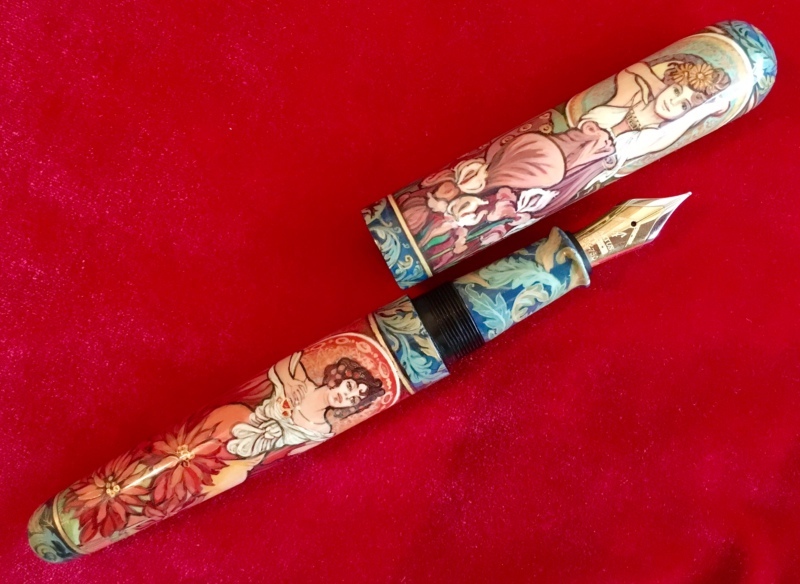 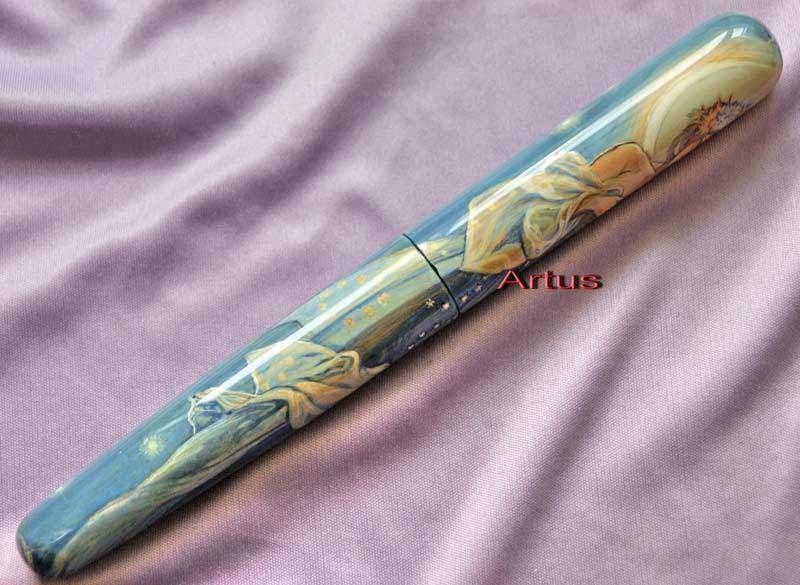 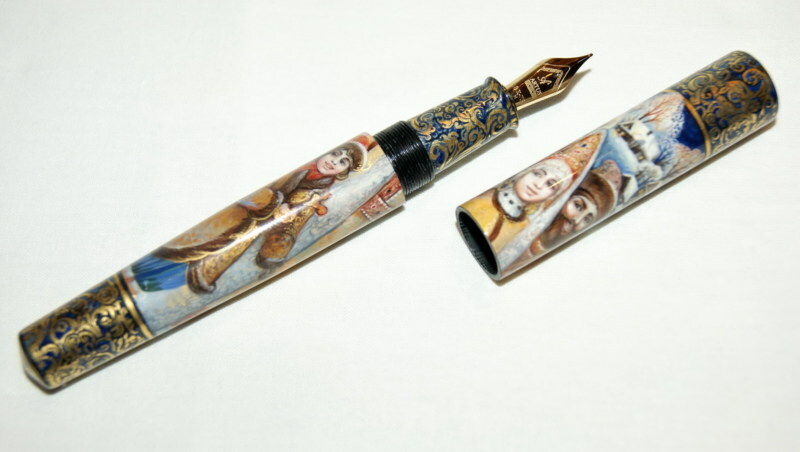 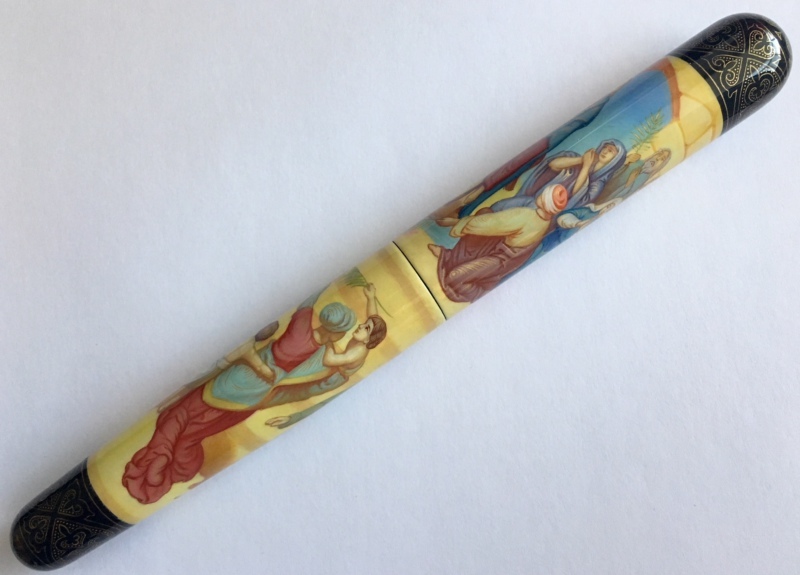 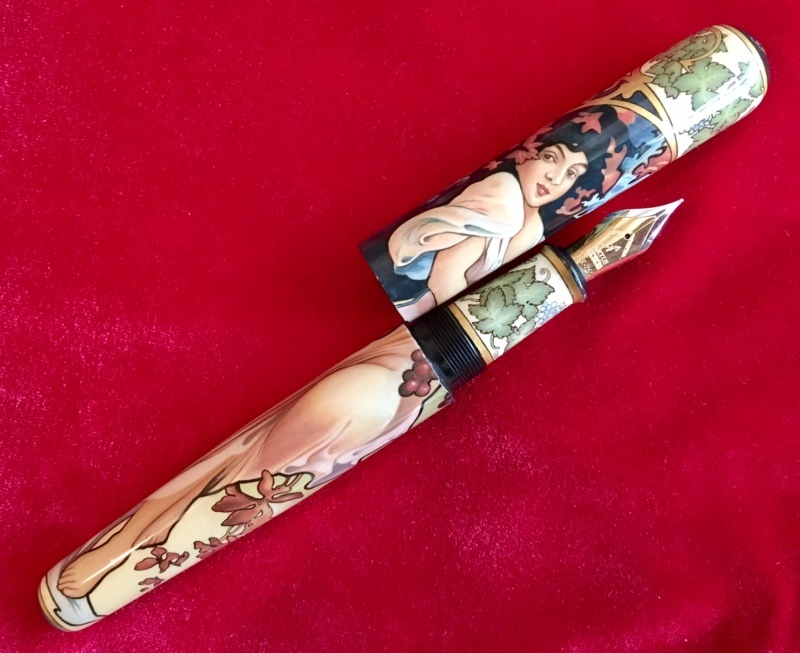 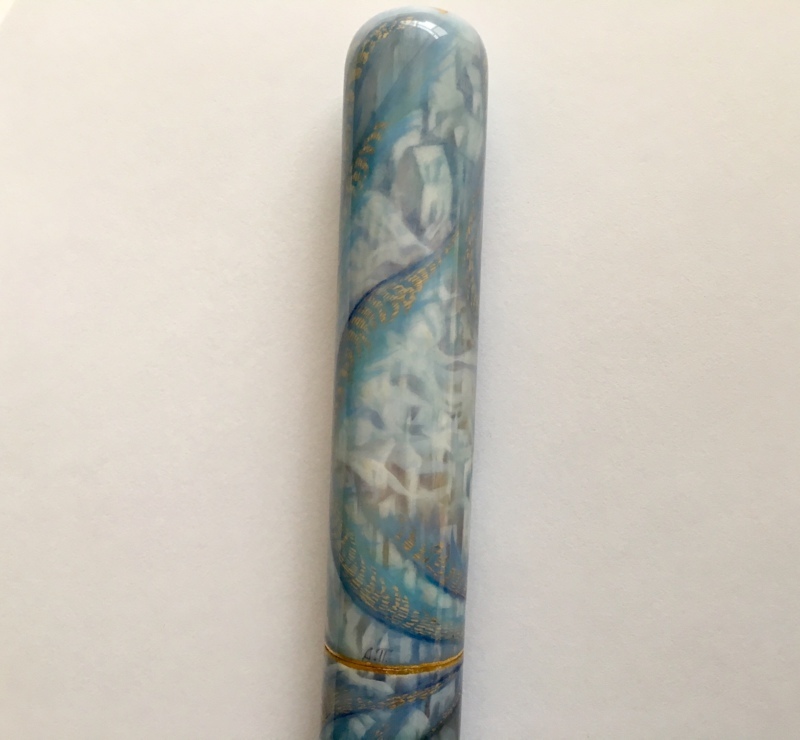 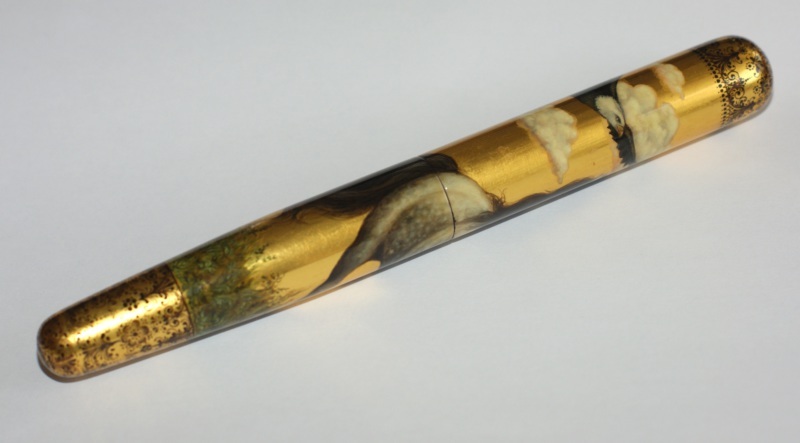 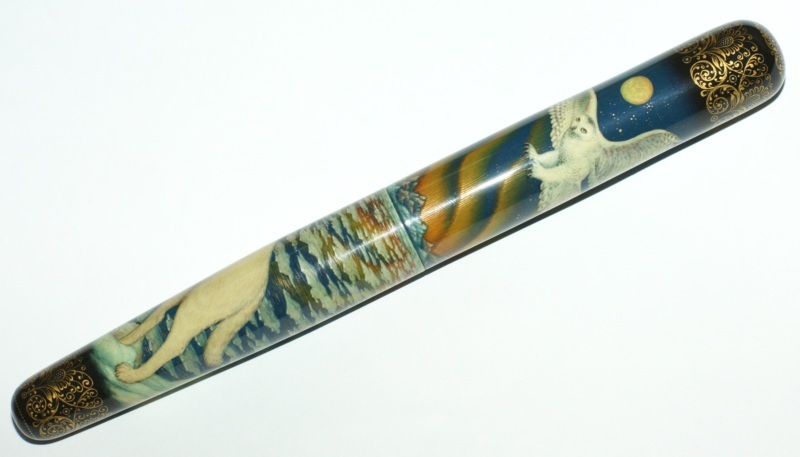 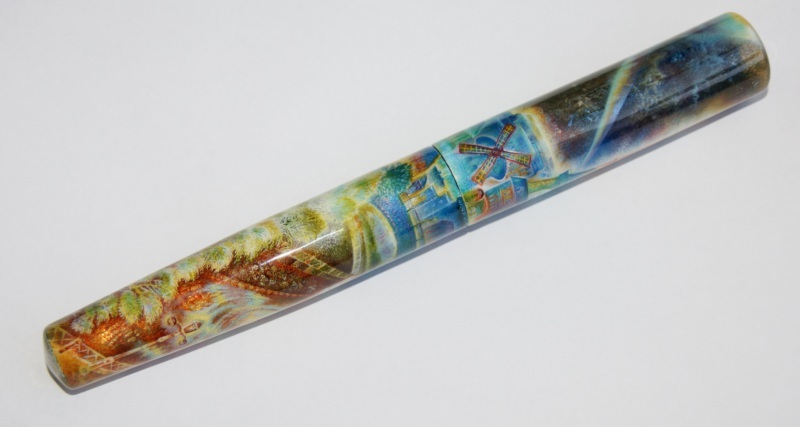 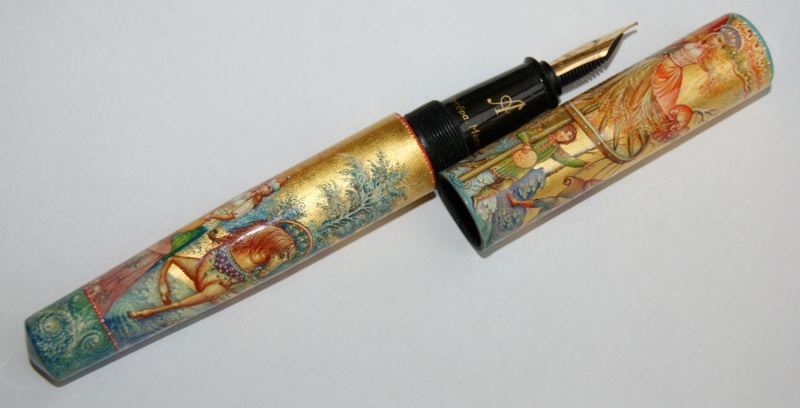 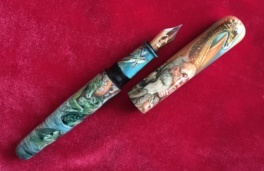 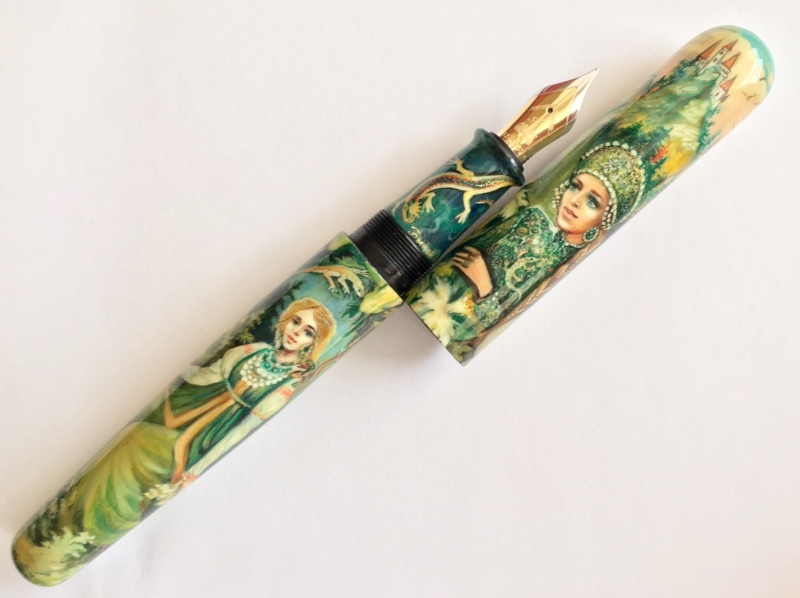 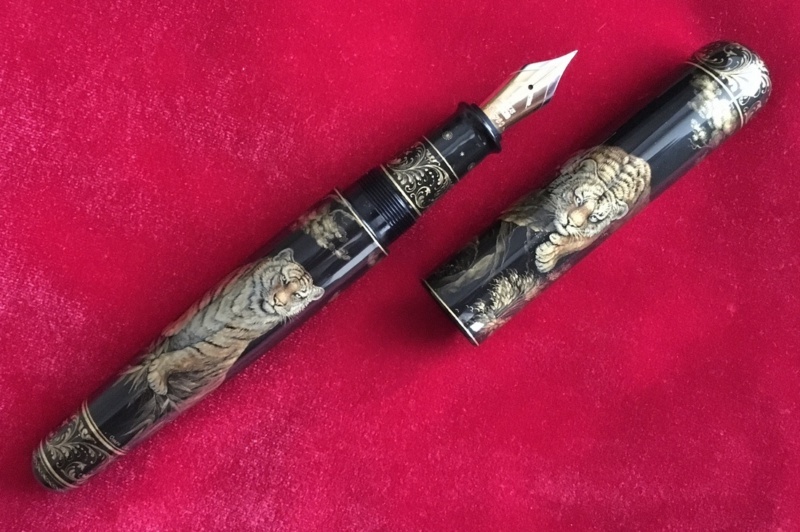 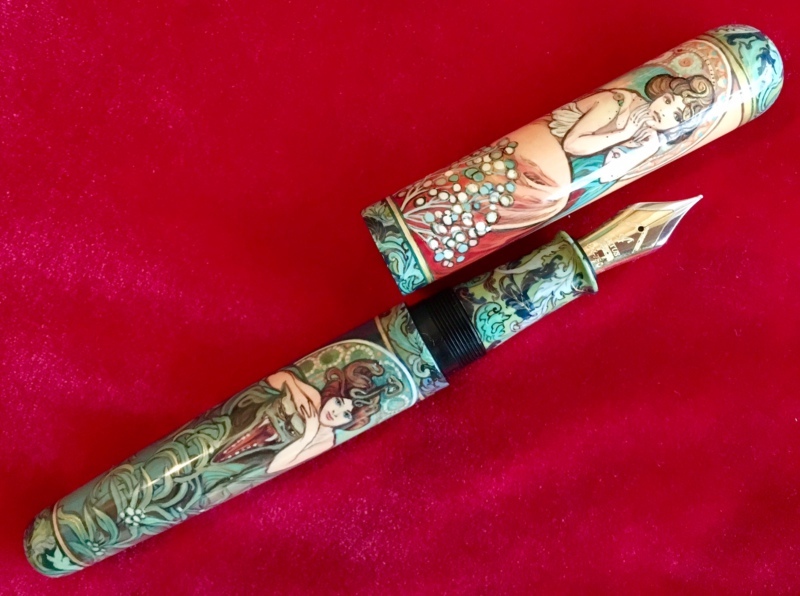 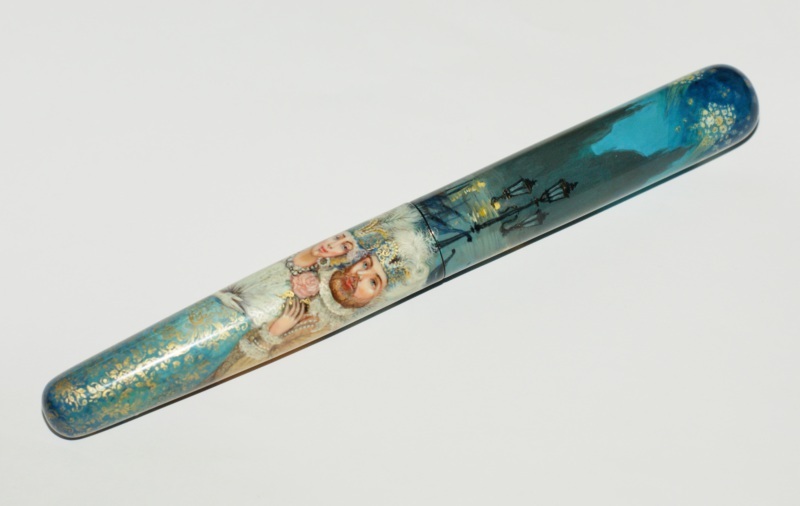 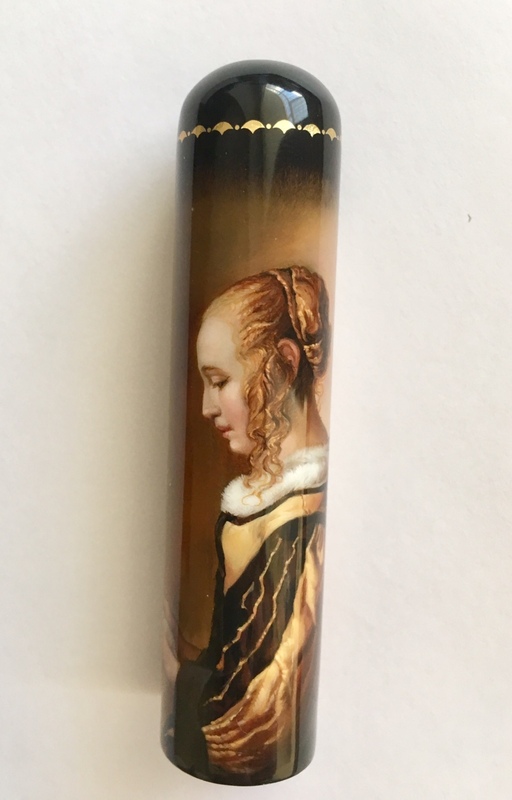 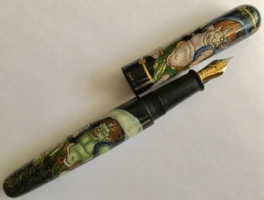 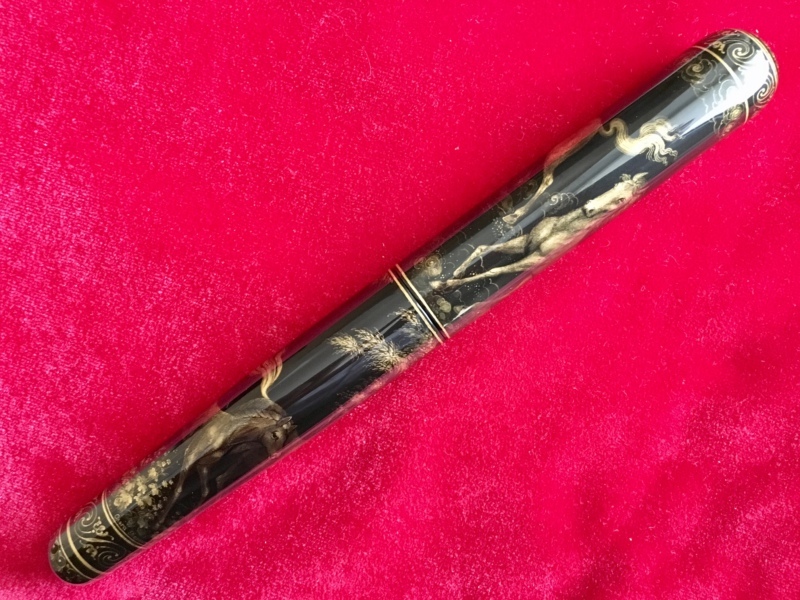 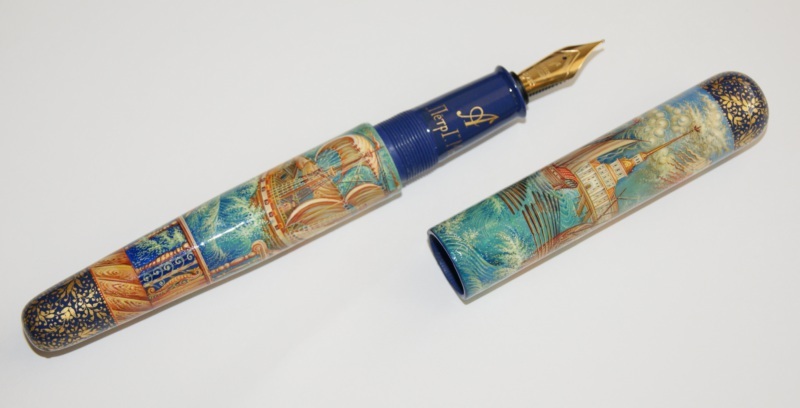 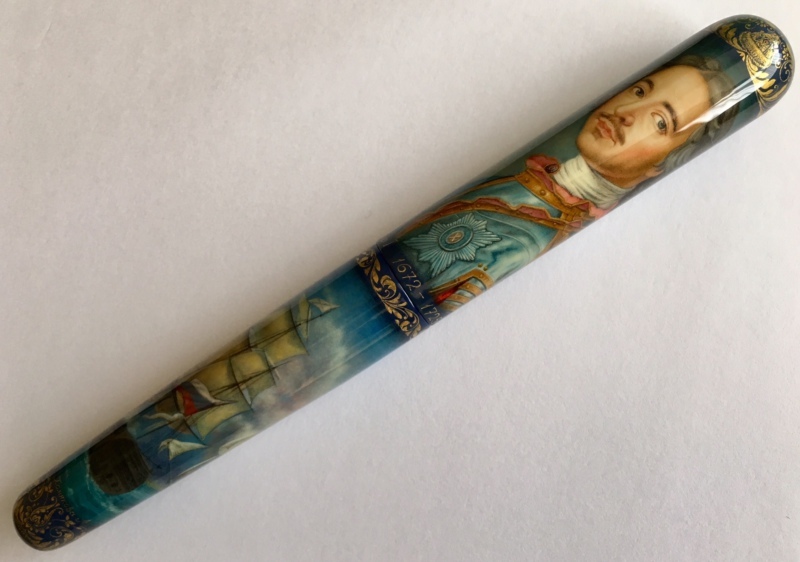 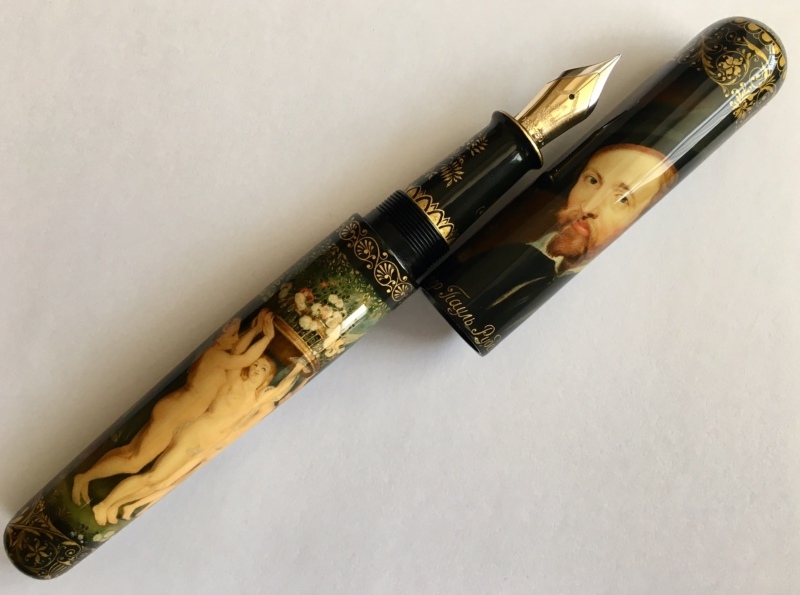 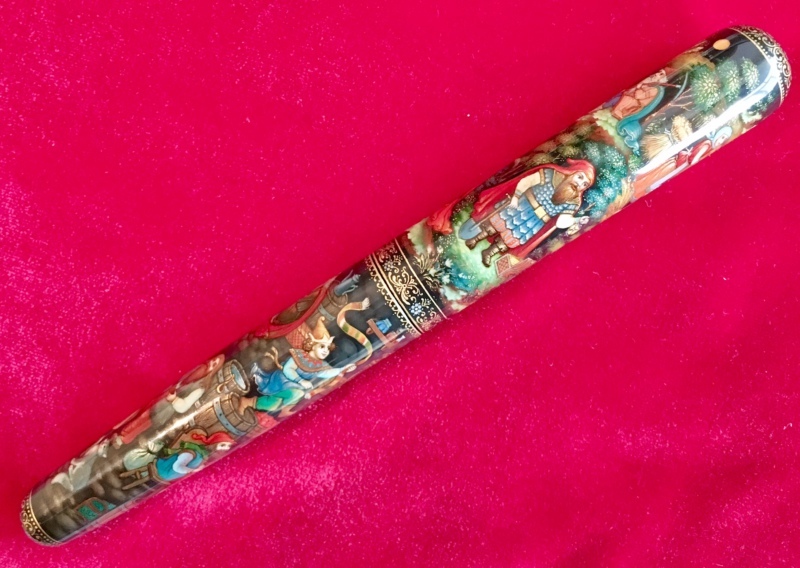 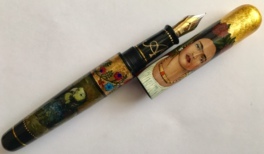 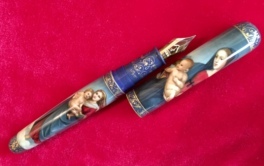 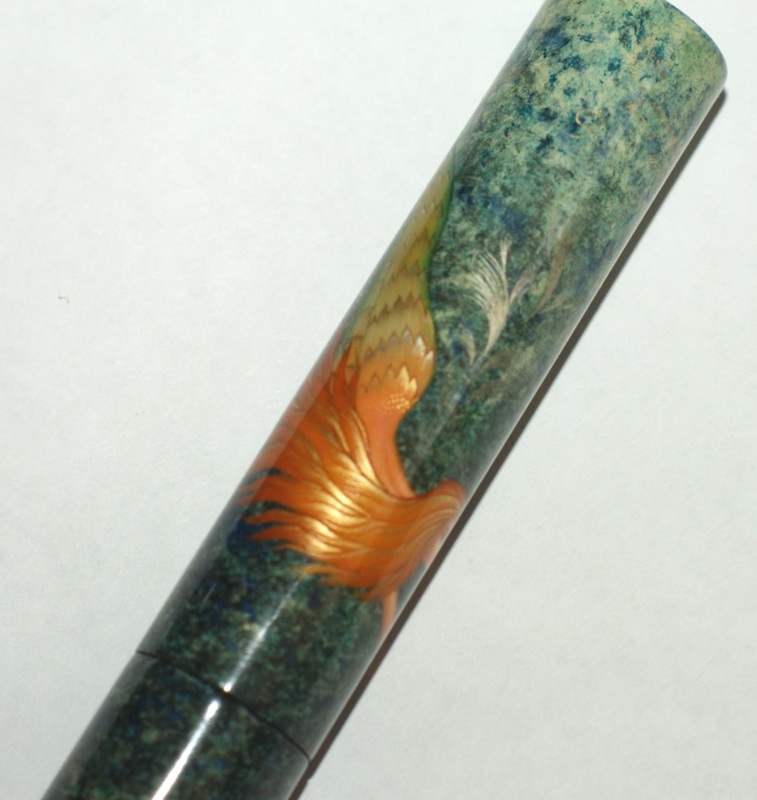 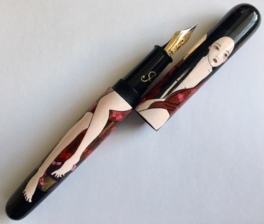 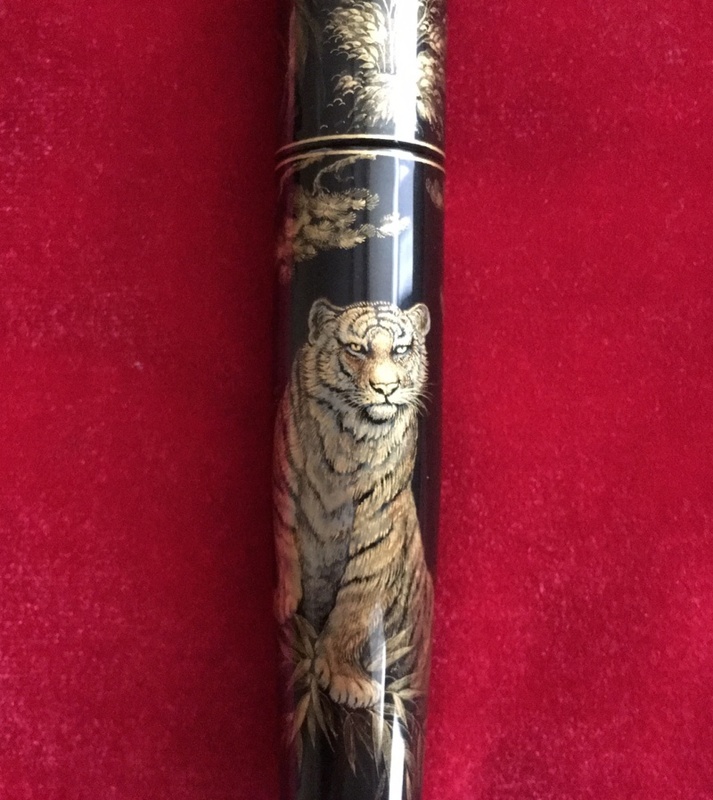 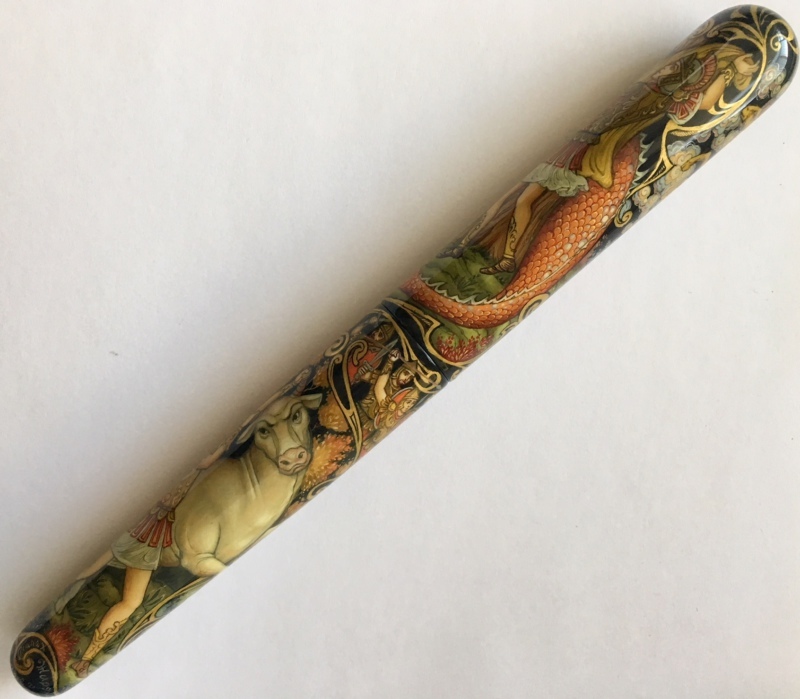 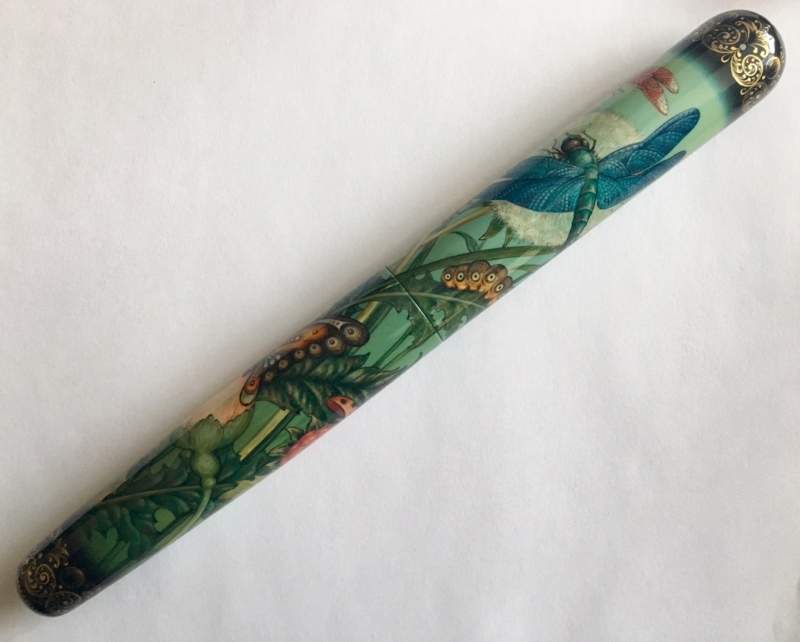 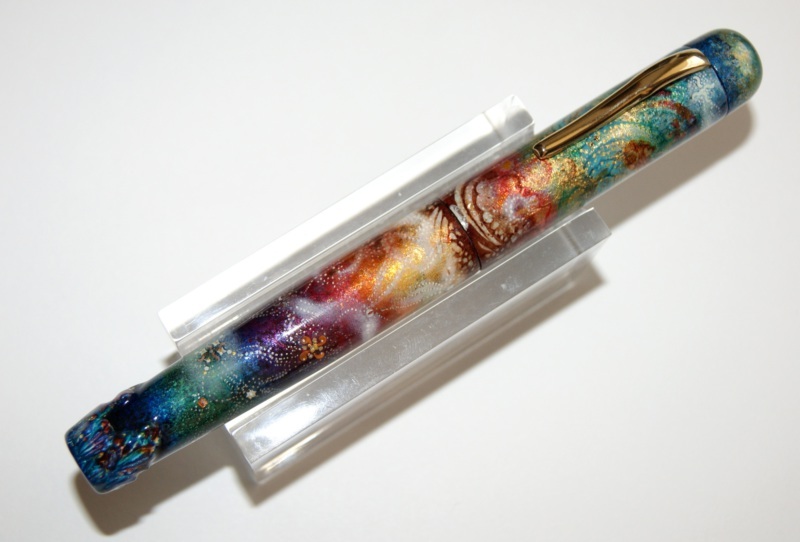 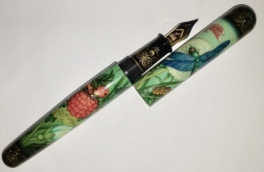 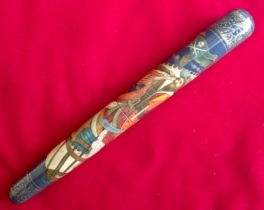 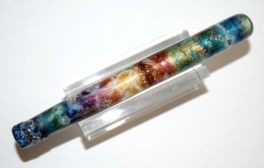 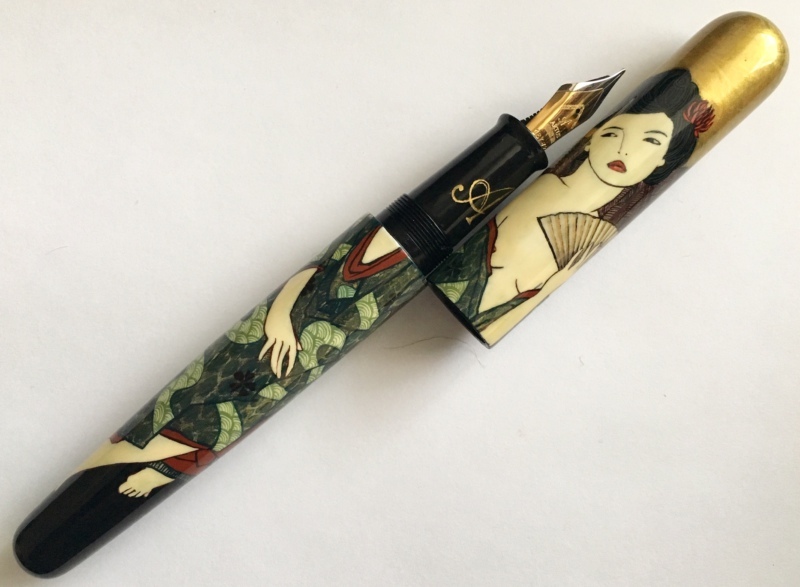 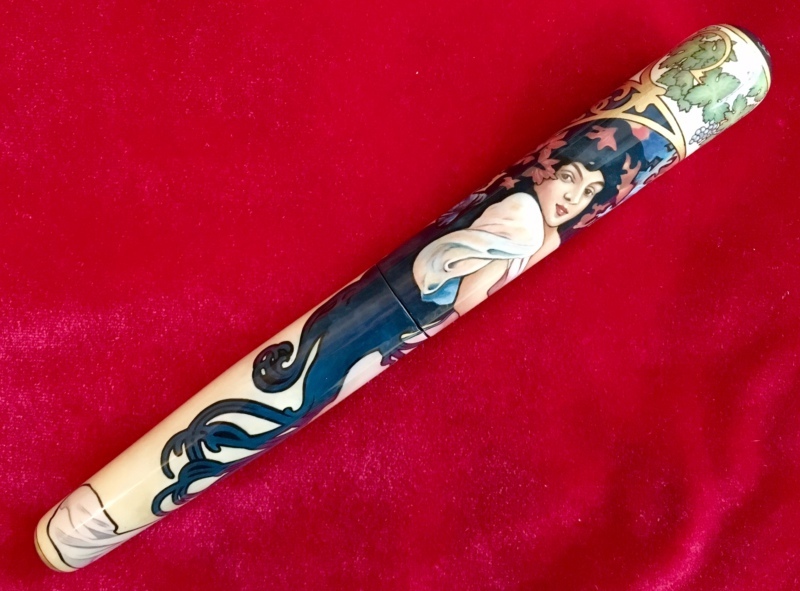 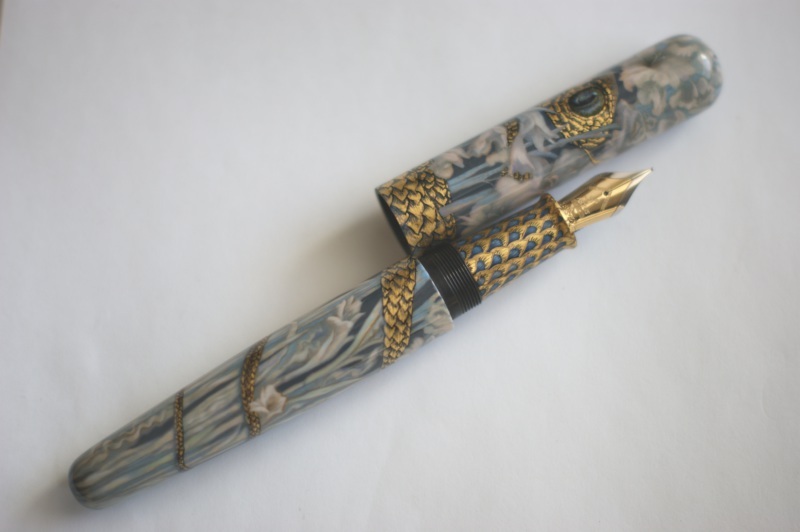 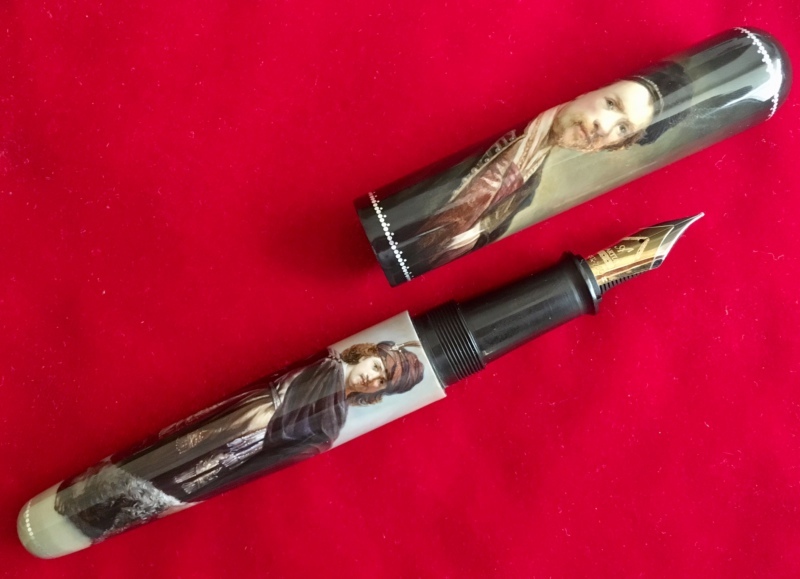 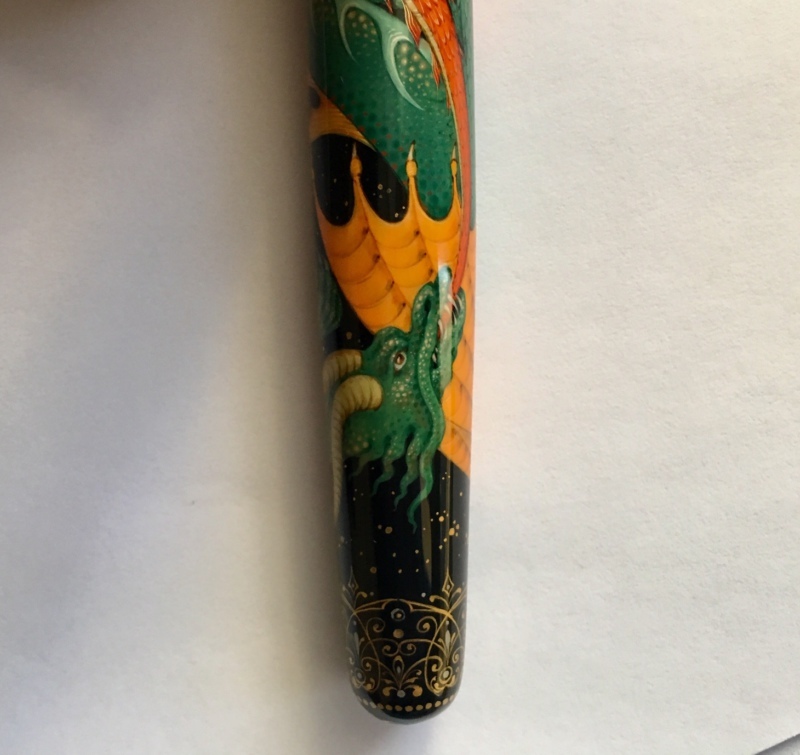 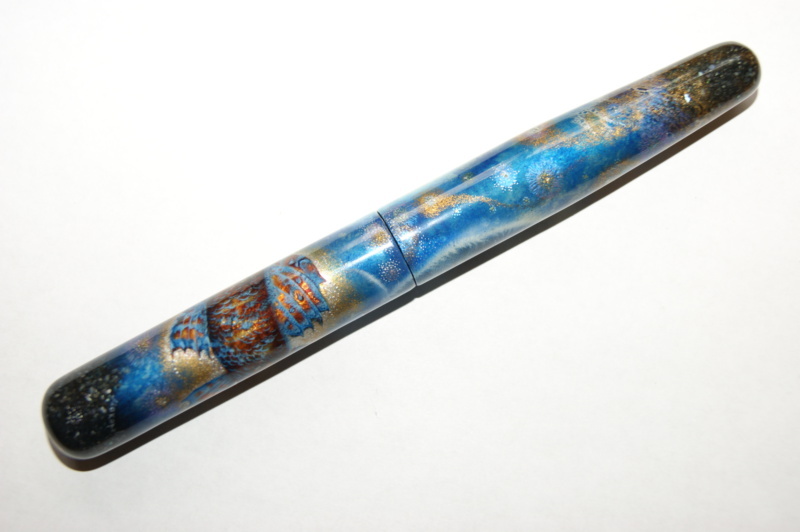 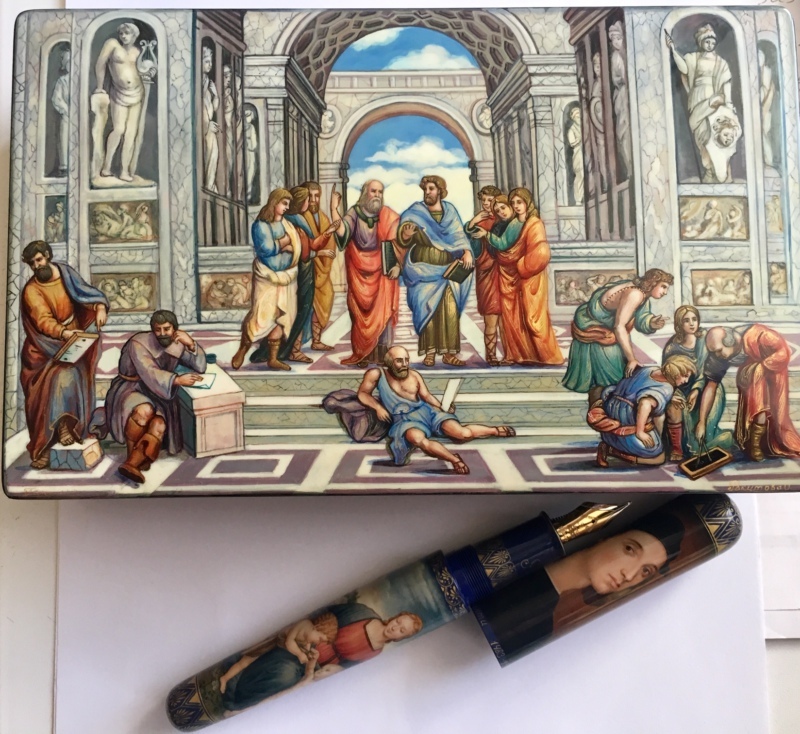 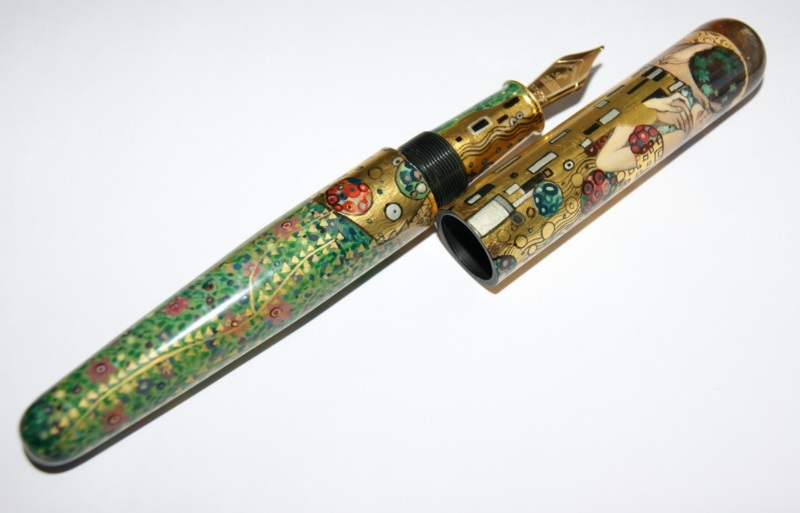 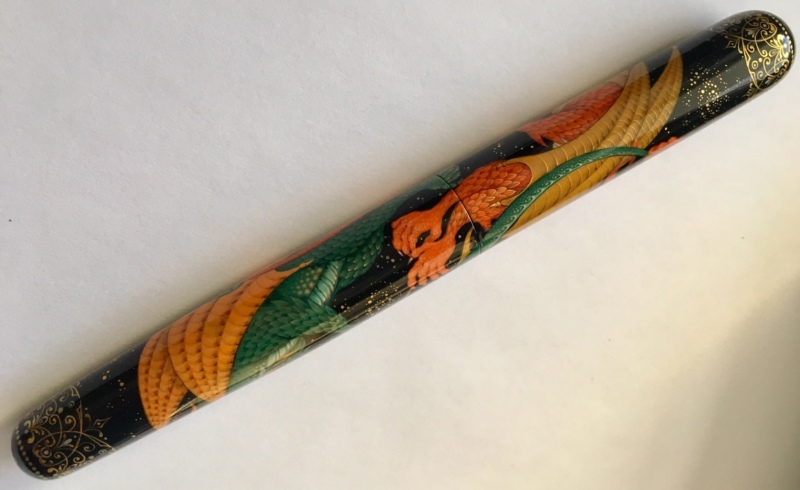 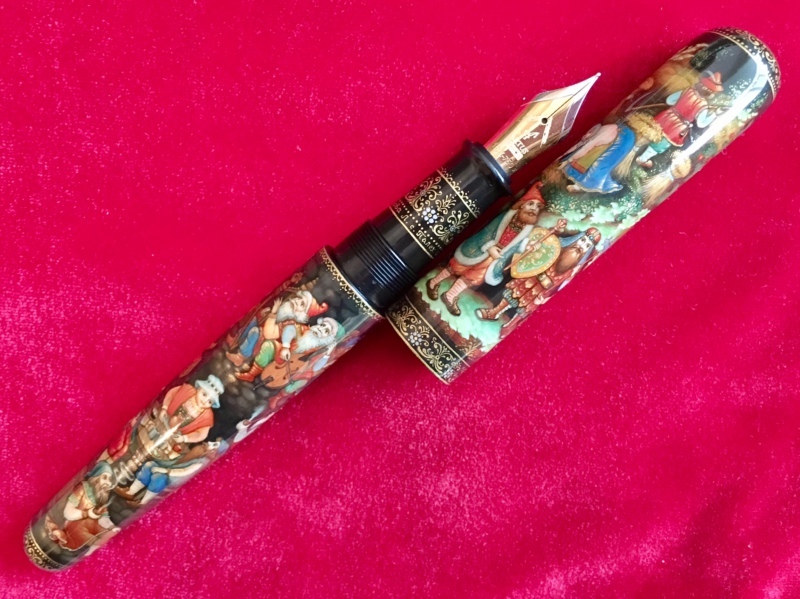 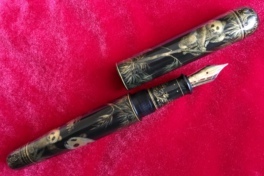 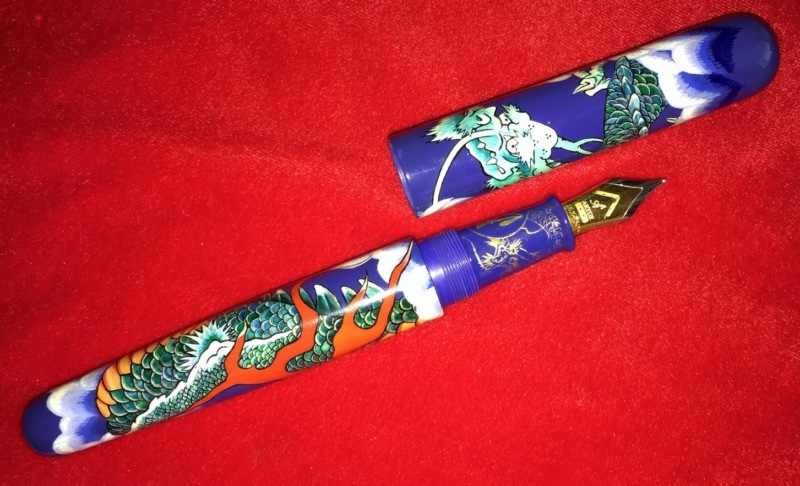 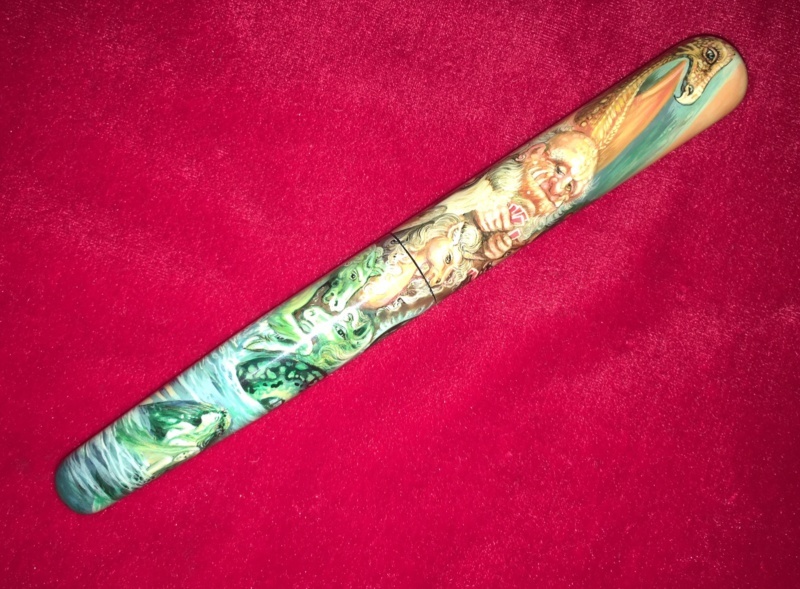 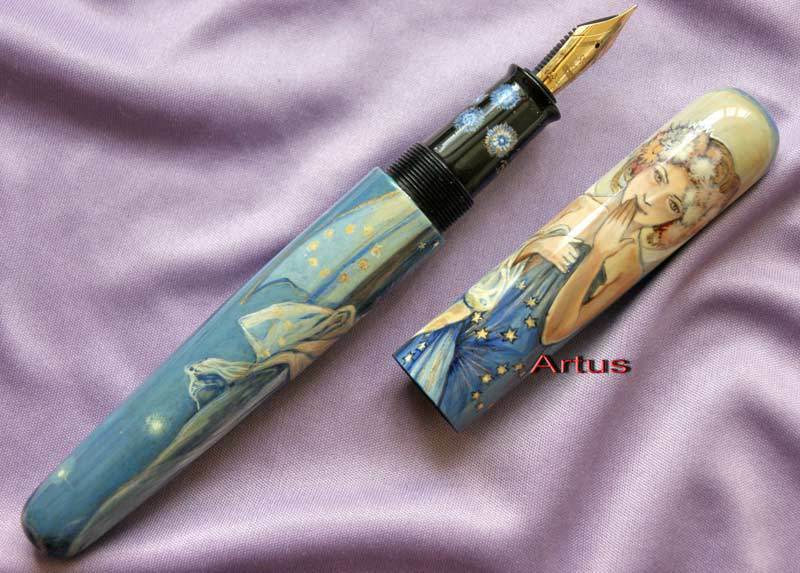 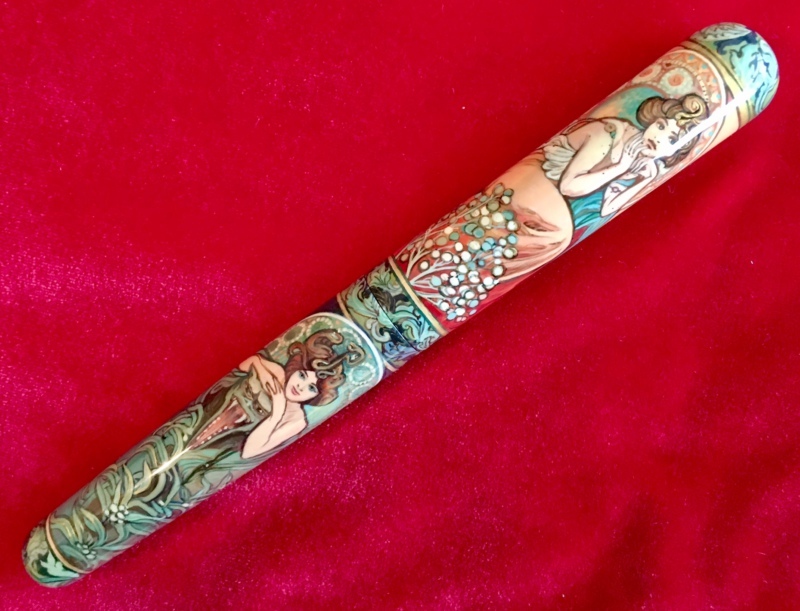 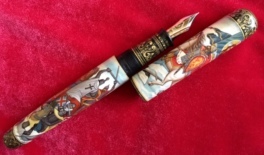 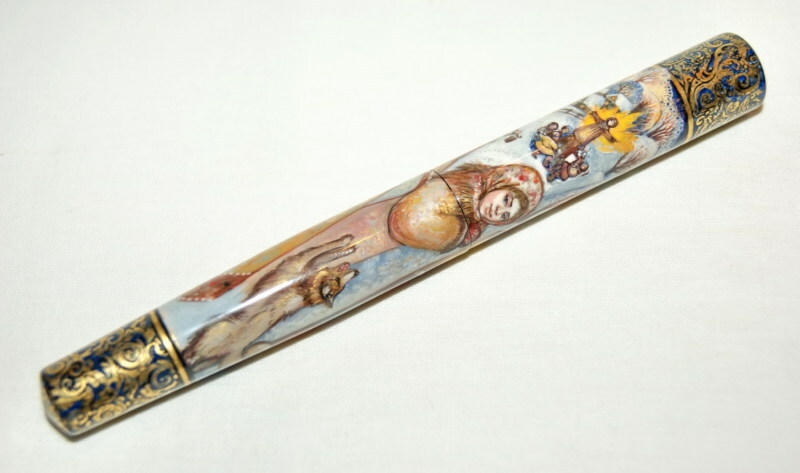 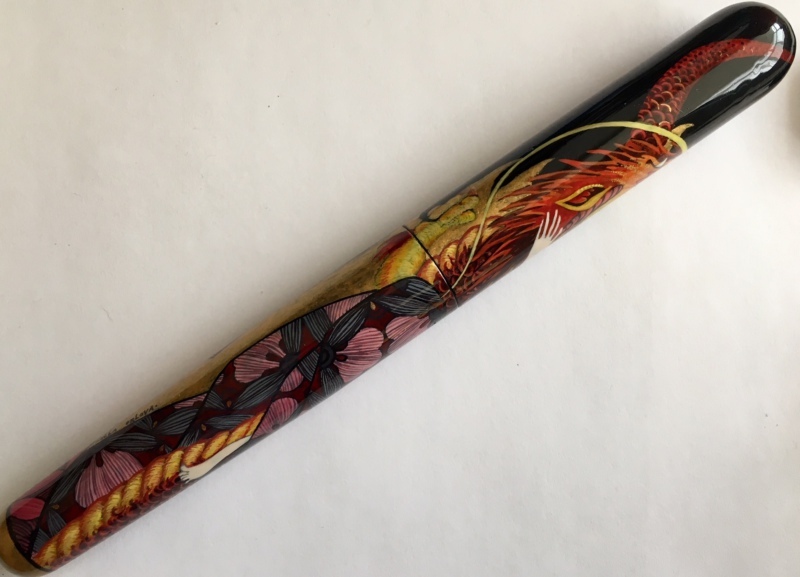 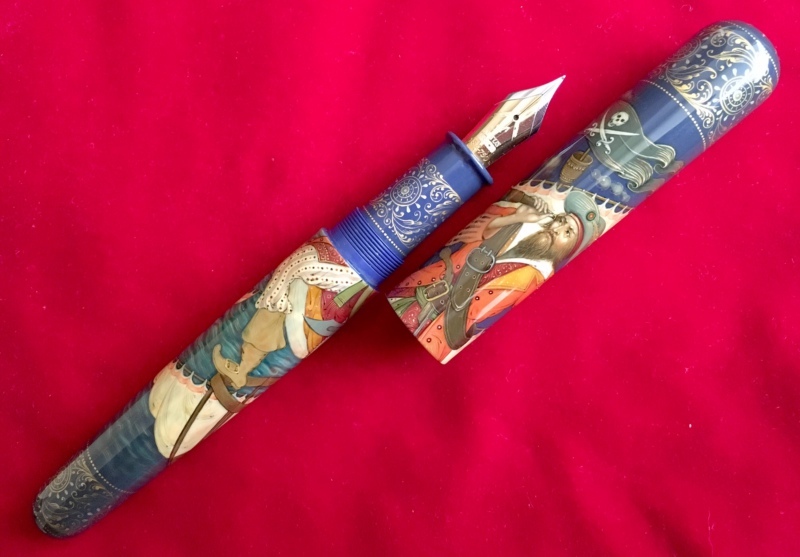 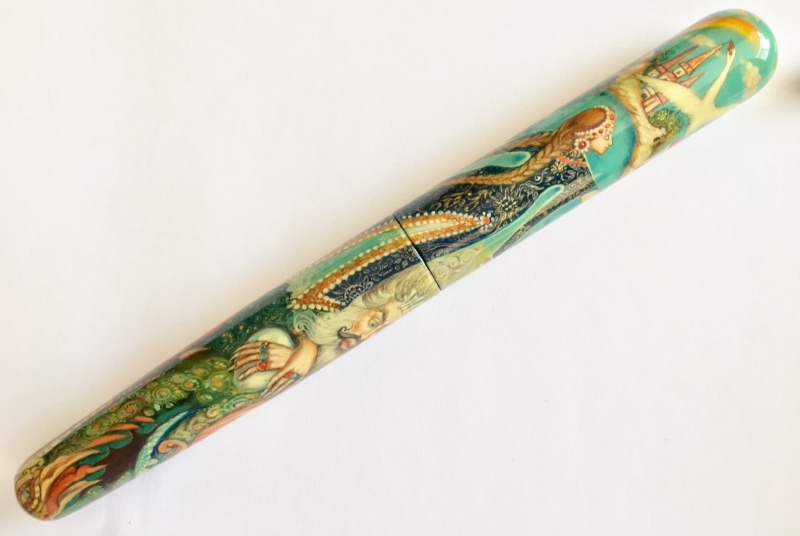 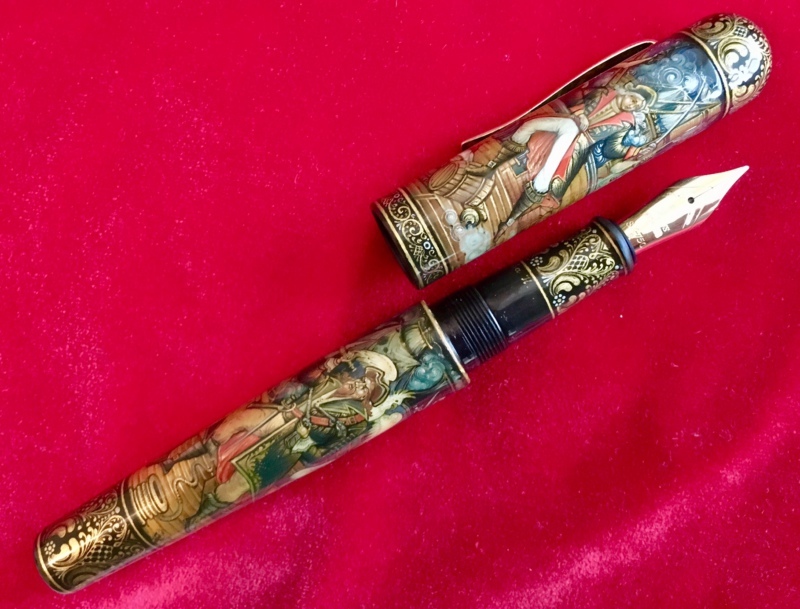 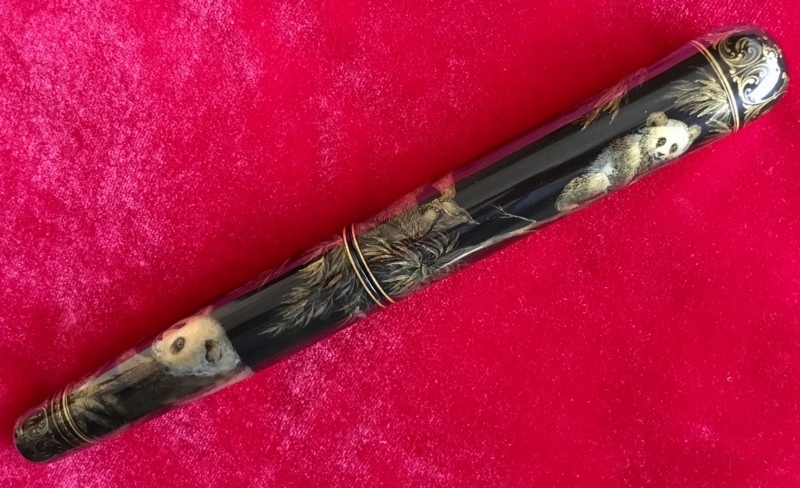 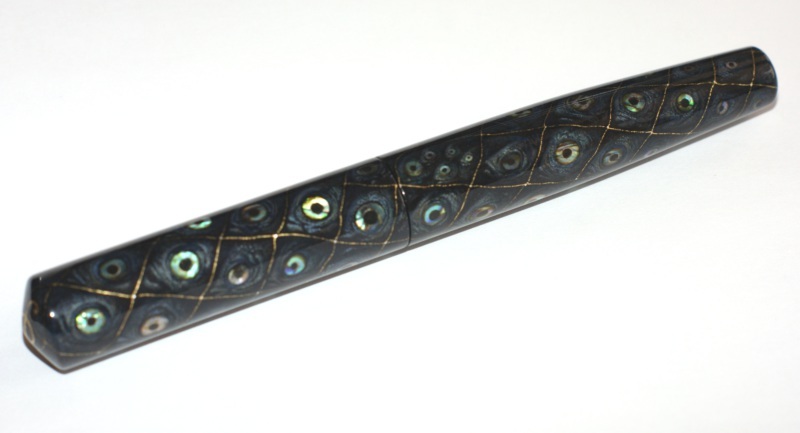 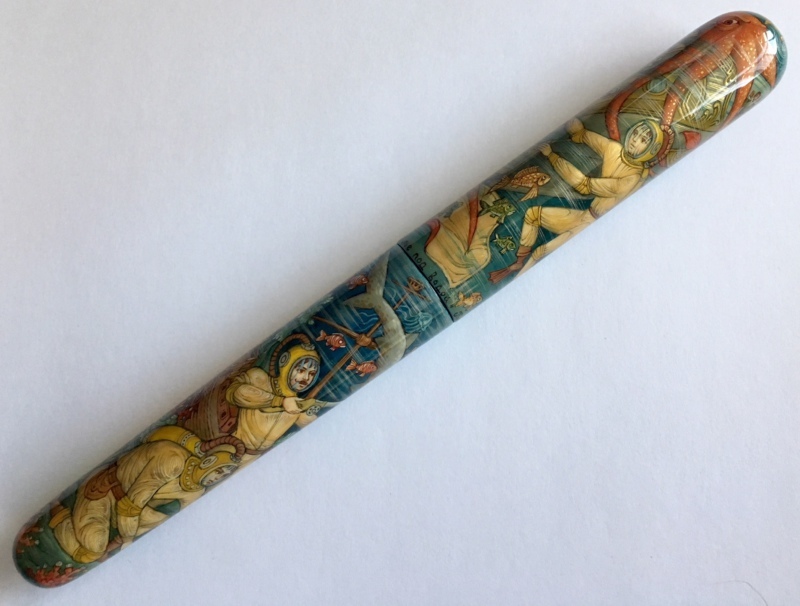 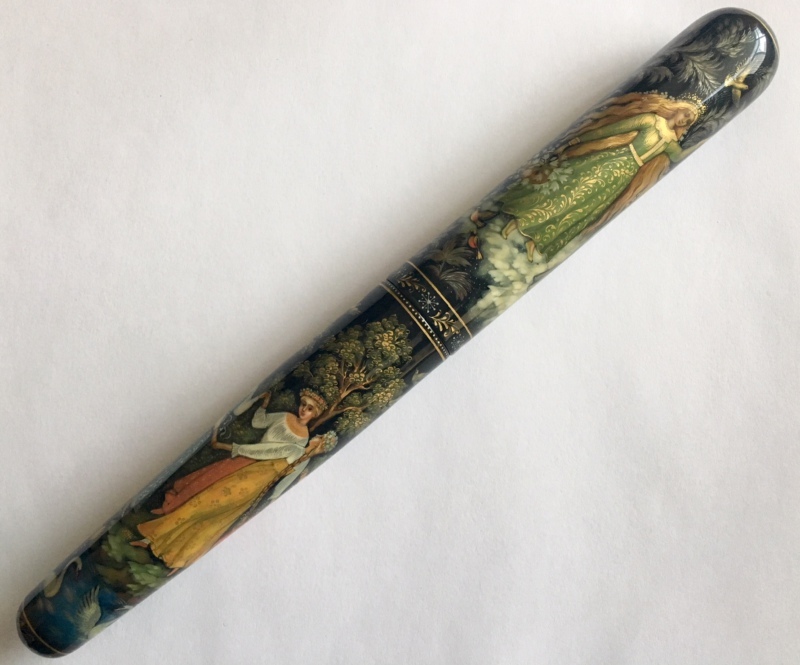 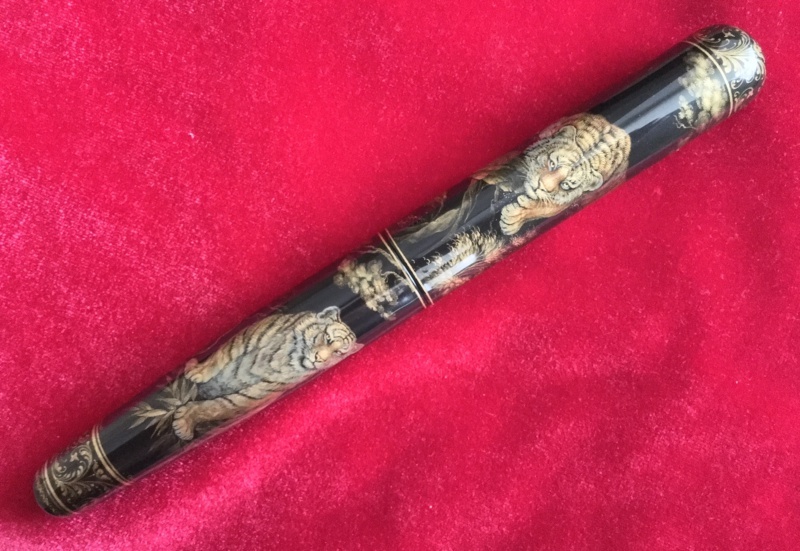 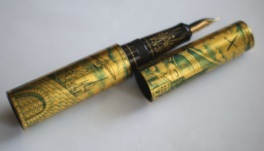 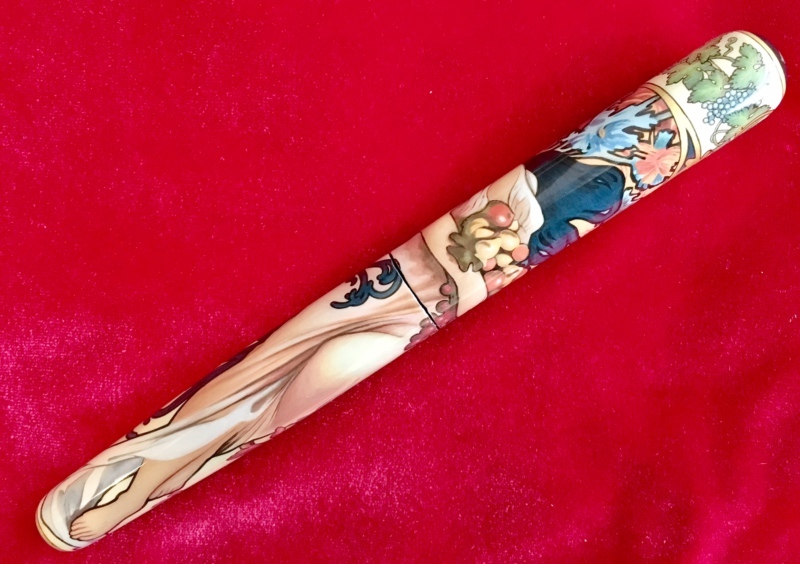 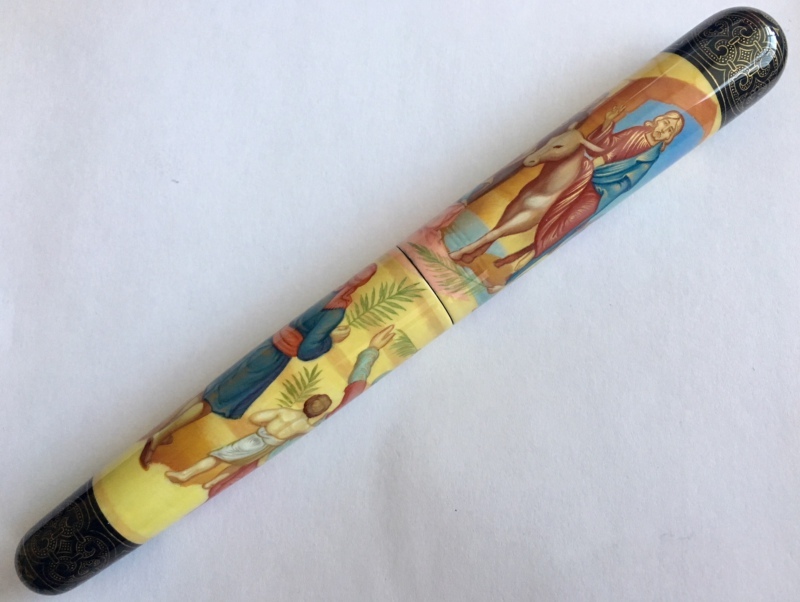 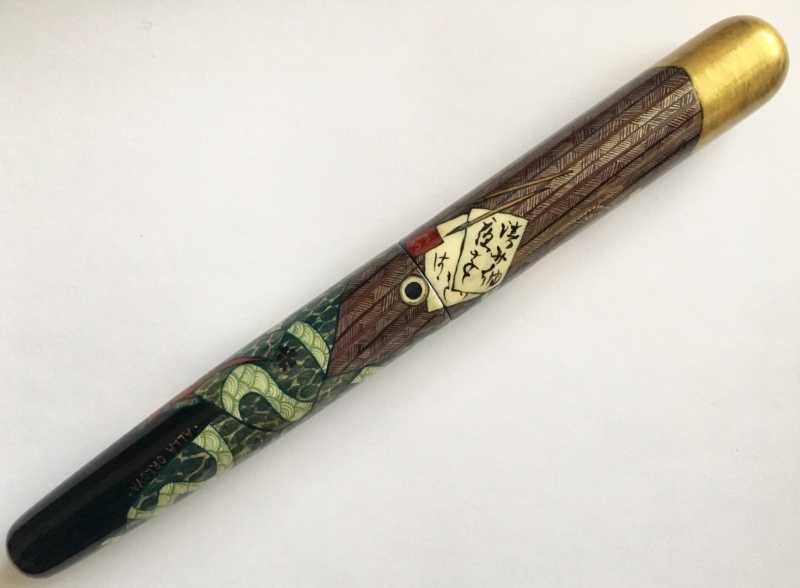 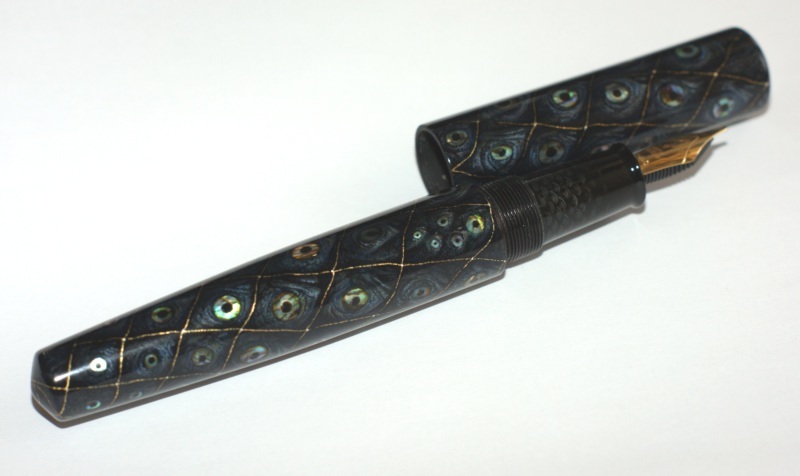 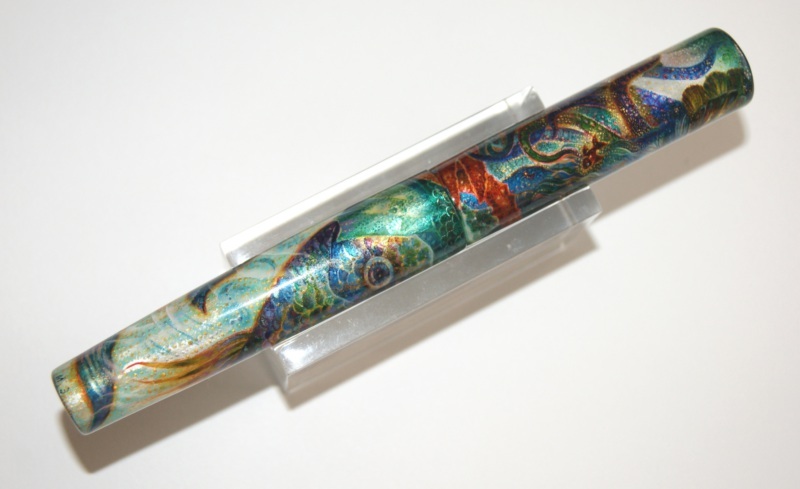 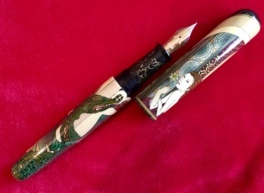 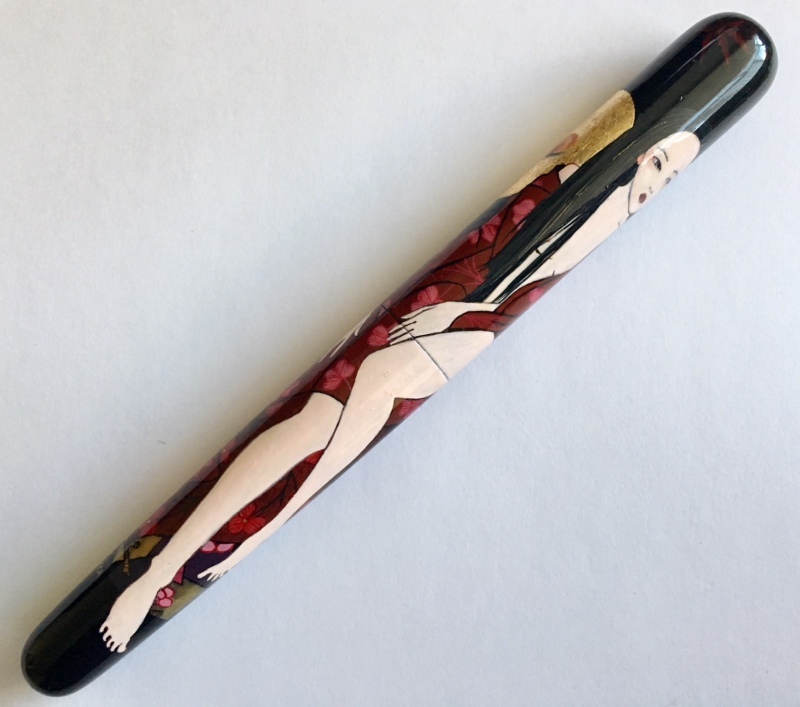 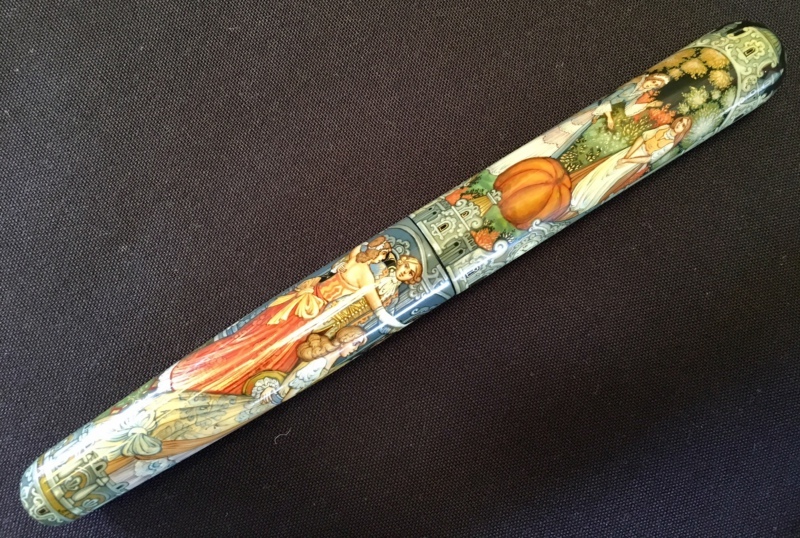 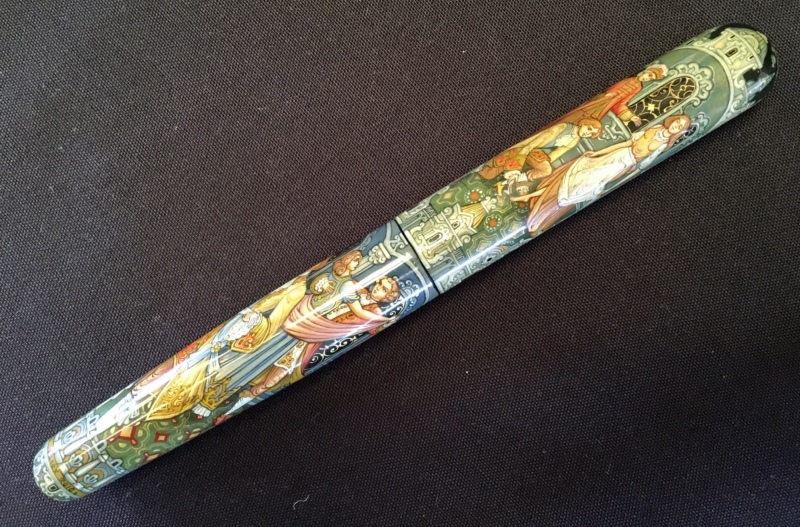 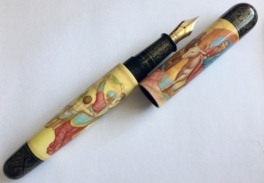 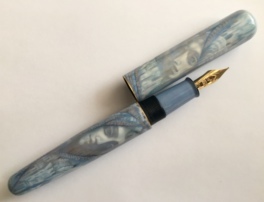 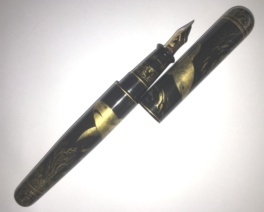 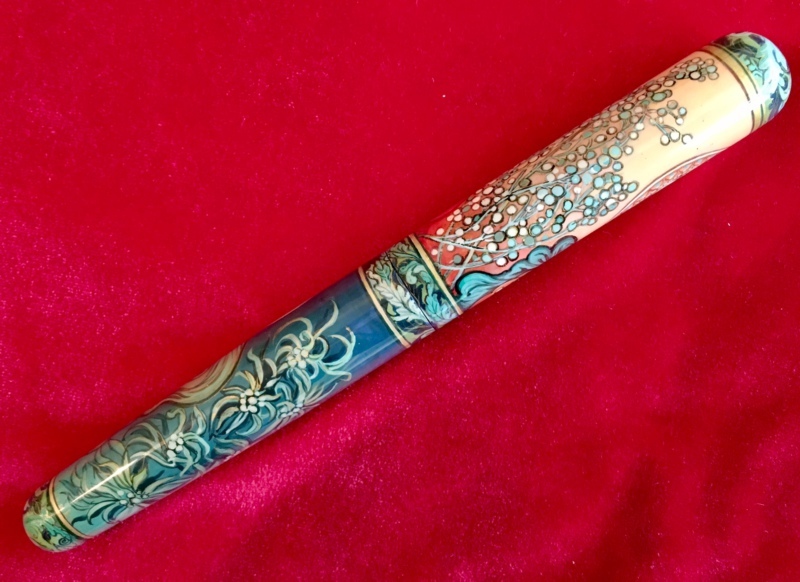 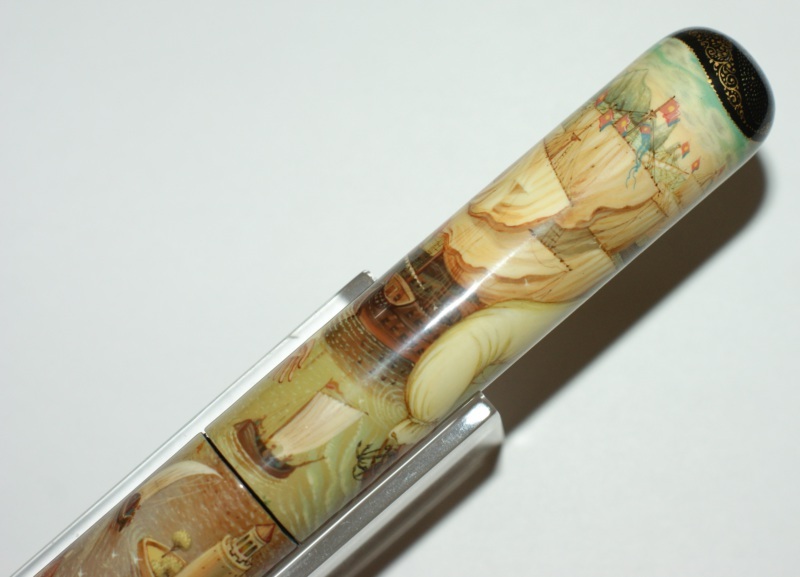 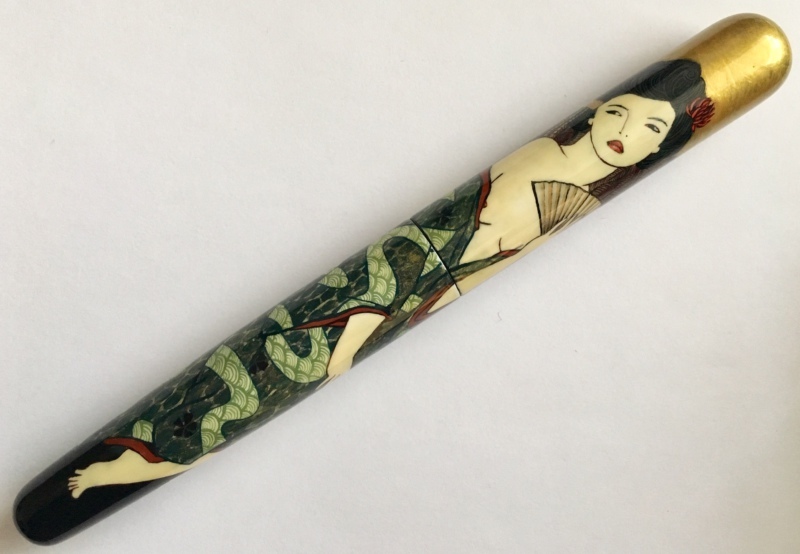 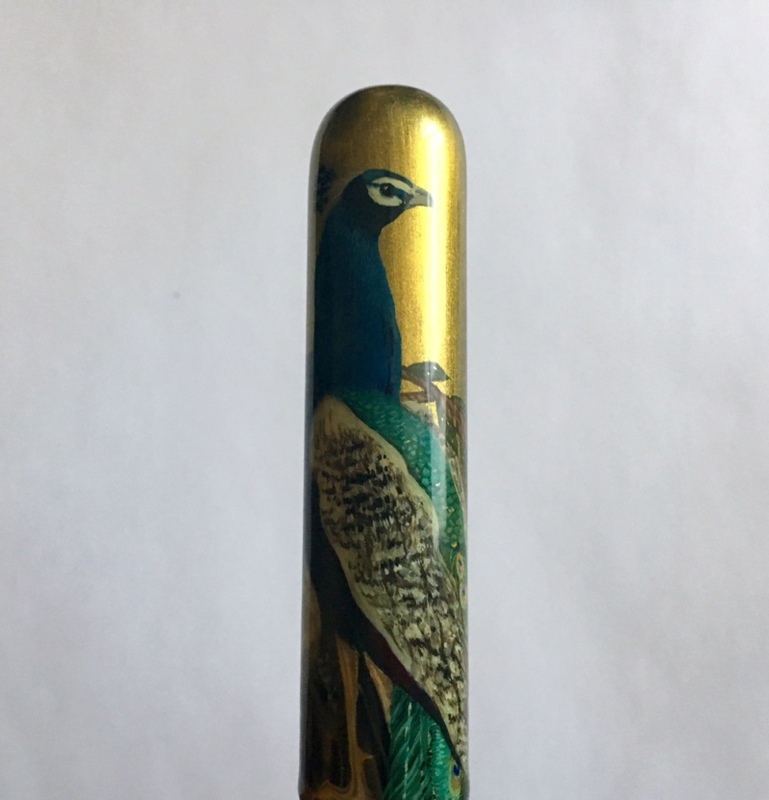 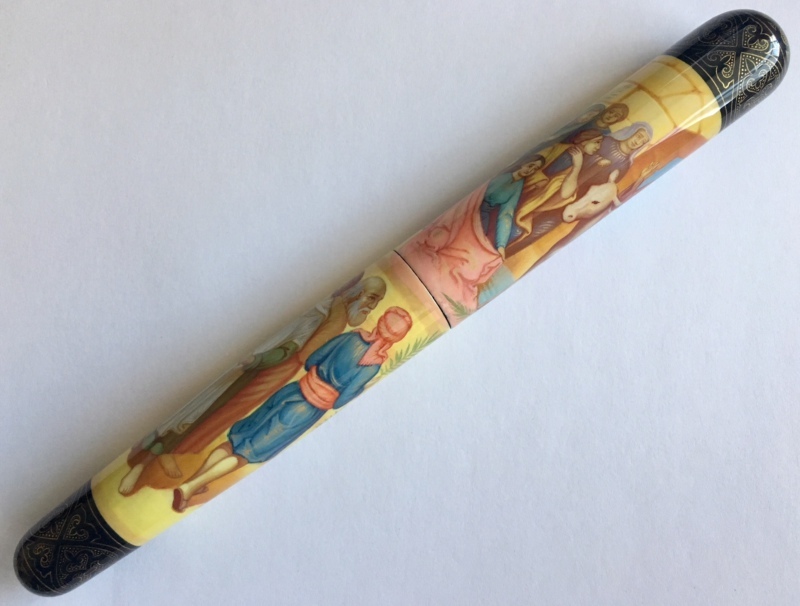 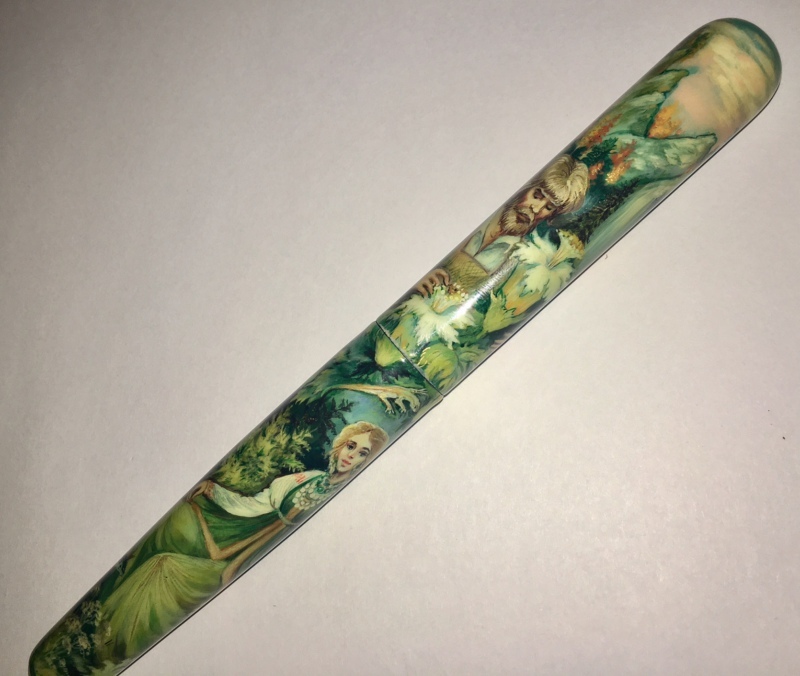 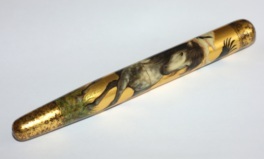 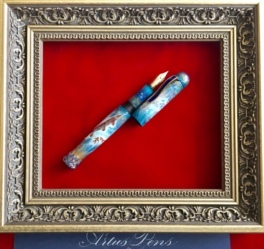 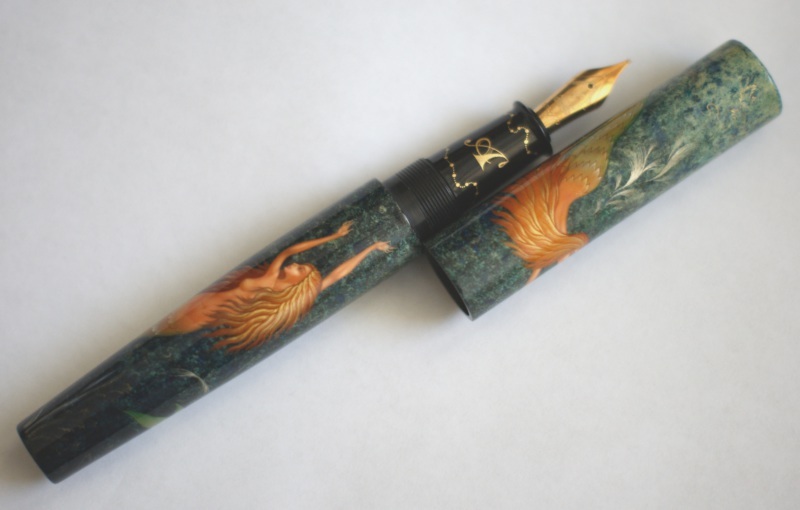 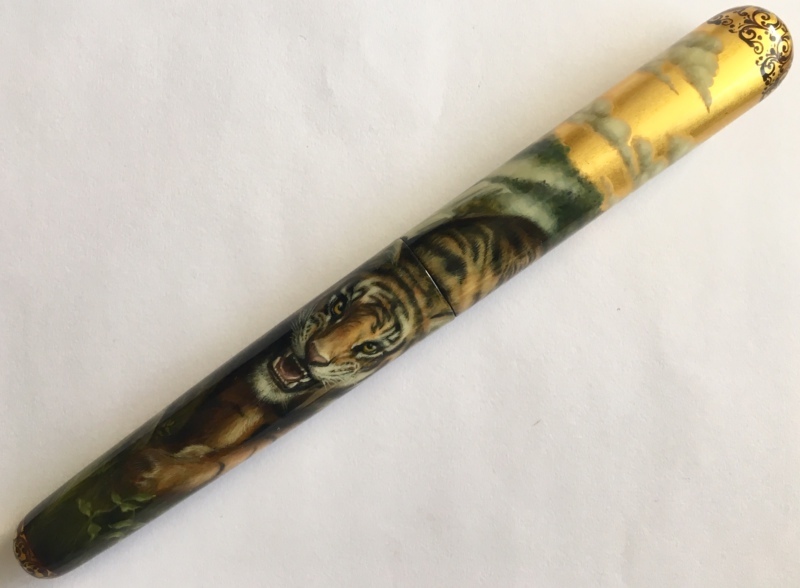 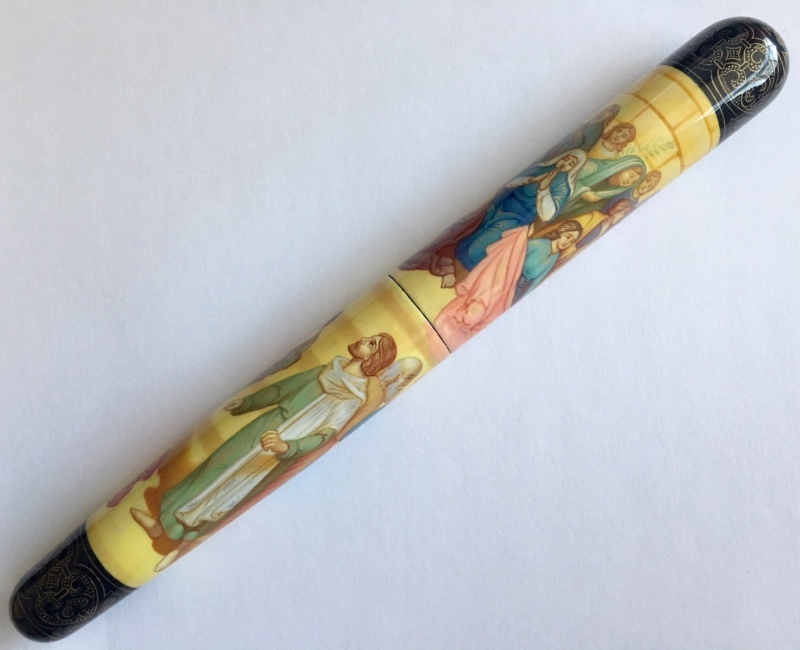 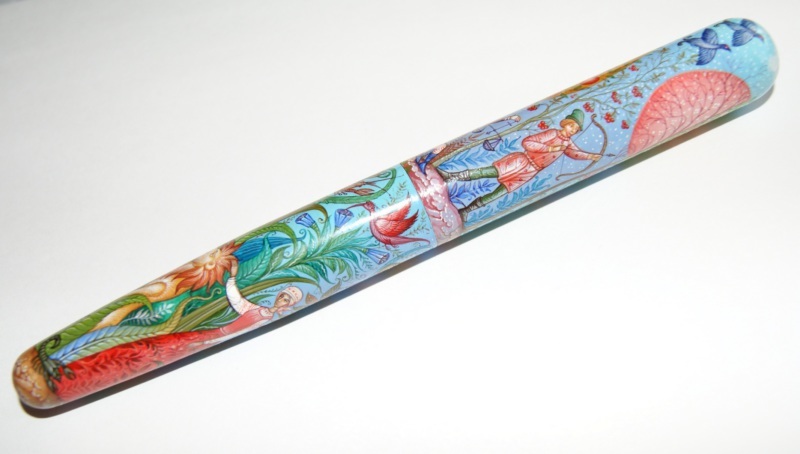 one of a kind unique authors fountain pen of Magnum Emperor size, flat top shaped. 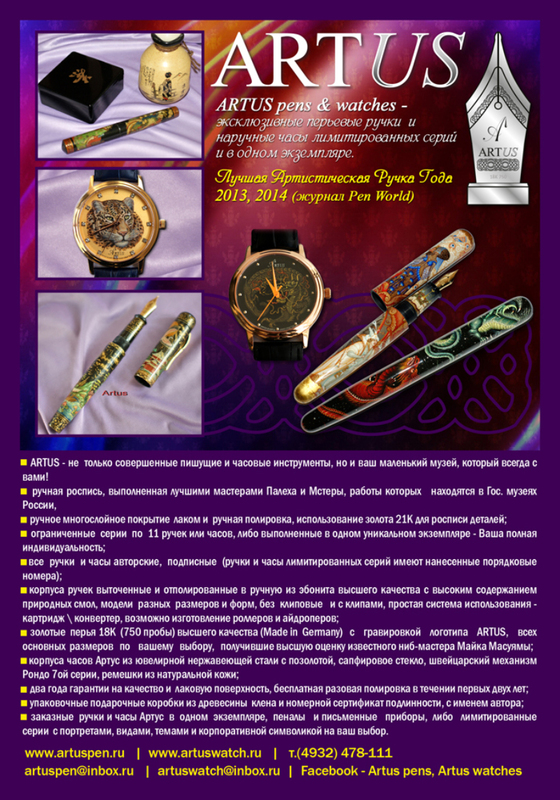 Artistic rating 9 (1-10) ! 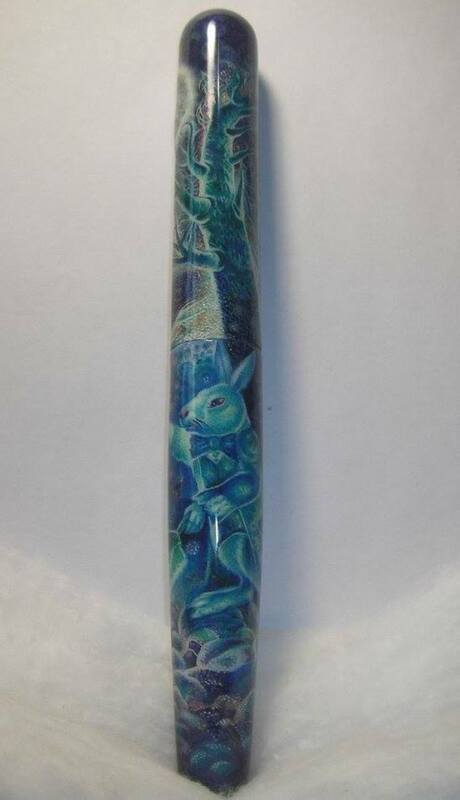 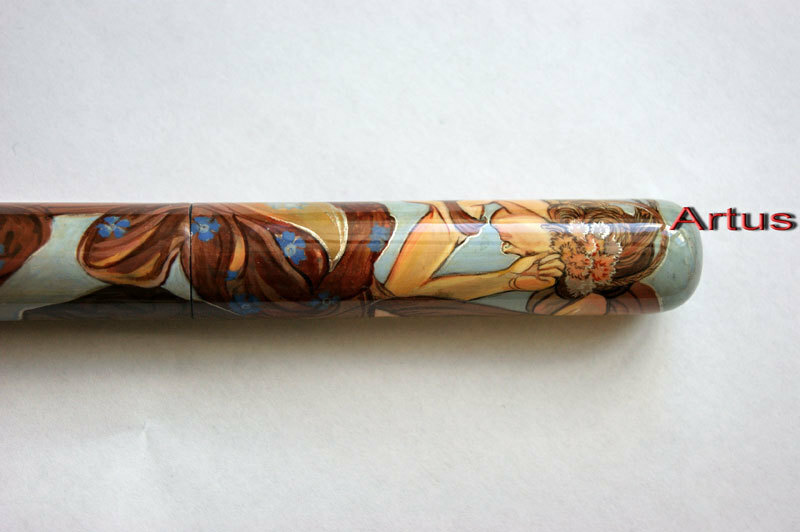 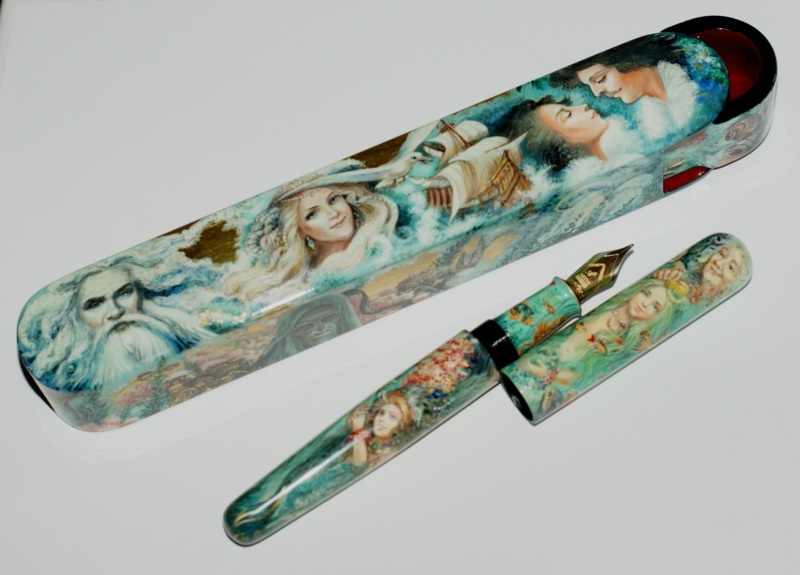 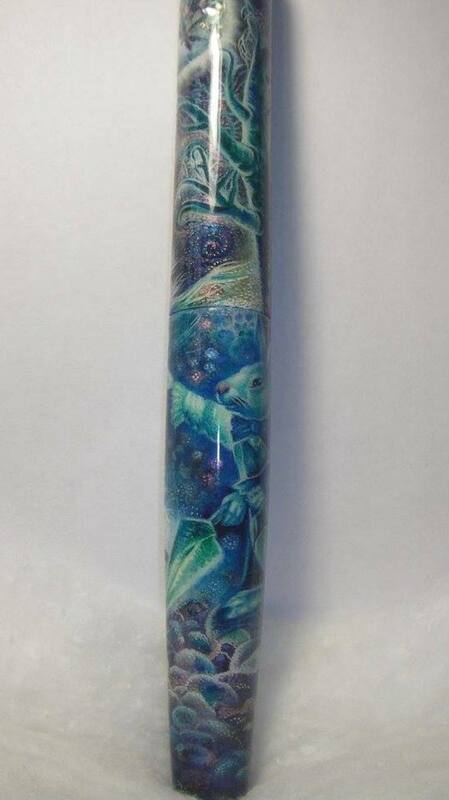 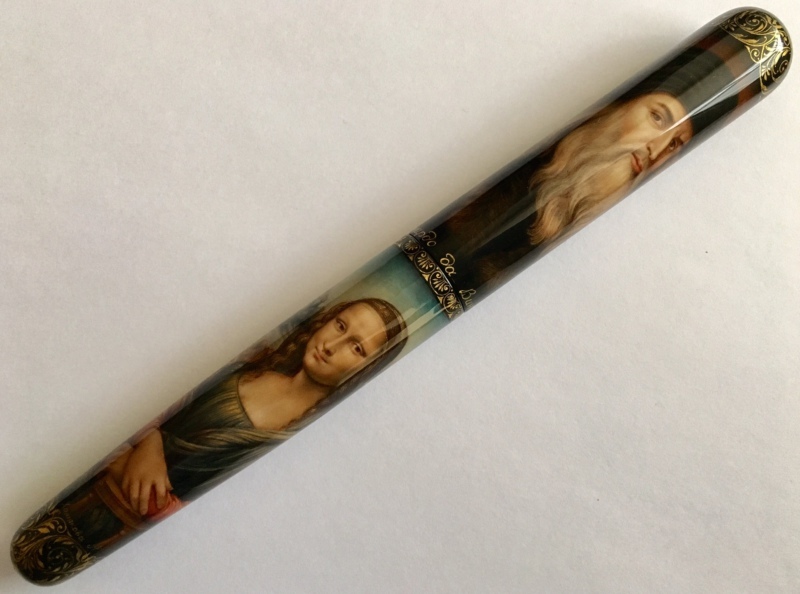 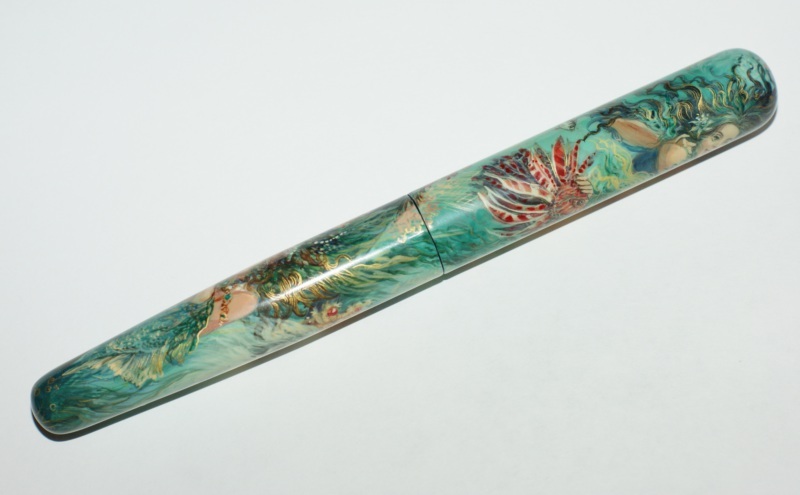 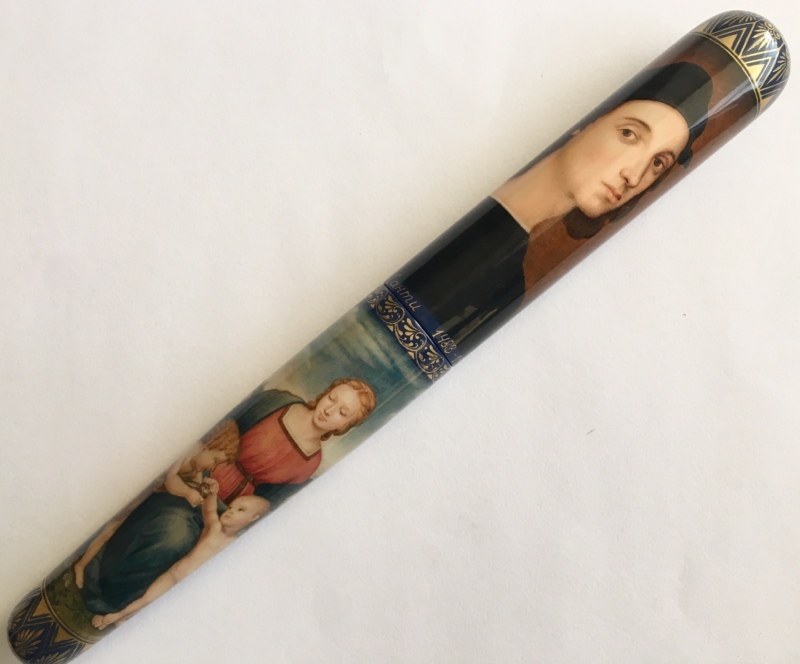 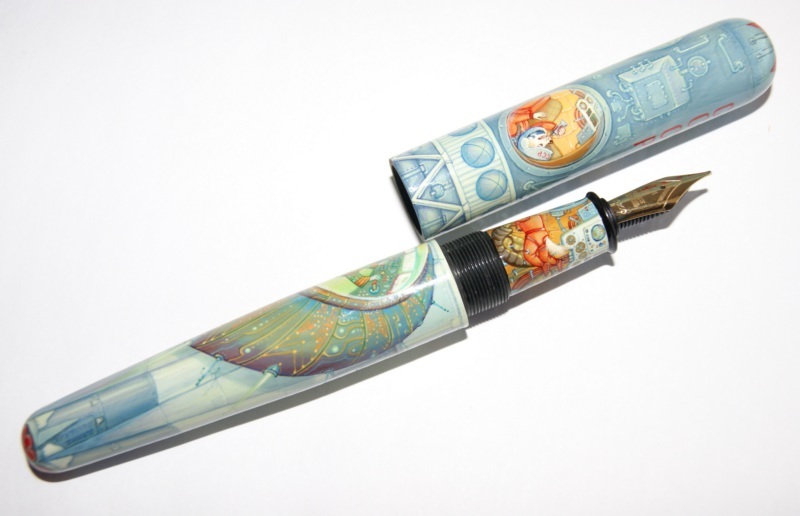 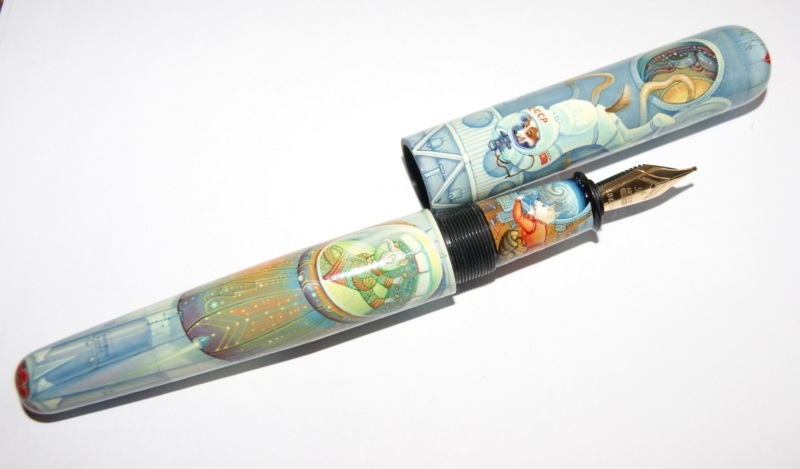 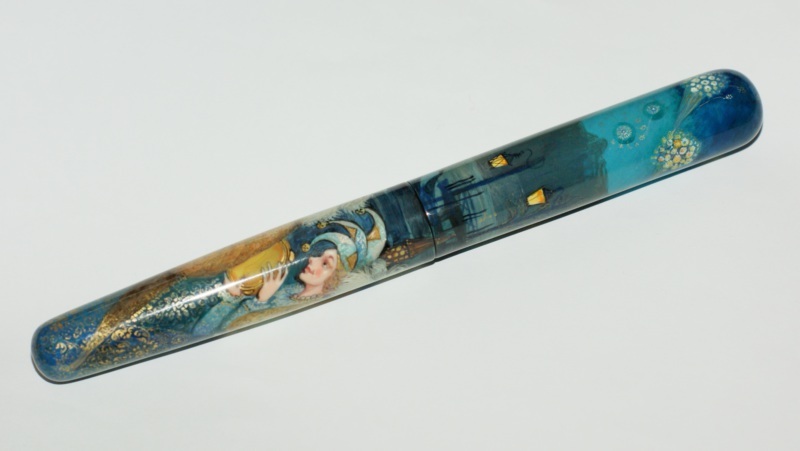 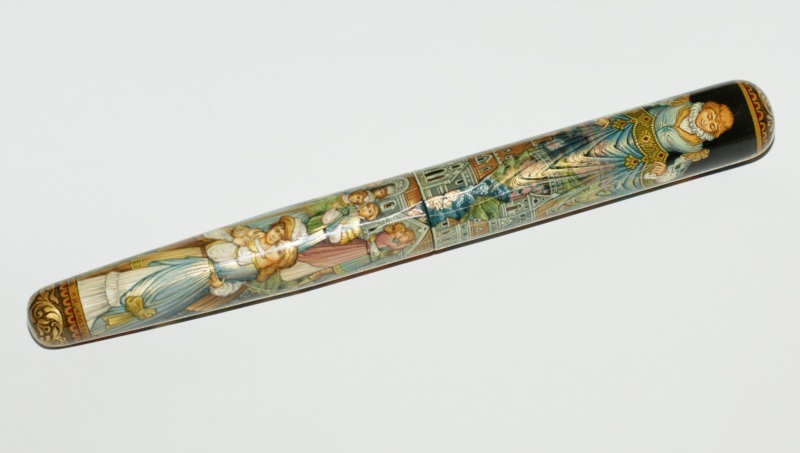 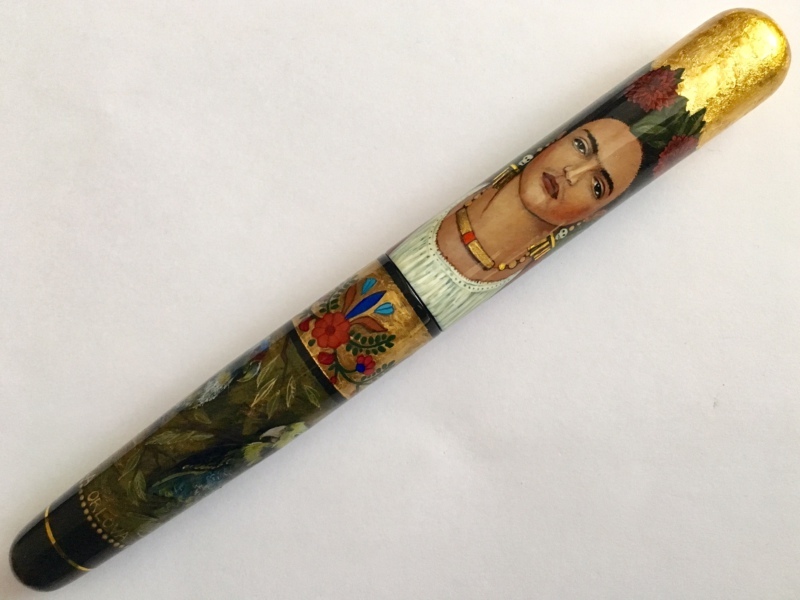 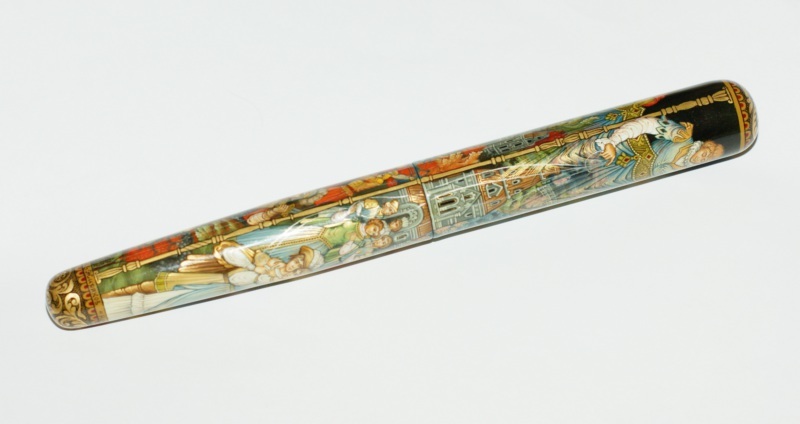 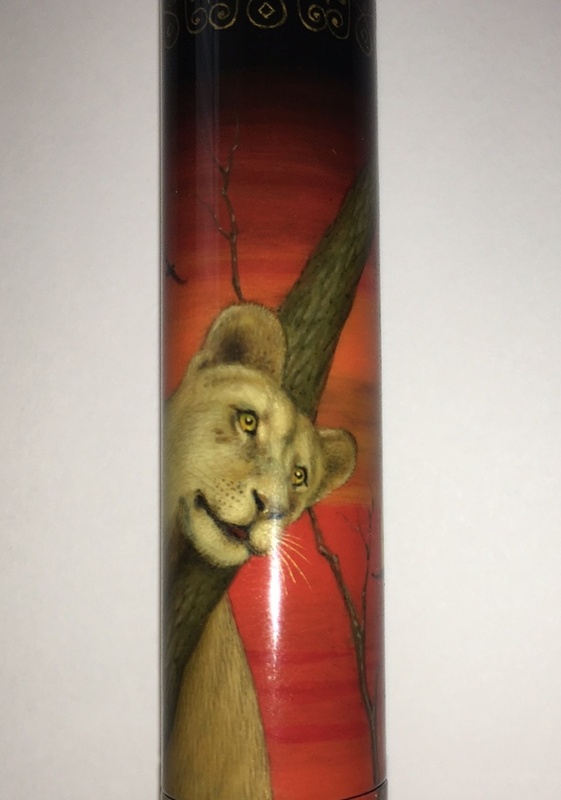 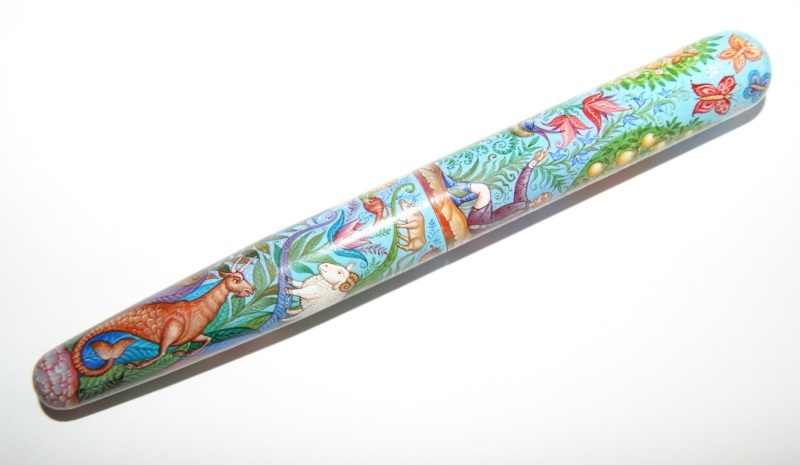 Nominated as the Best Art pen of The Year by Pen World magazine (February 2016)! 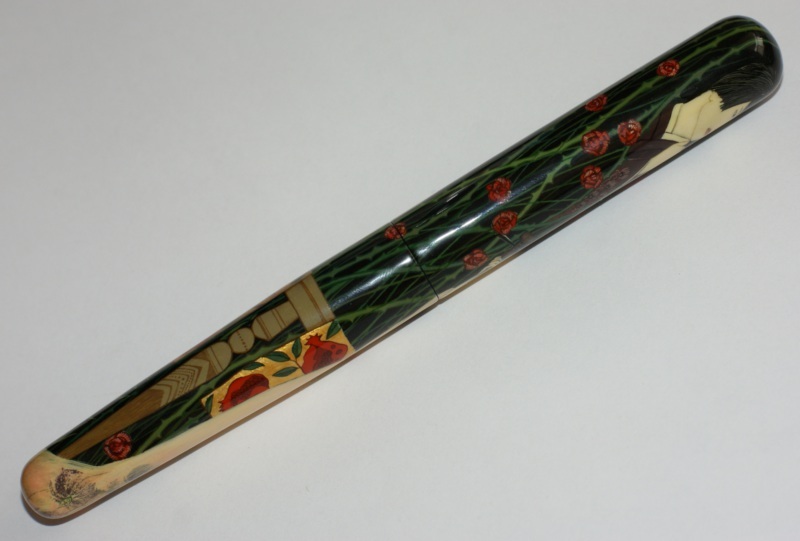 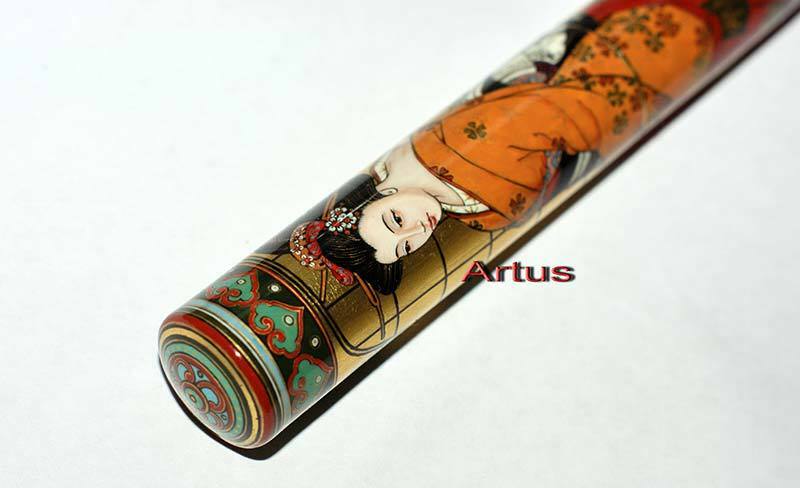 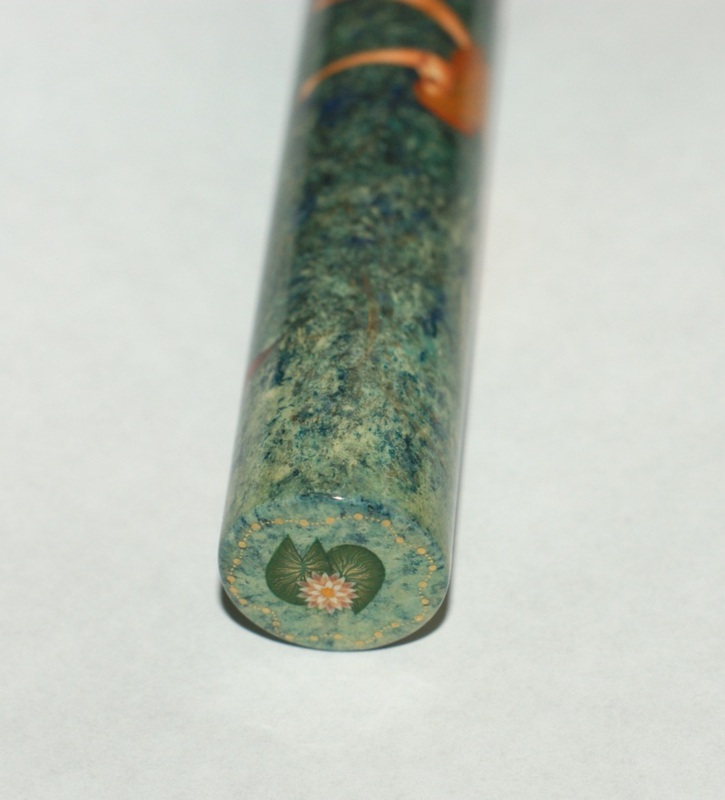 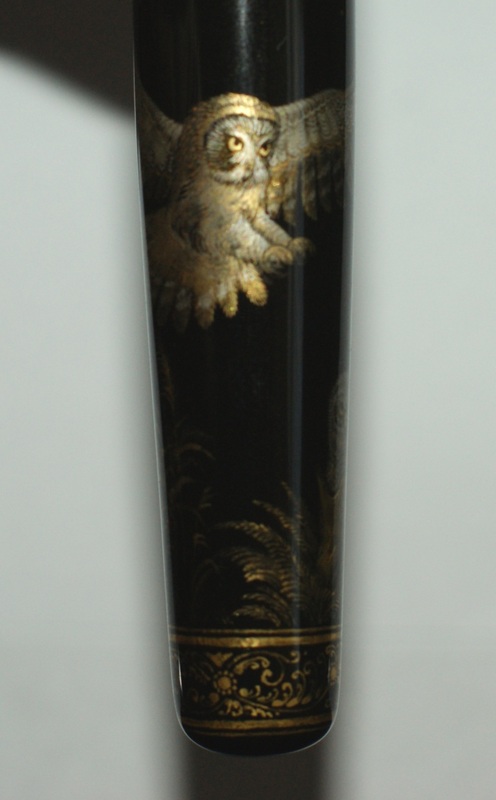 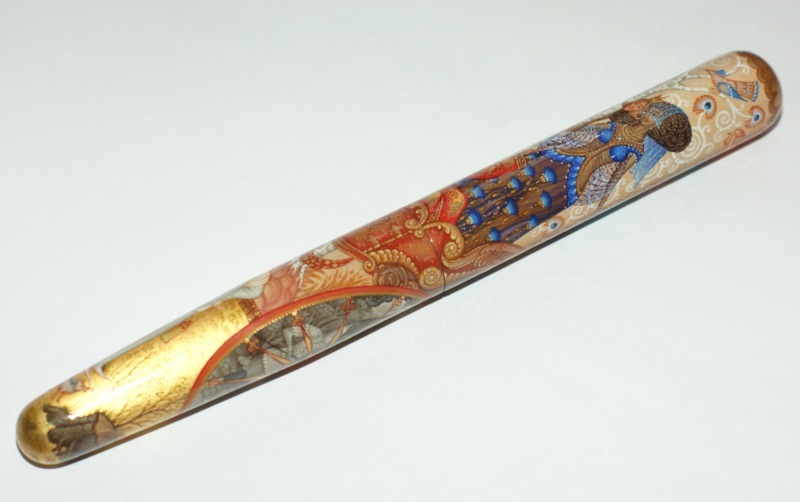 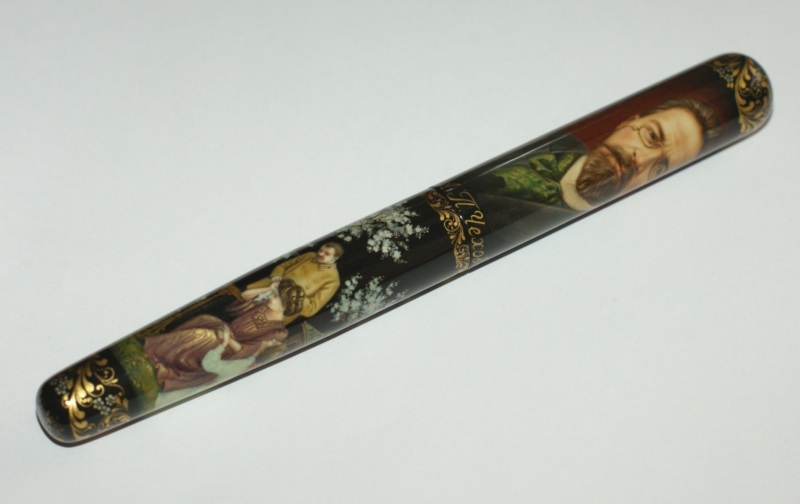 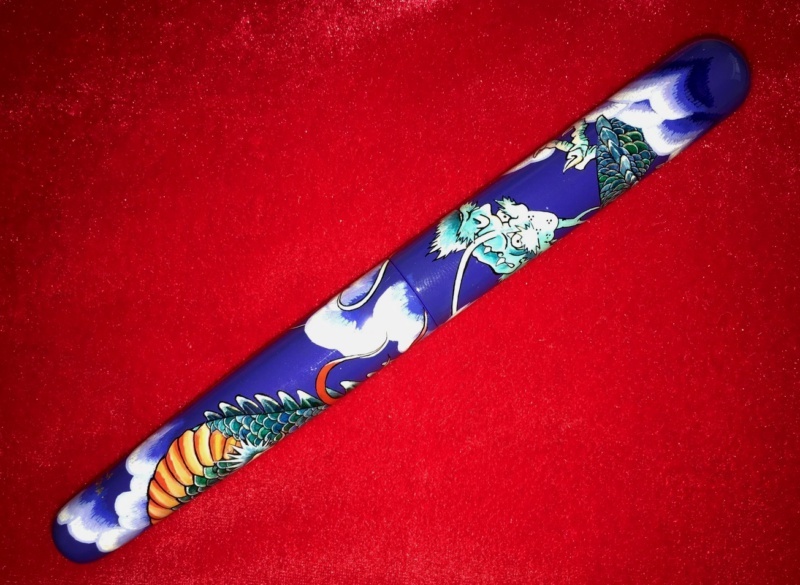 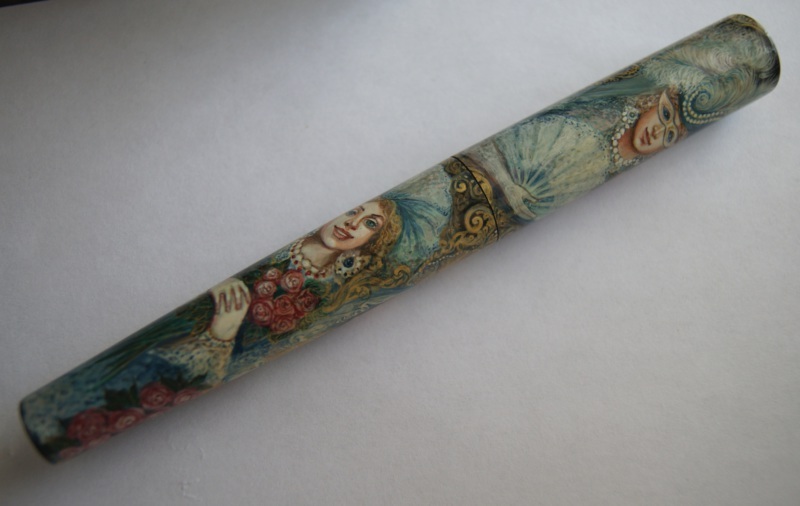 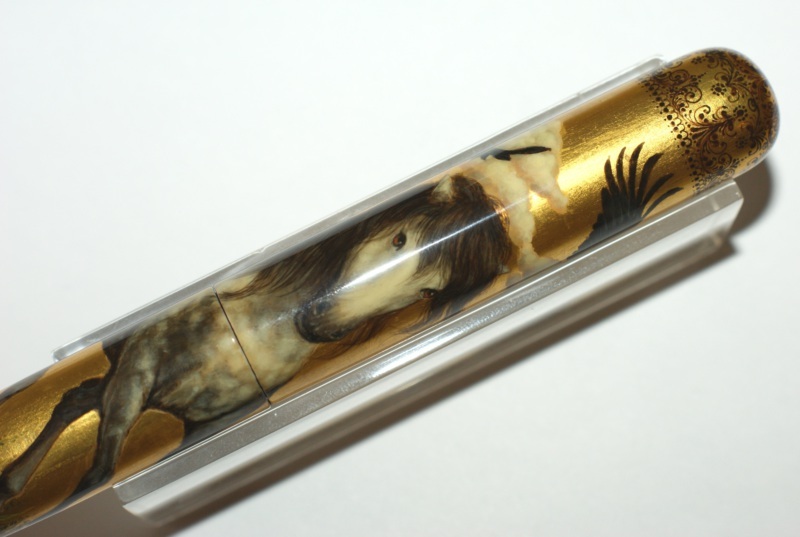 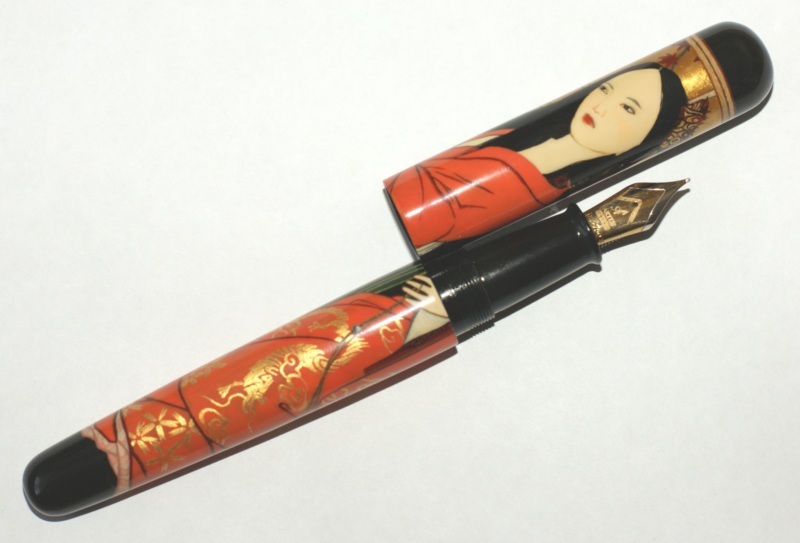 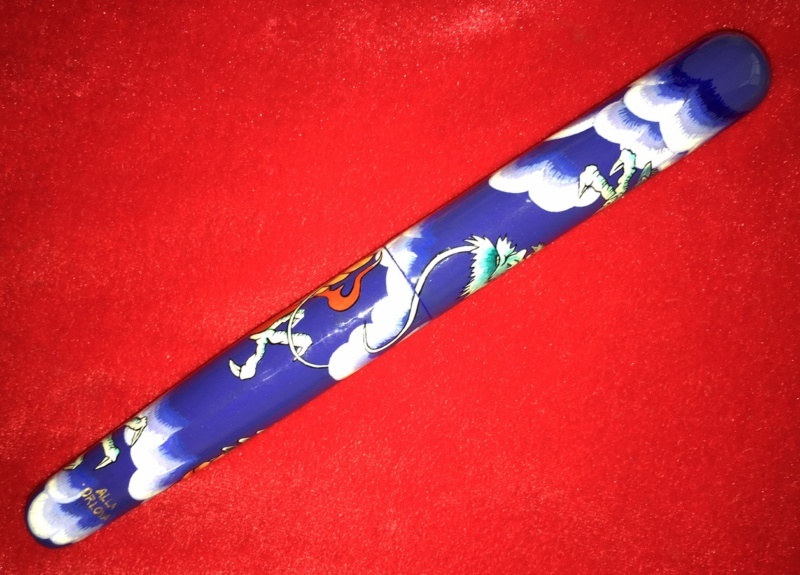 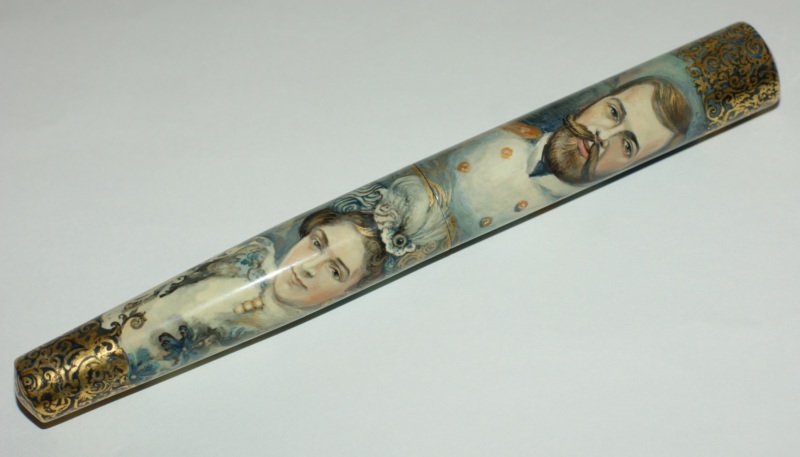 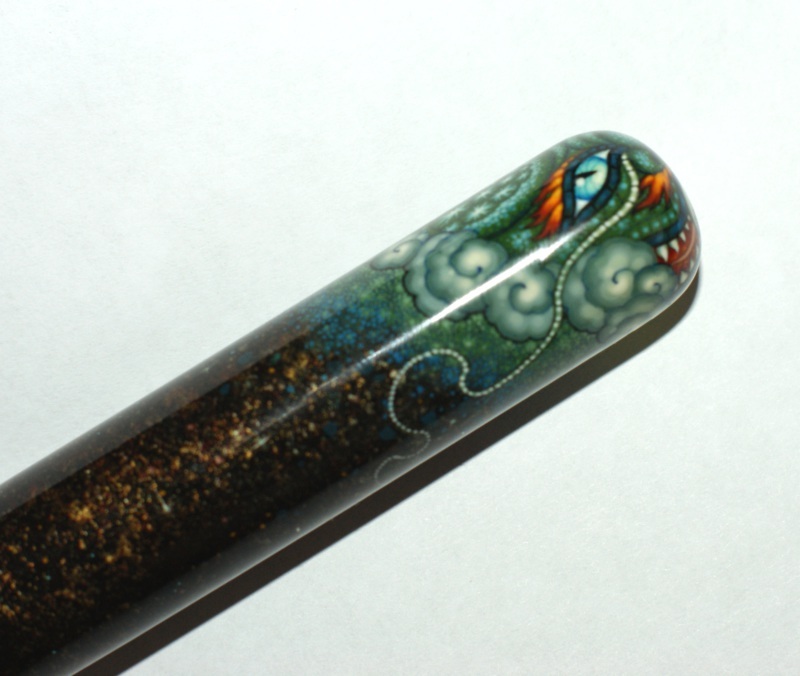 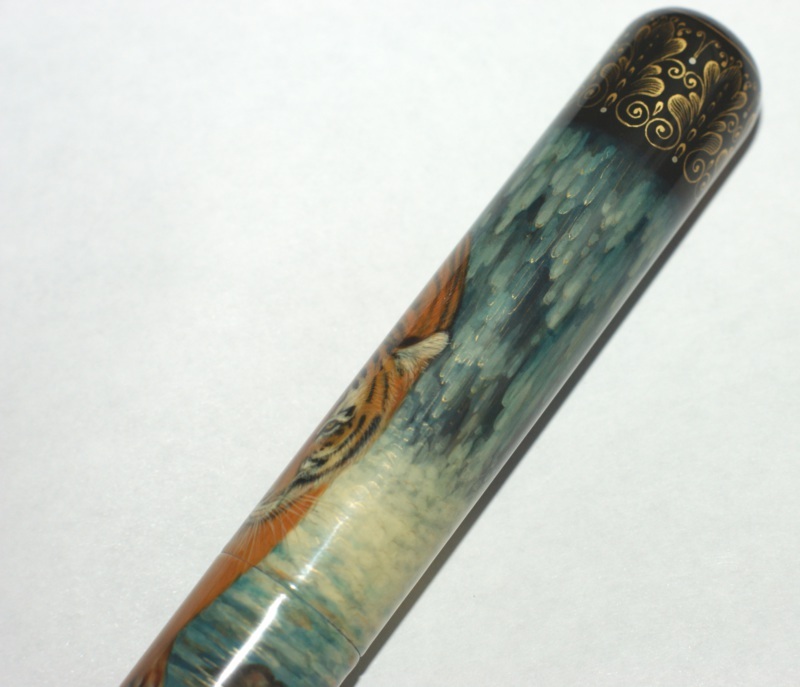 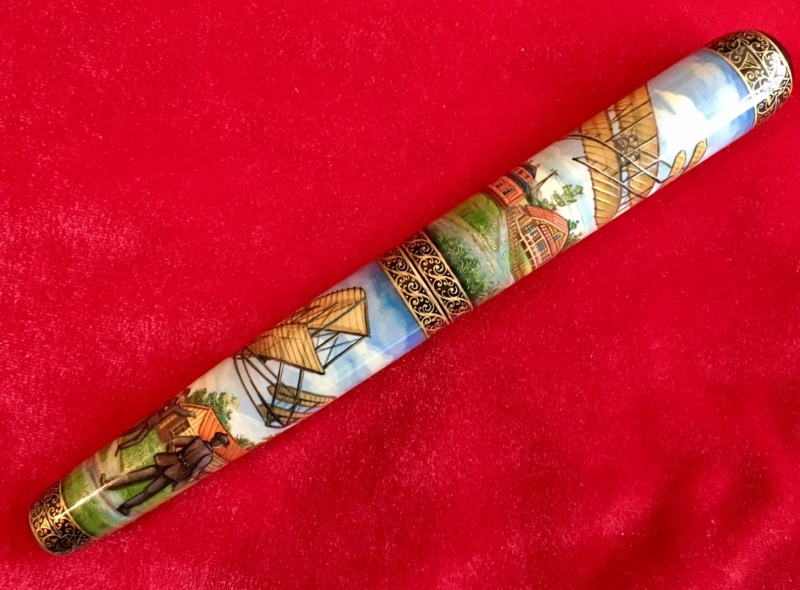 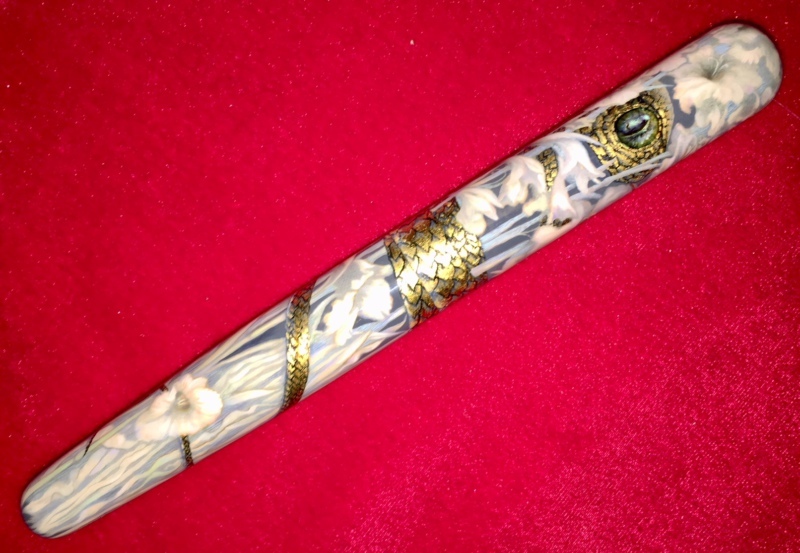 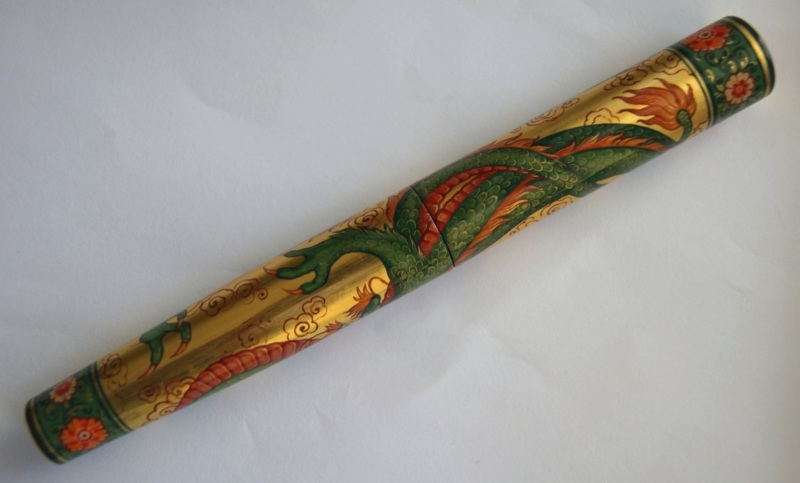 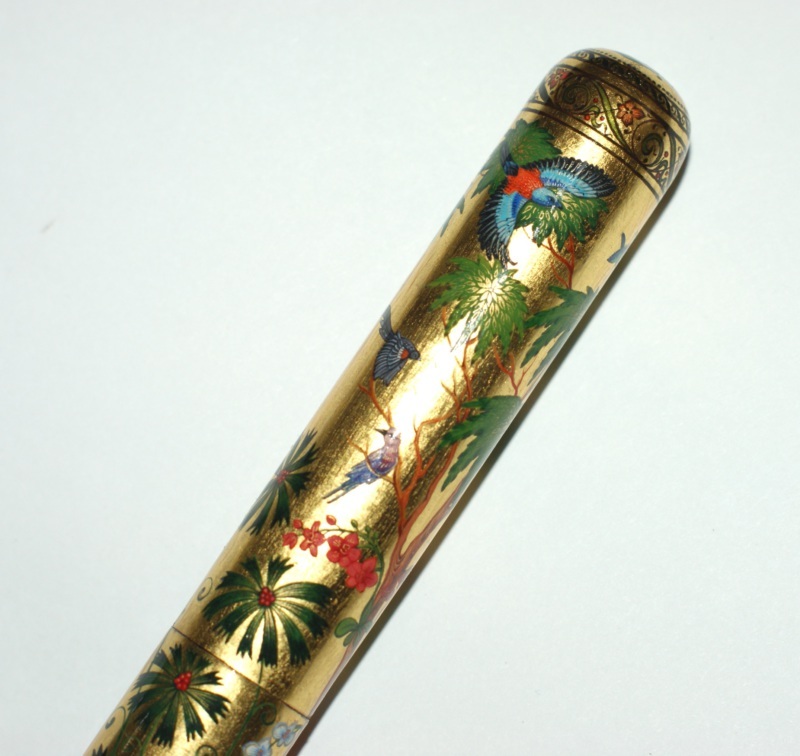 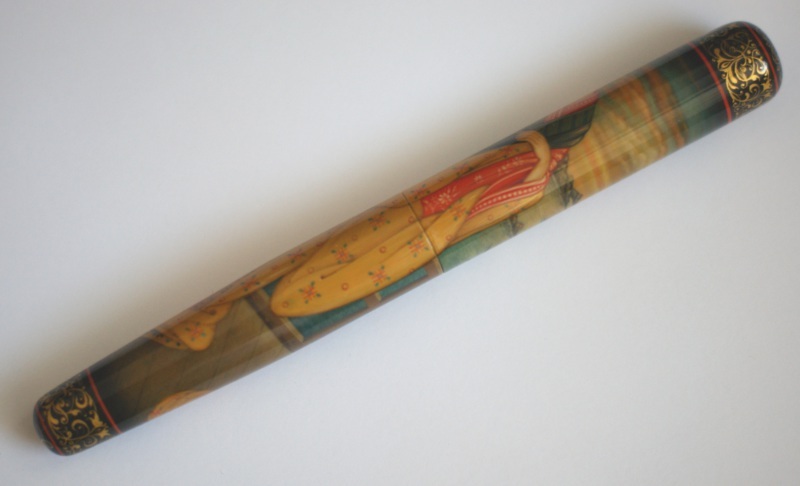 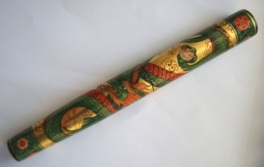 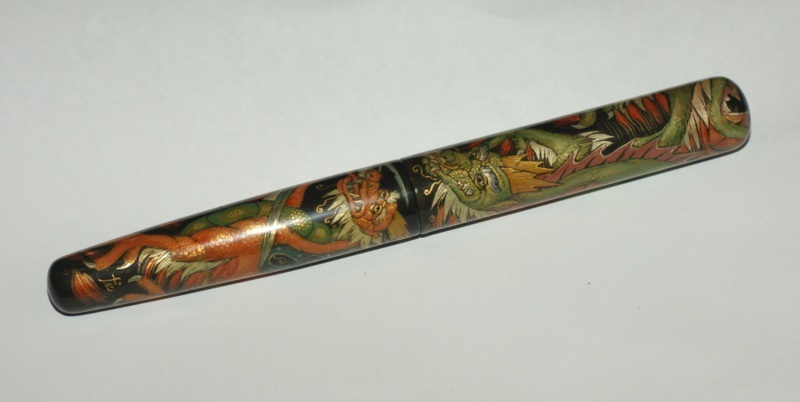 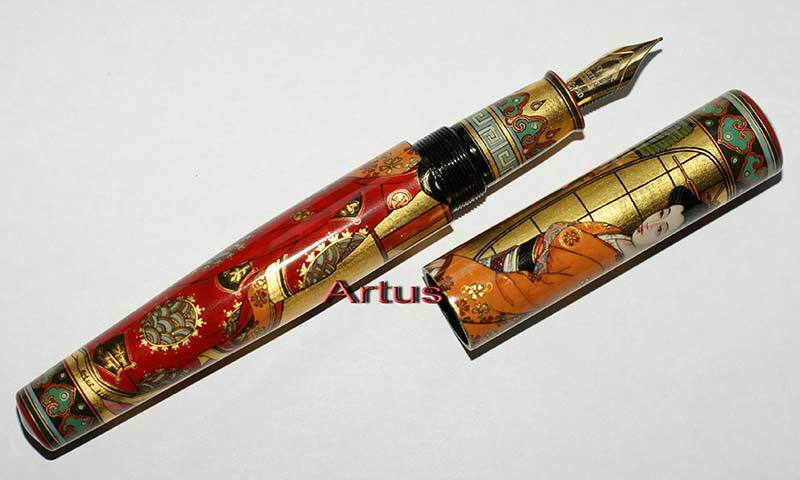 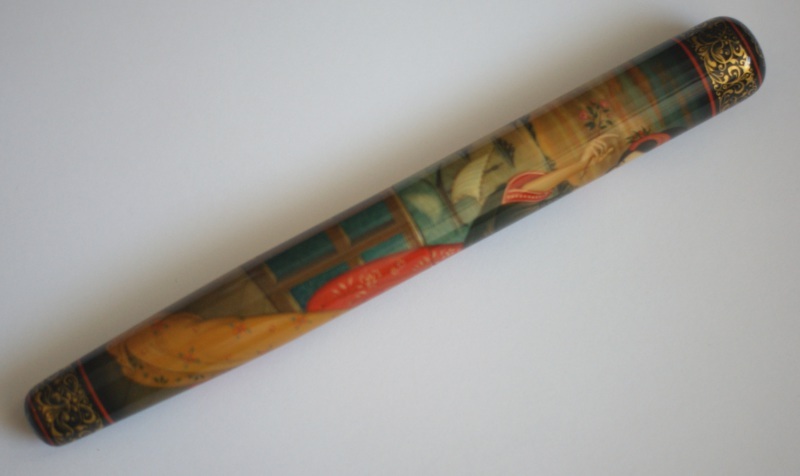 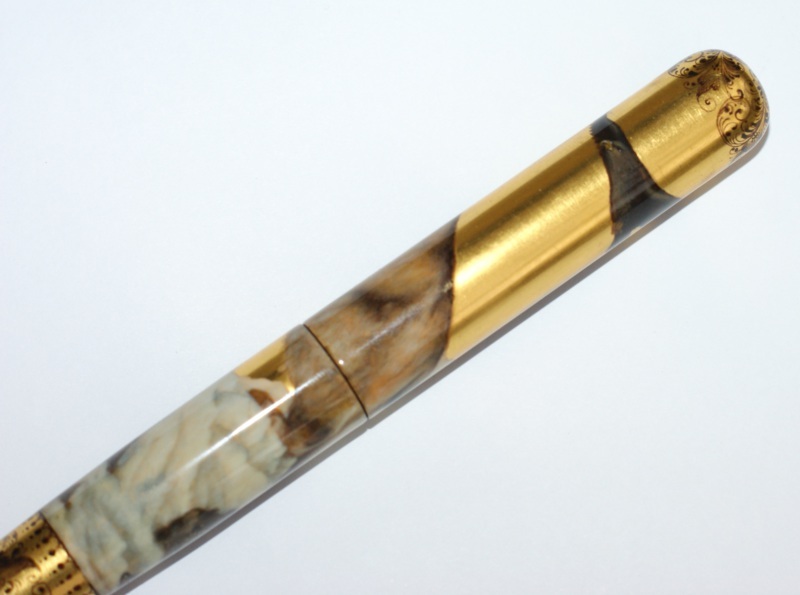 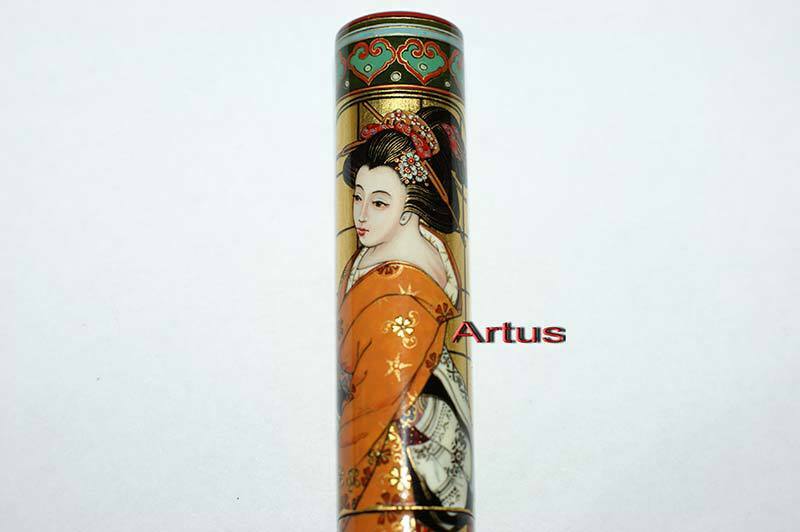 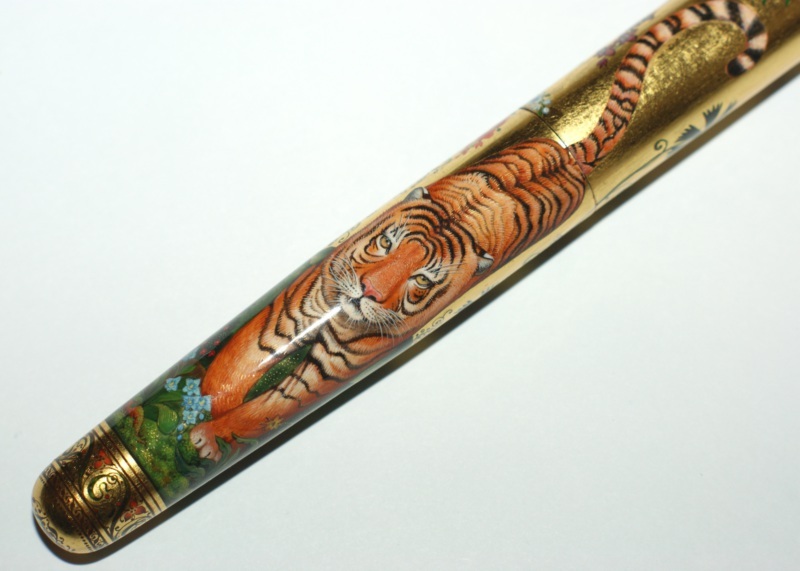 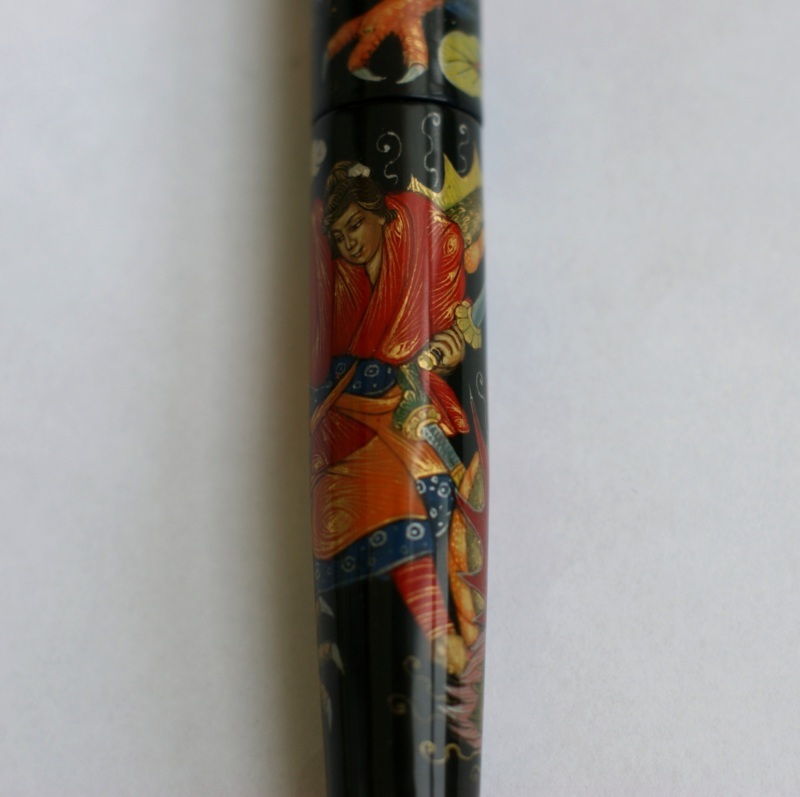 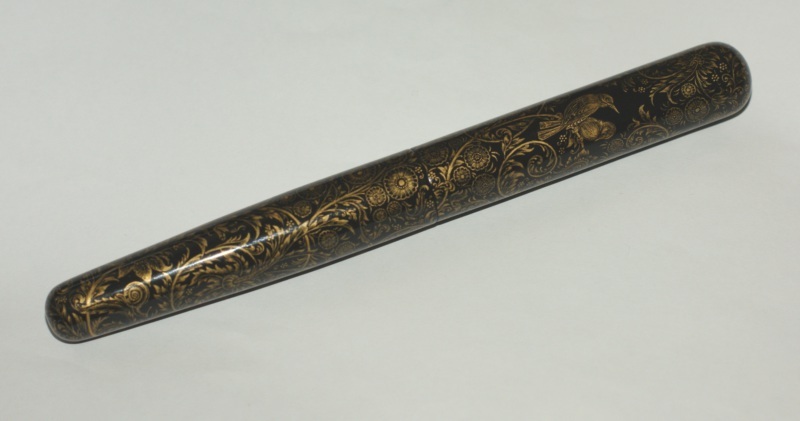 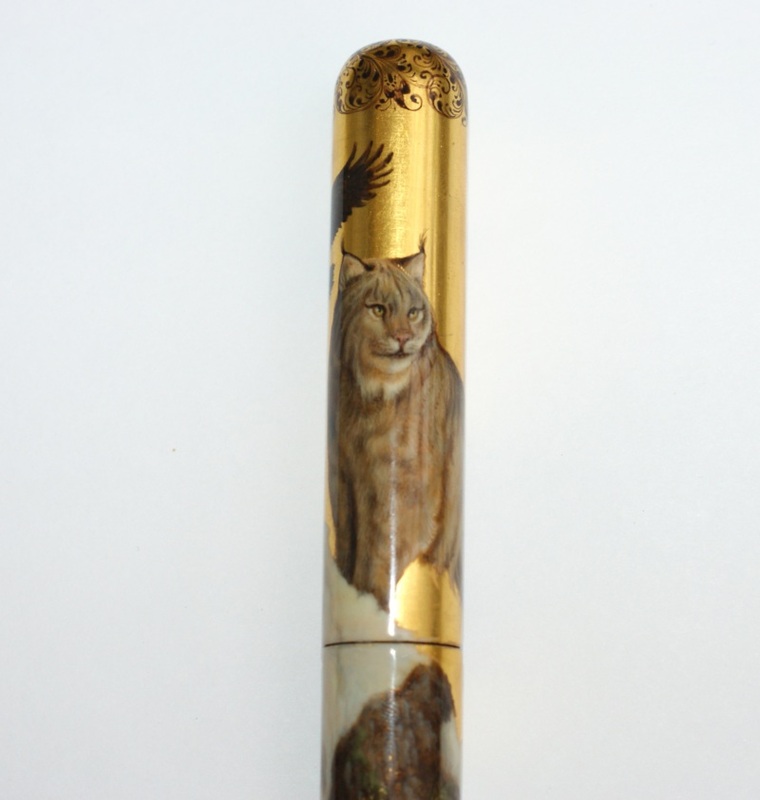 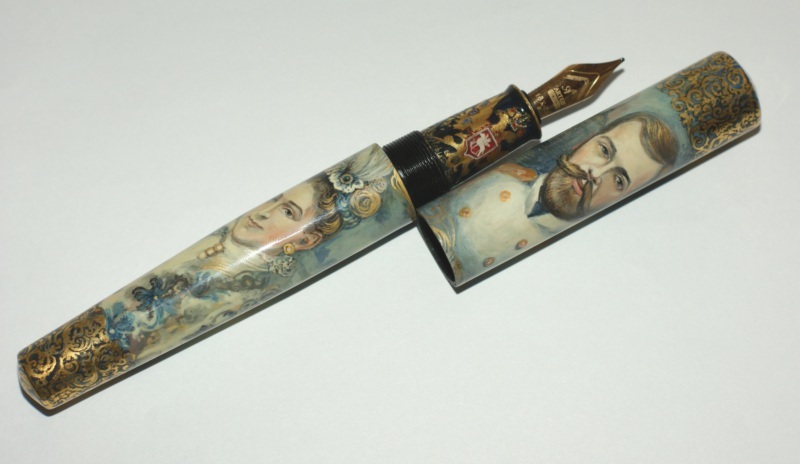 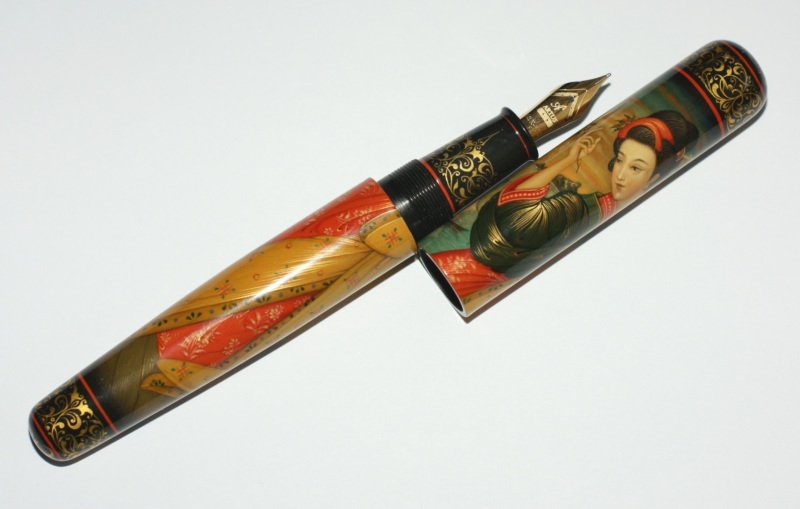 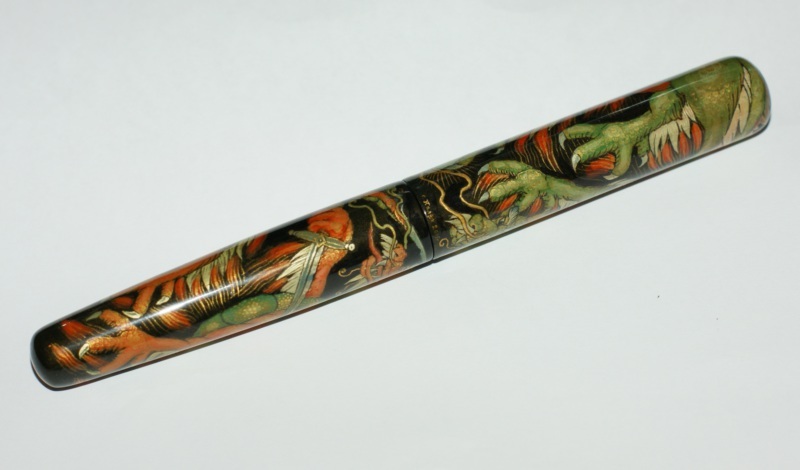 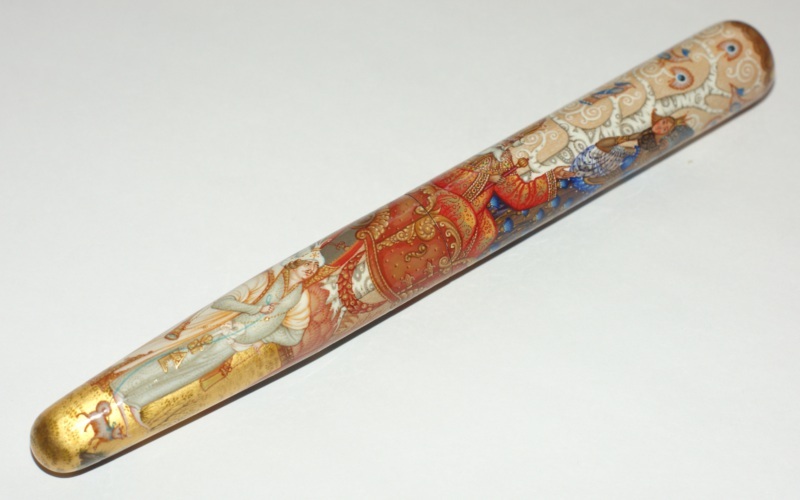 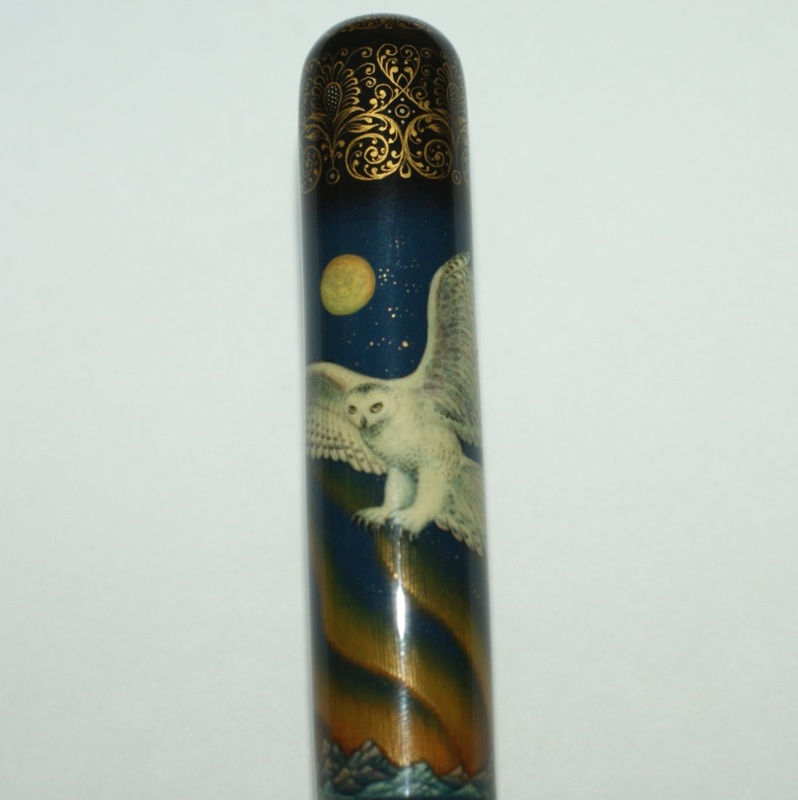 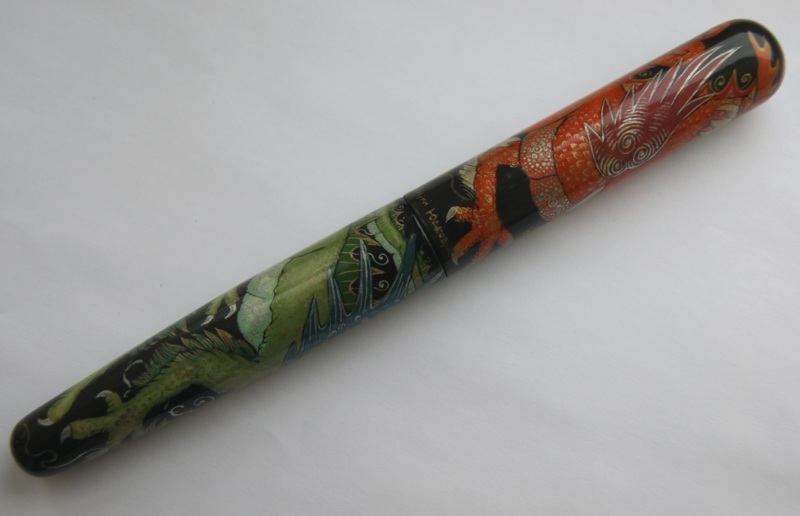 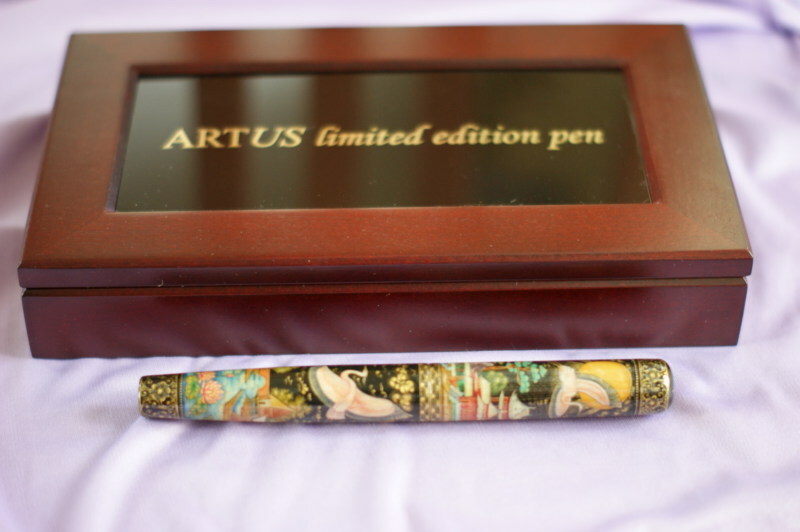 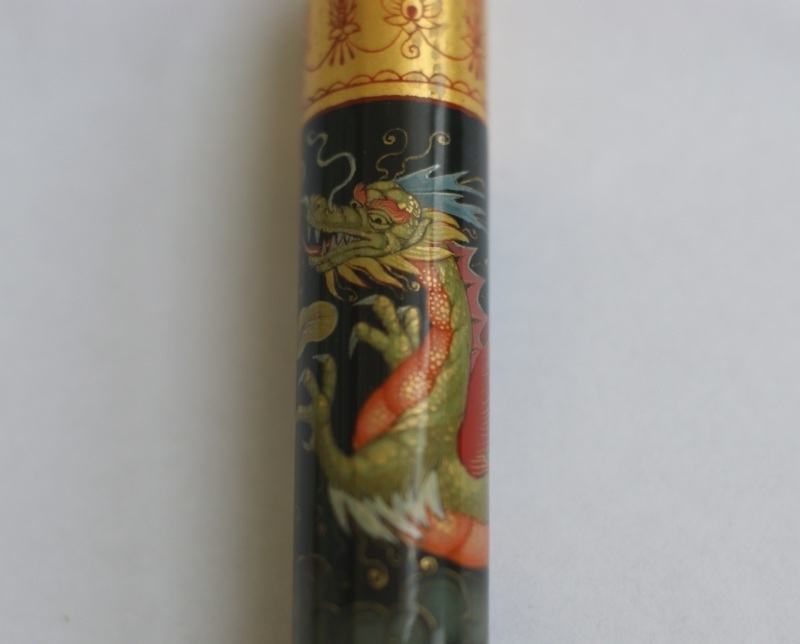 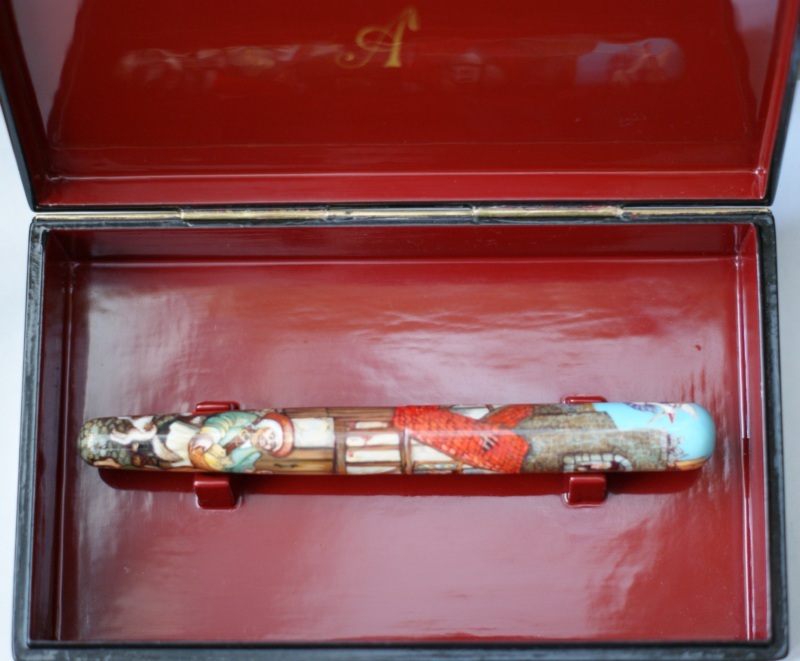 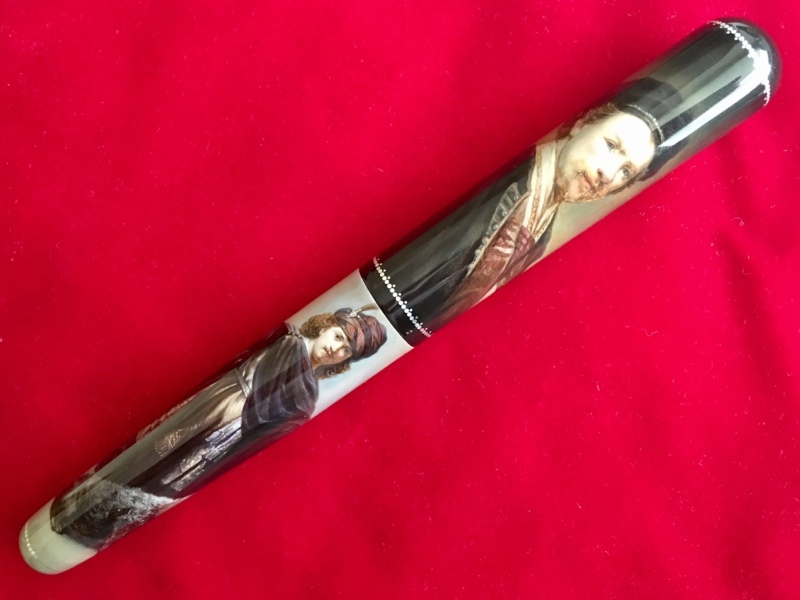 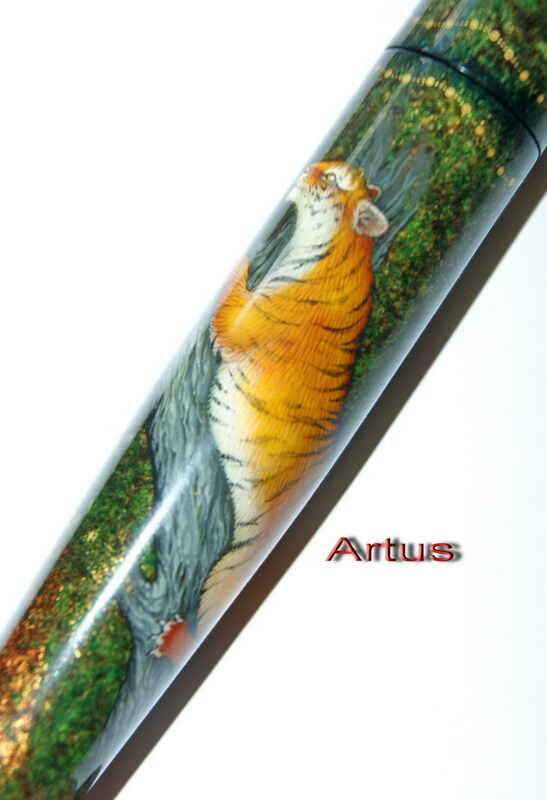 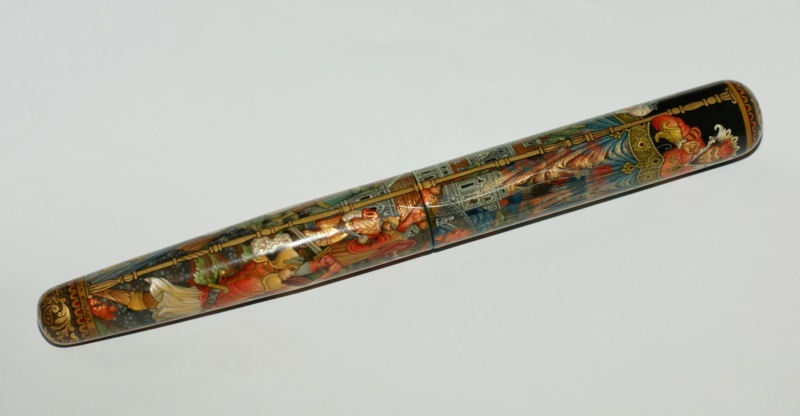 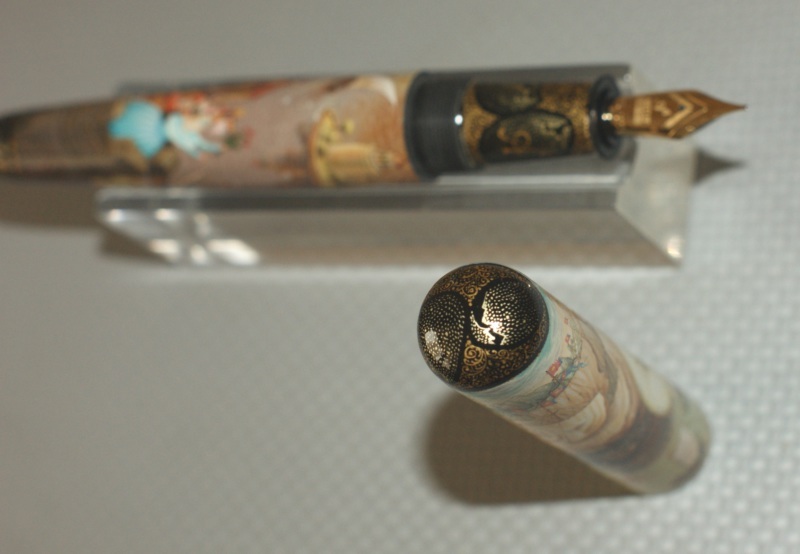 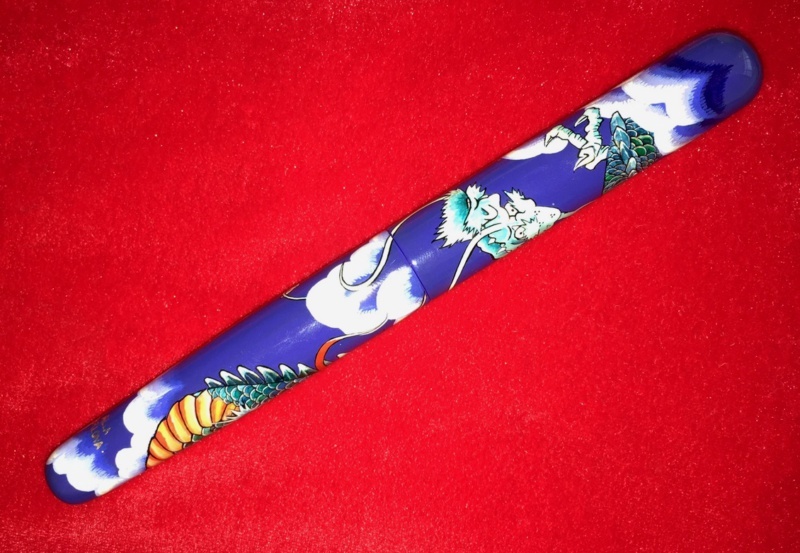 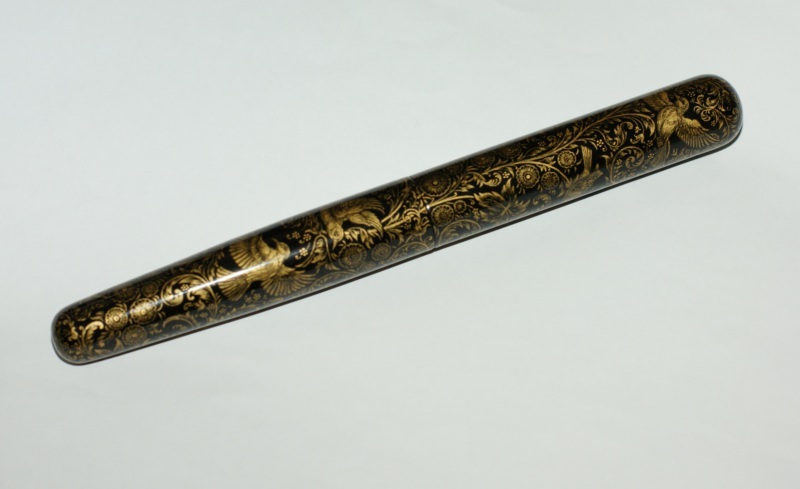 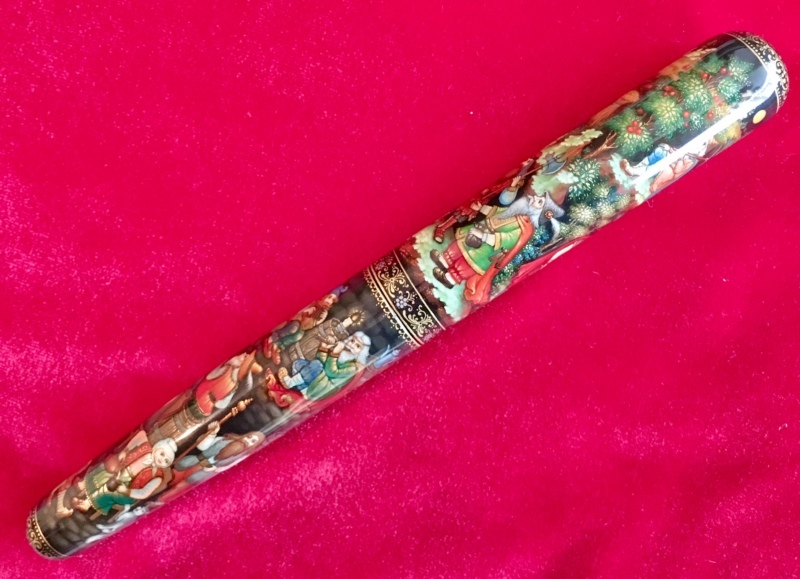 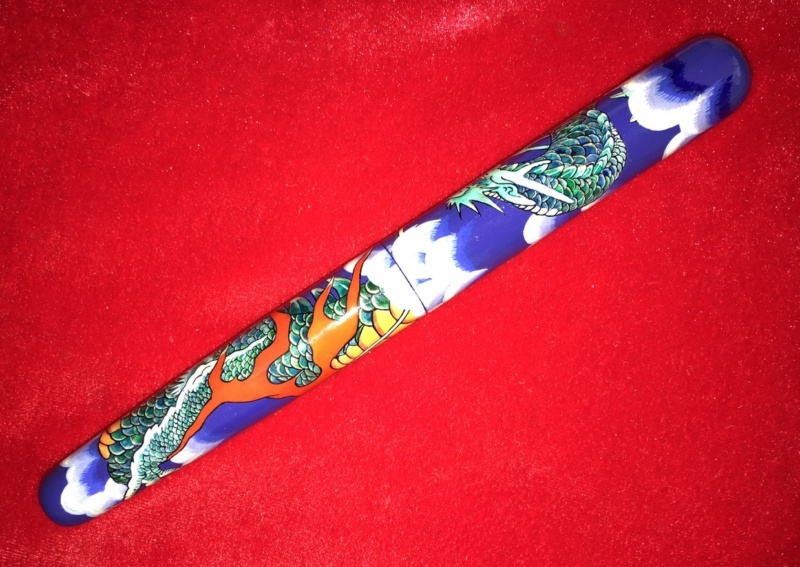 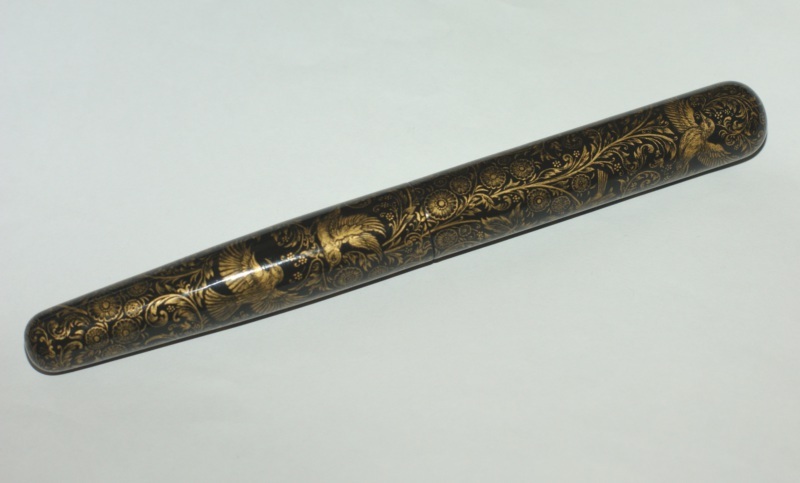 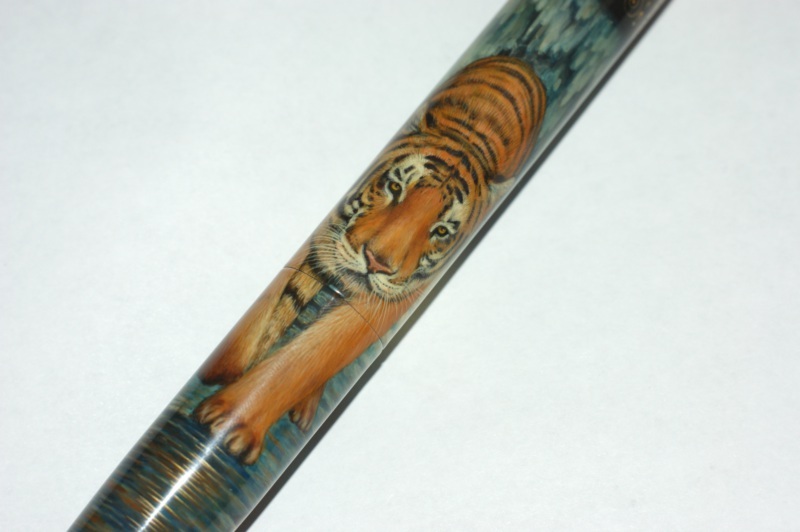 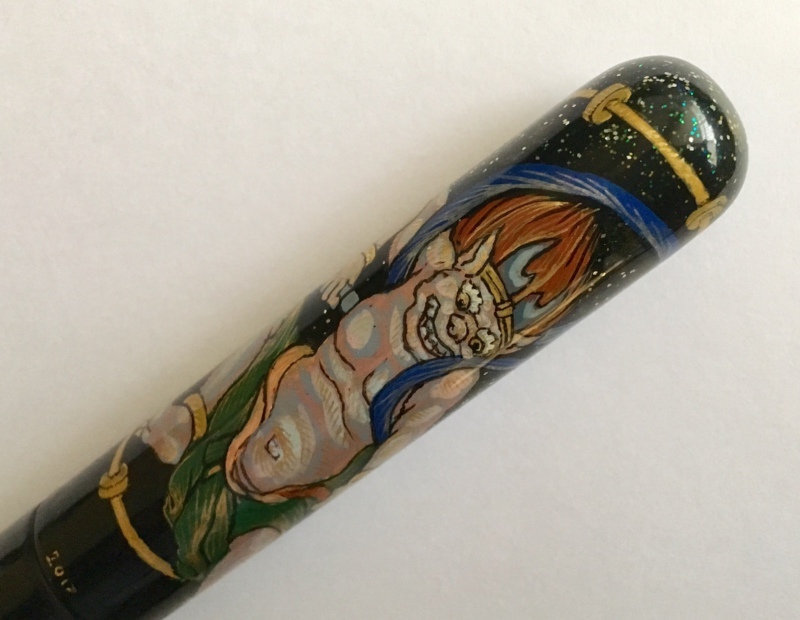 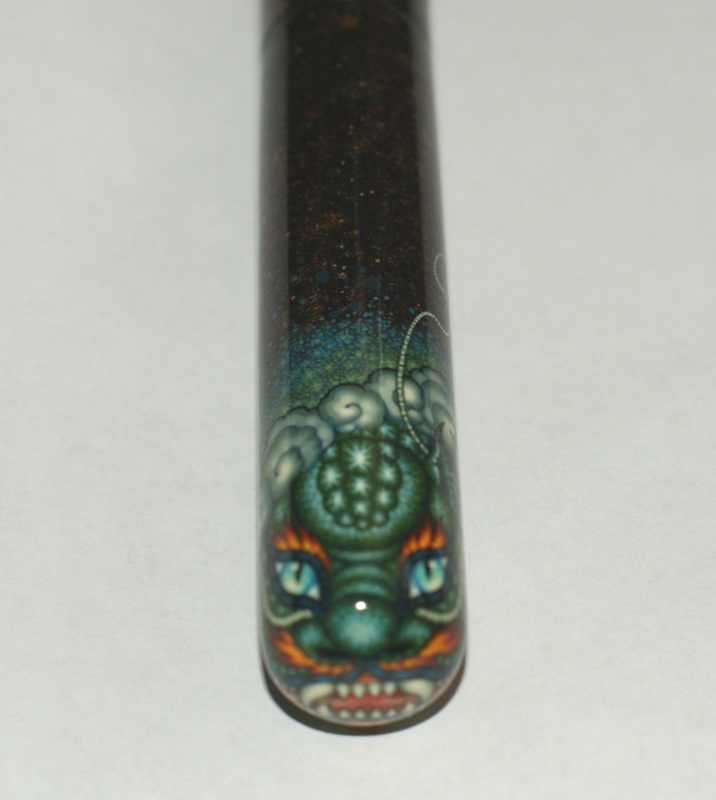 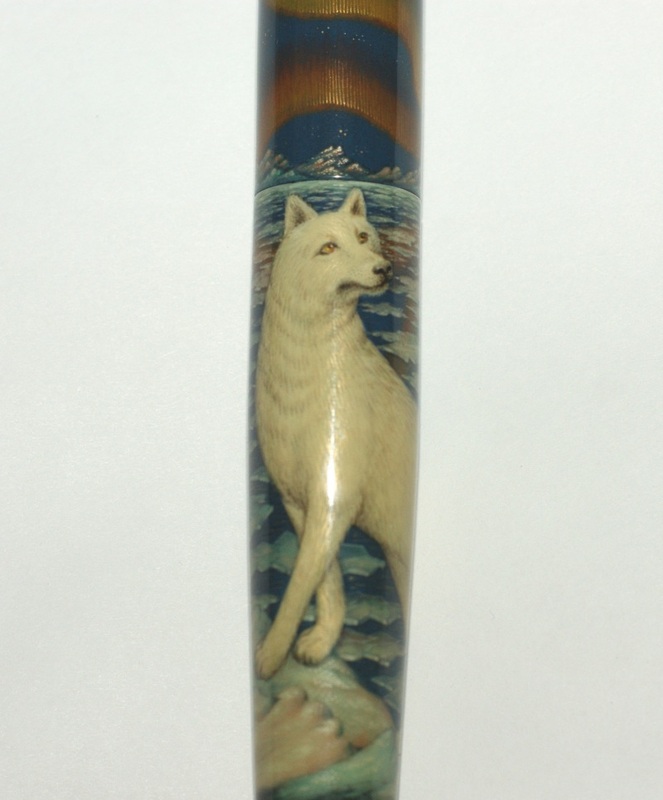 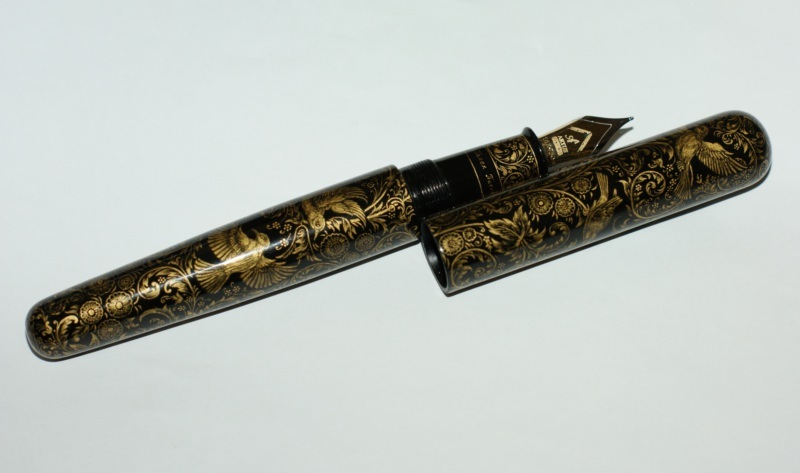 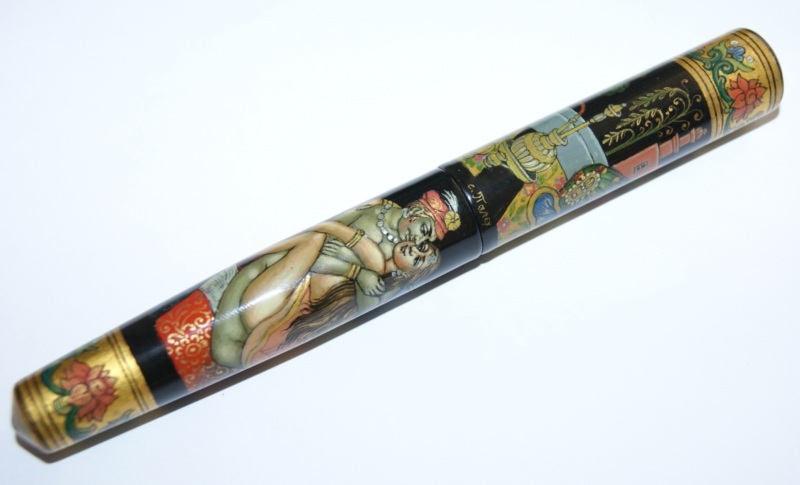 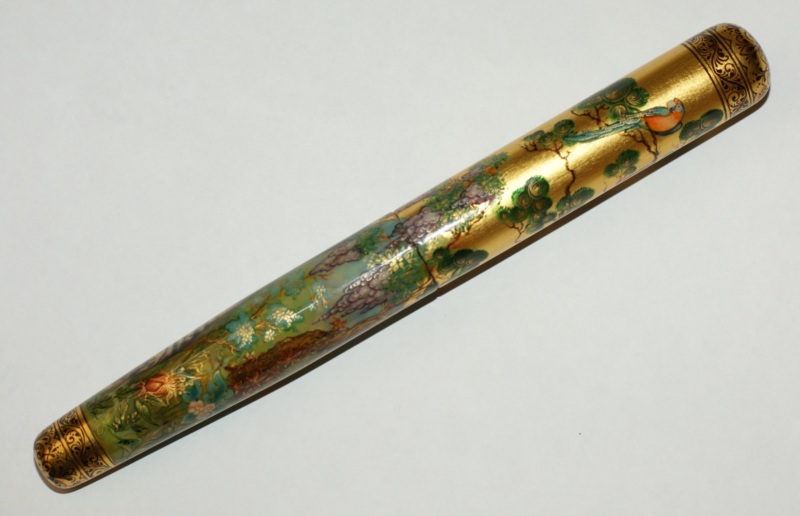 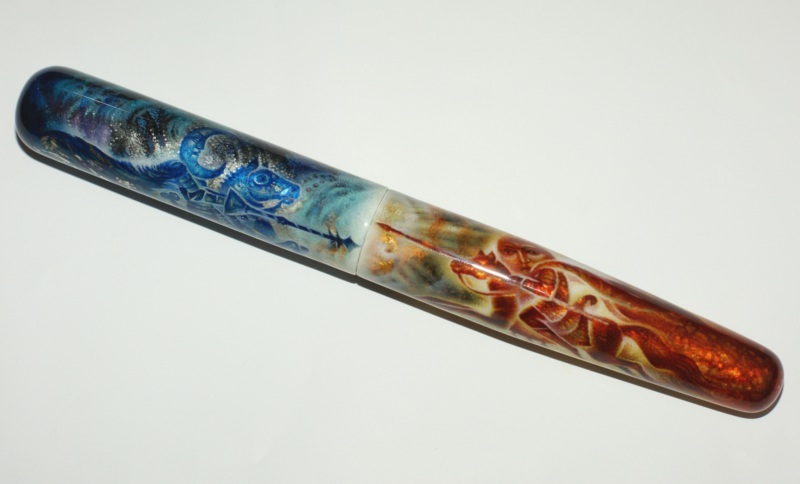 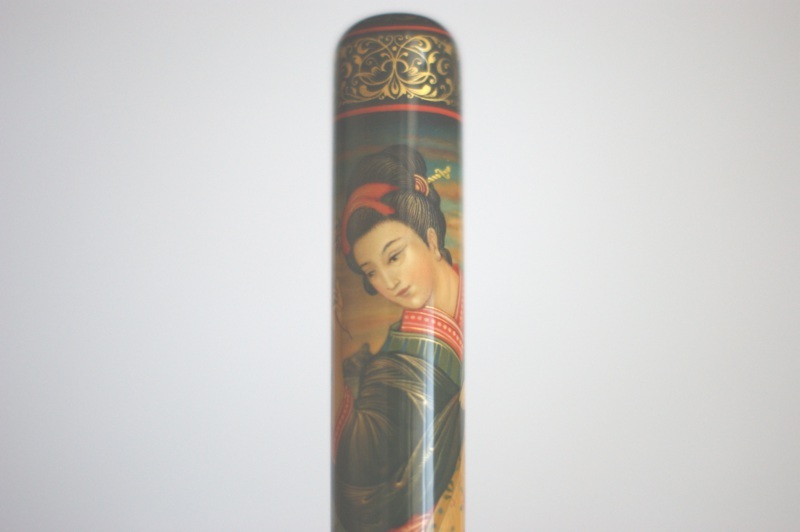 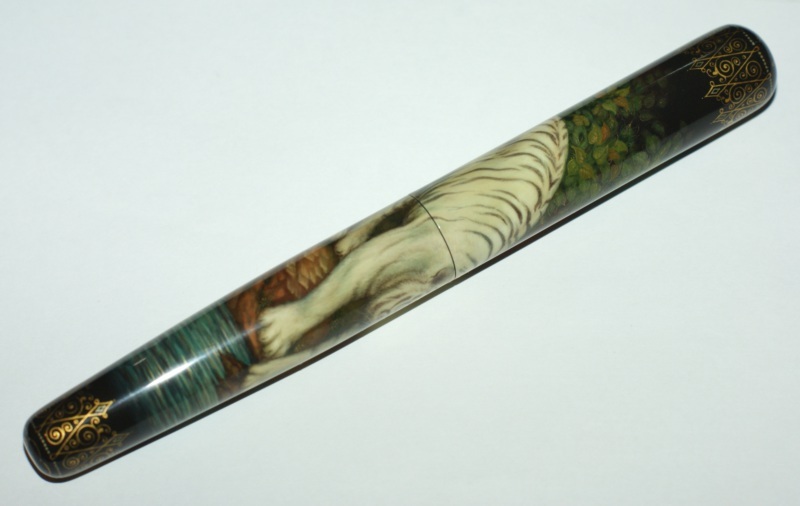 One of a kind pen in Magnum Emperor size, cigar shaped, maki-e style, master - Latsuk ! 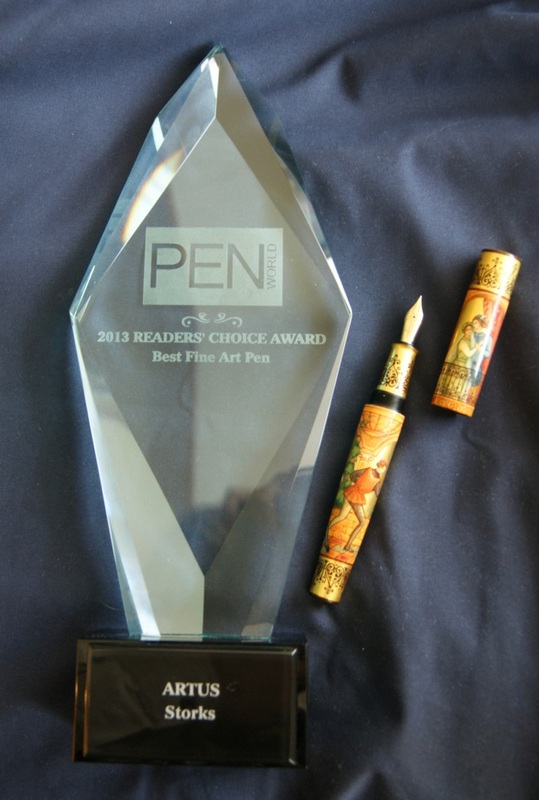 Nominated for Best Fine Art Pen 2014 (see Pen World, February 2014)!